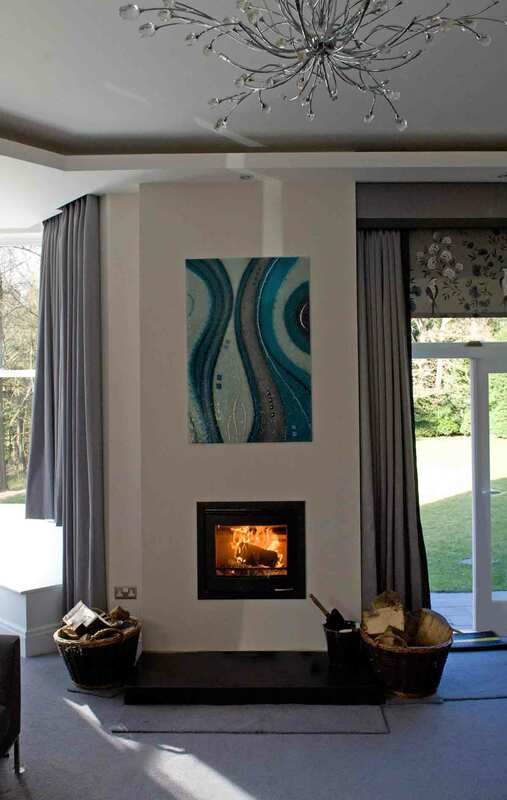 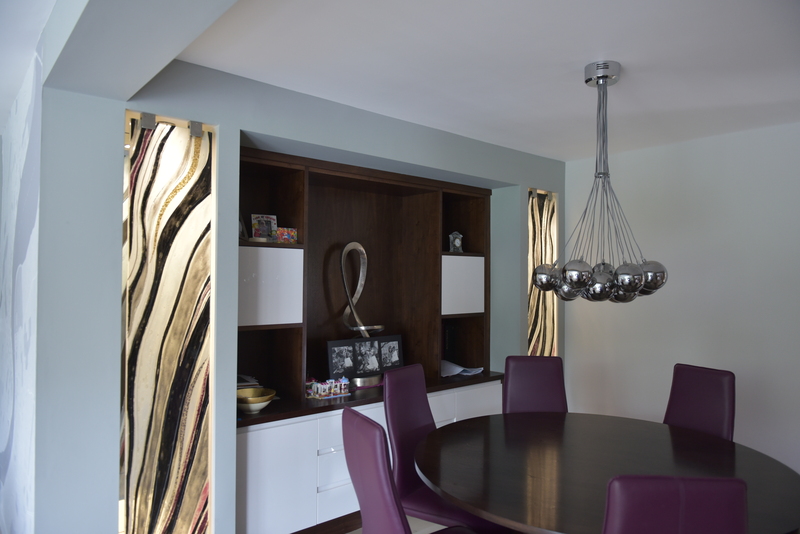 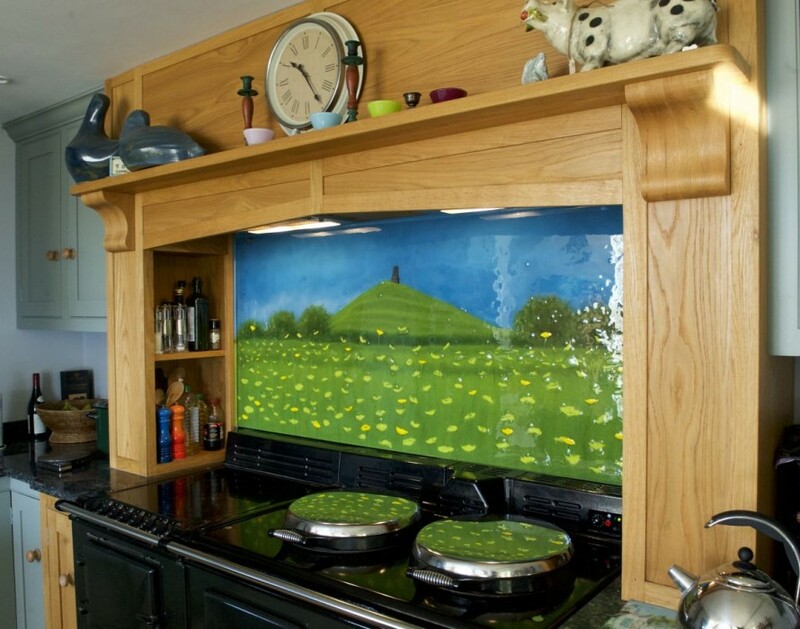 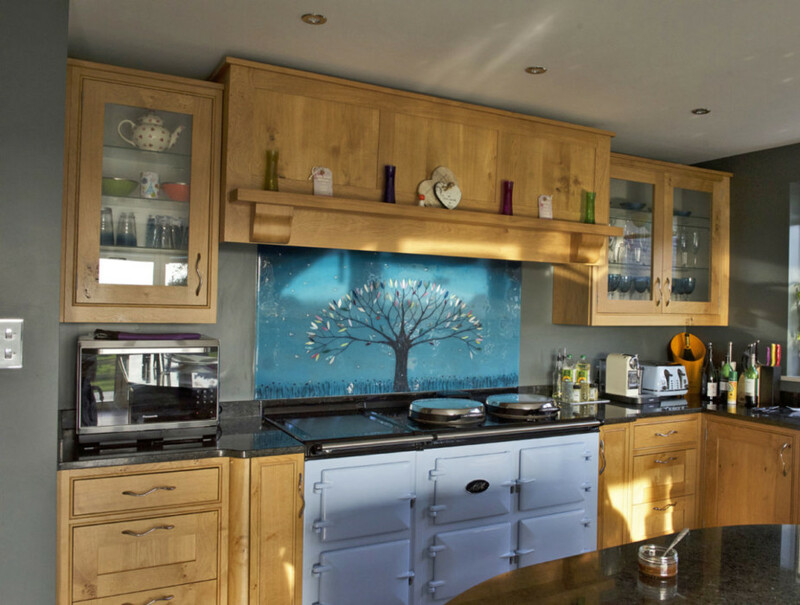 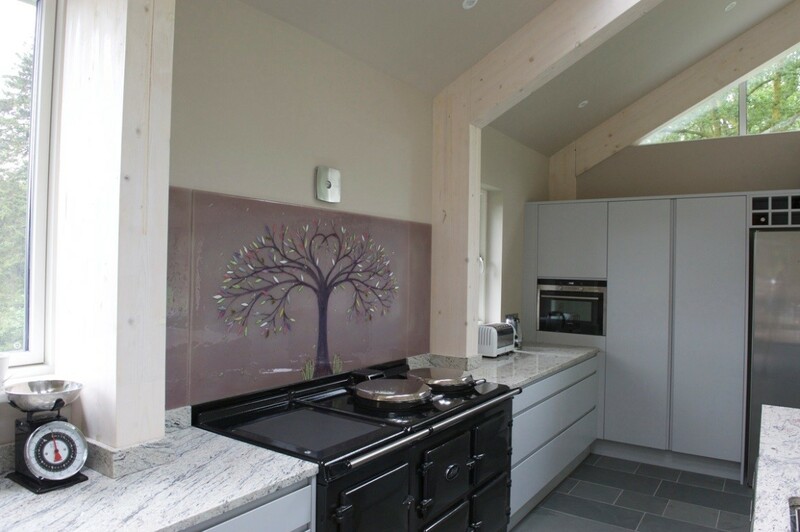 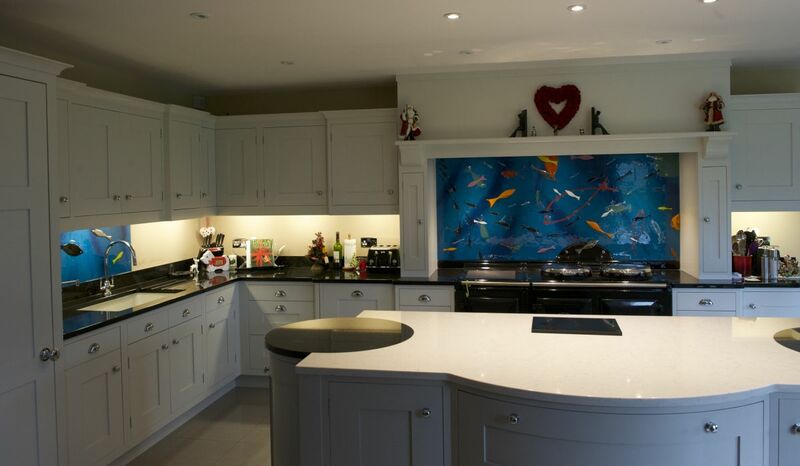 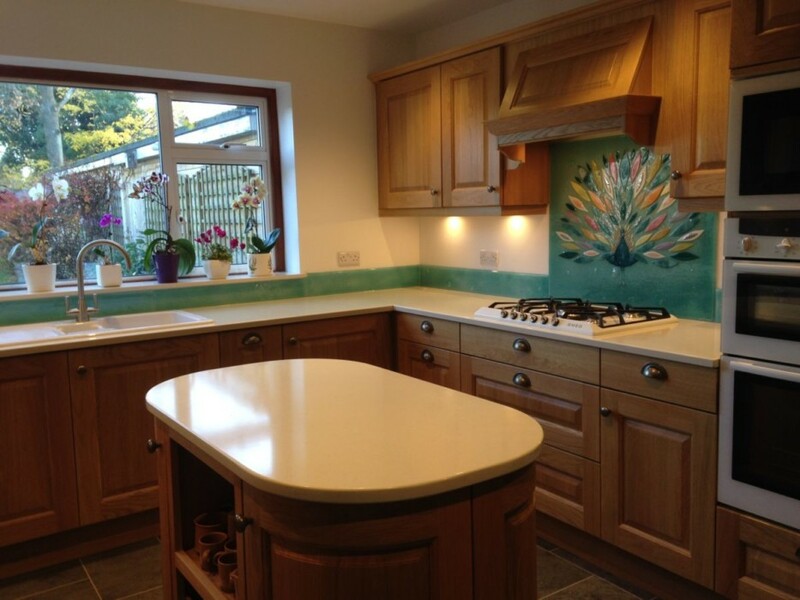 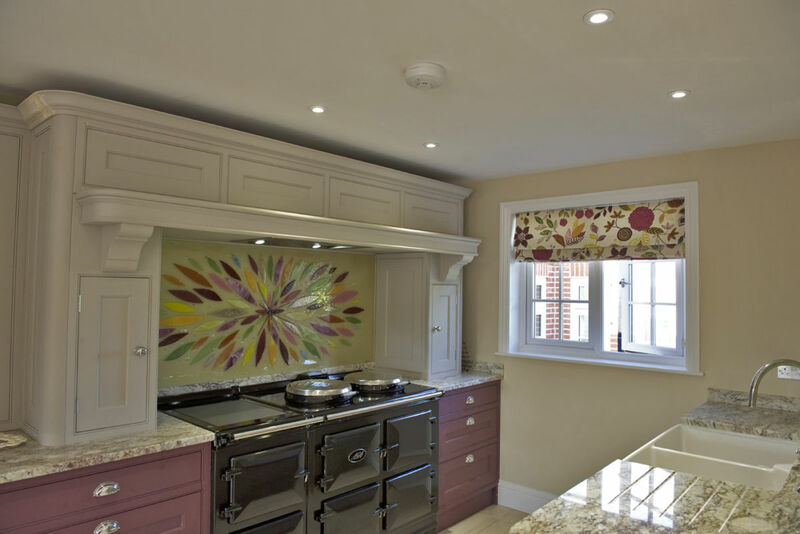 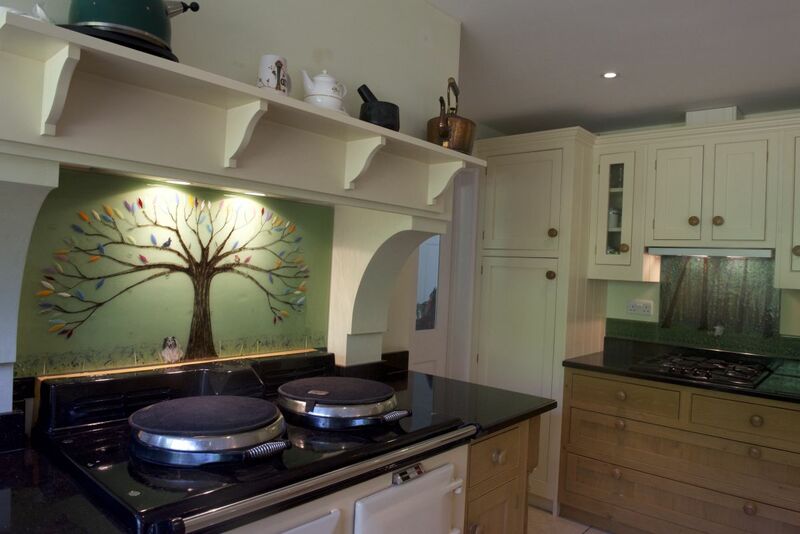 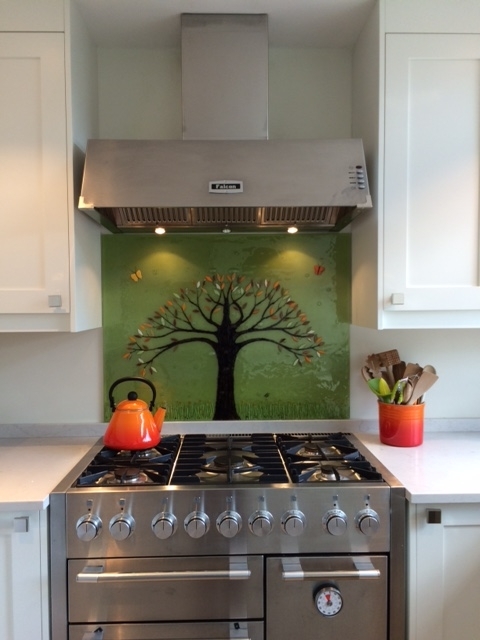 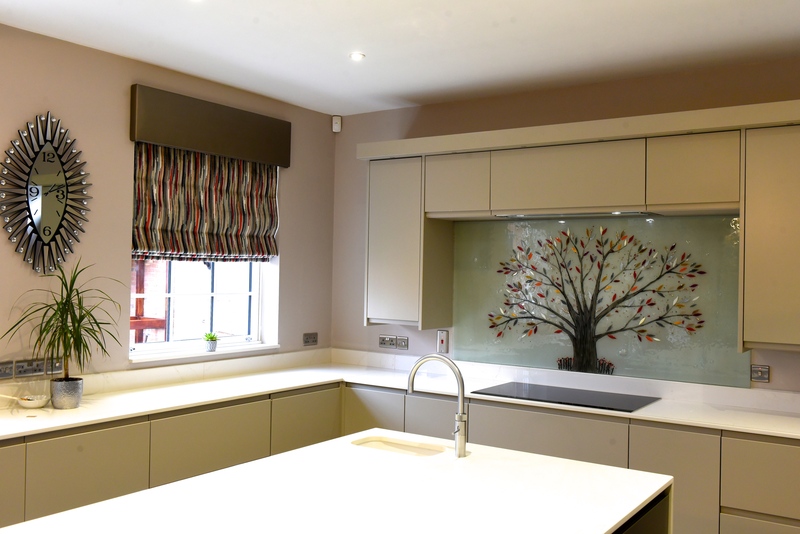 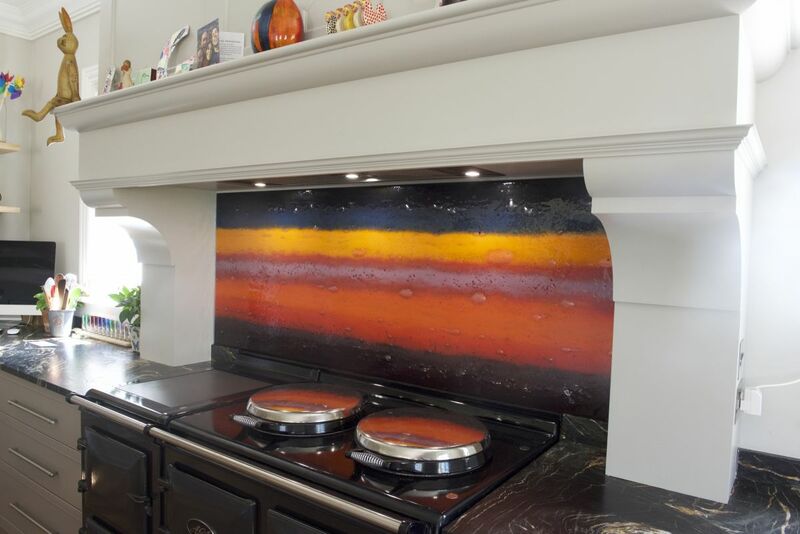 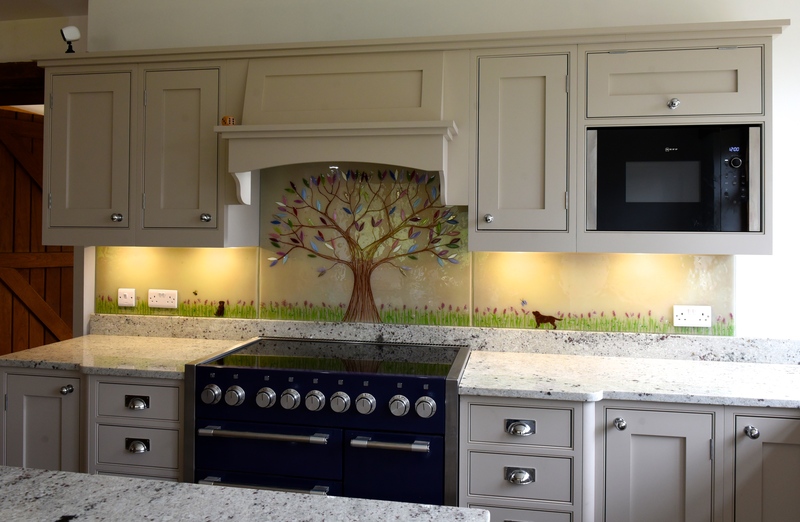 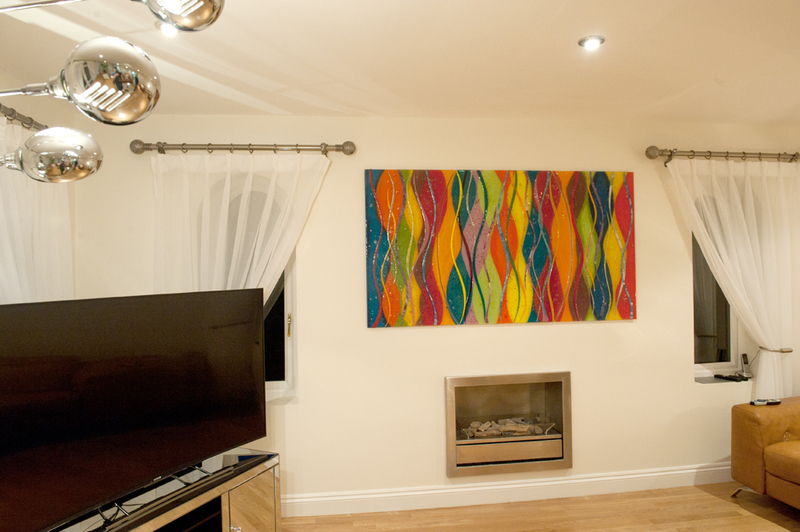 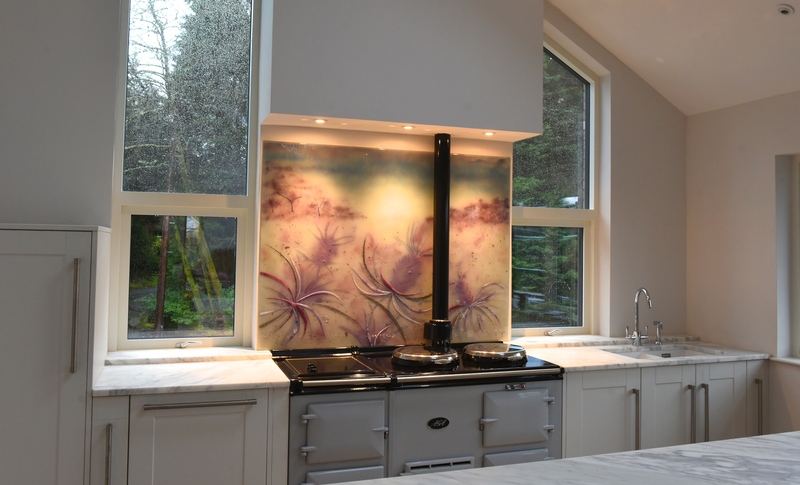 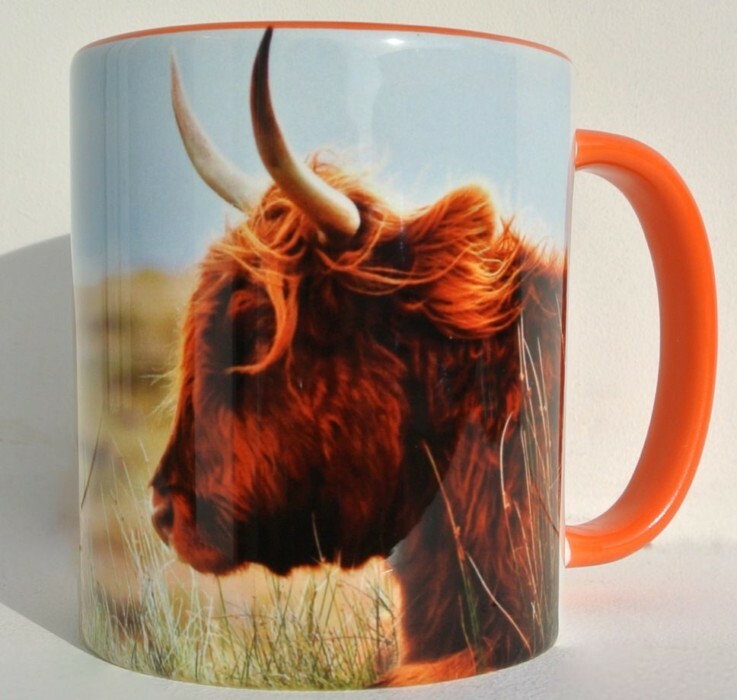 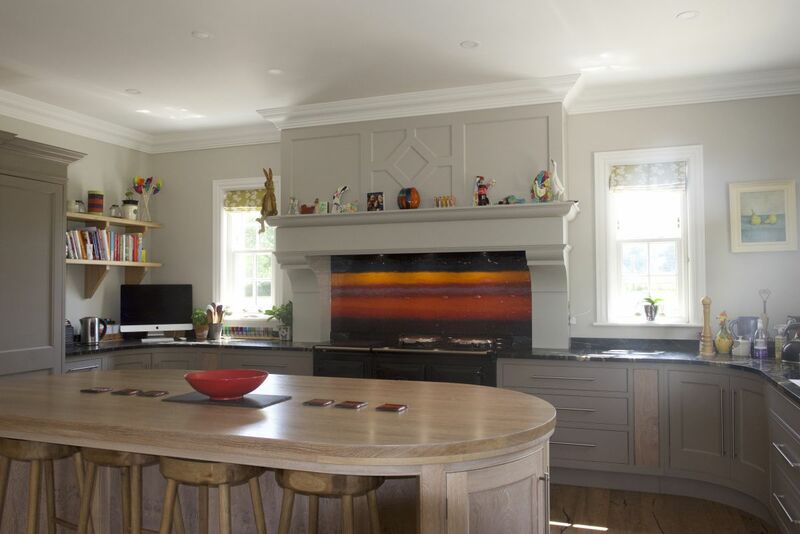 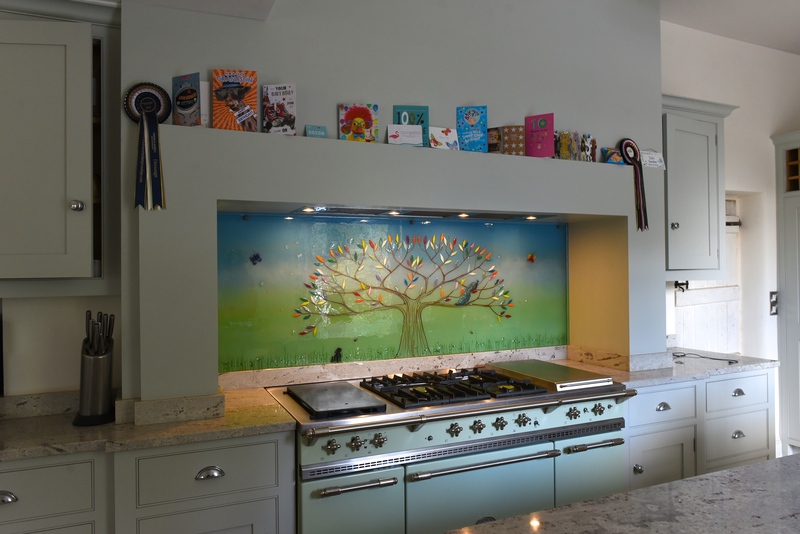 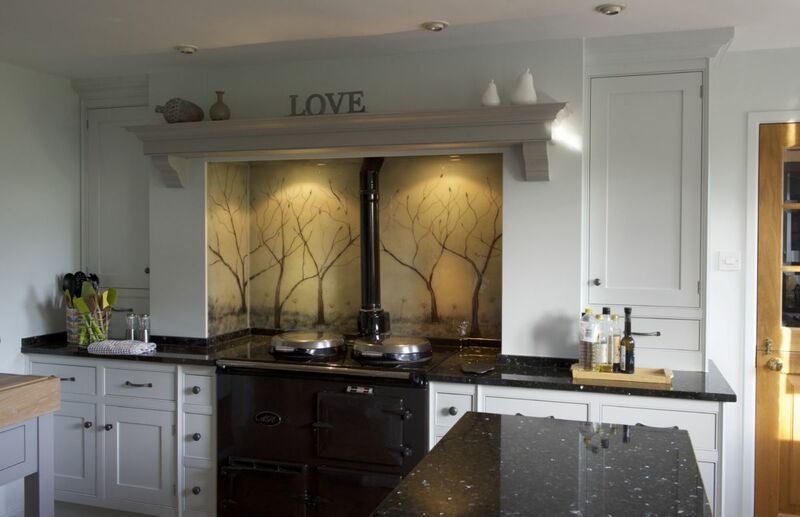 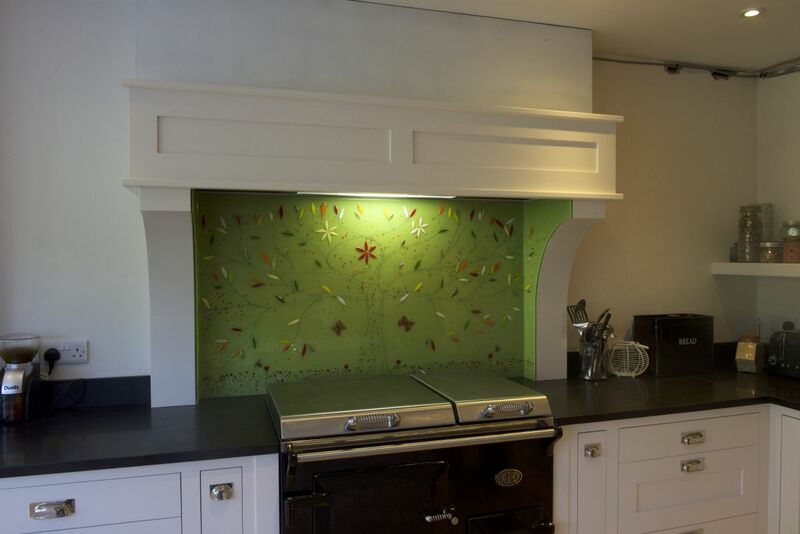 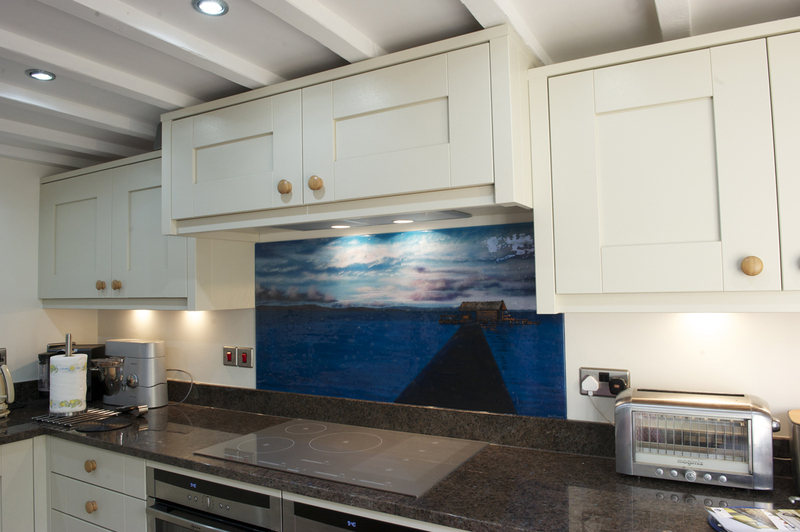 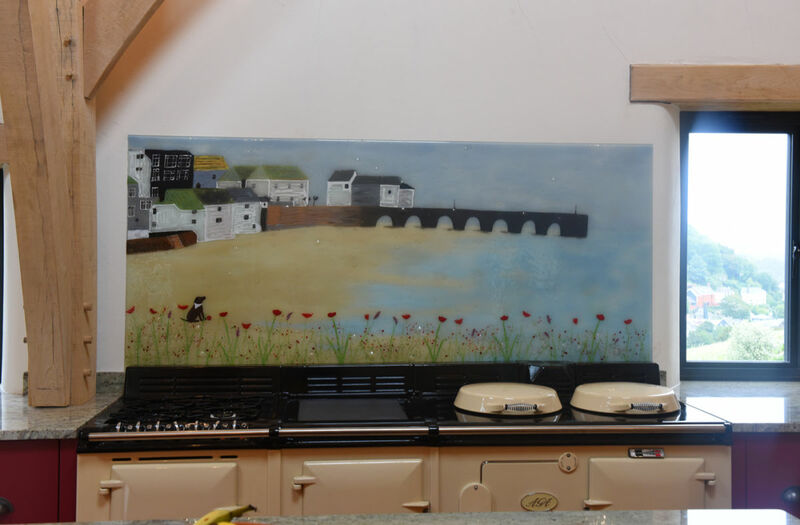 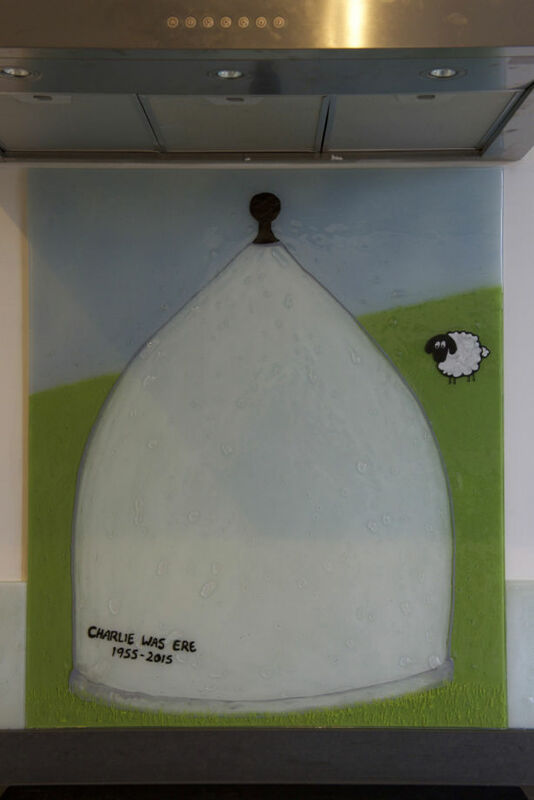 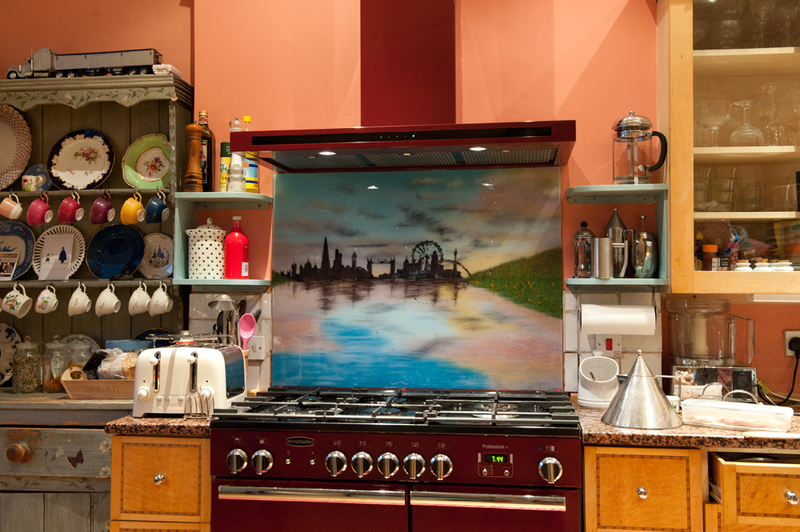 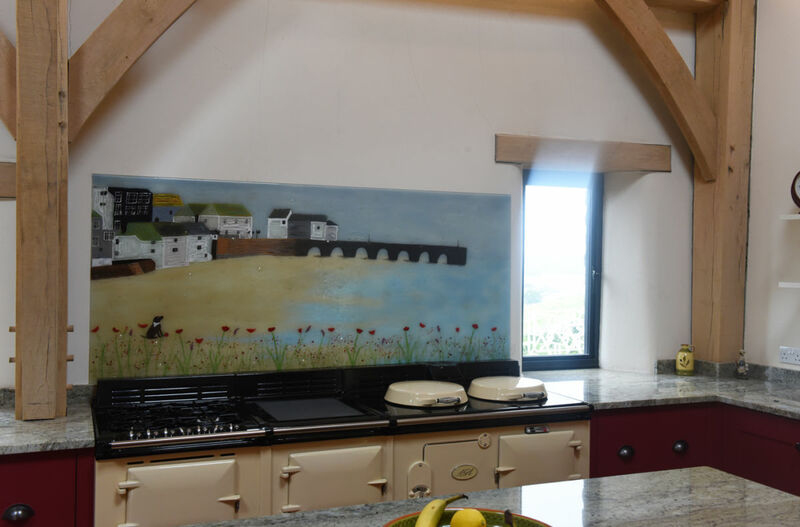 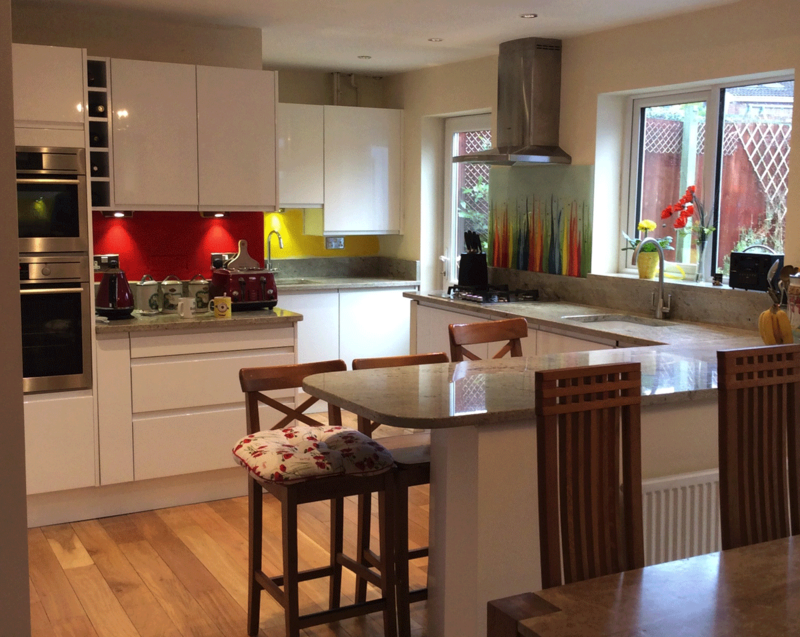 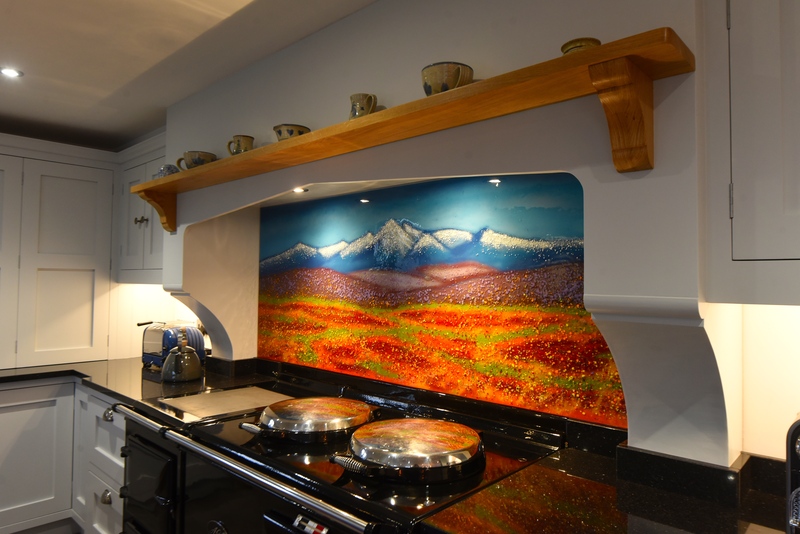 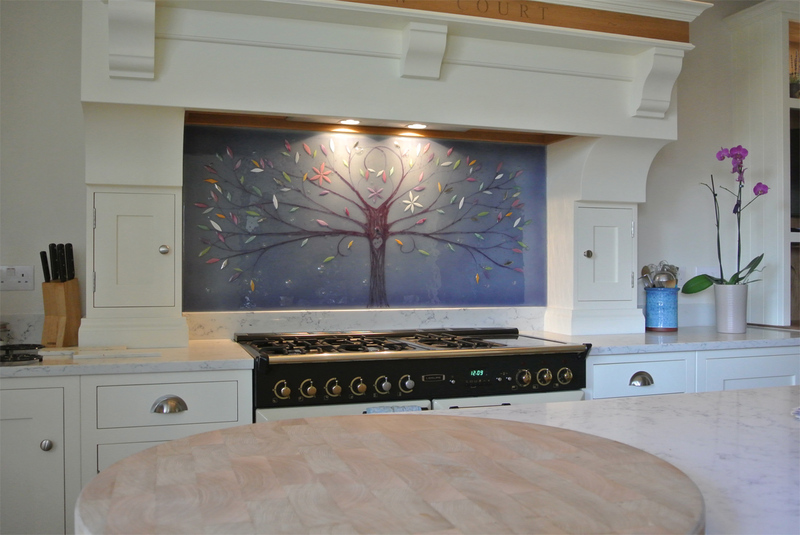 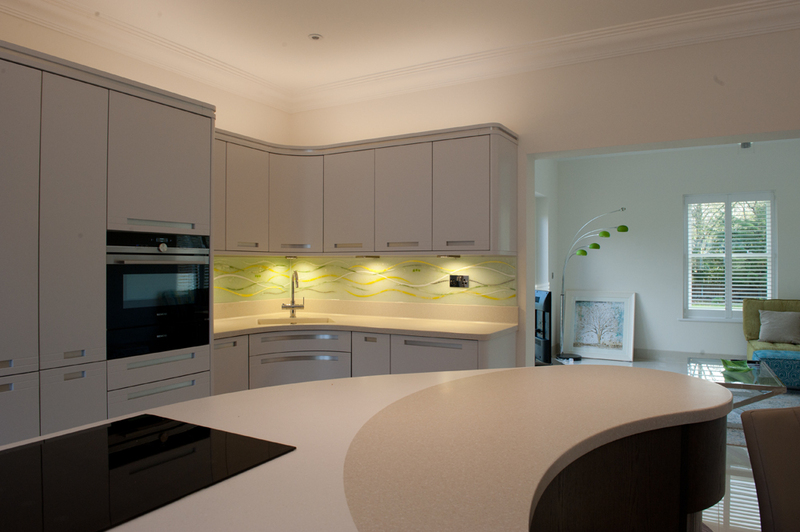 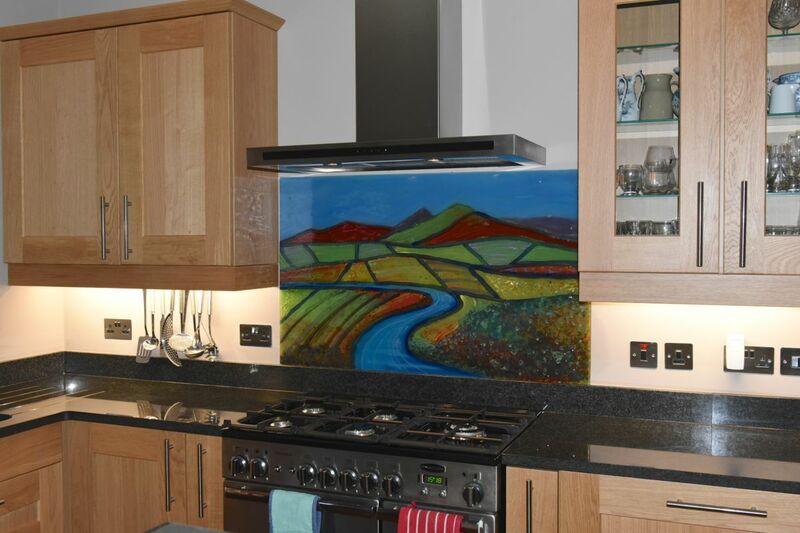 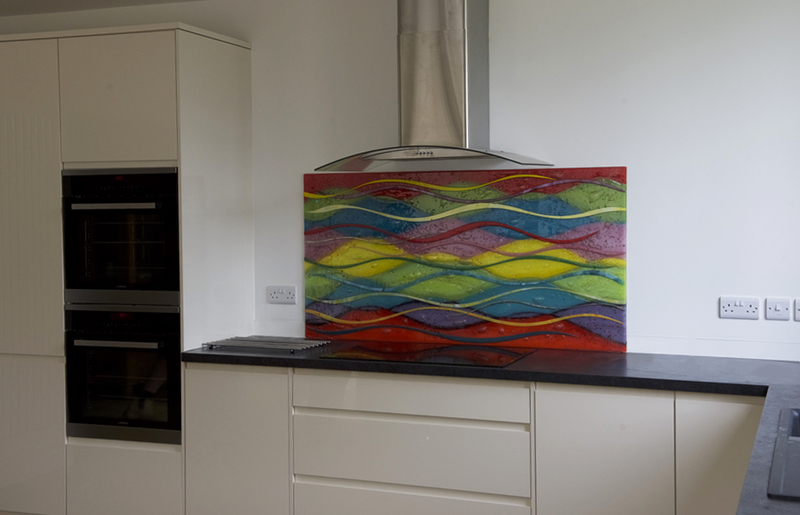 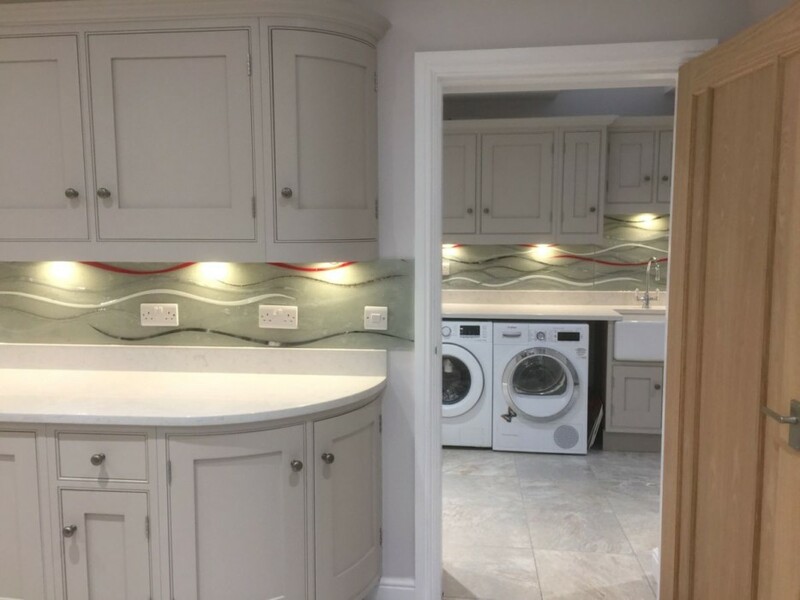 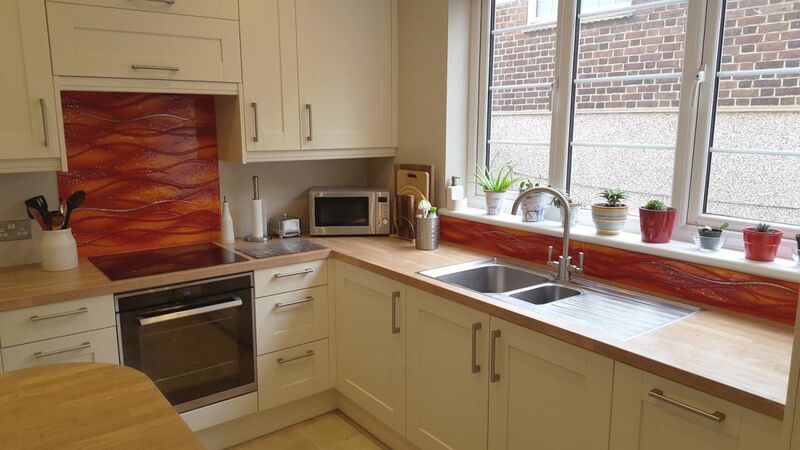 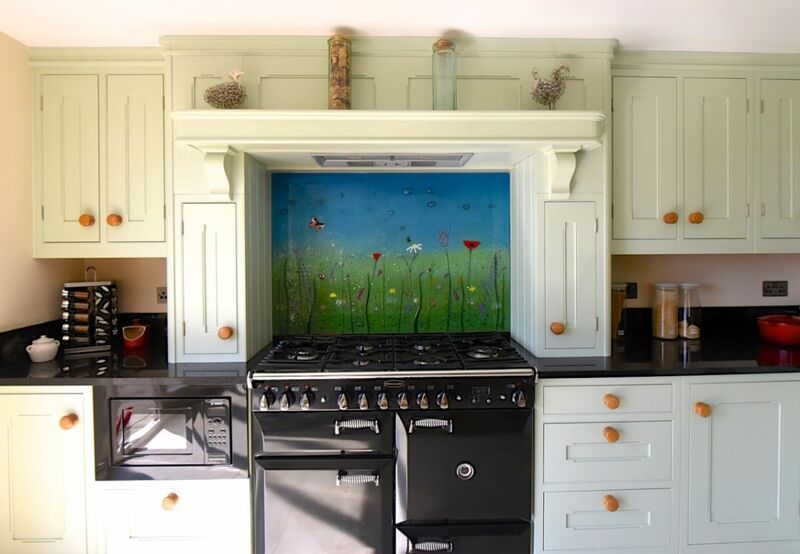 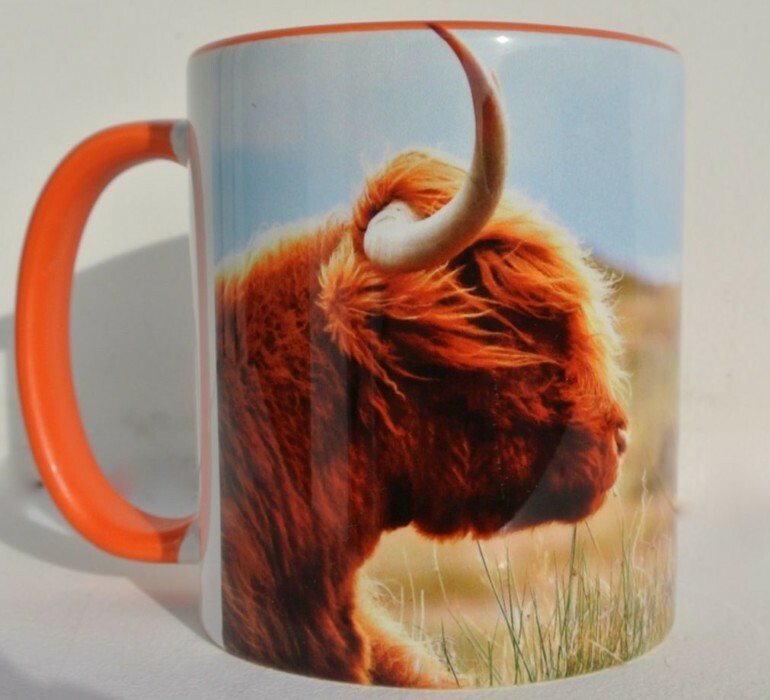 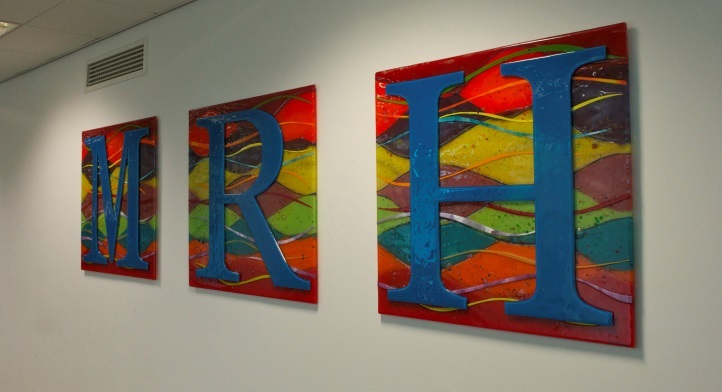 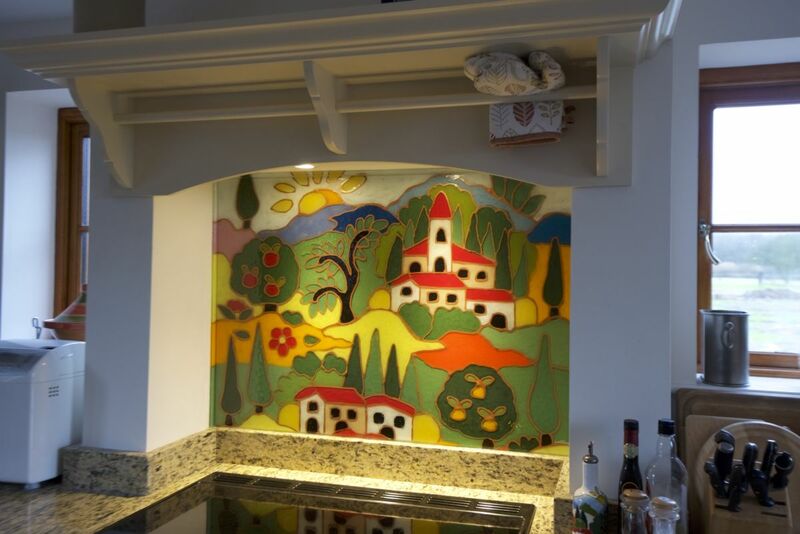 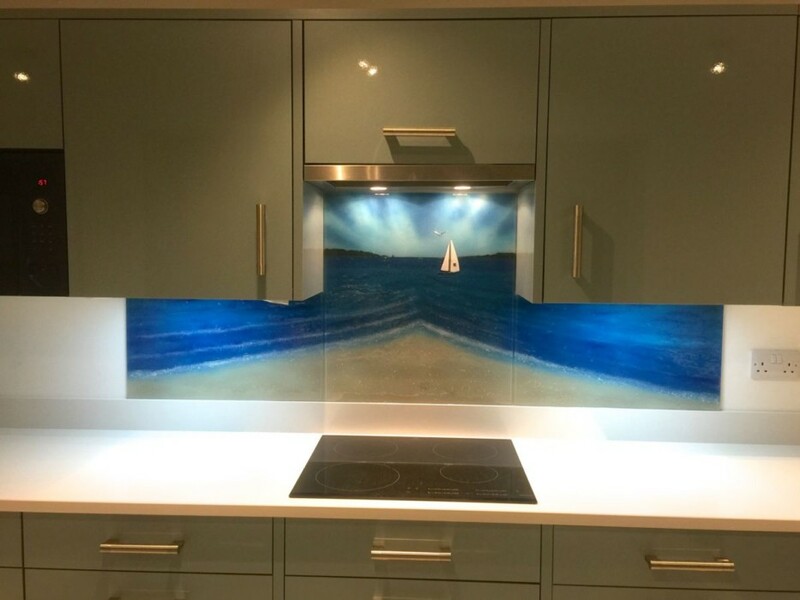 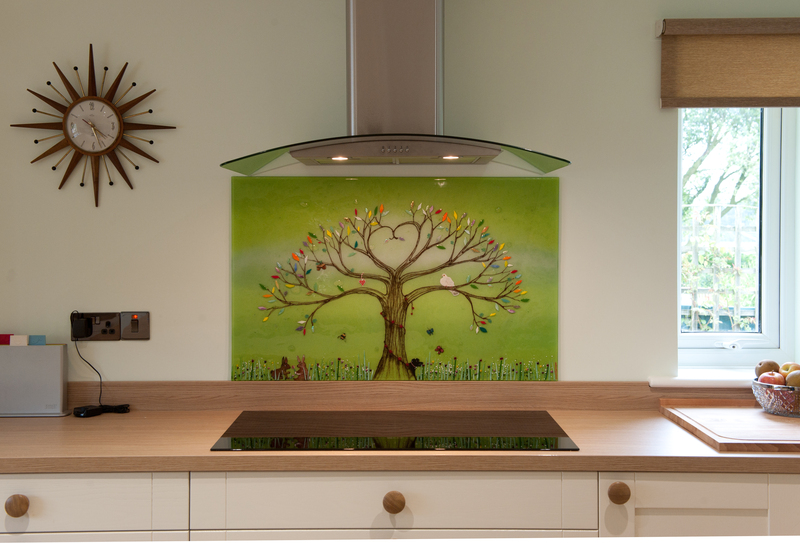 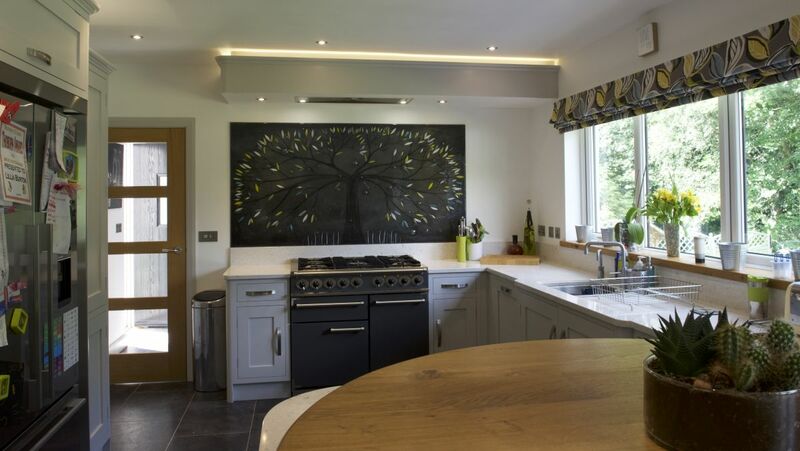 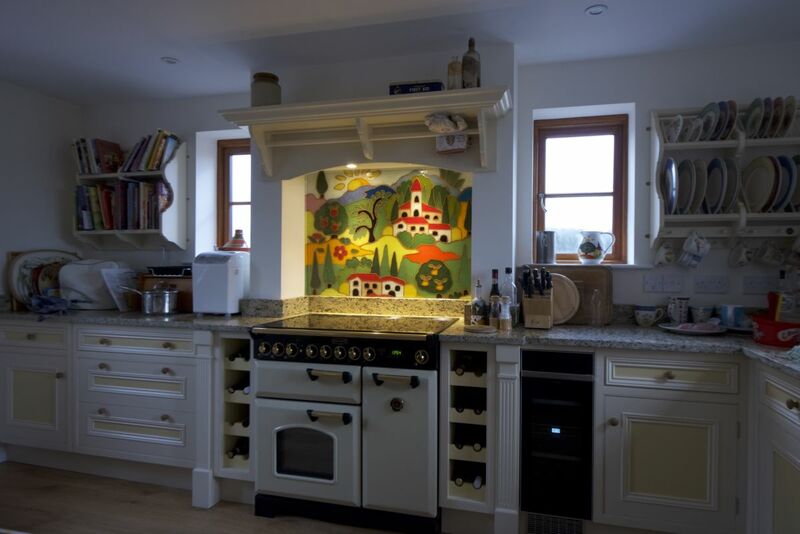 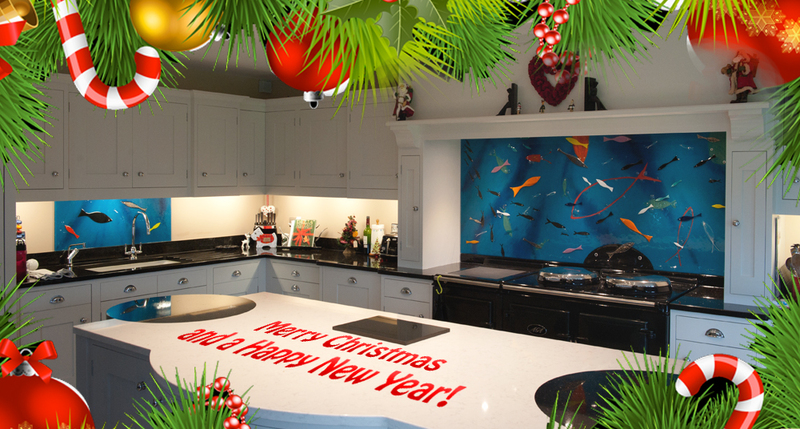 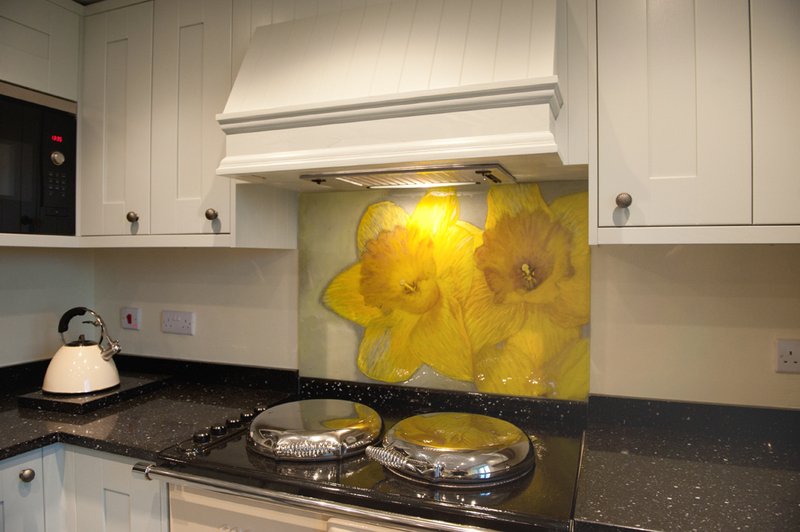 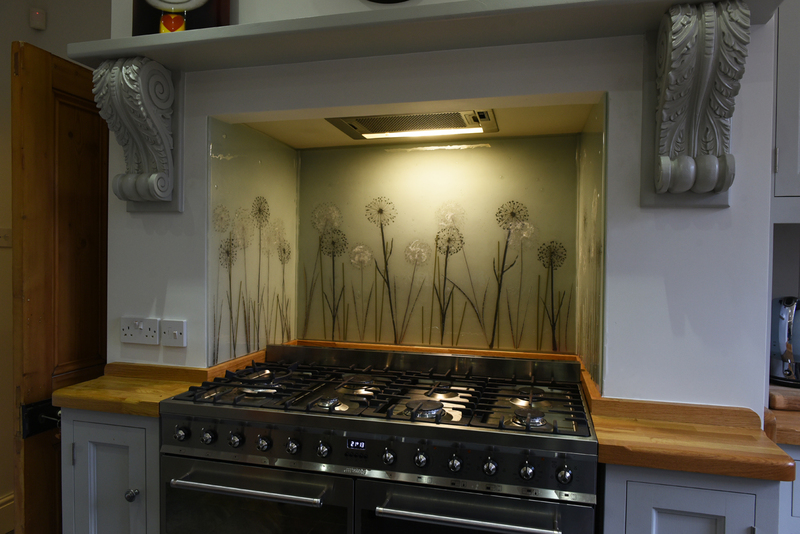 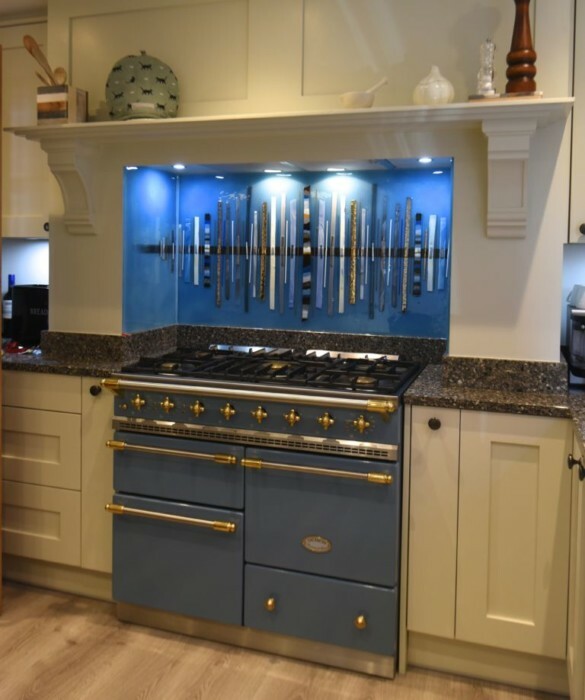 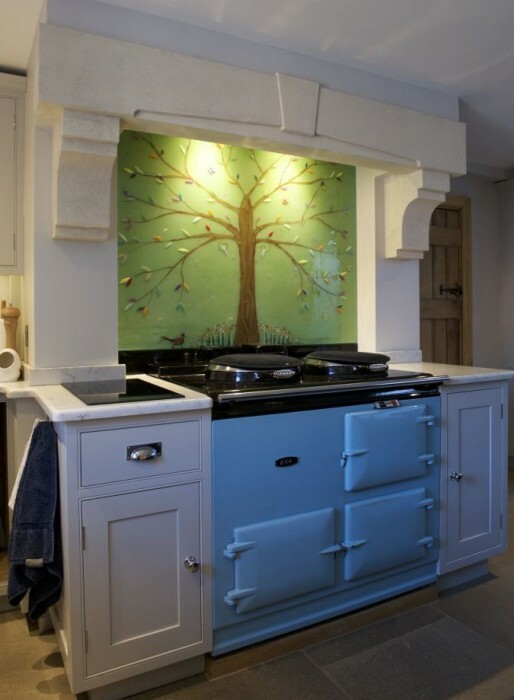 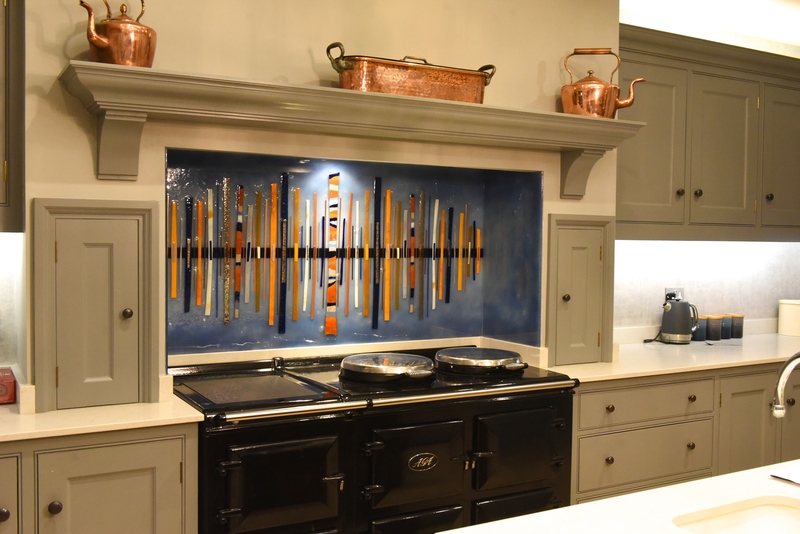 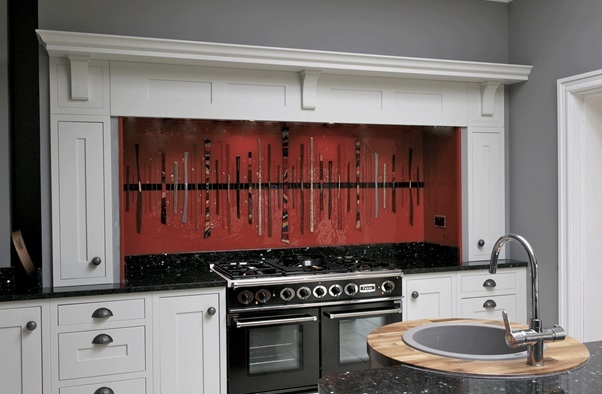 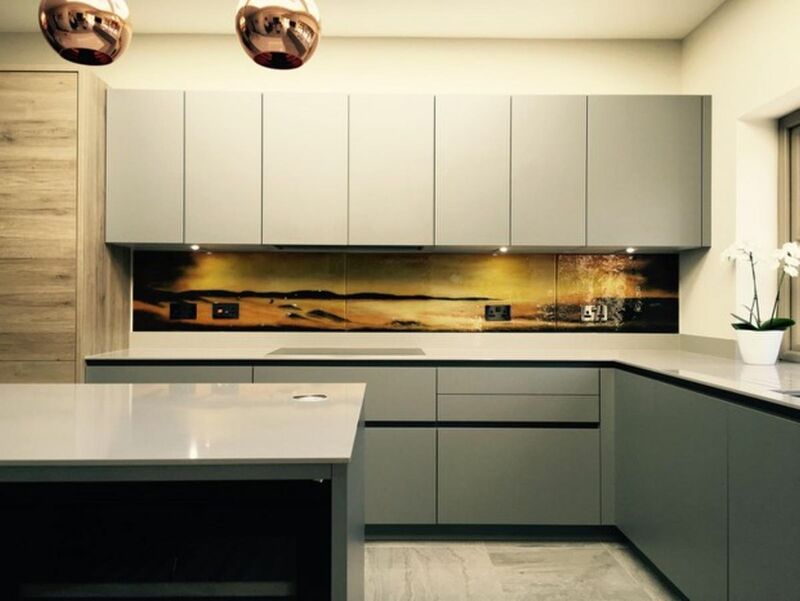 Here’s one of our home splashbacks from the vaults, made and delivered back in 2015. 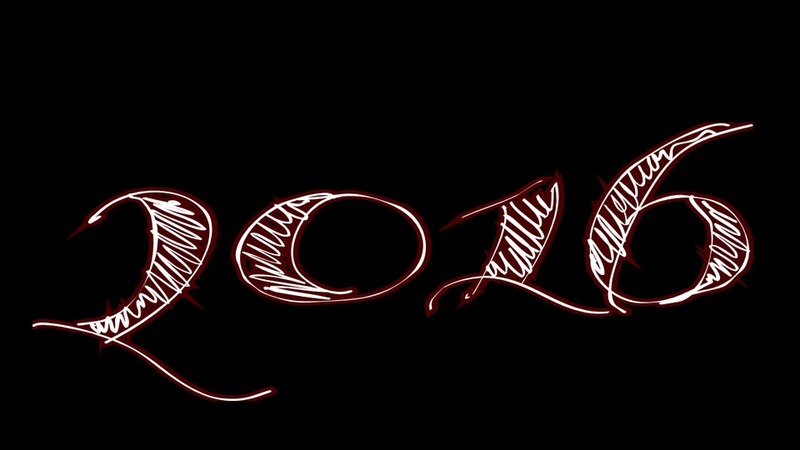 Feels like yesterday! 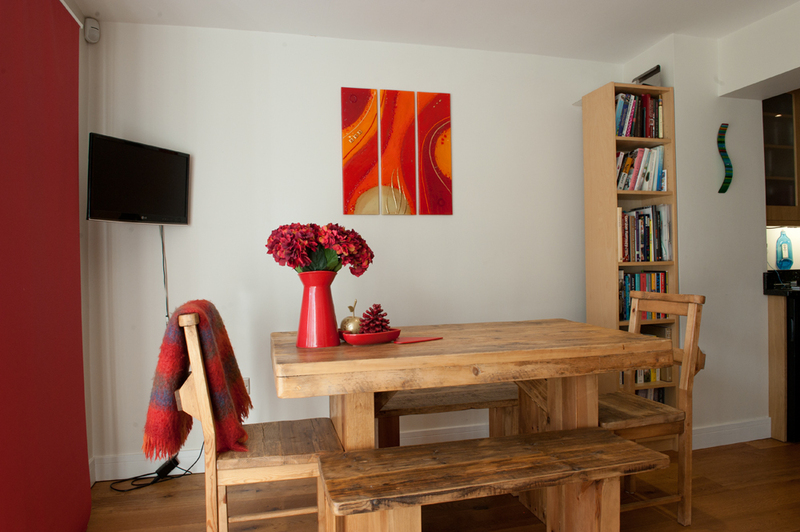 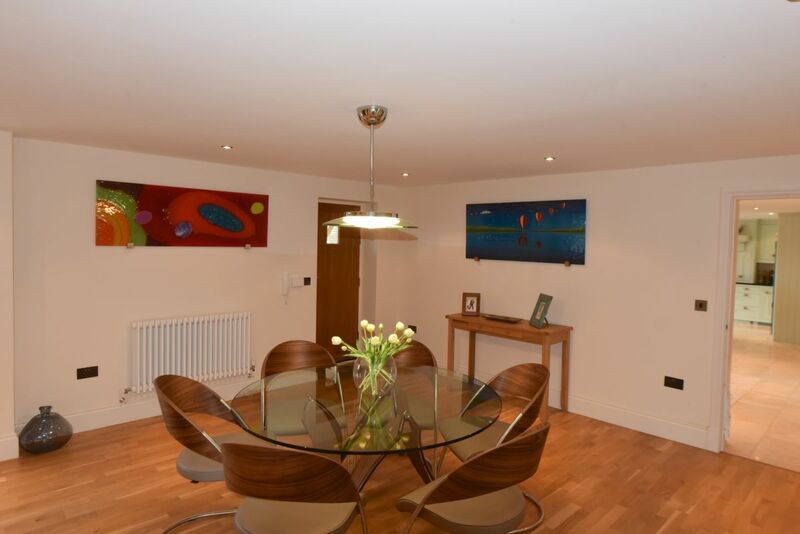 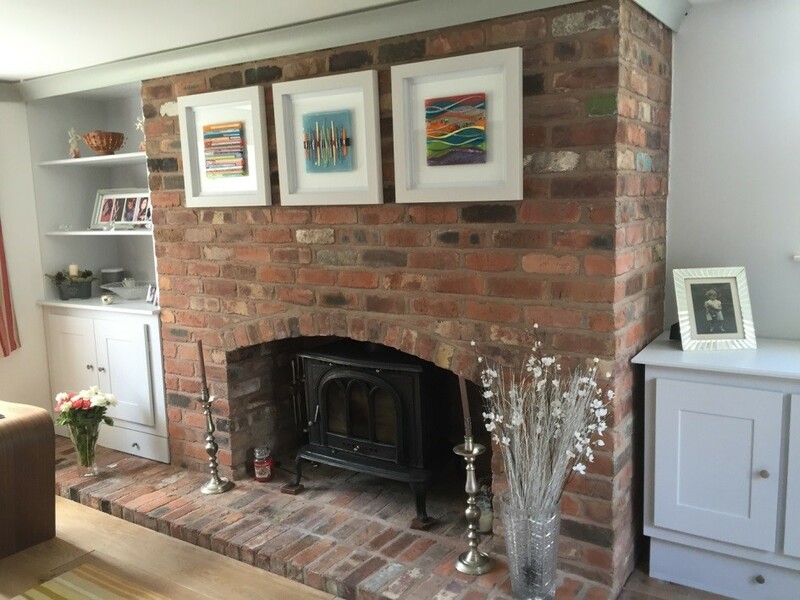 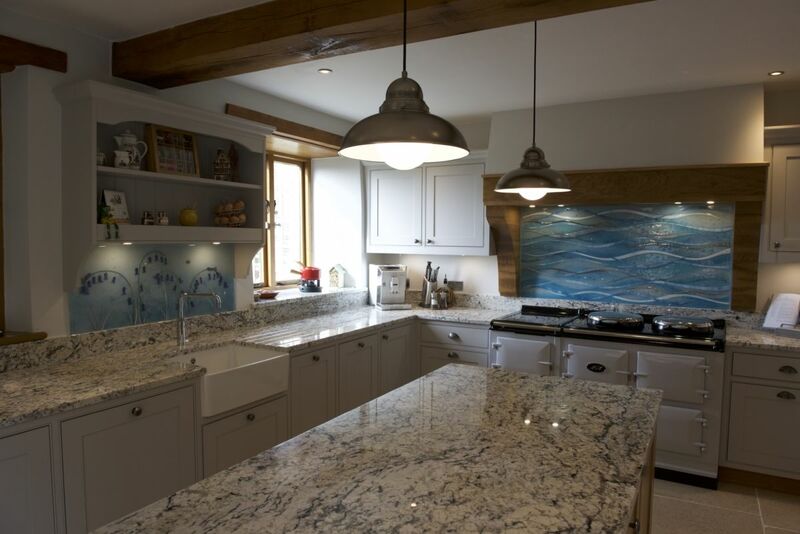 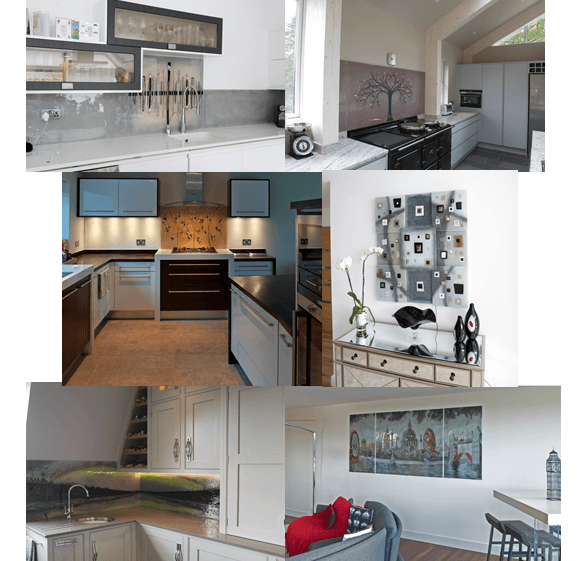 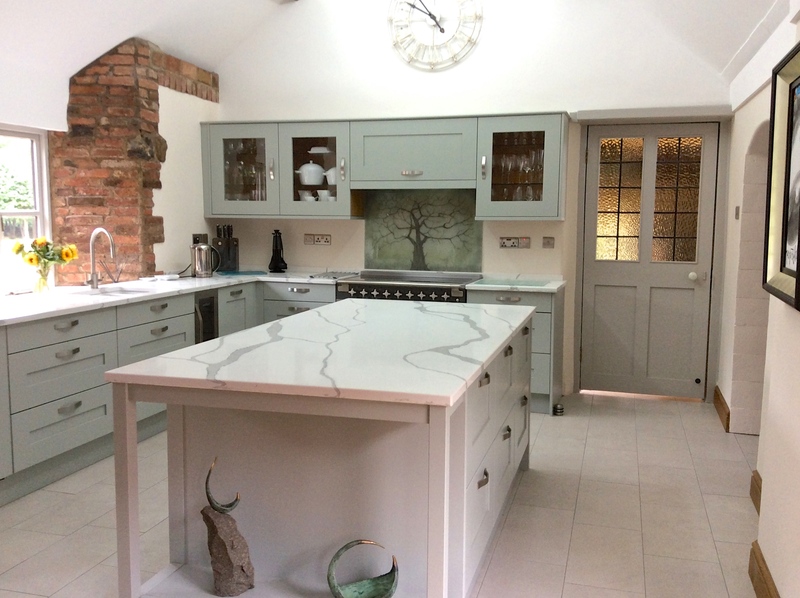 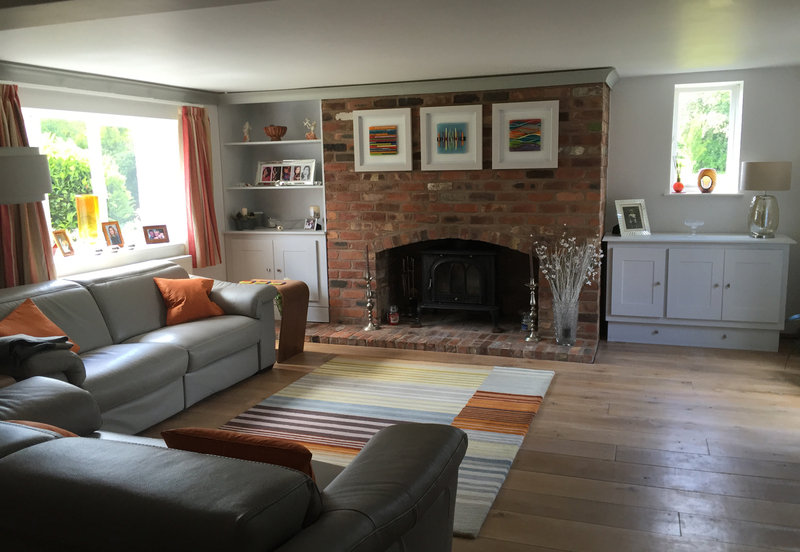 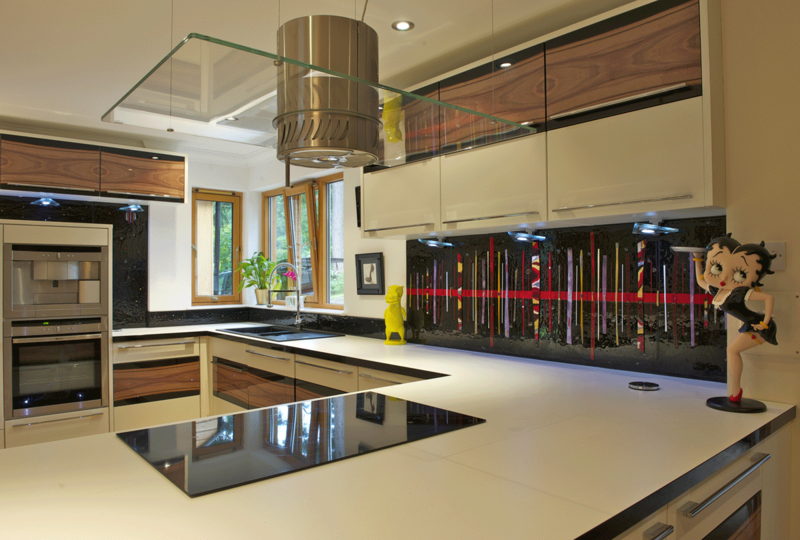 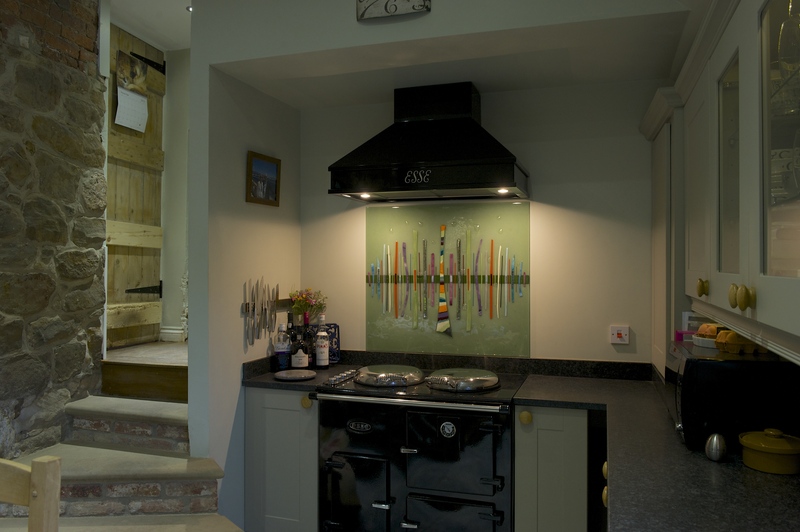 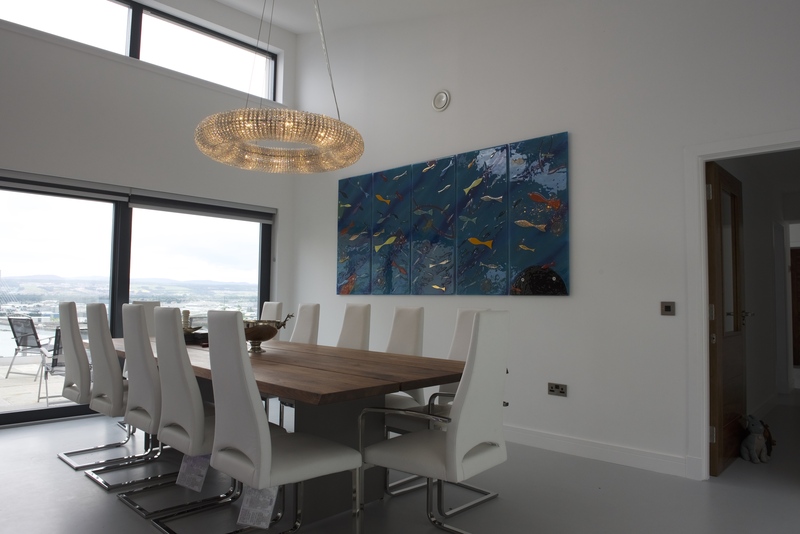 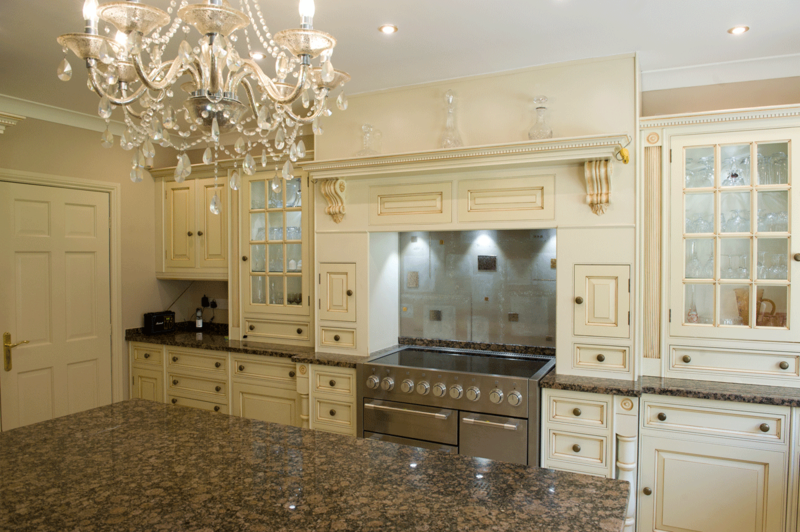 The kitchen in question belonged to a home in Mere, Cheshire, and the piece to be placed there was suitably stunning. 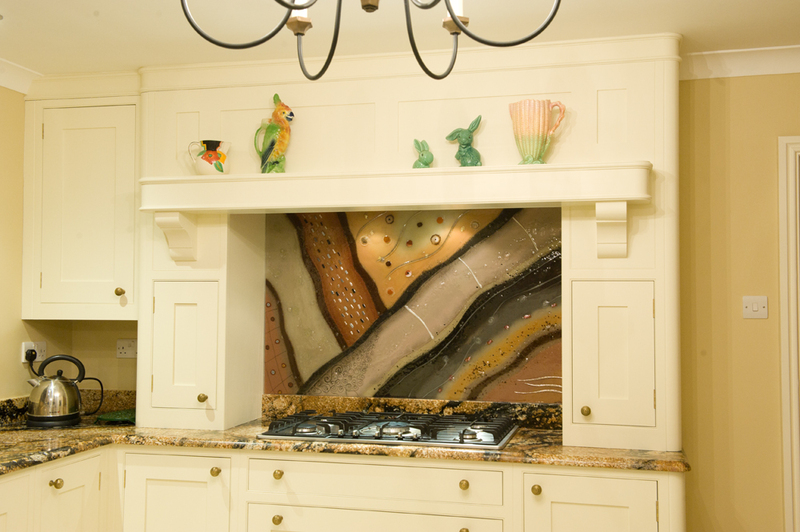 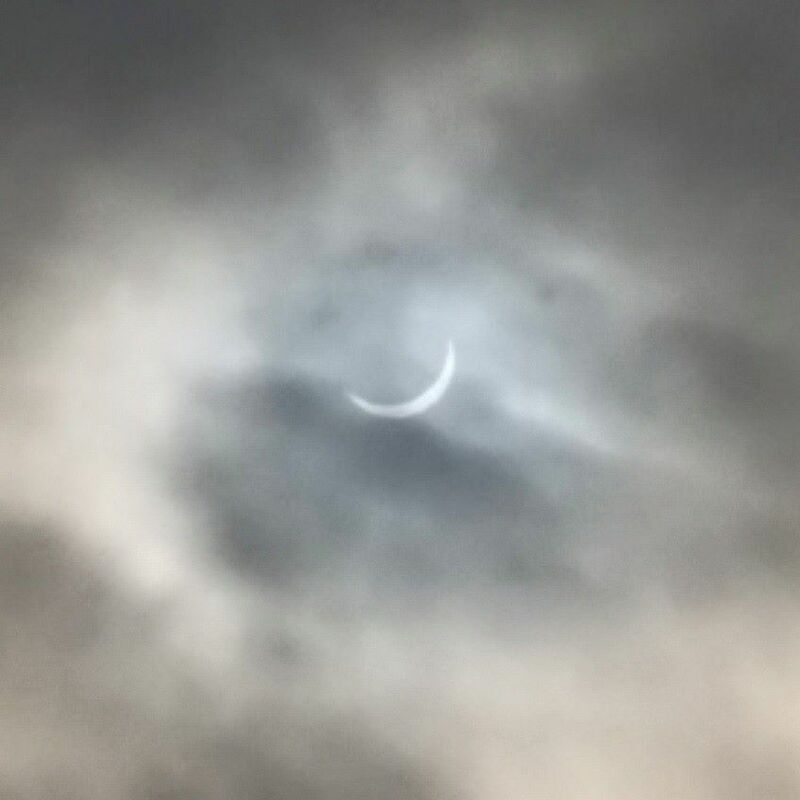 You can see it pictured above, so we’ll share a few words to go along with it! 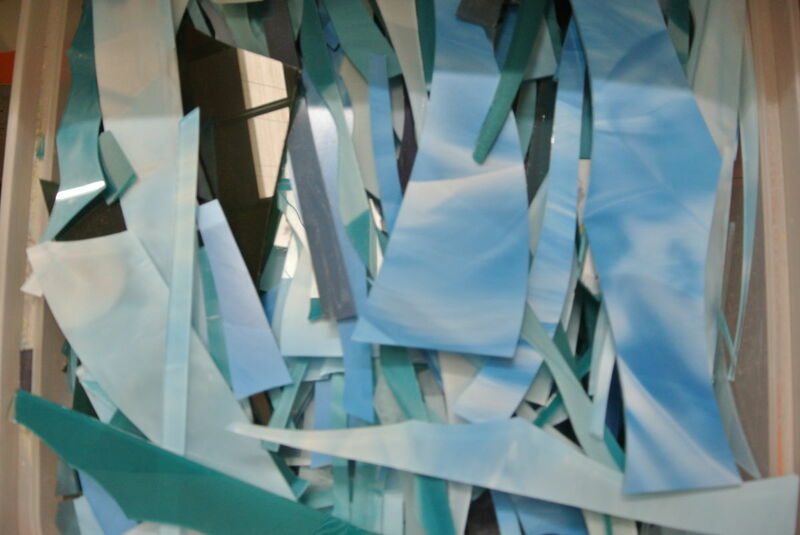 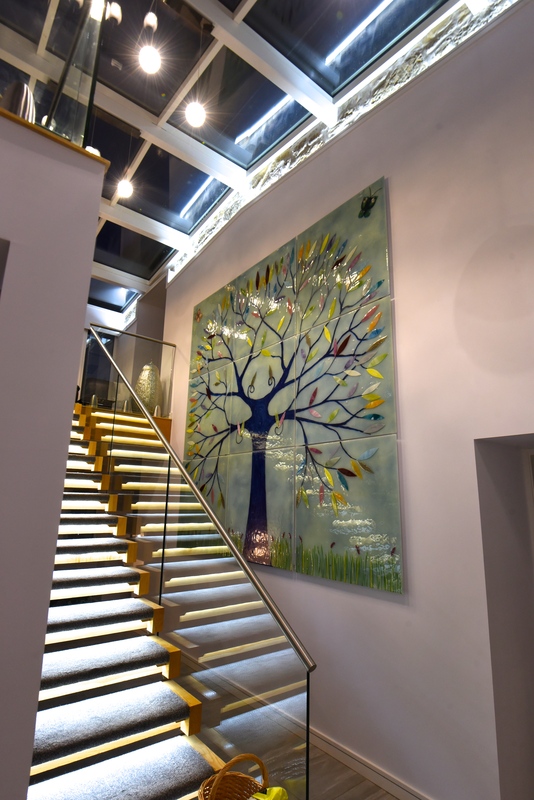 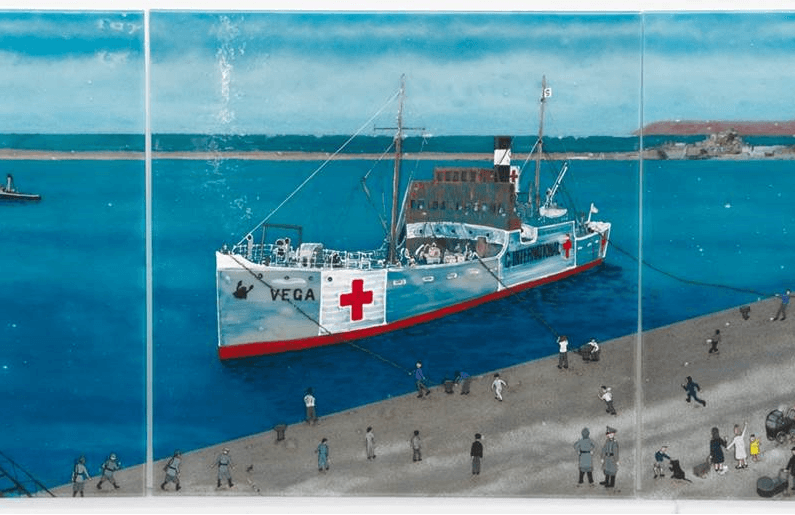 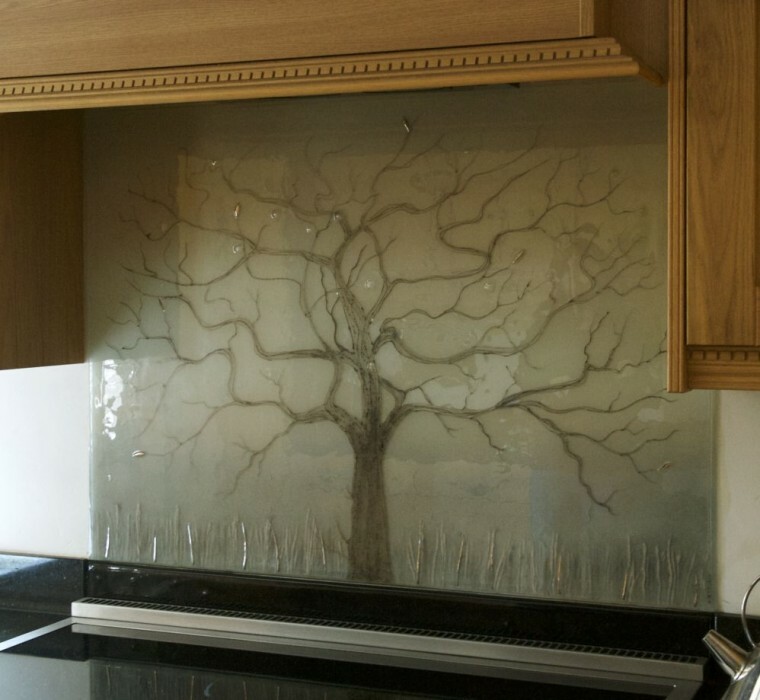 The complete installation features a set of panels with three trees. 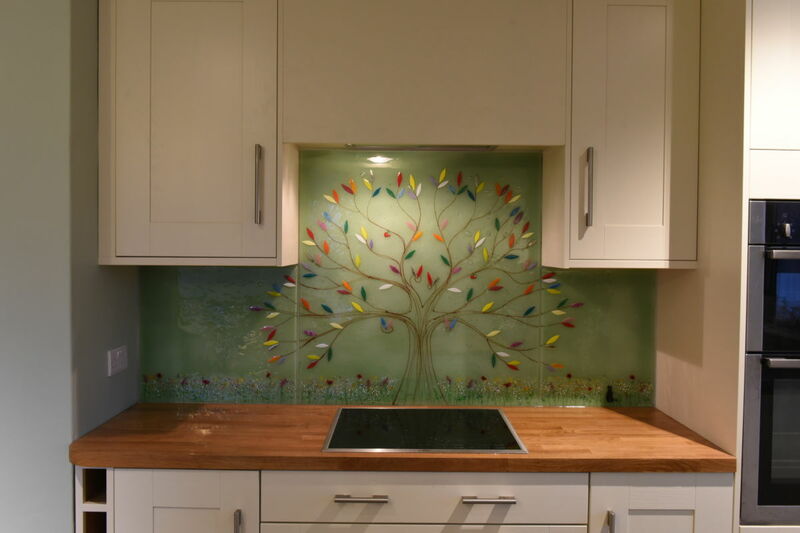 The design is in the vein of our classic Tree of Life, of course, which continues to be a favourite to this day. 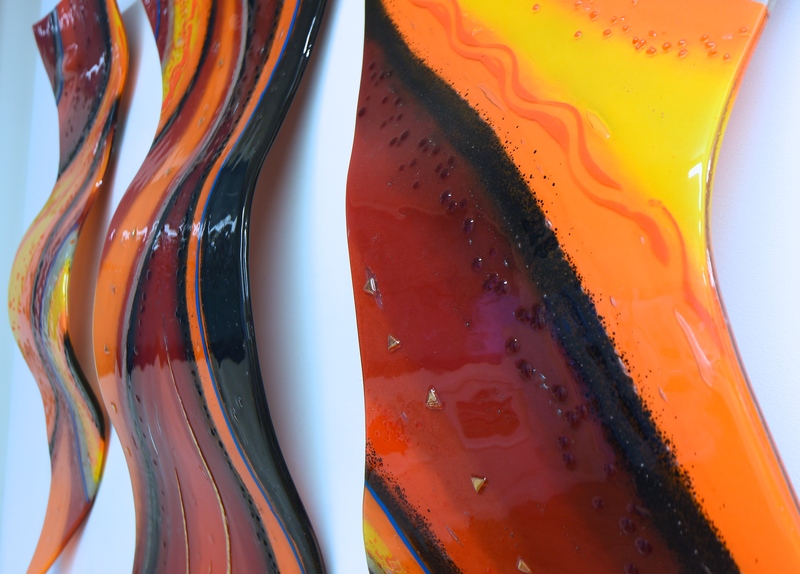 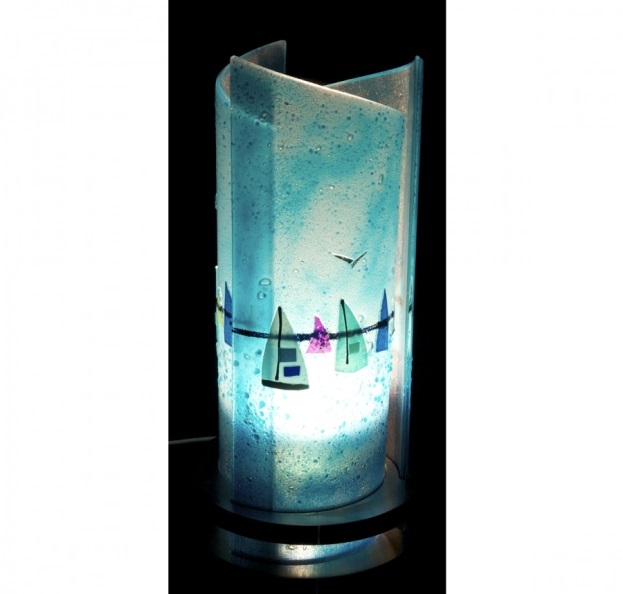 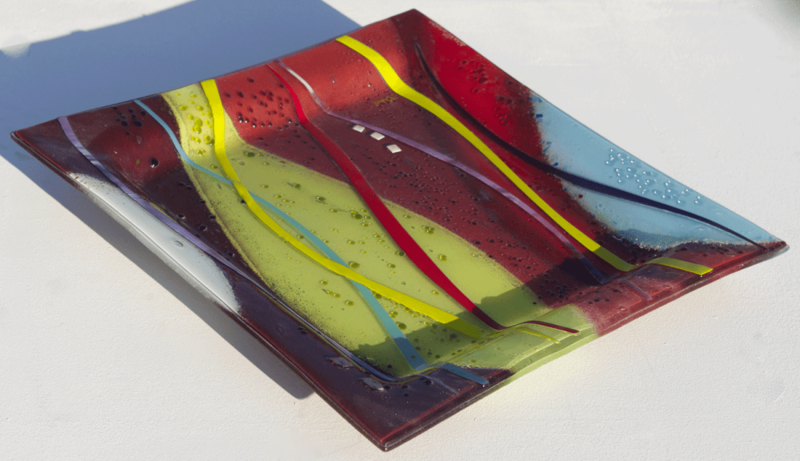 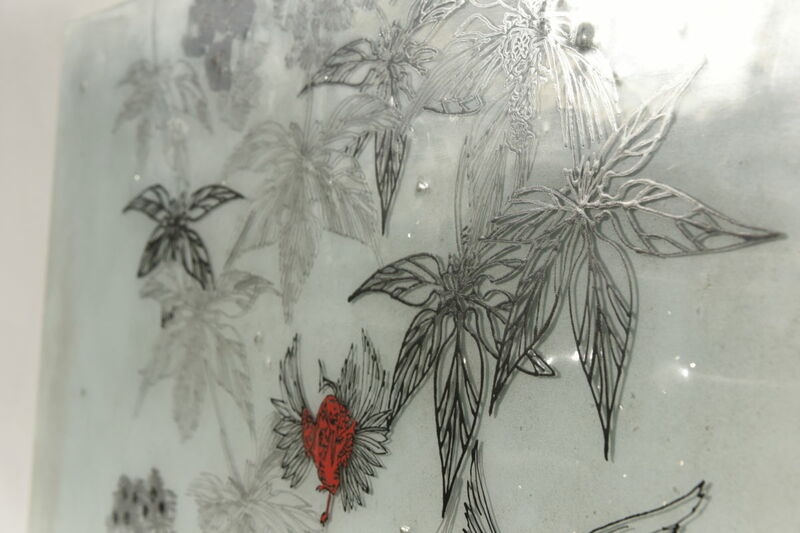 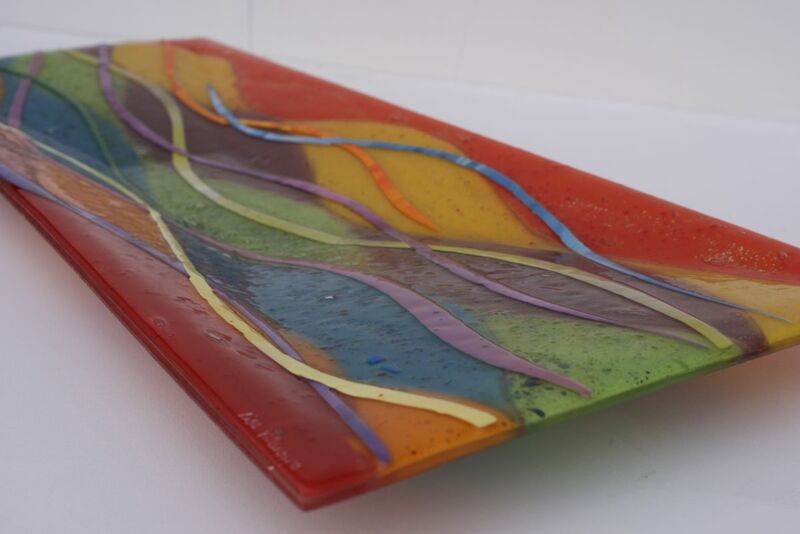 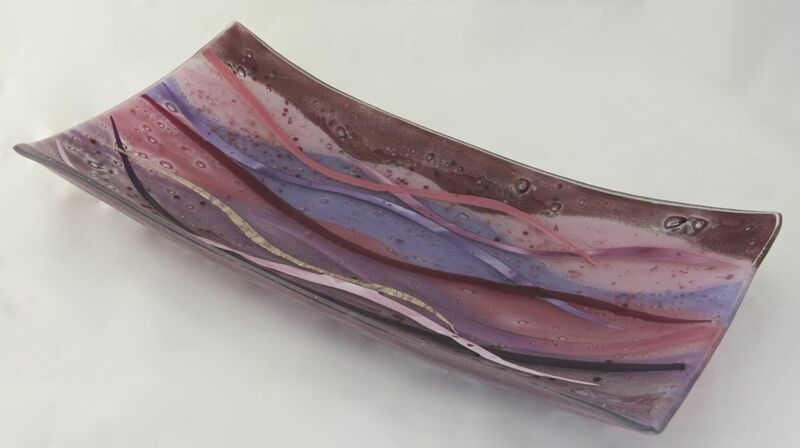 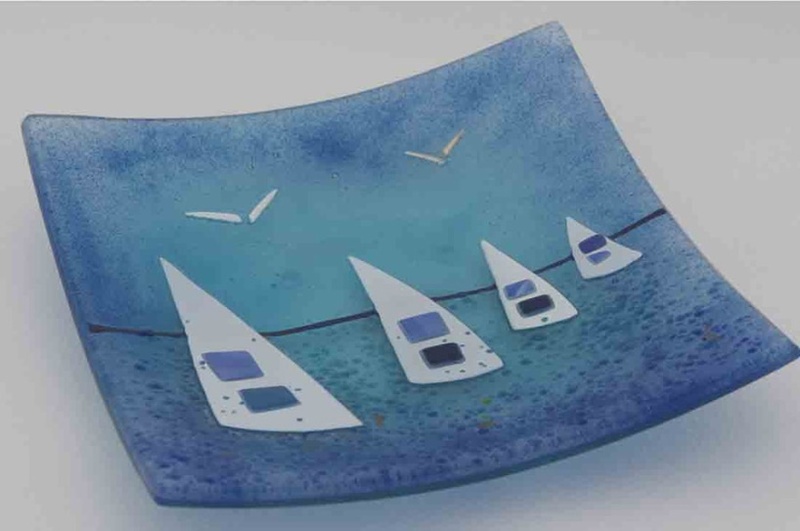 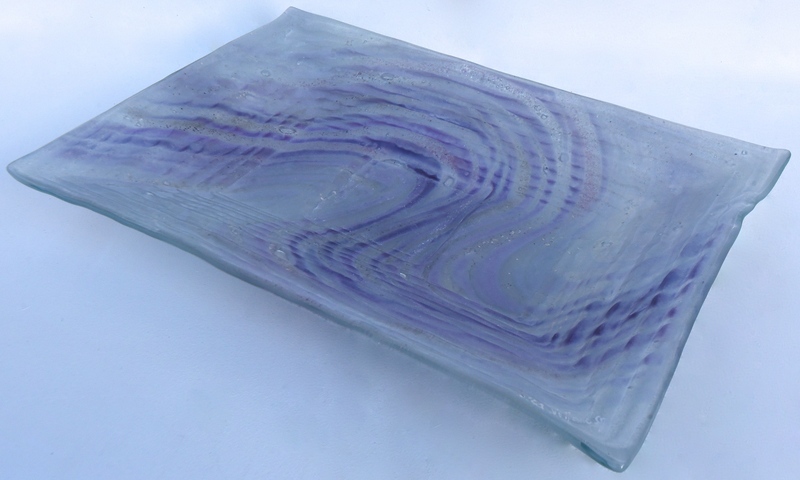 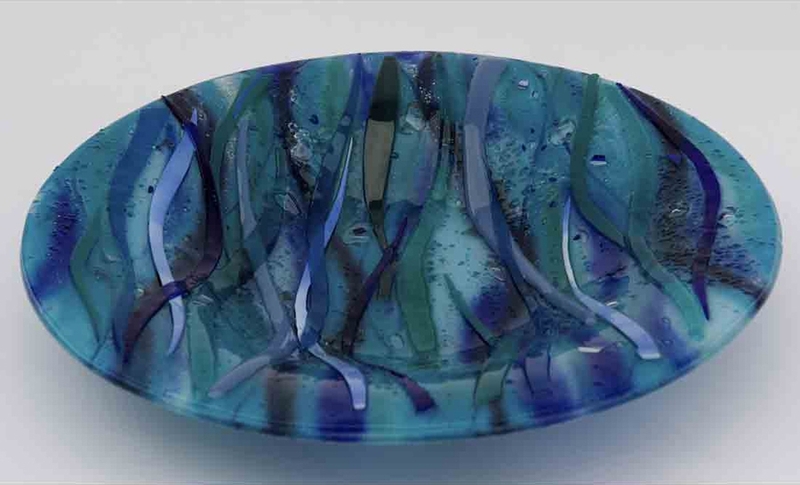 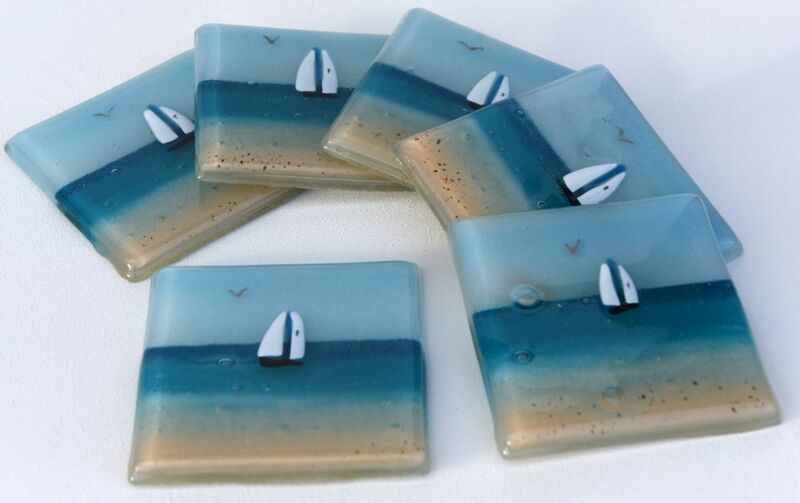 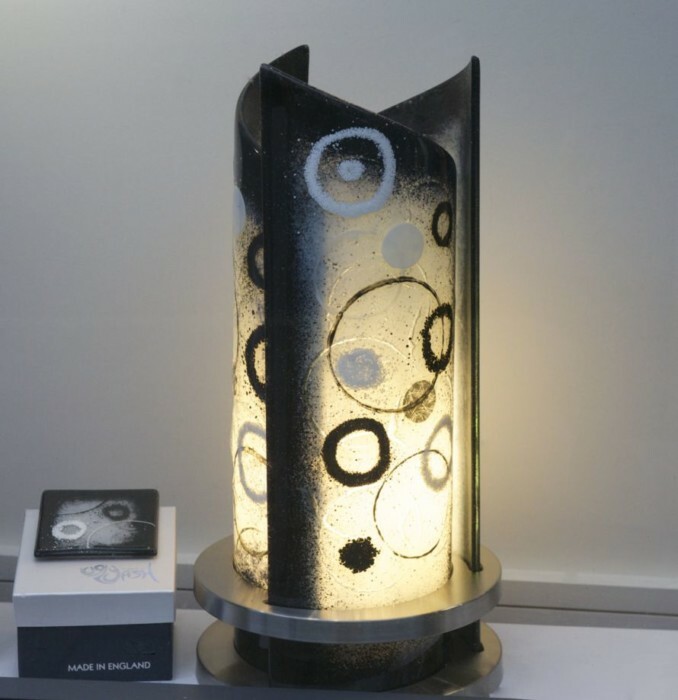 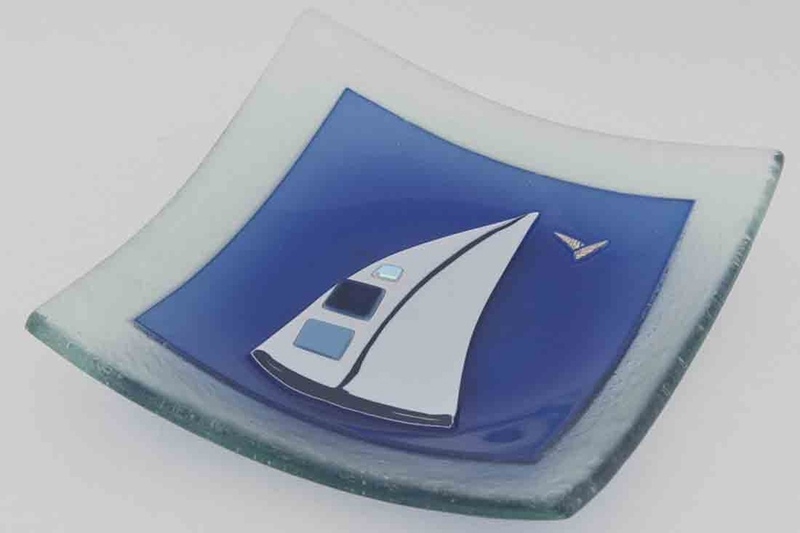 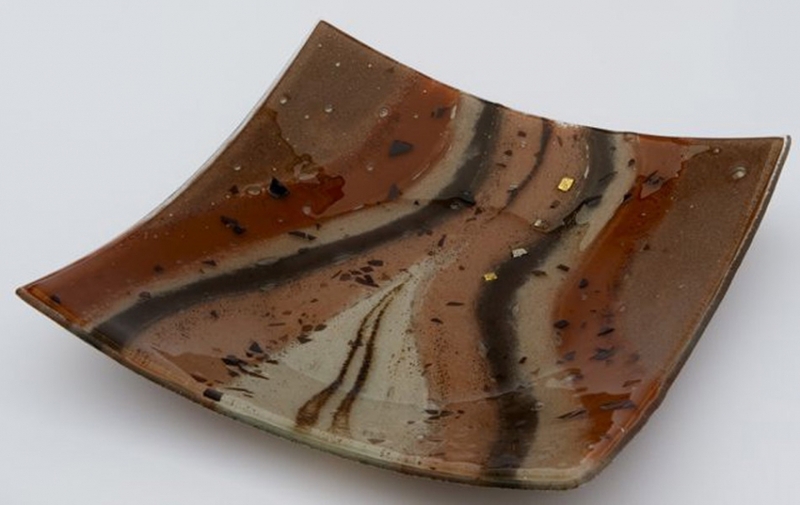 Even back when this piece was made, the design was incredibly popular and featured heavily in the glass we made through the year. 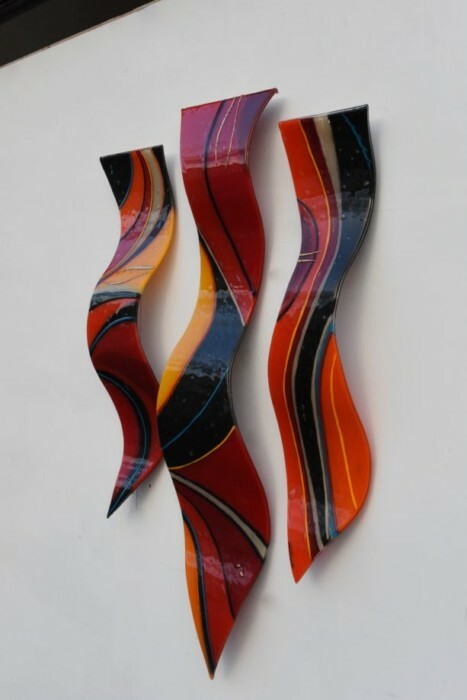 No two pieces were ever the same, however, meaning that each one presented its own unique challenges and was a joy to work on. 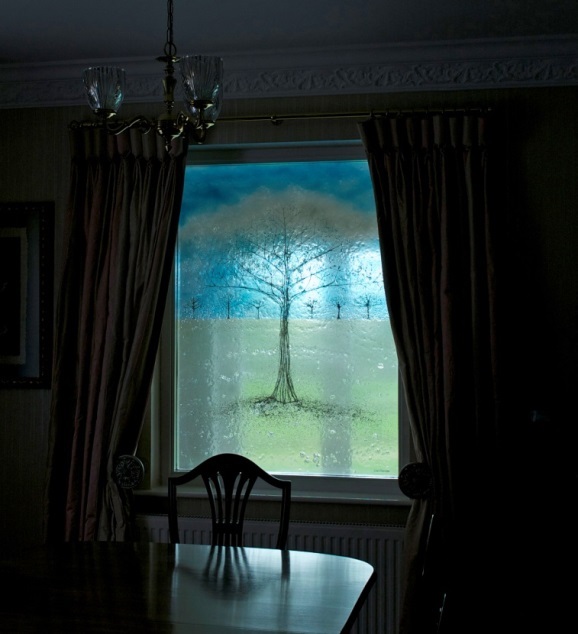 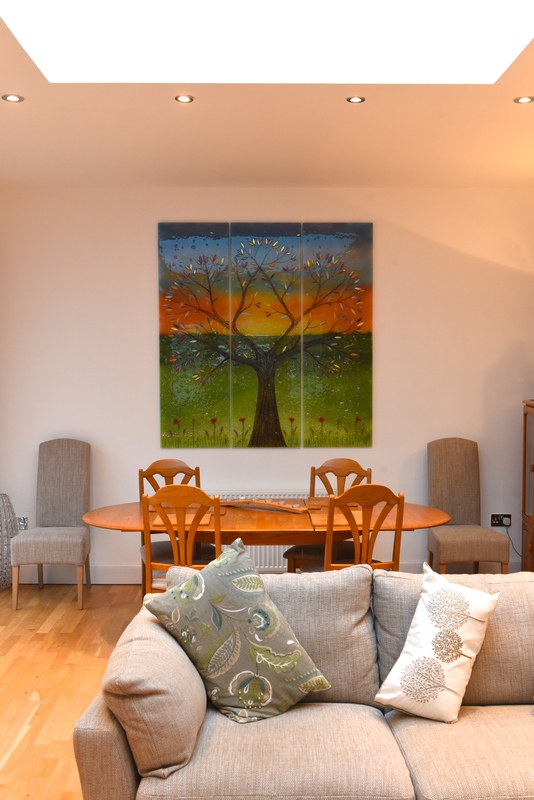 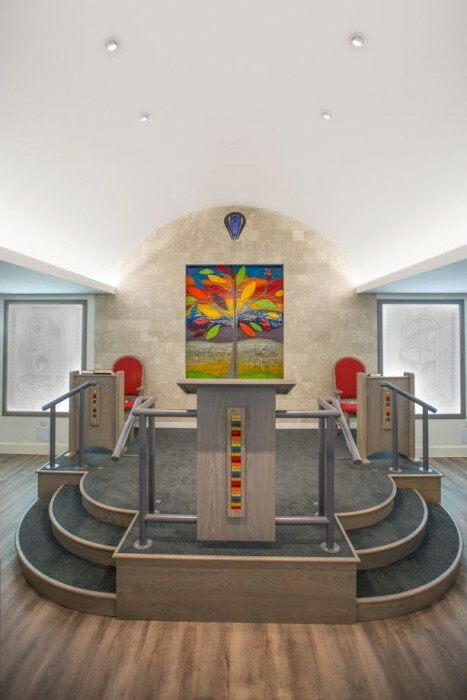 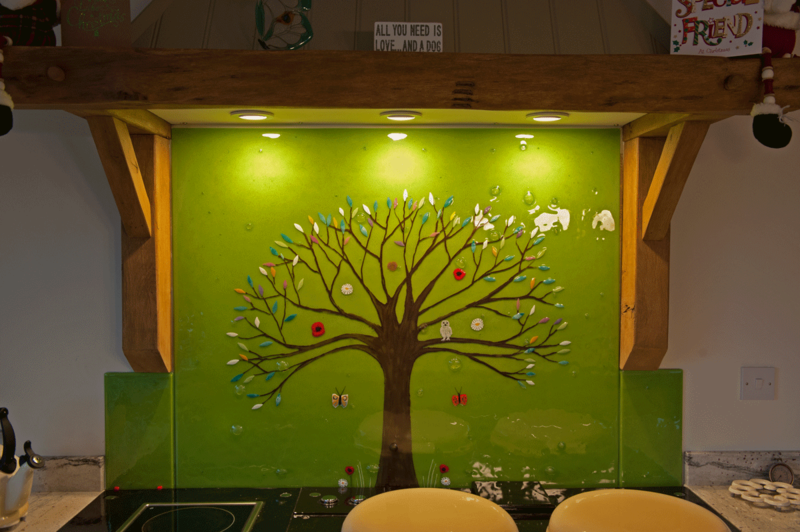 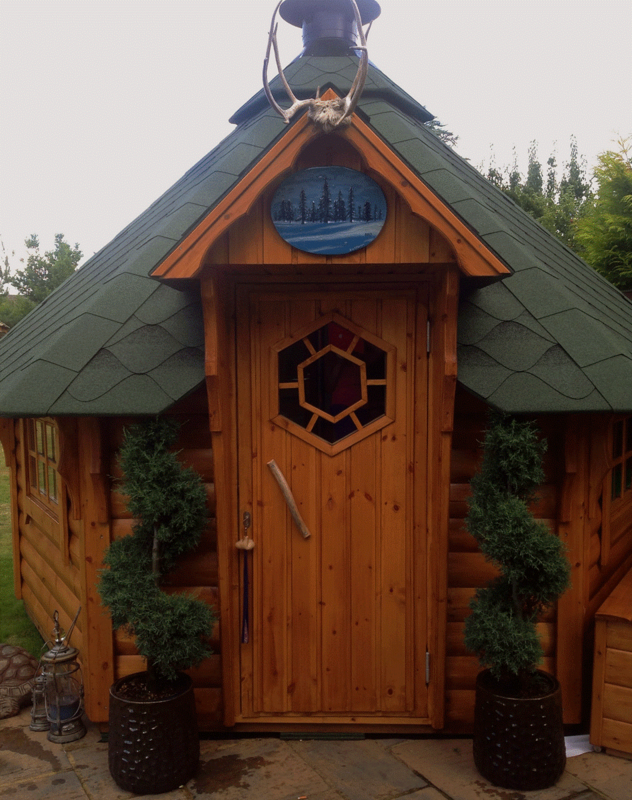 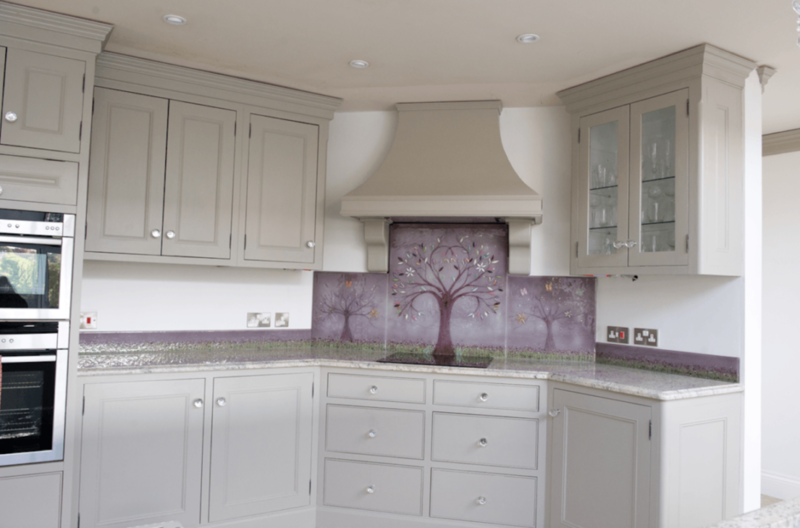 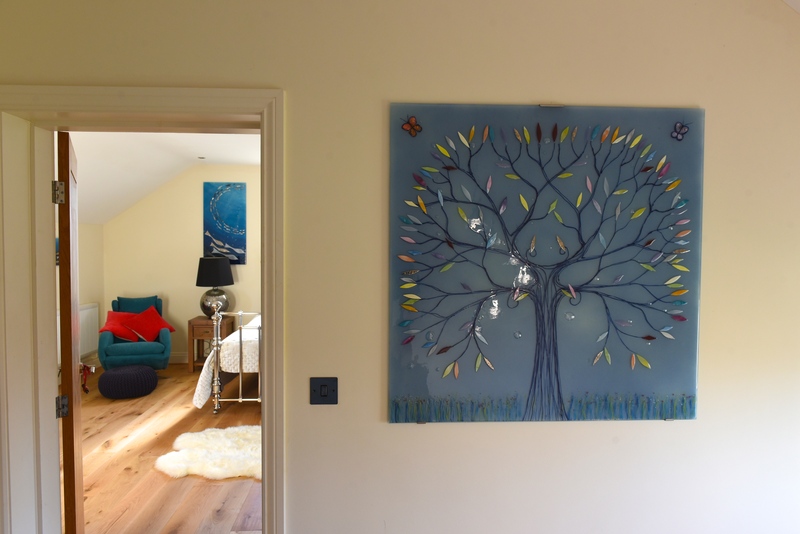 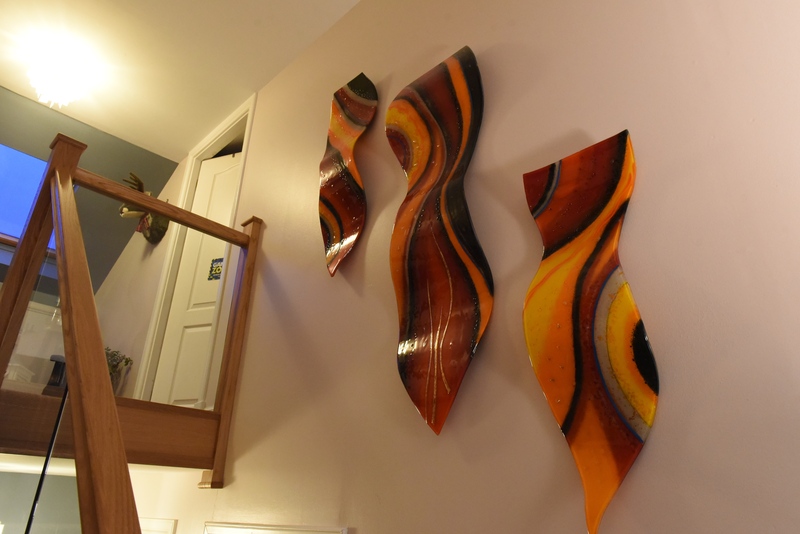 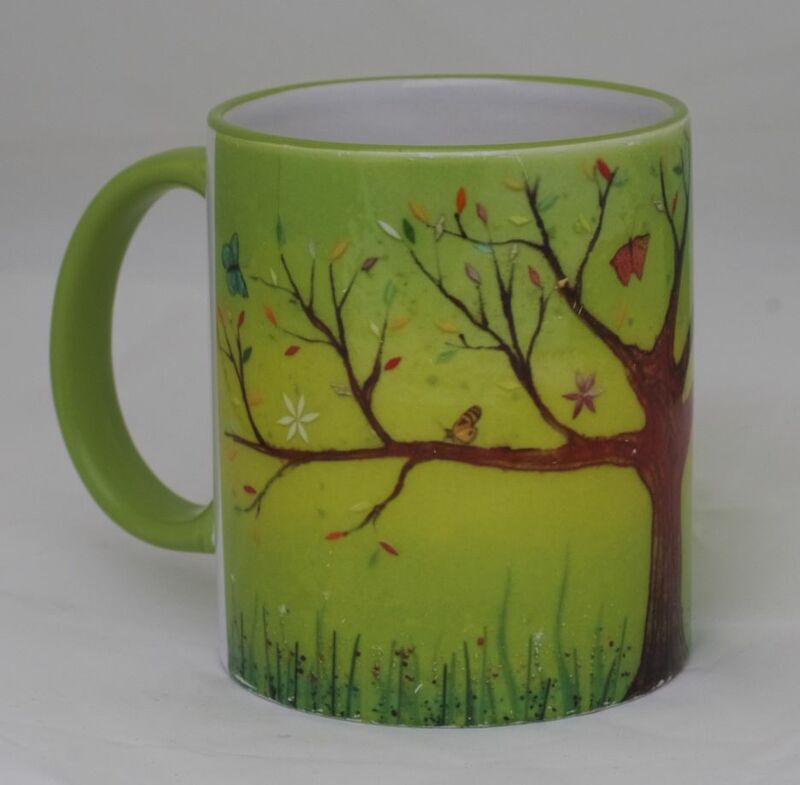 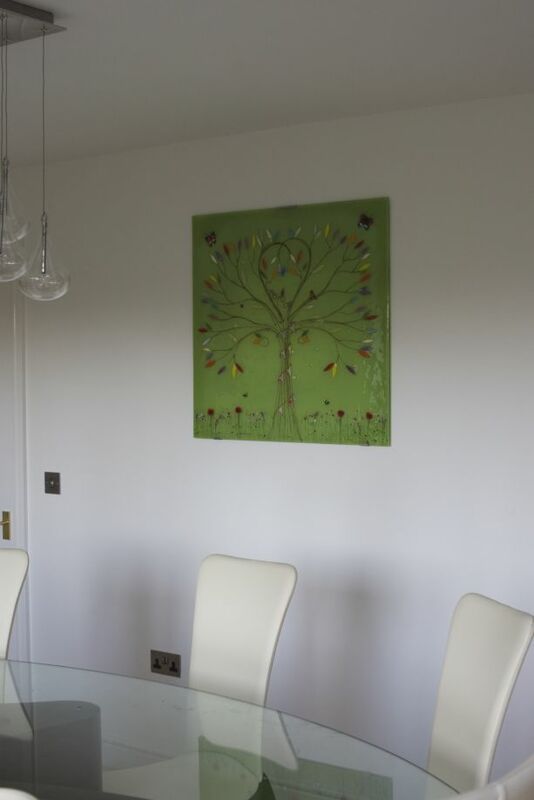 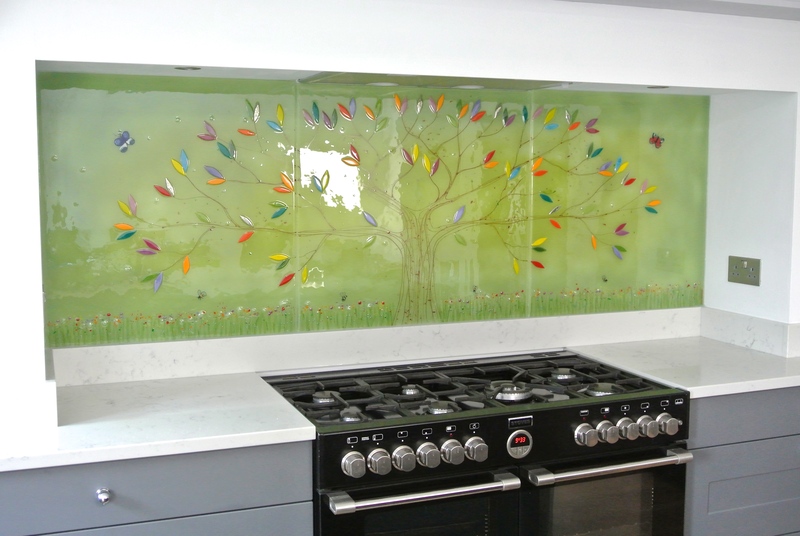 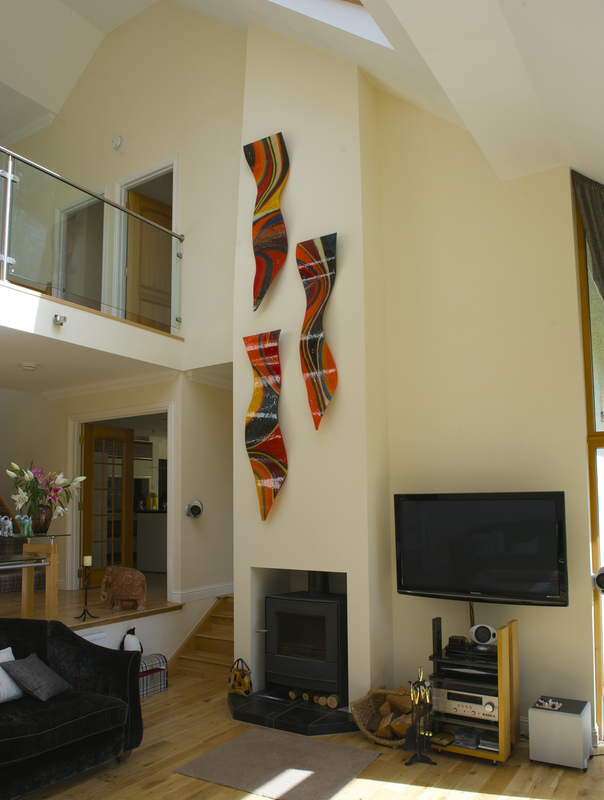 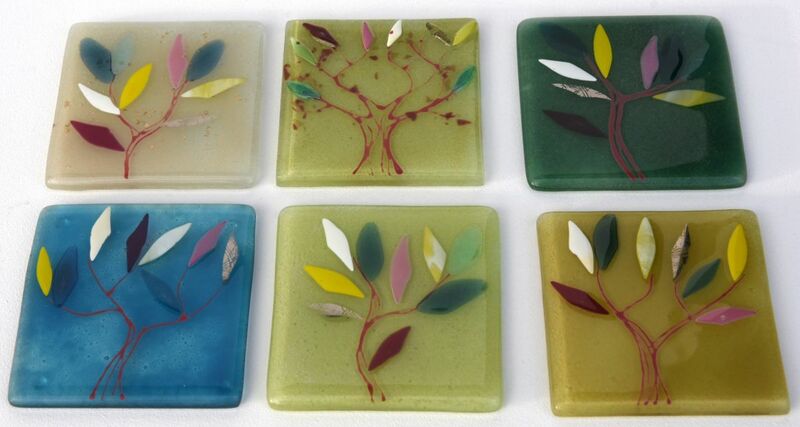 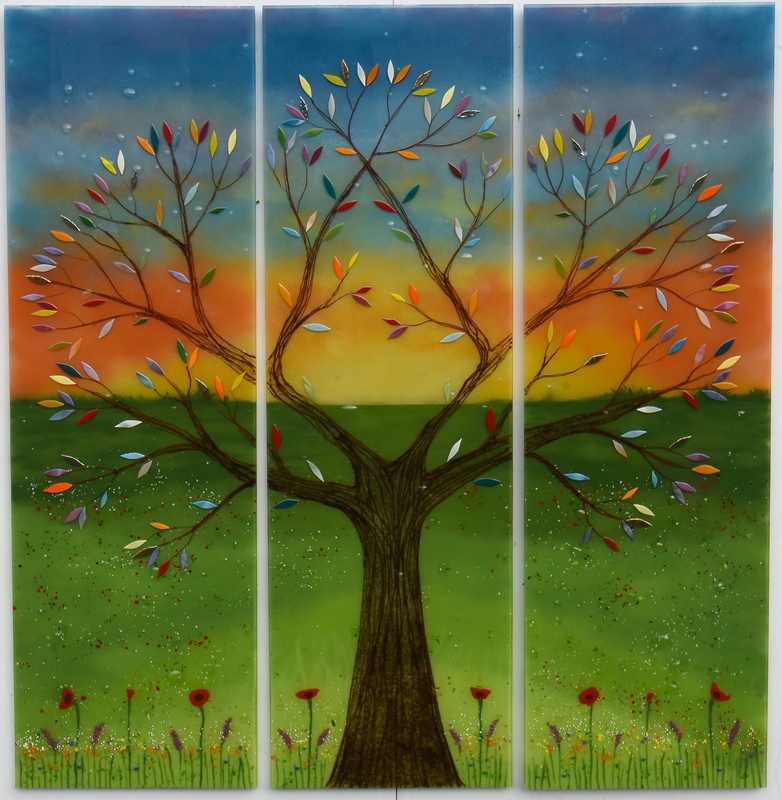 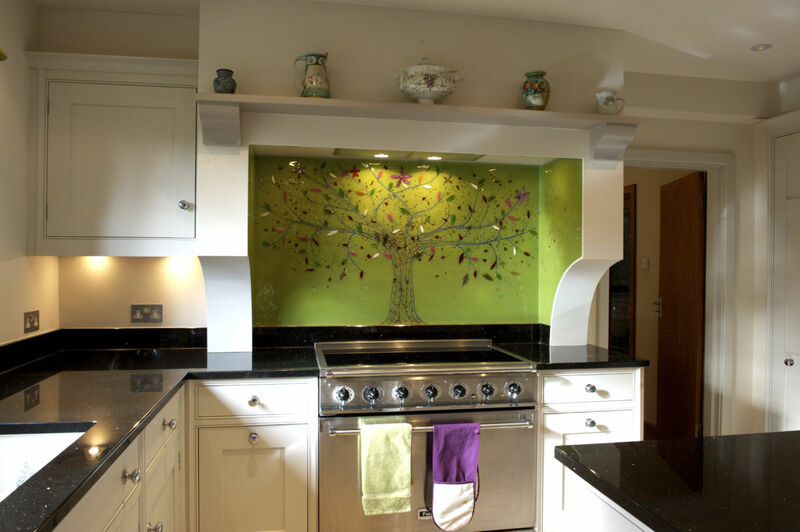 This customer offered a unique twist to the usual Tree of Life style, however, with not one but three trees included as part of the multi-panel design. 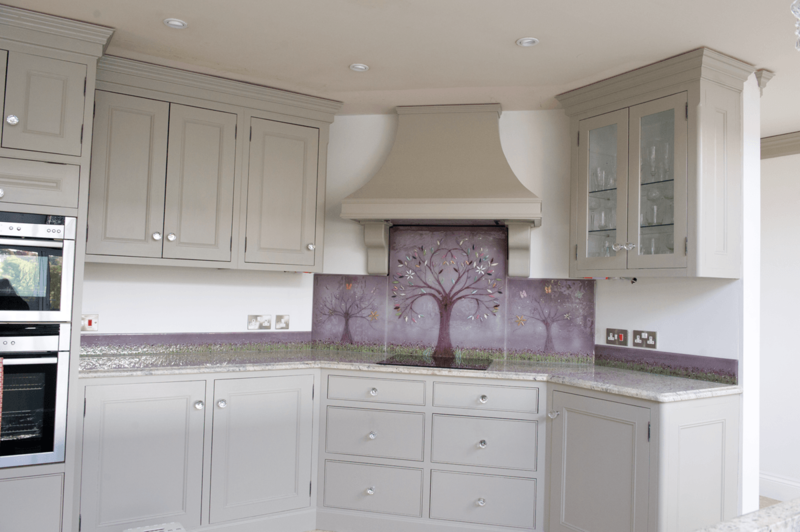 The background is a soft mauve, utilising a soft gradient to create a gorgeously detailed base for the main focus of each panel, and last, but certainly not least, are the details! 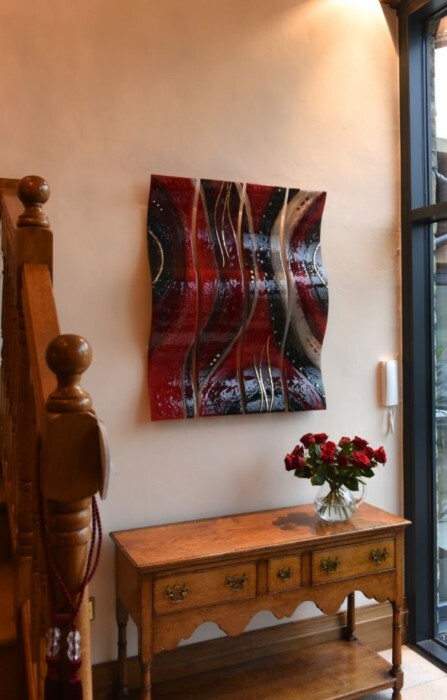 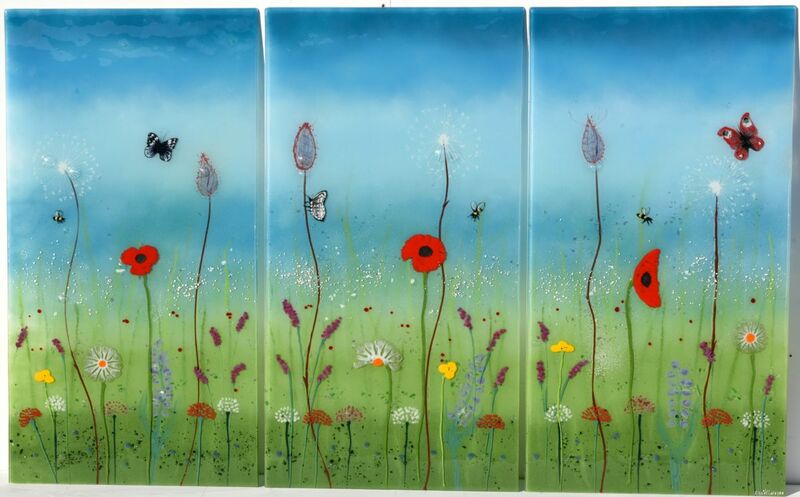 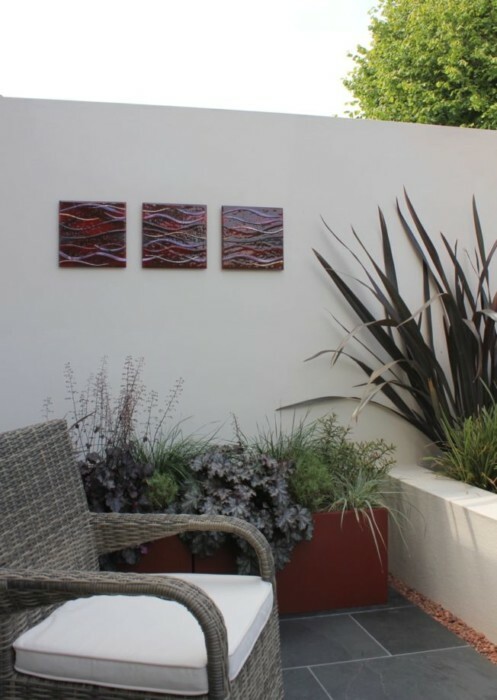 Take a look at the grass and beautiful red flowers that line the bottom of each piece as the design runs along and around the back wall. 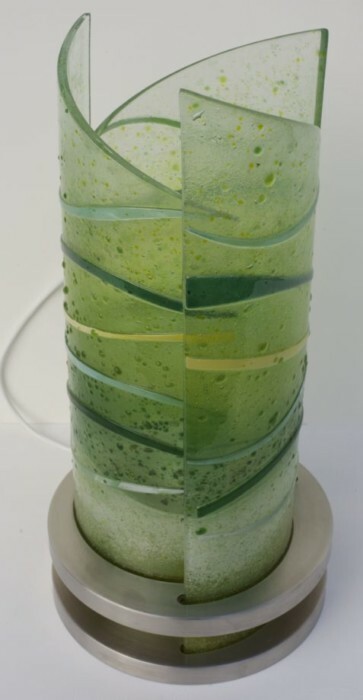 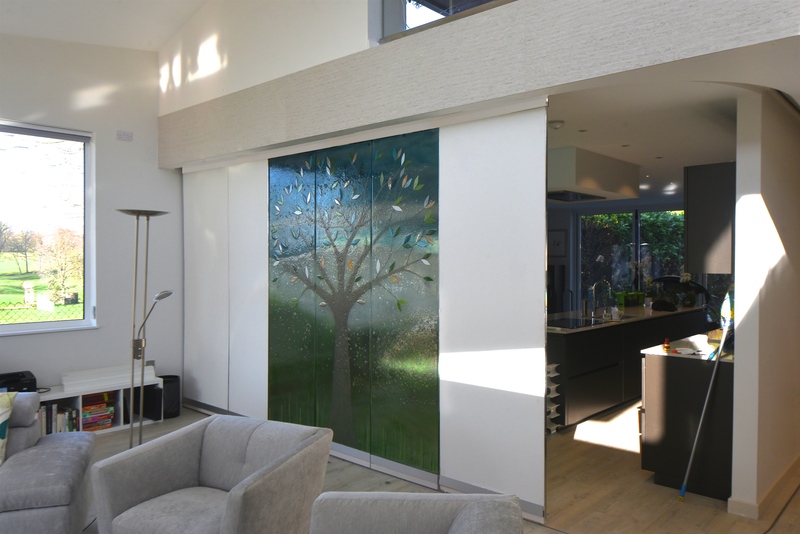 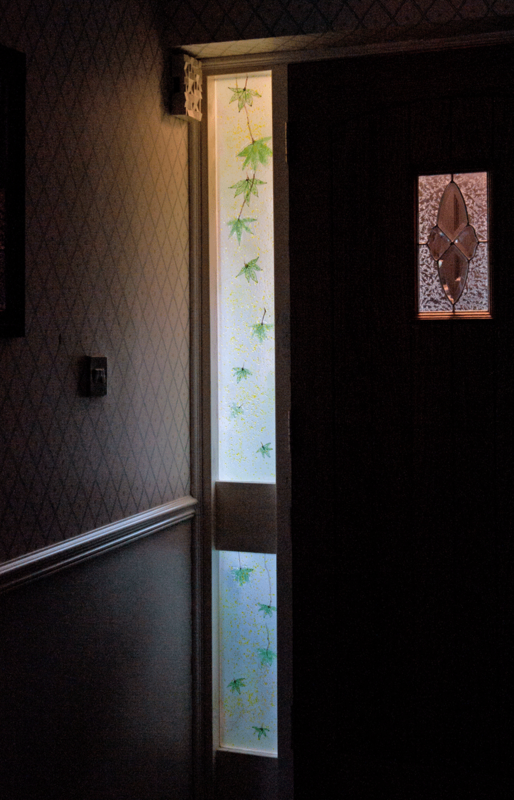 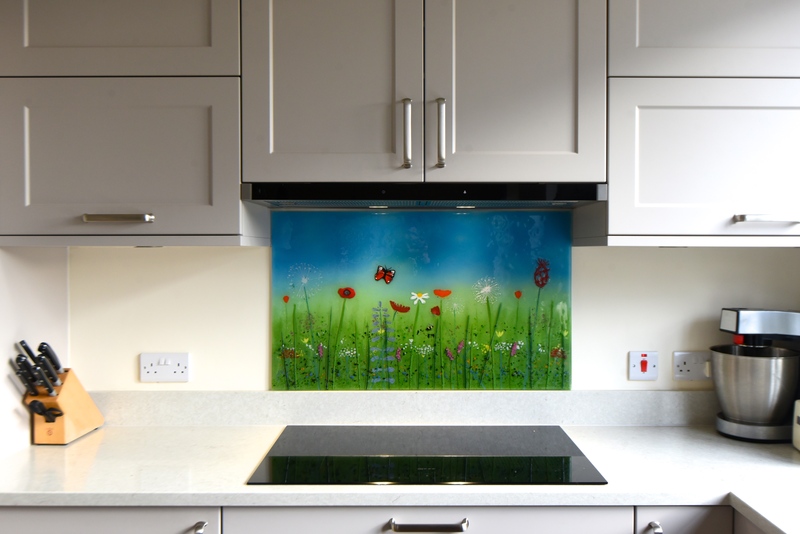 You may even be able to spot the butterflies fluttering about in the glass, a lovely little addition that helps to put that extra bit of life into the design. 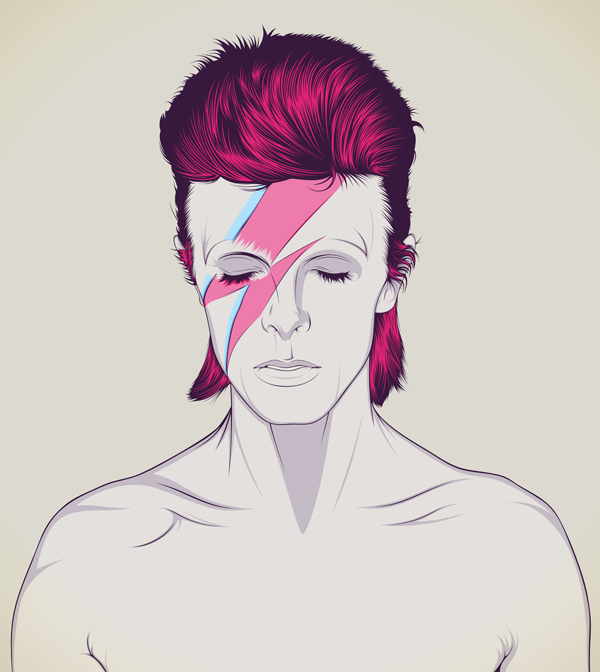 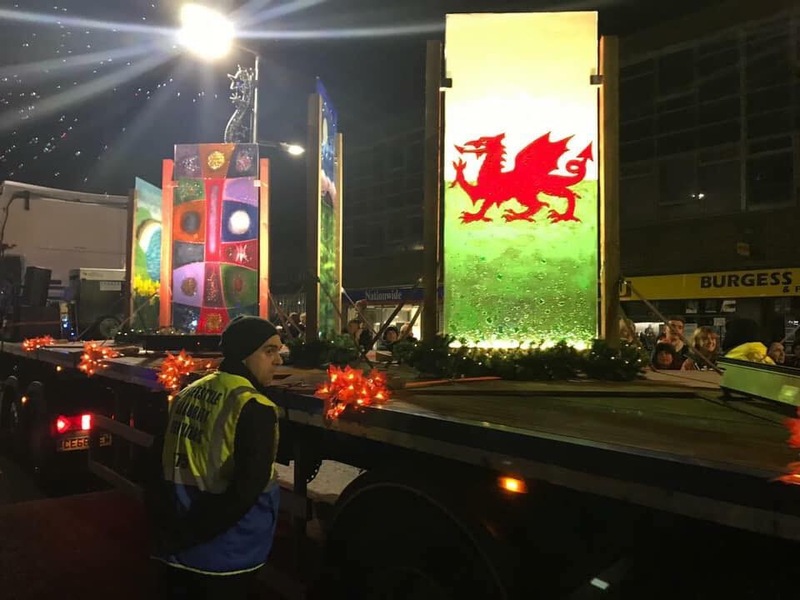 The piece definitely was one to grab all the right kinds of attention, and we’re sure it’s still there doing just that as we write this. 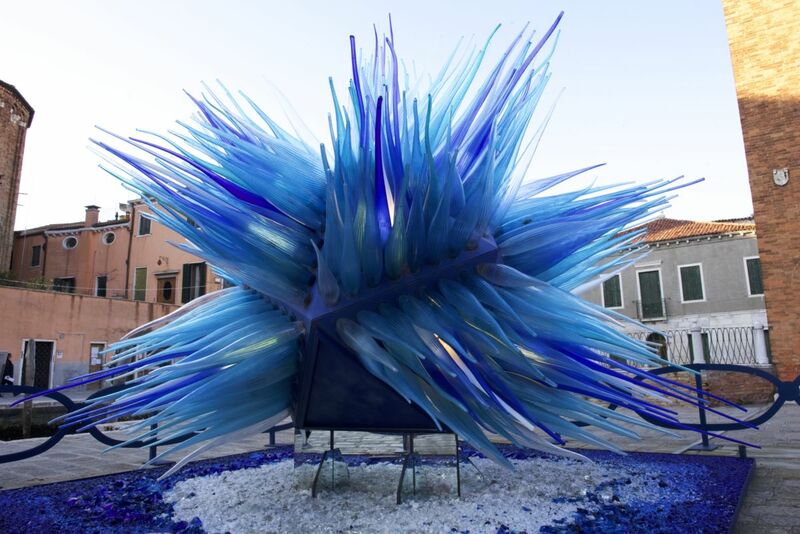 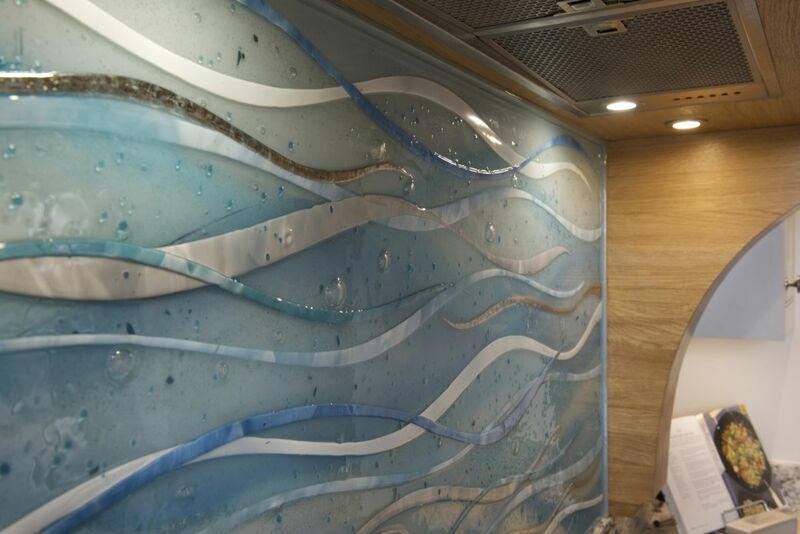 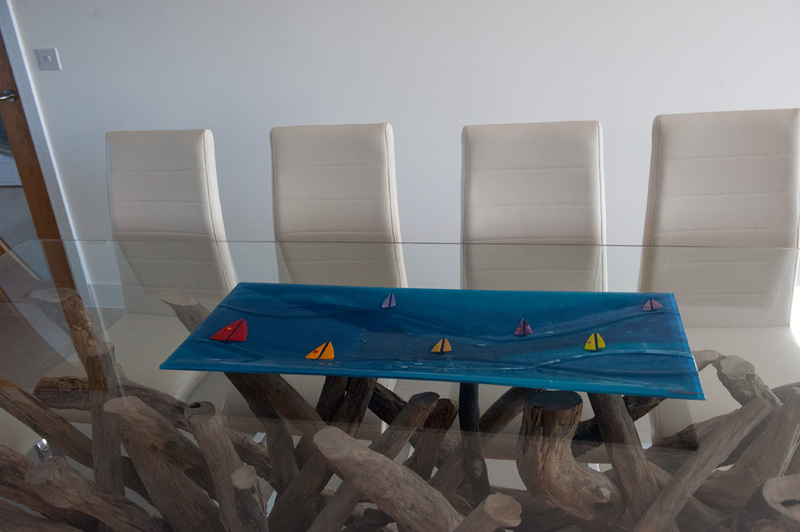 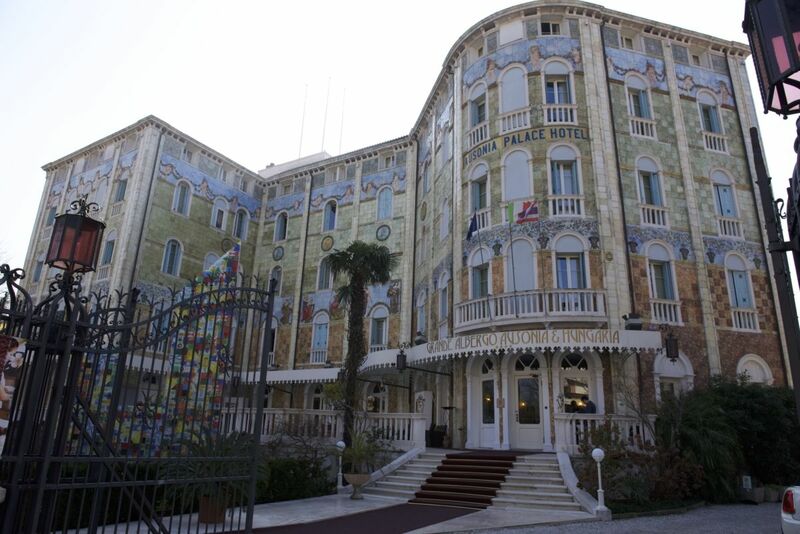 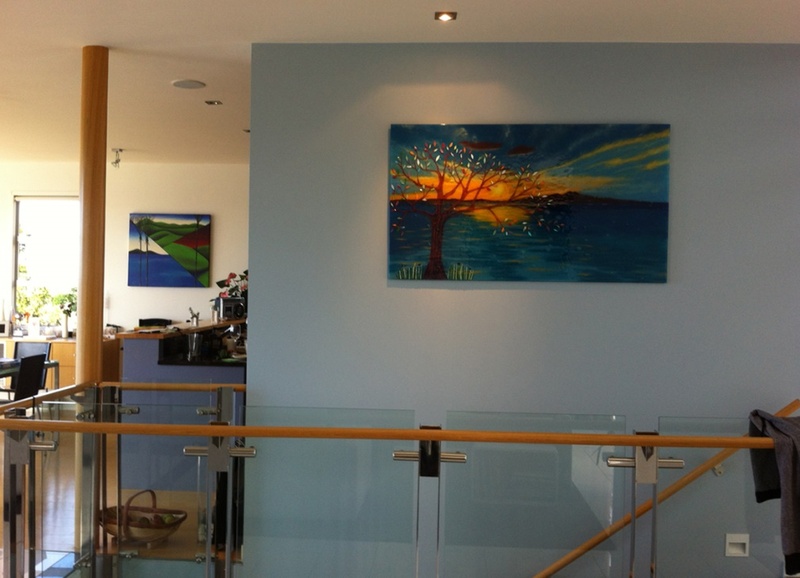 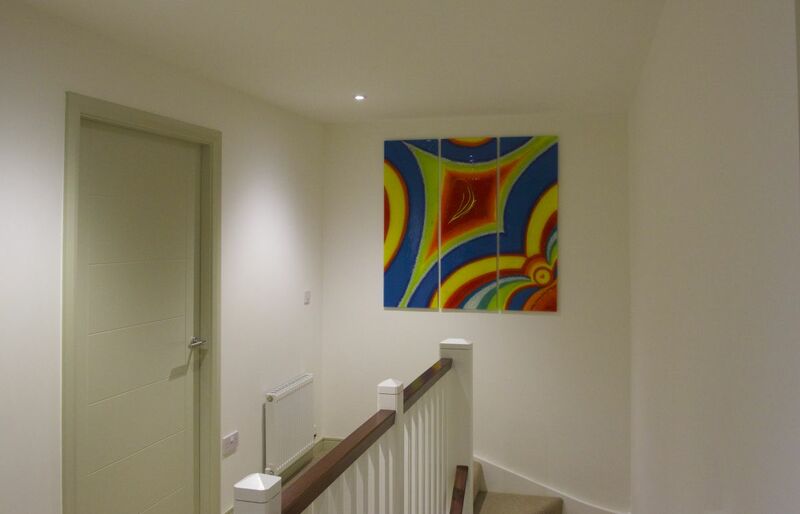 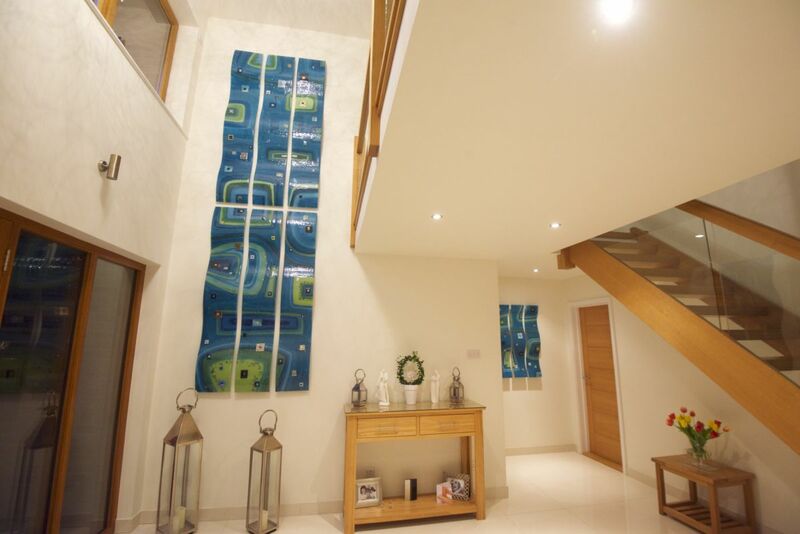 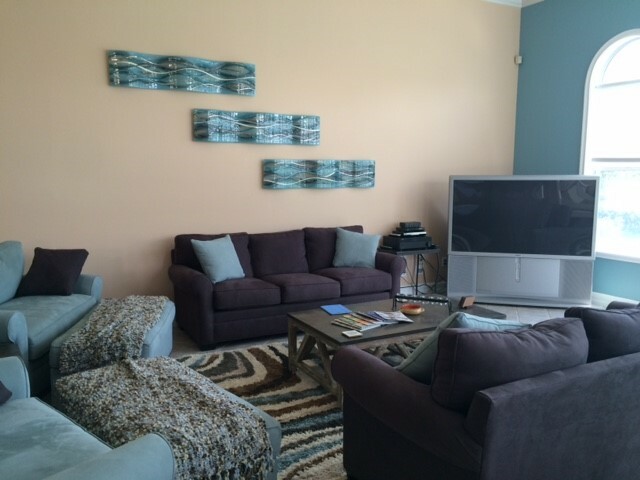 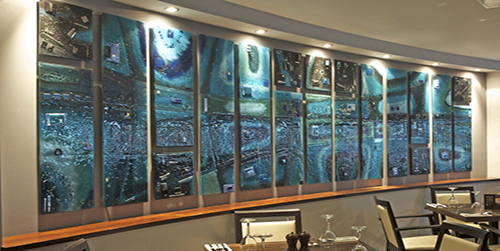 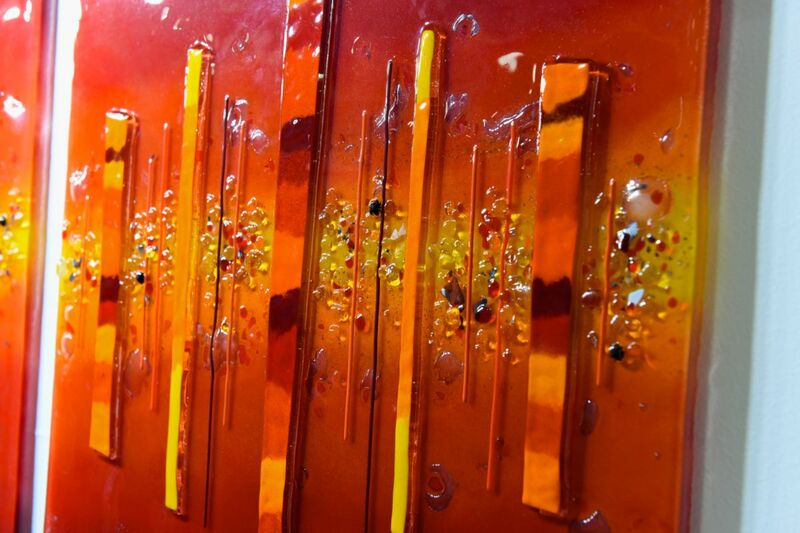 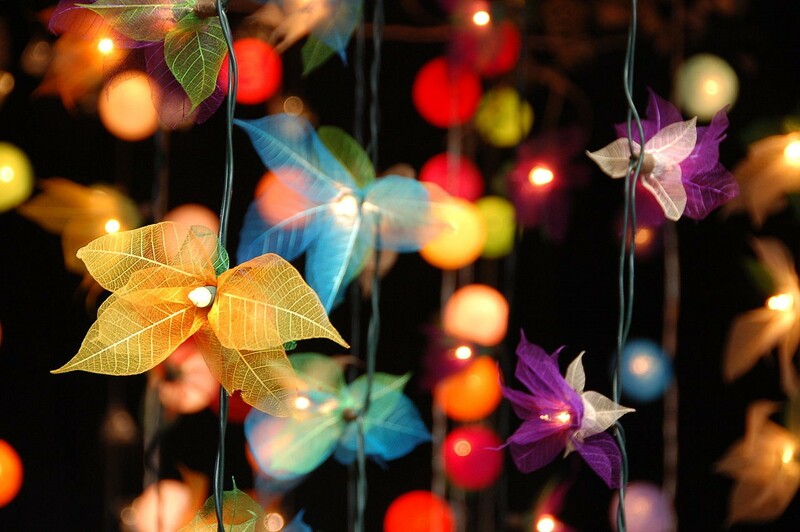 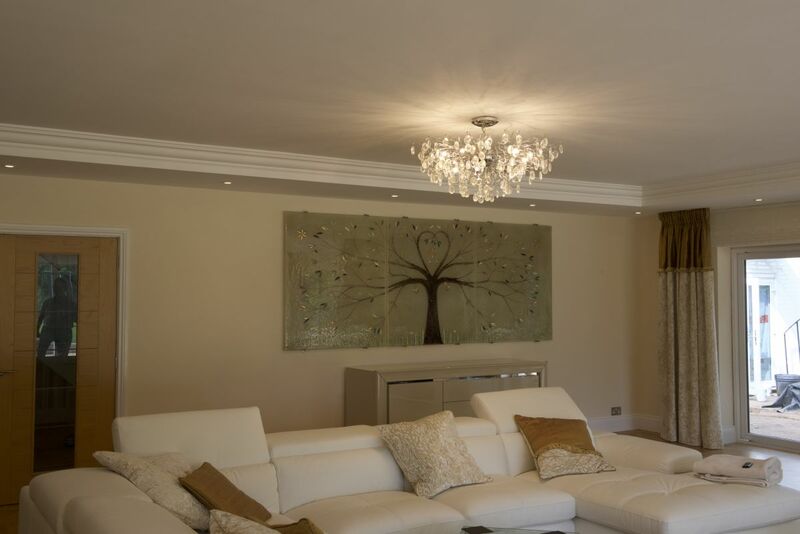 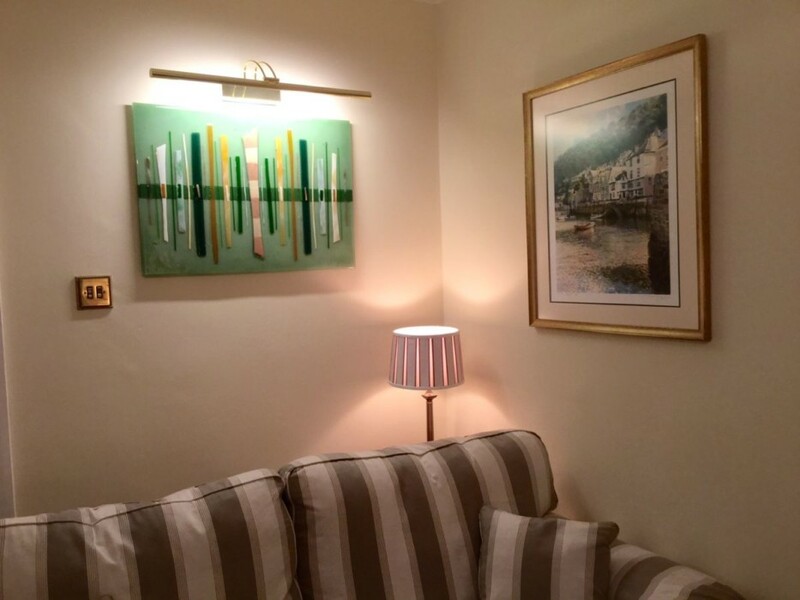 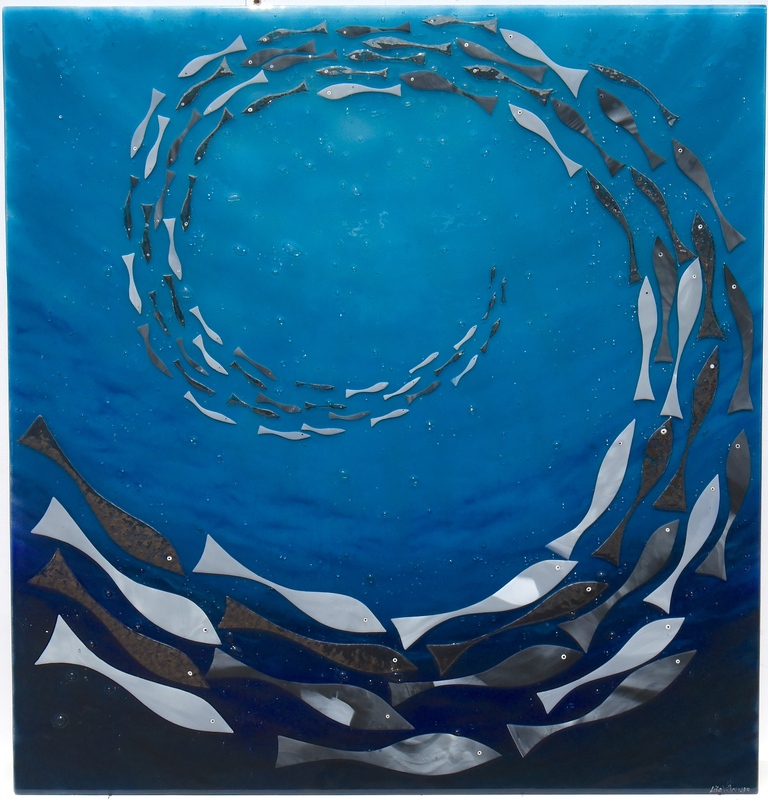 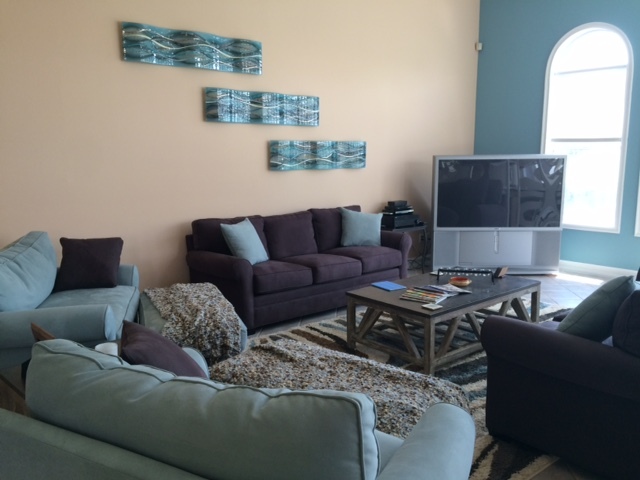 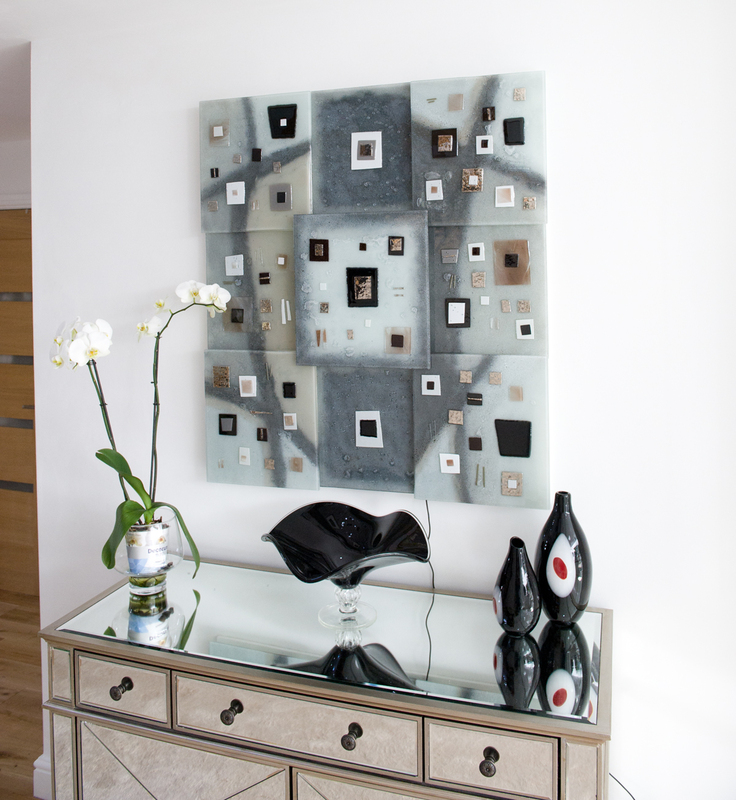 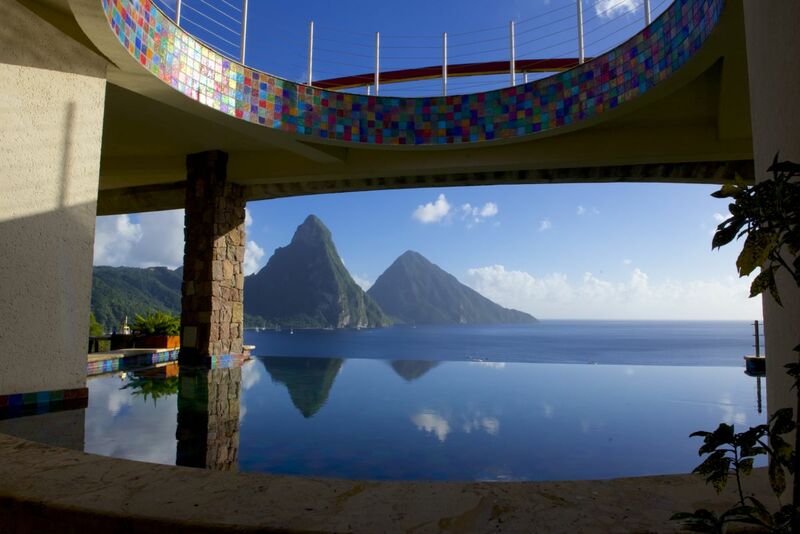 Friends, family and guests alike are sure to be stunned by the sheer wow factor of this incredible work of art. 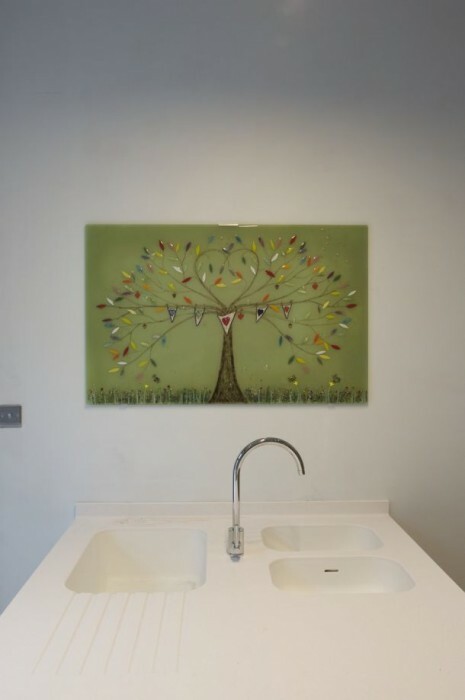 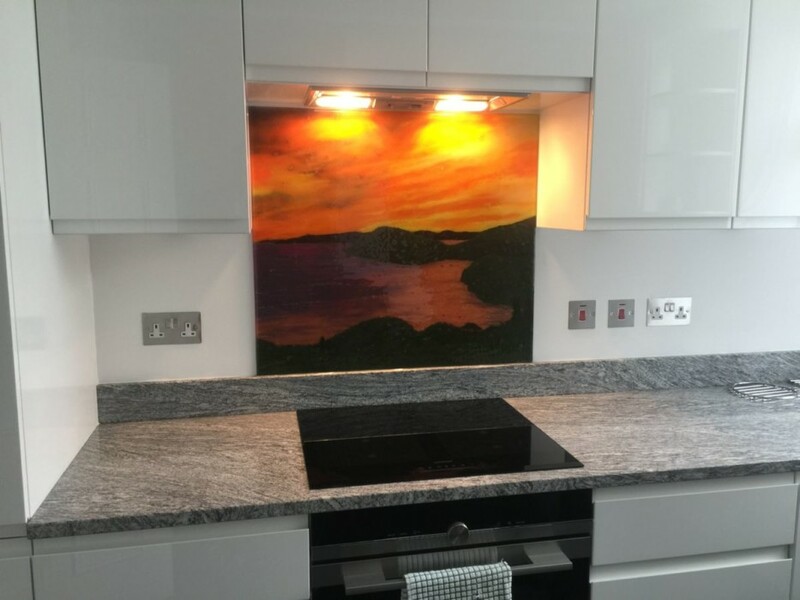 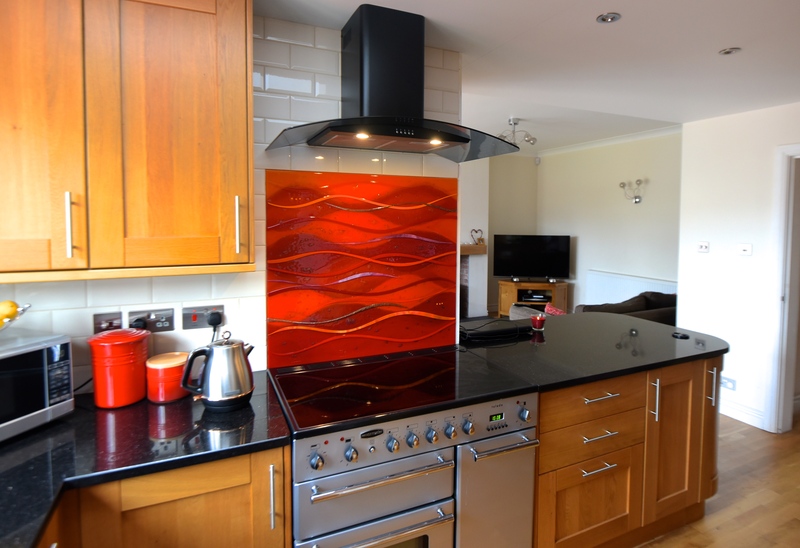 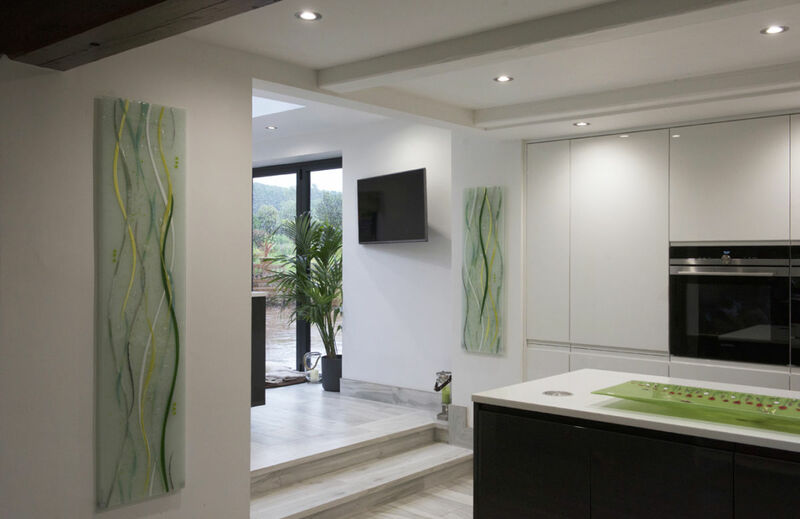 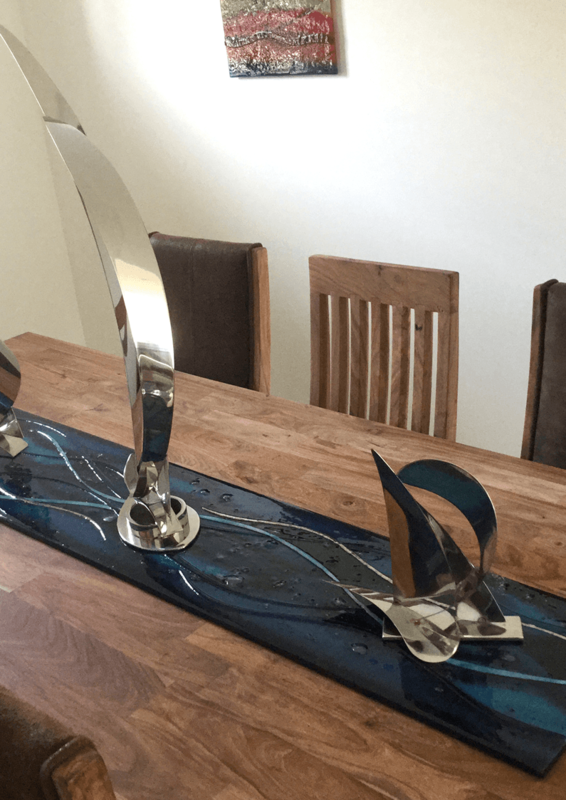 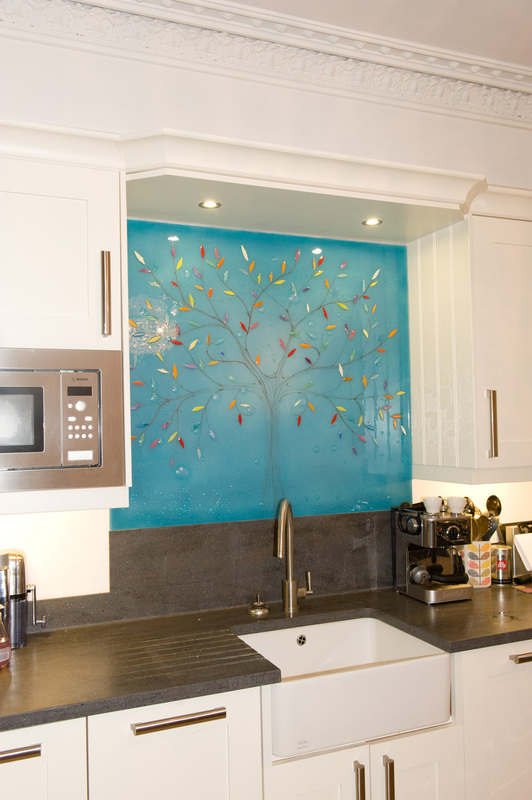 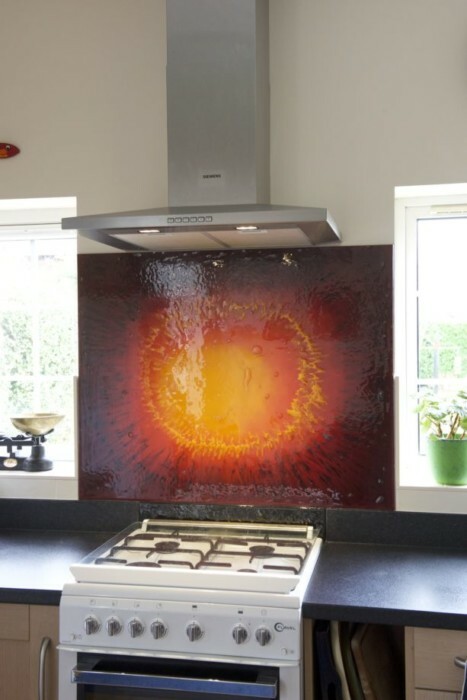 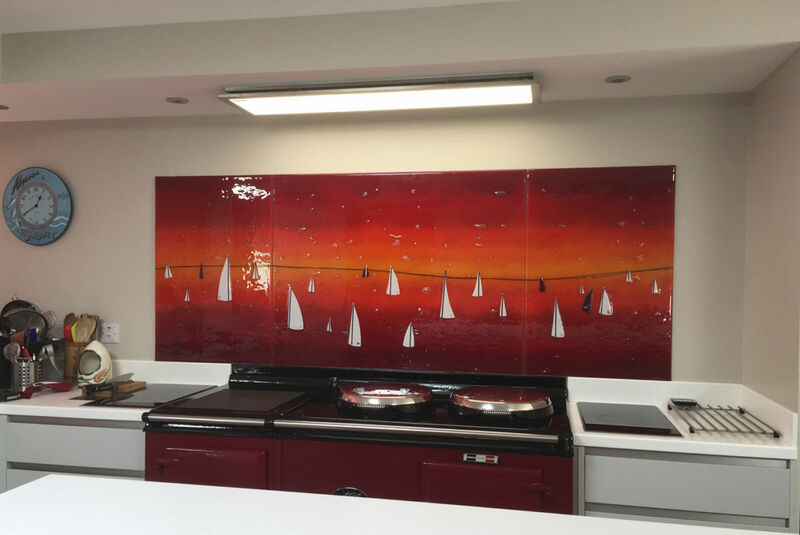 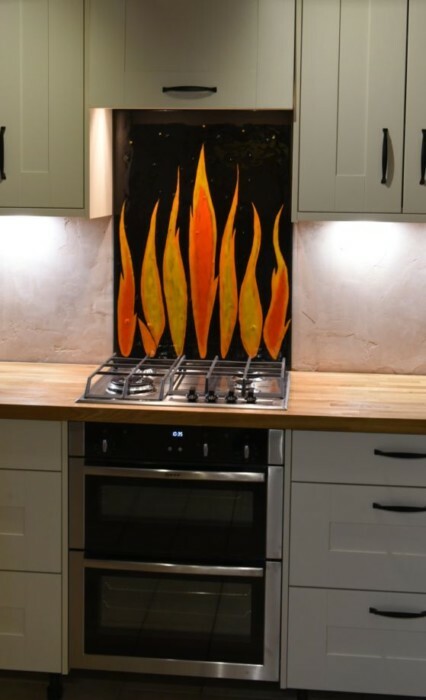 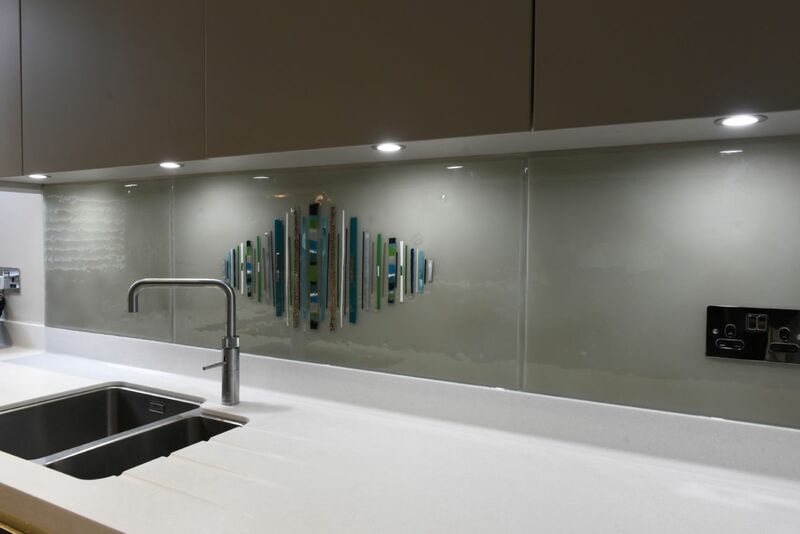 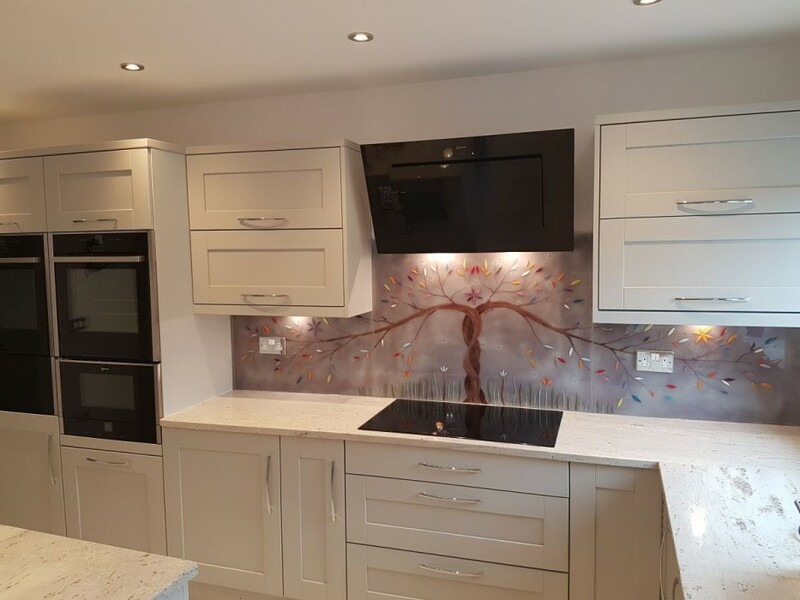 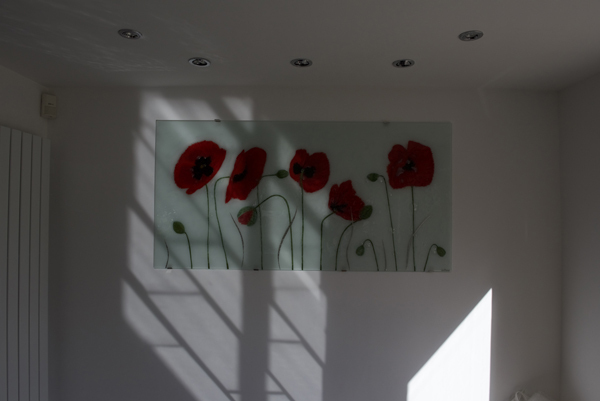 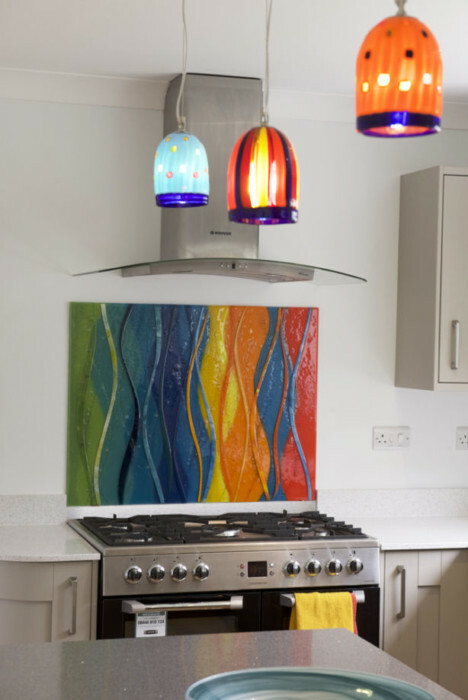 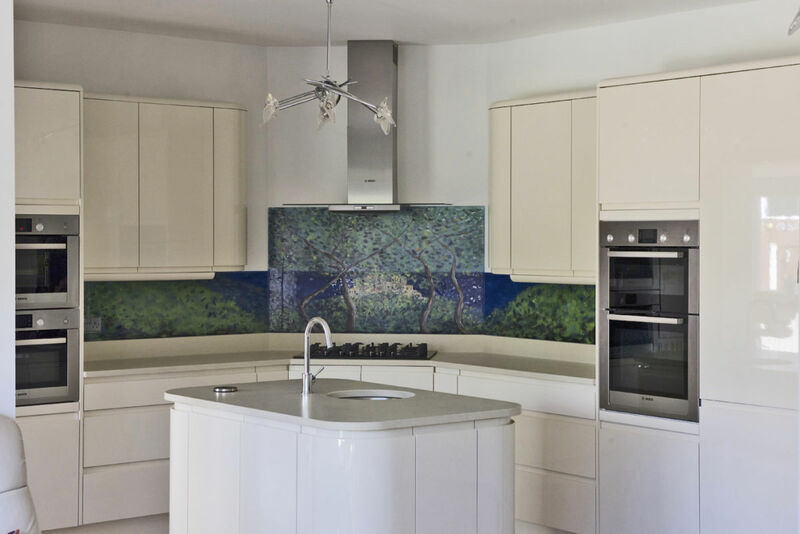 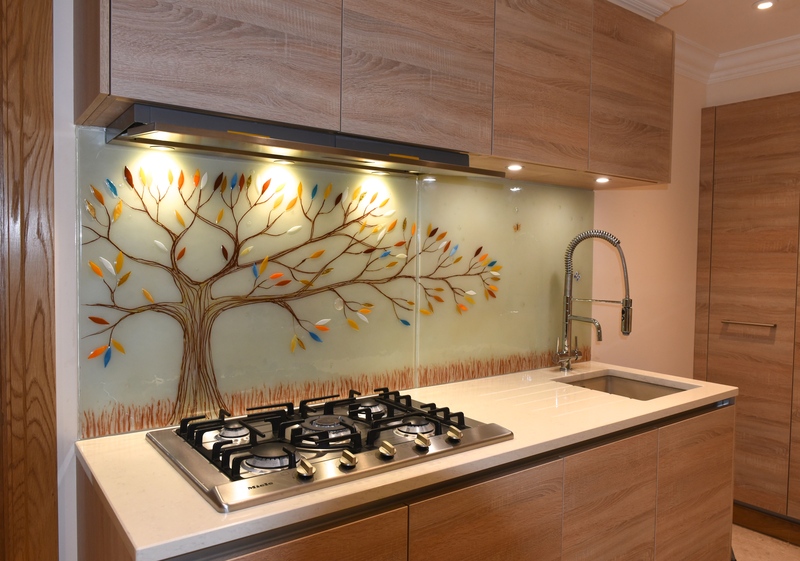 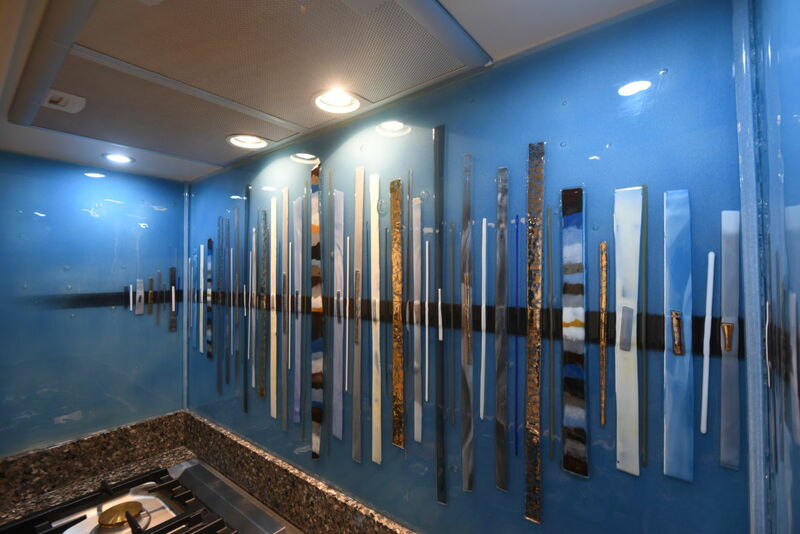 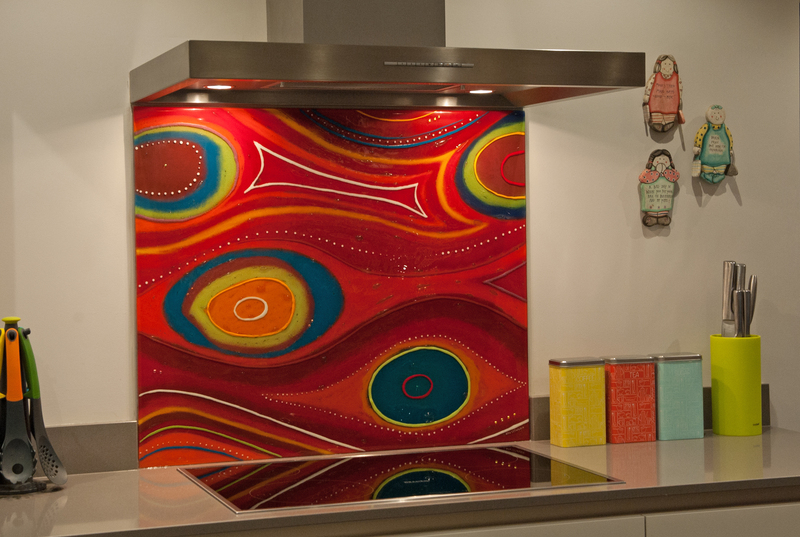 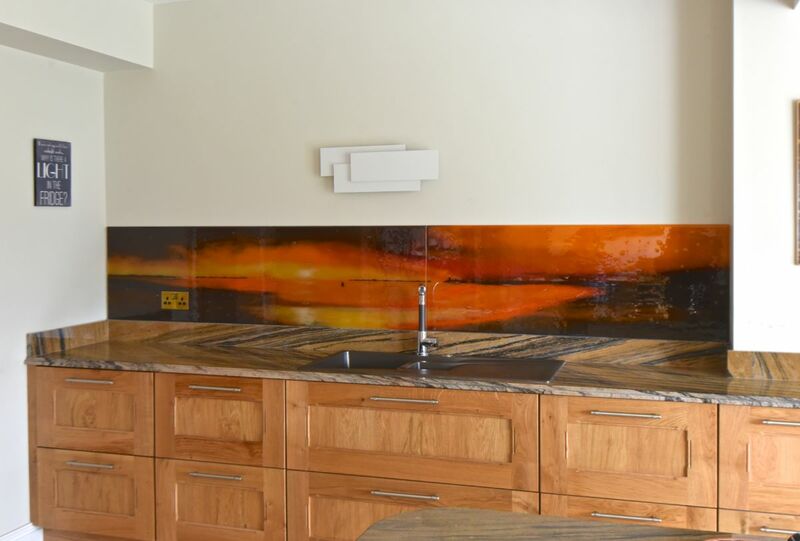 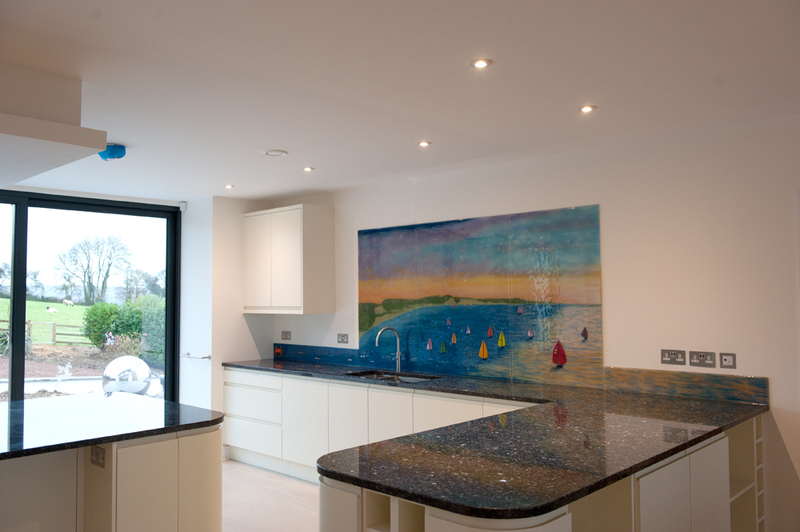 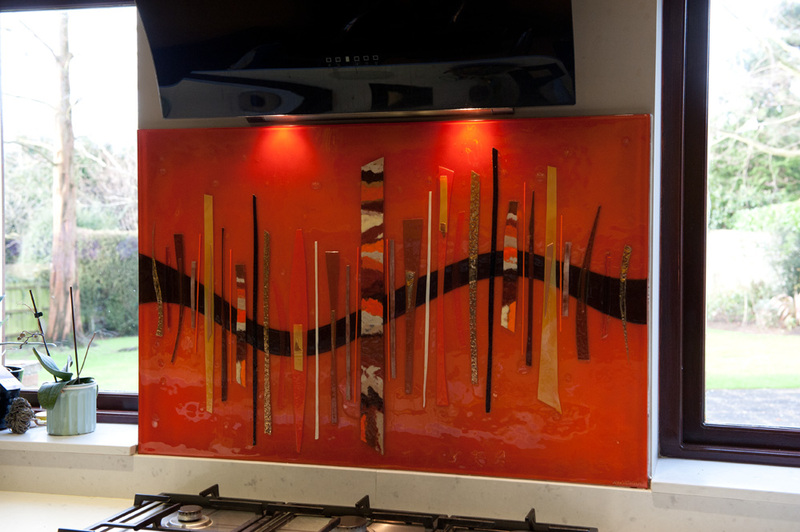 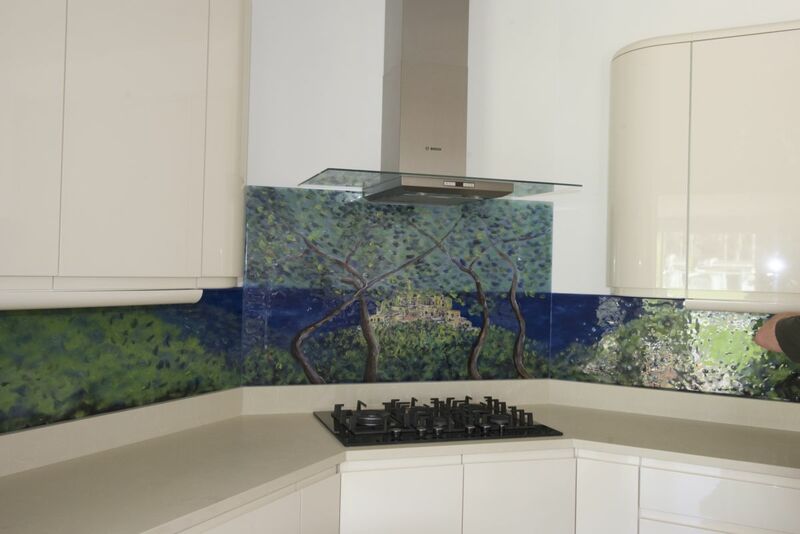 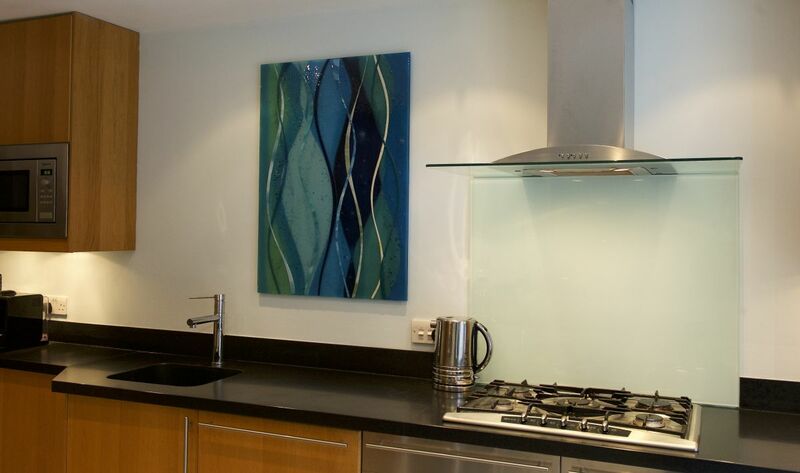 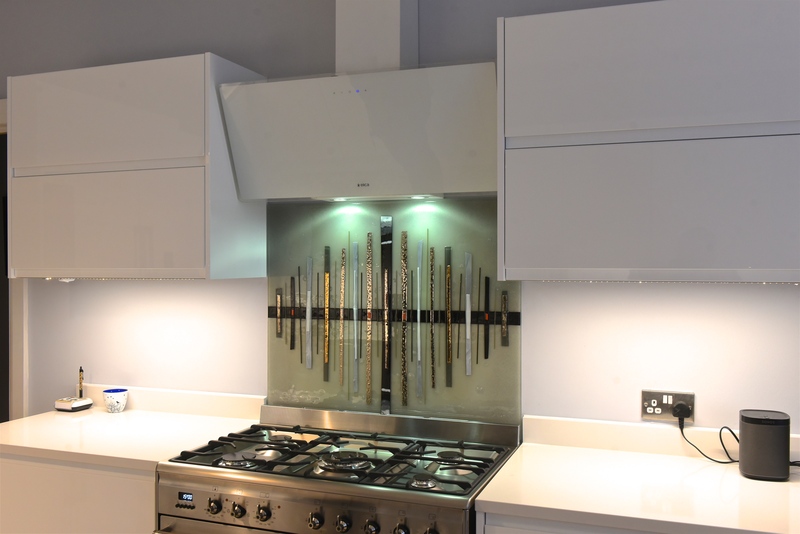 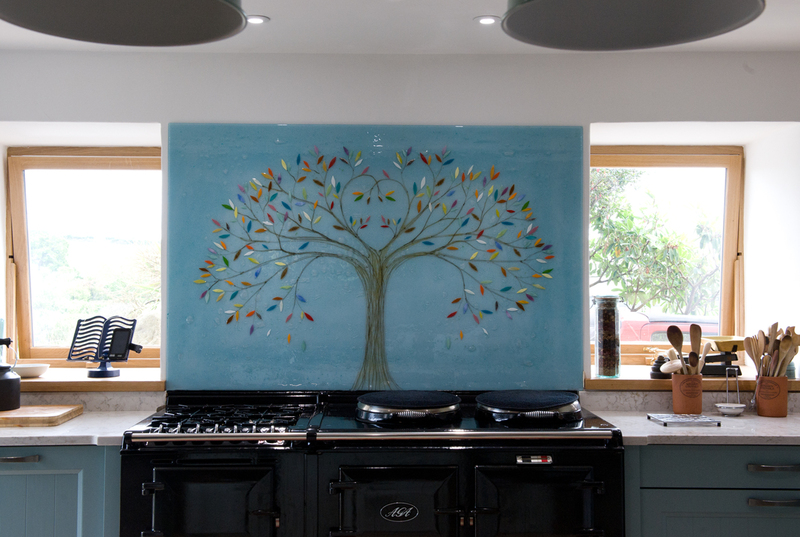 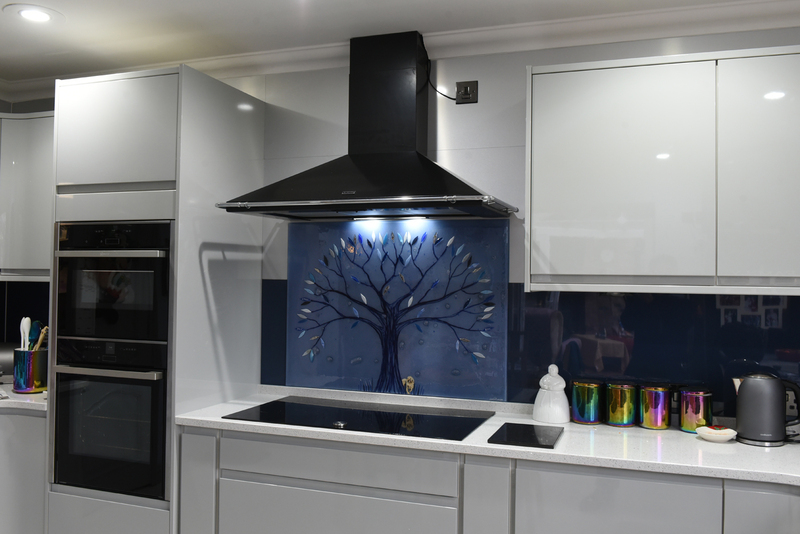 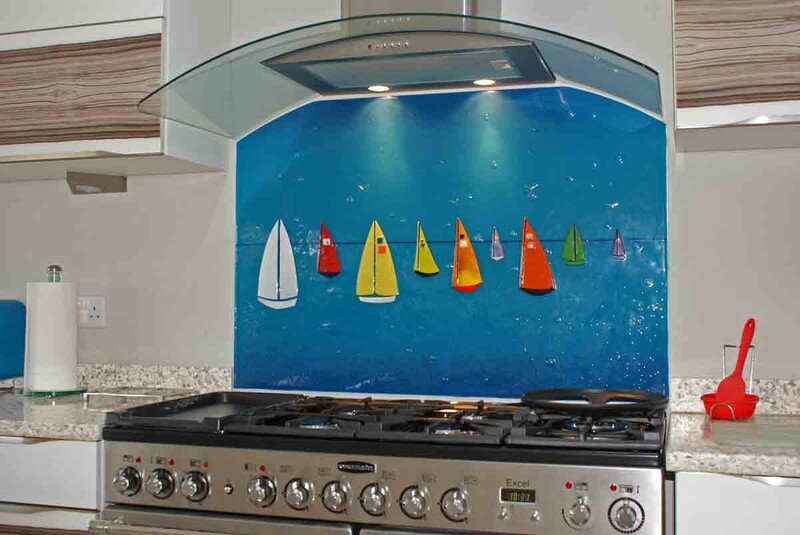 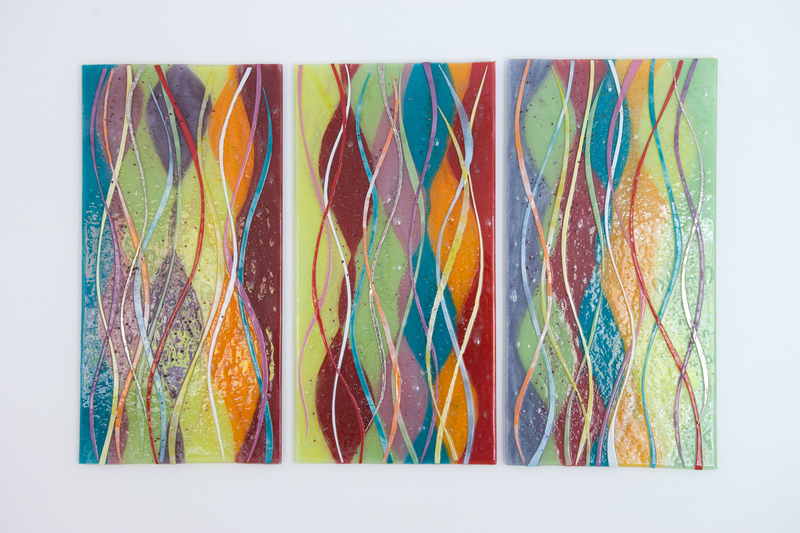 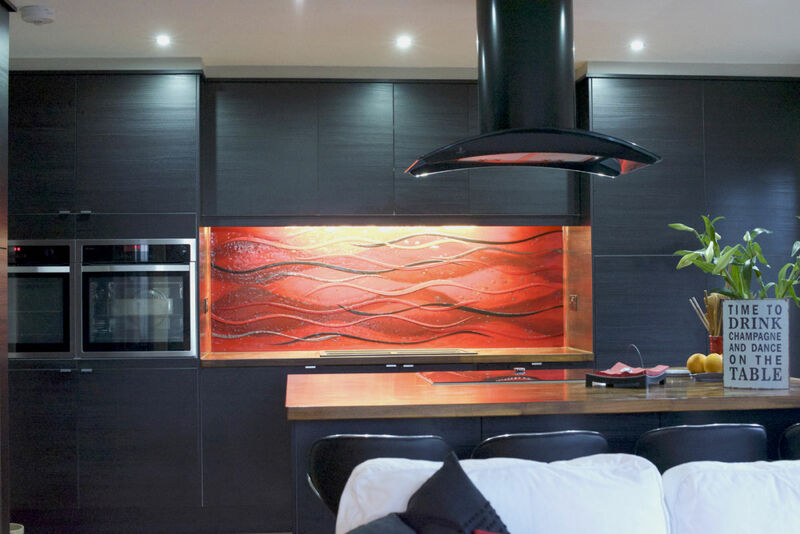 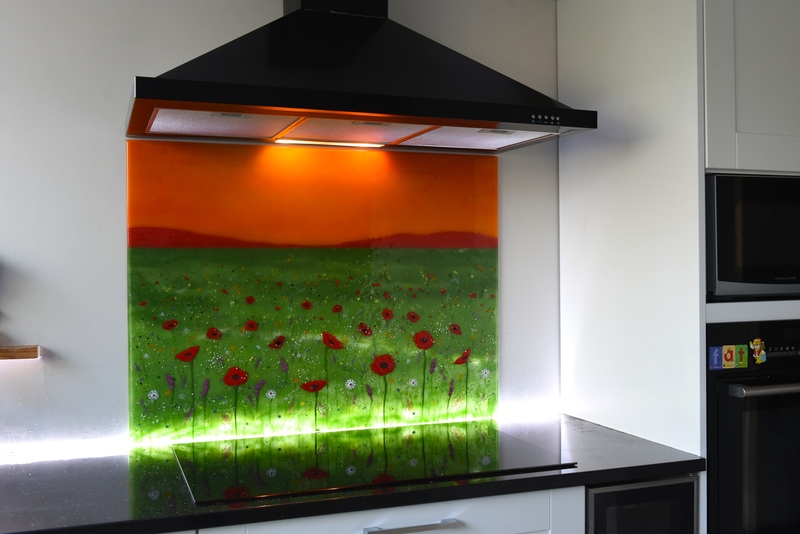 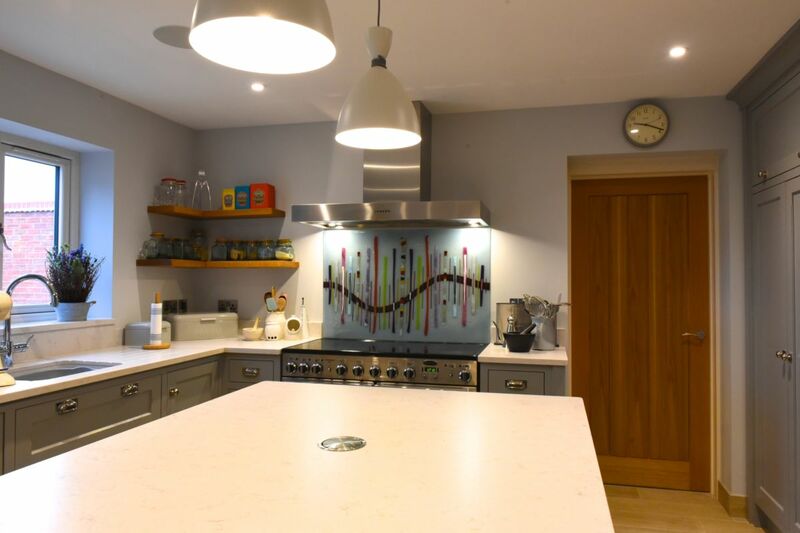 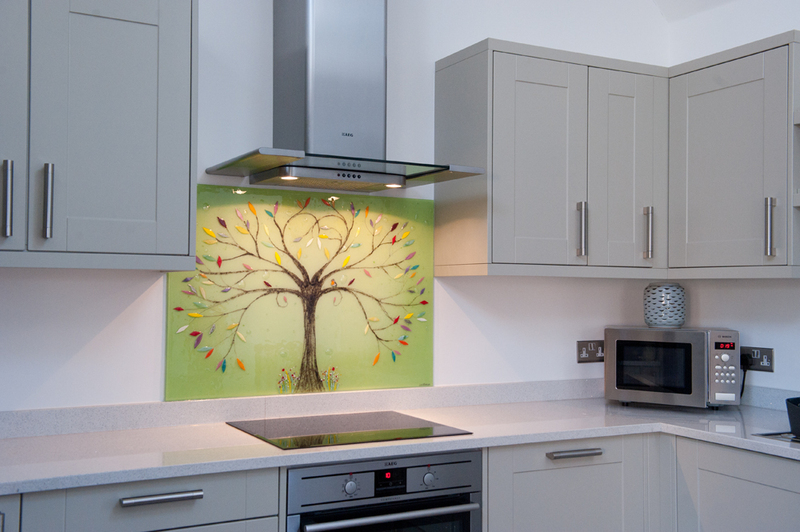 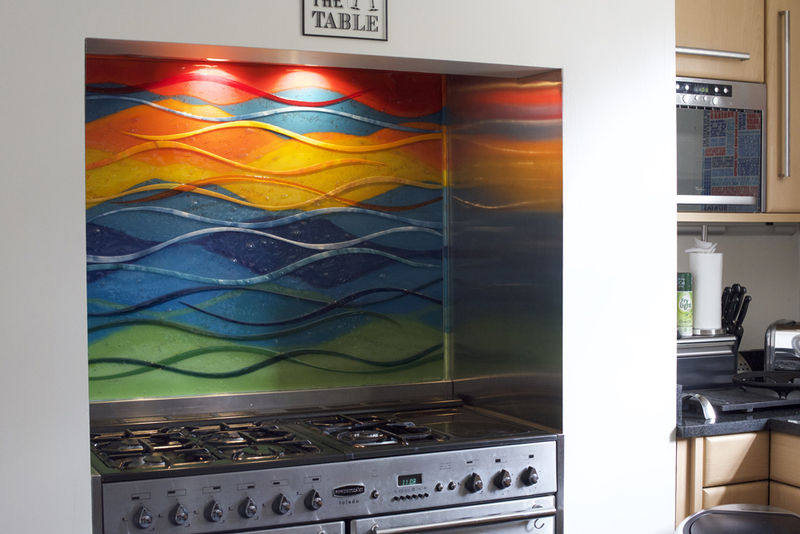 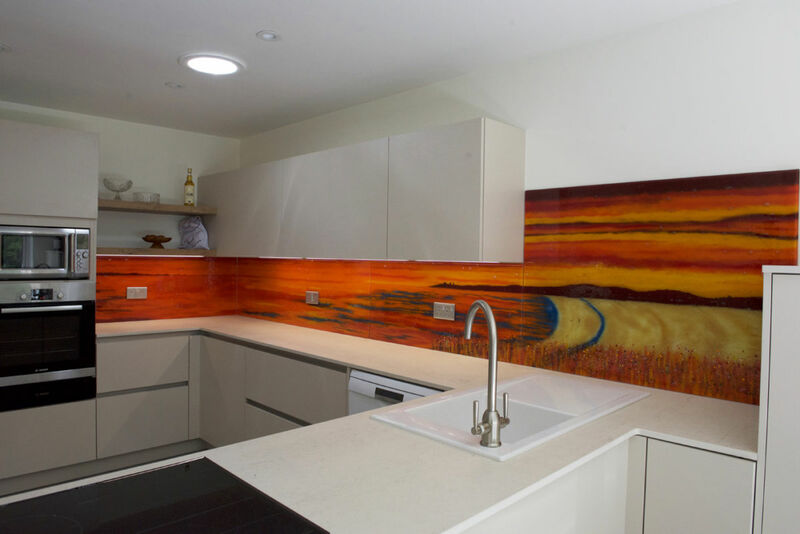 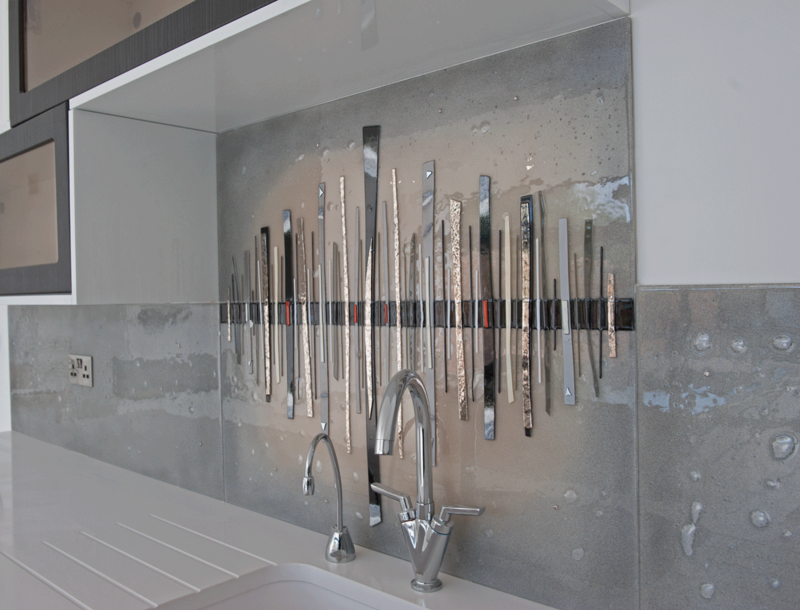 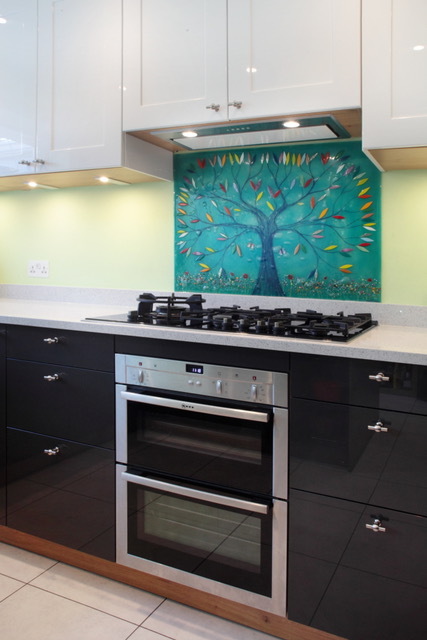 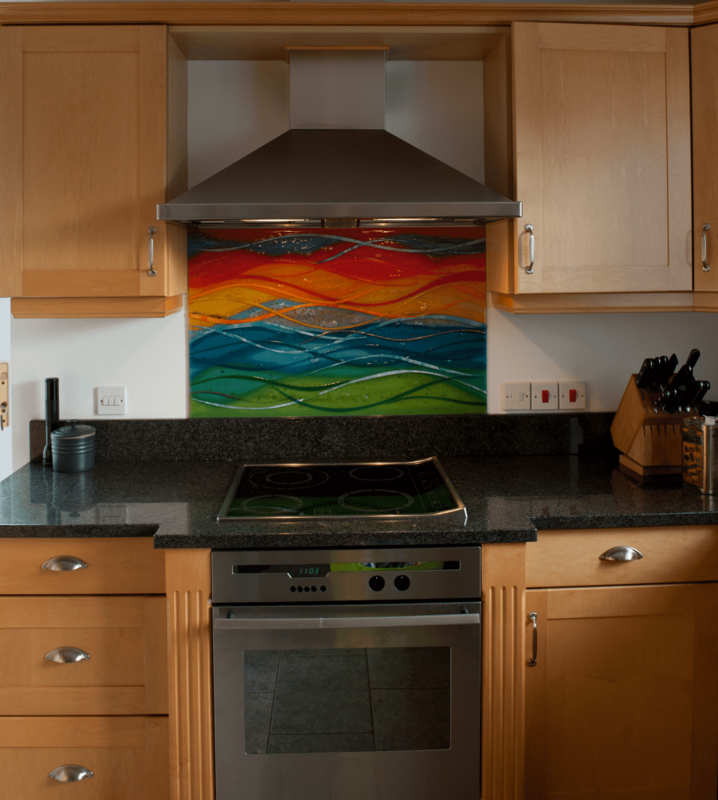 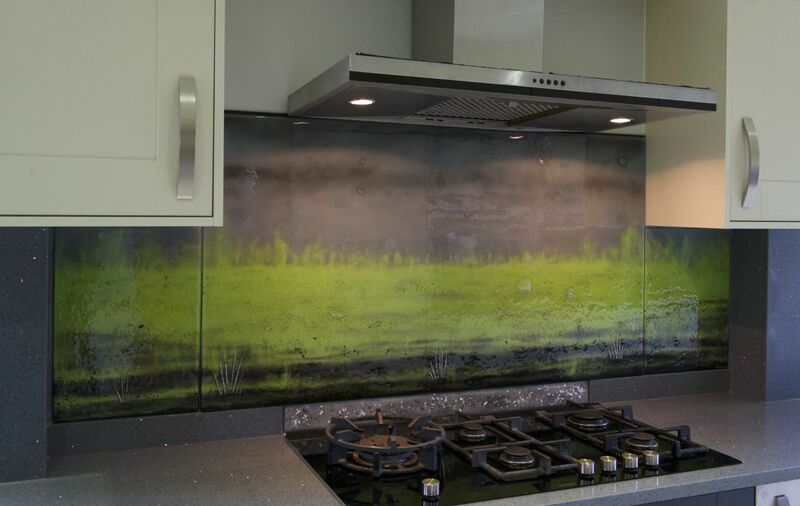 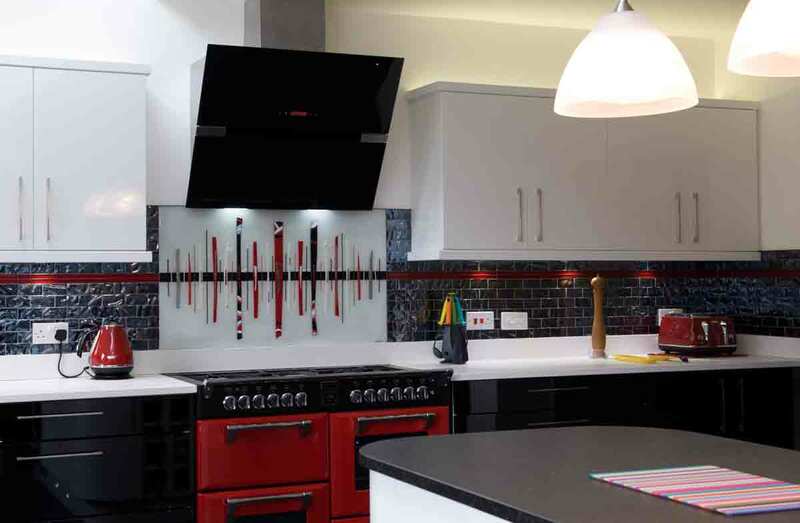 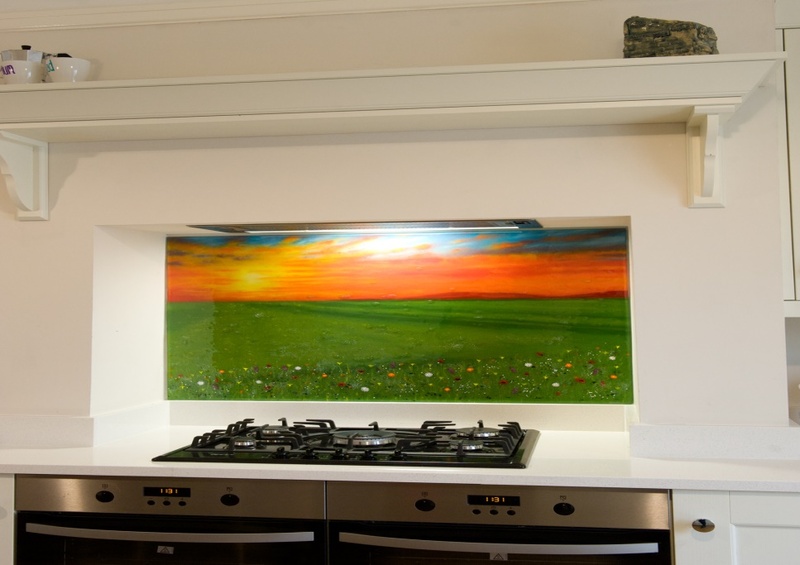 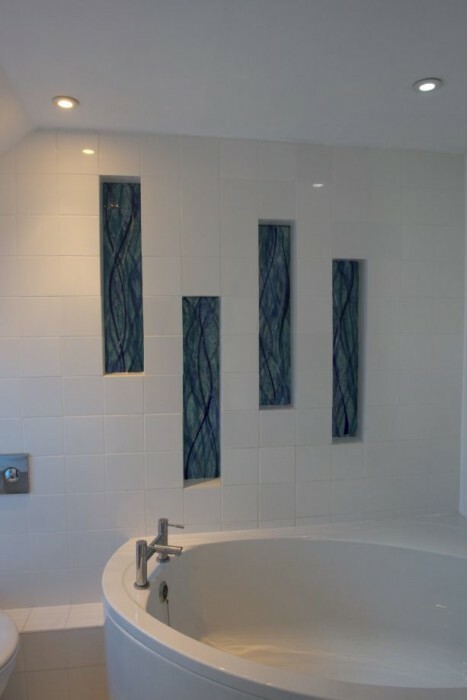 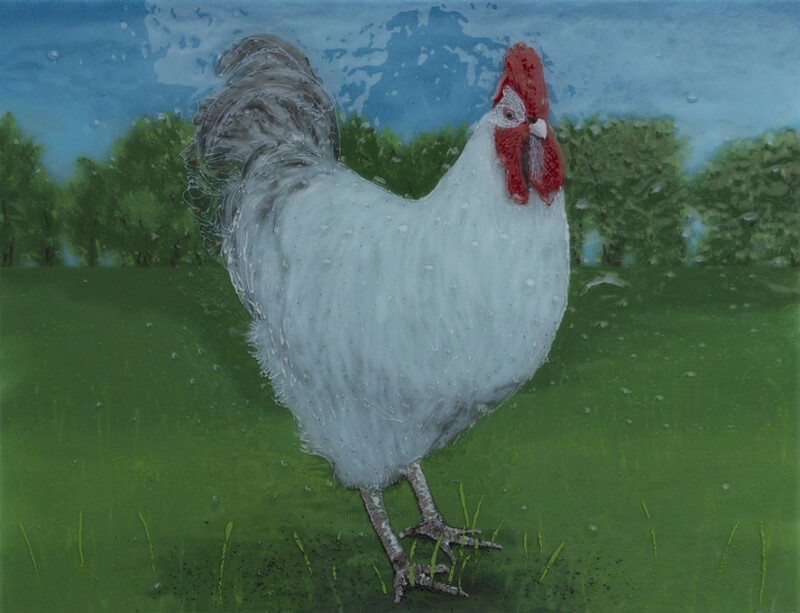 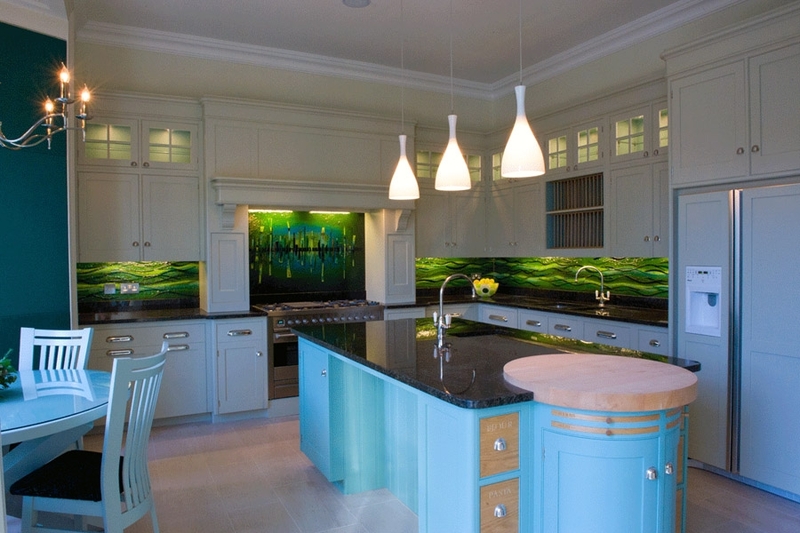 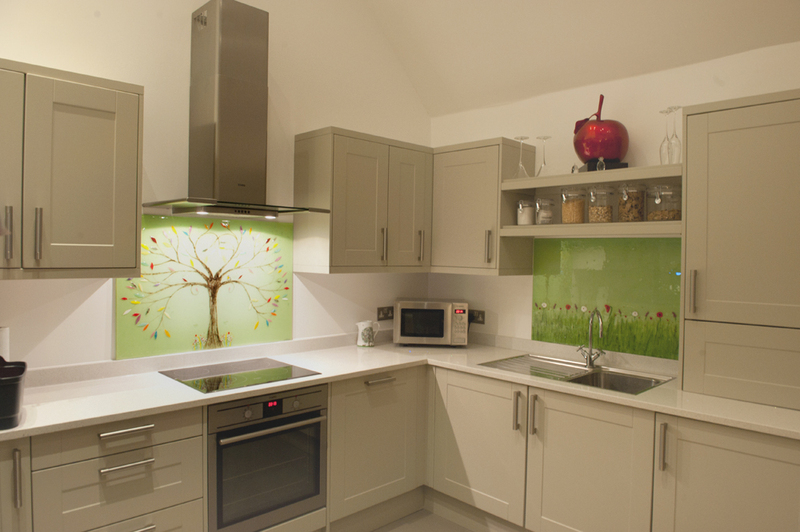 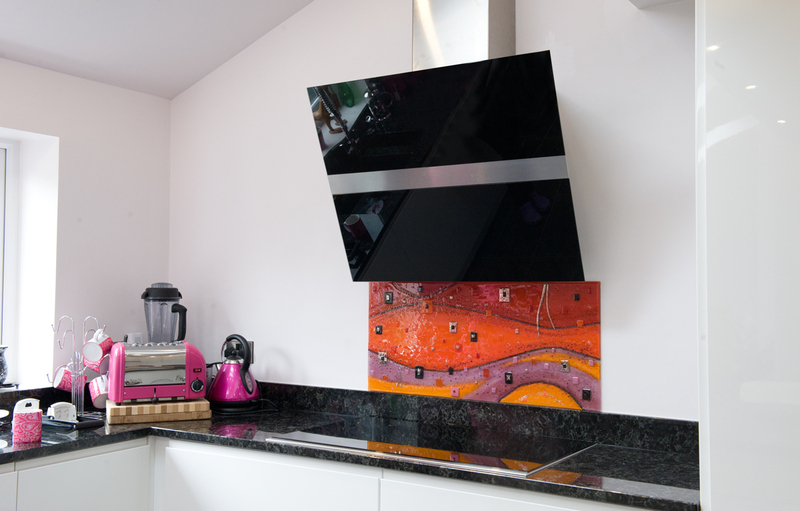 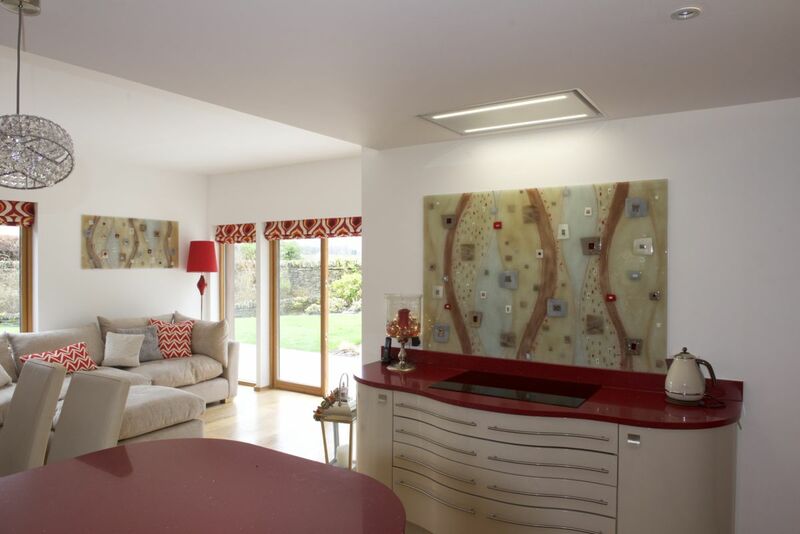 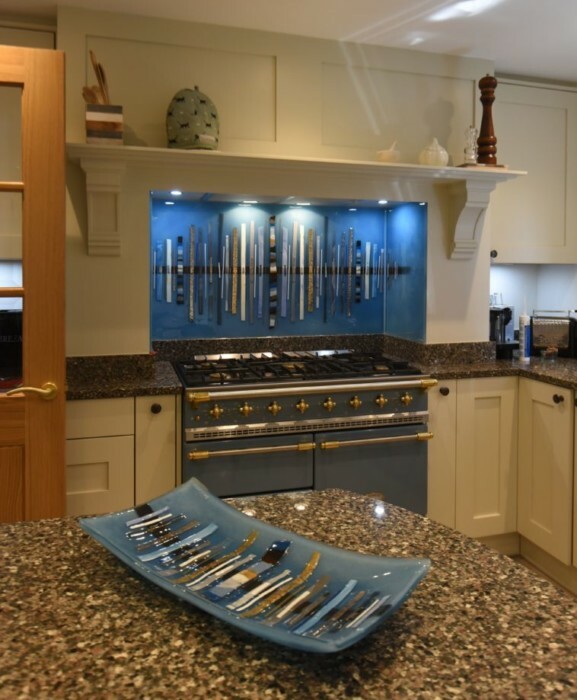 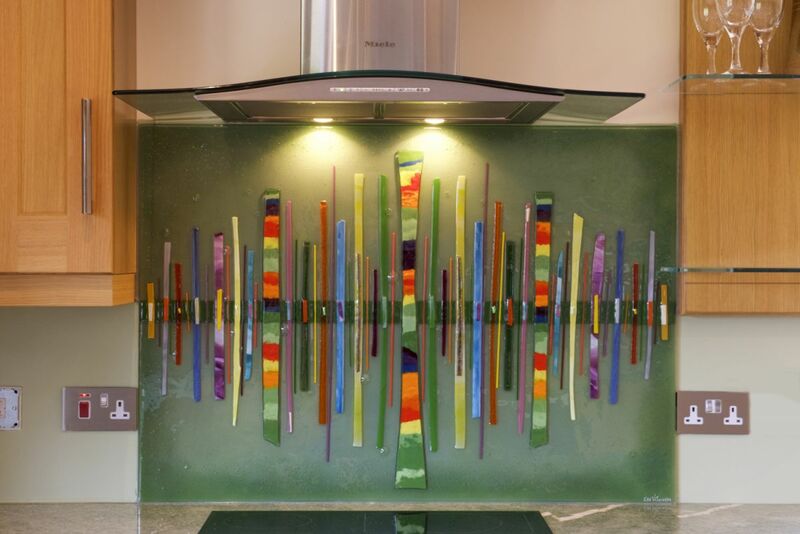 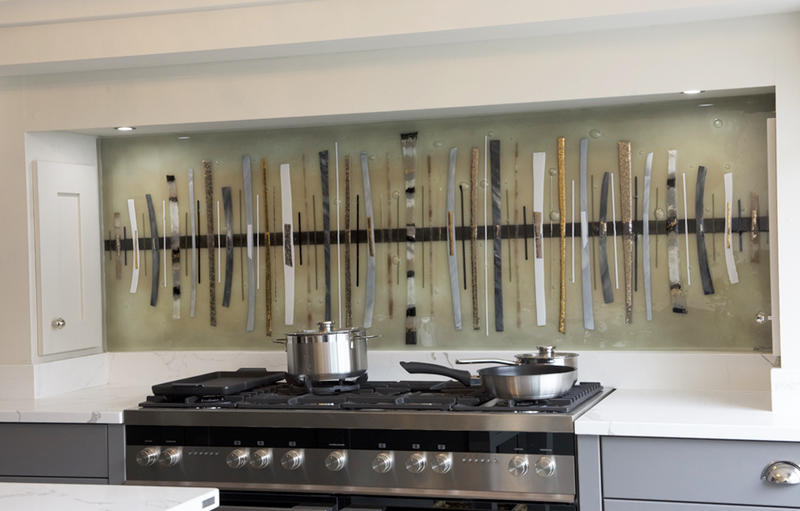 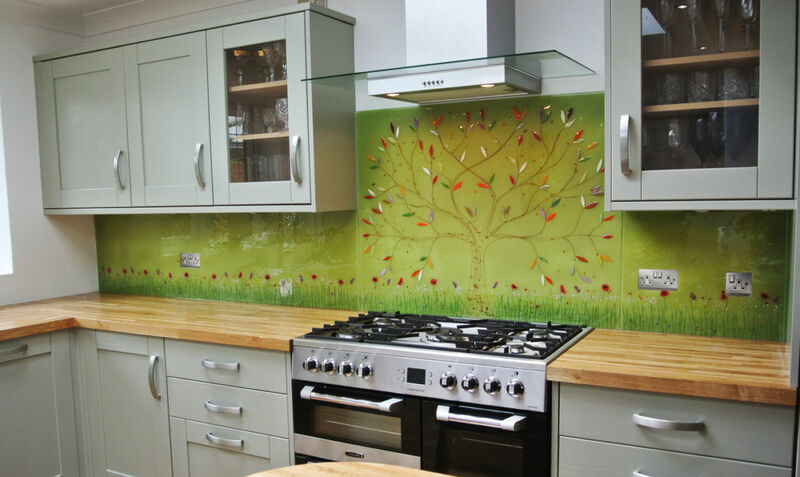 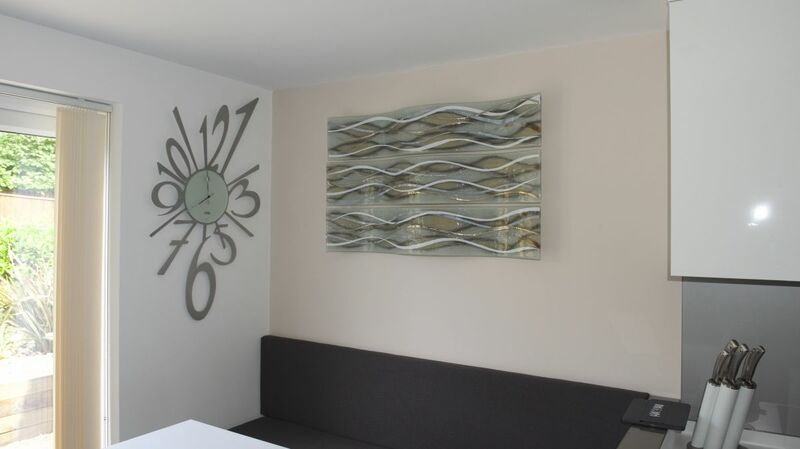 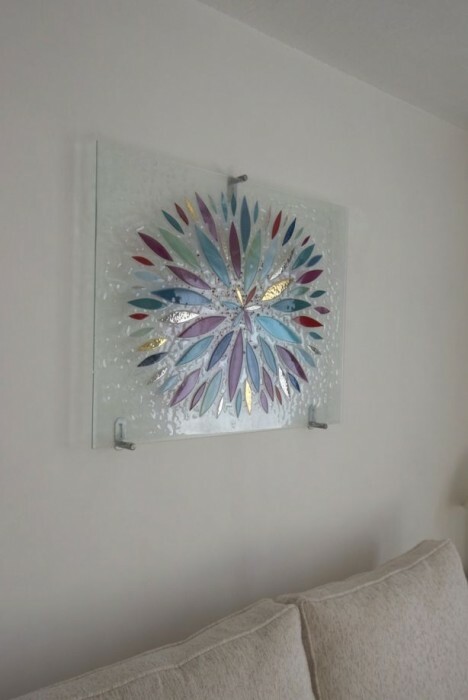 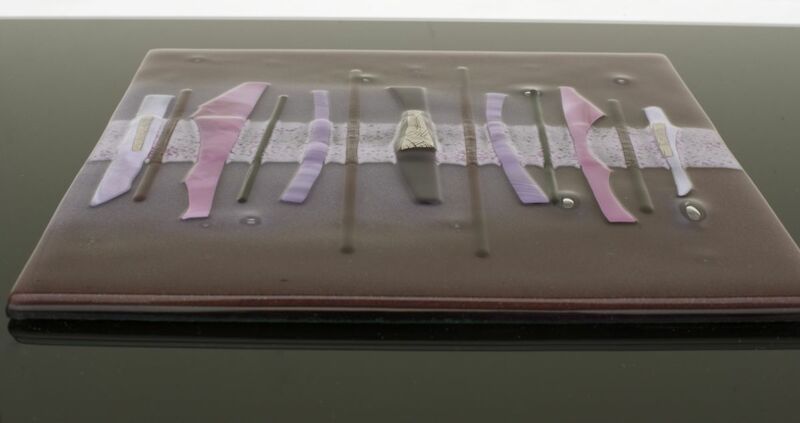 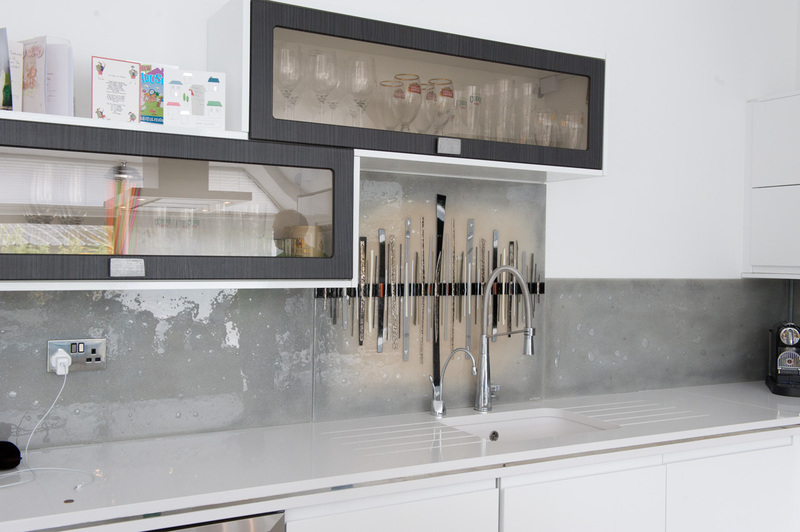 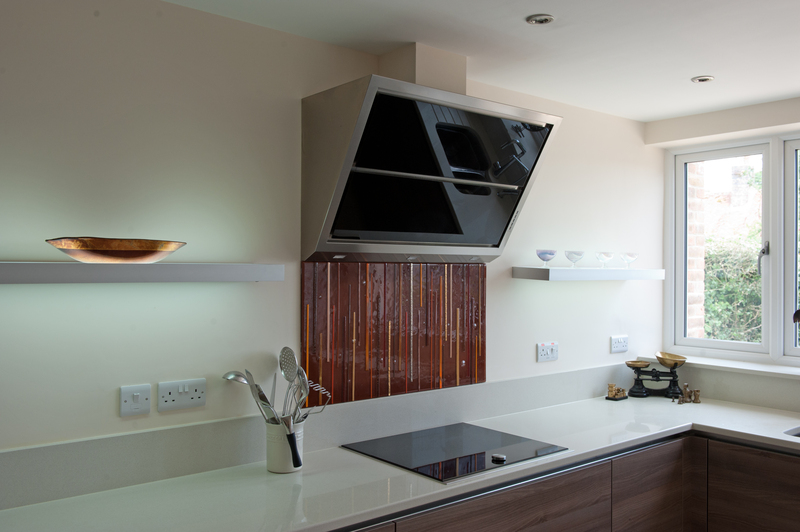 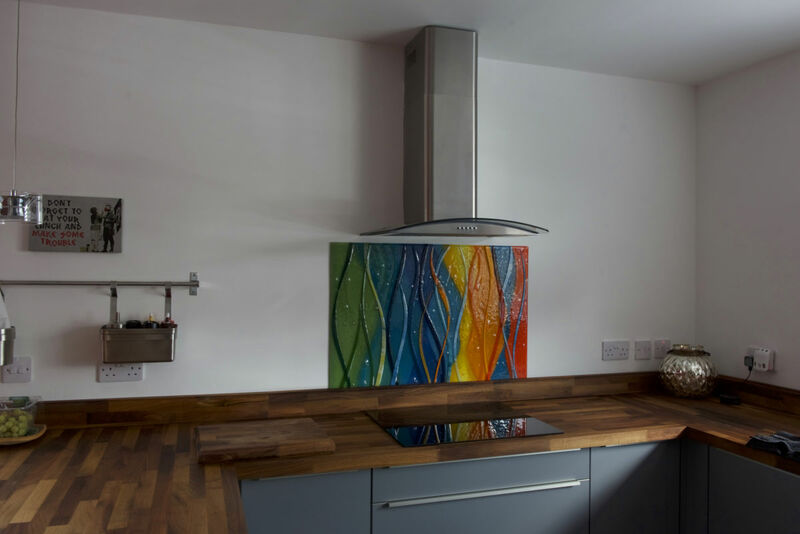 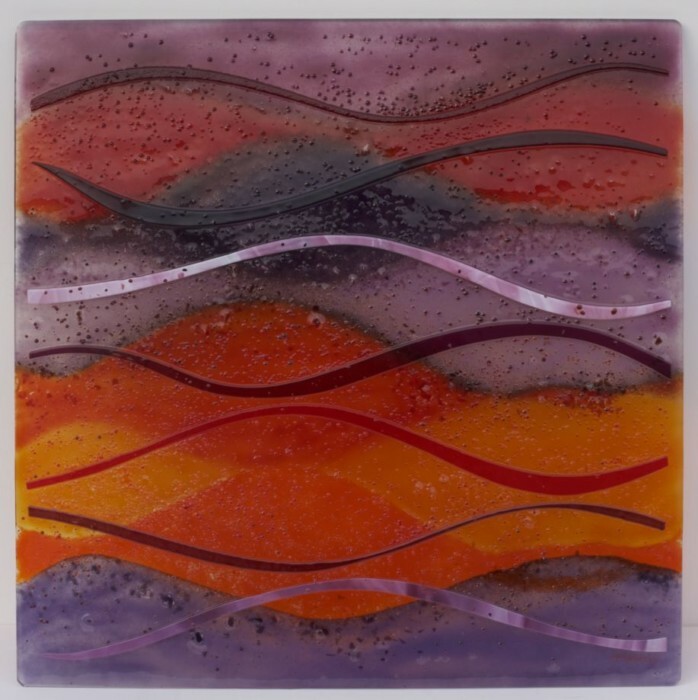 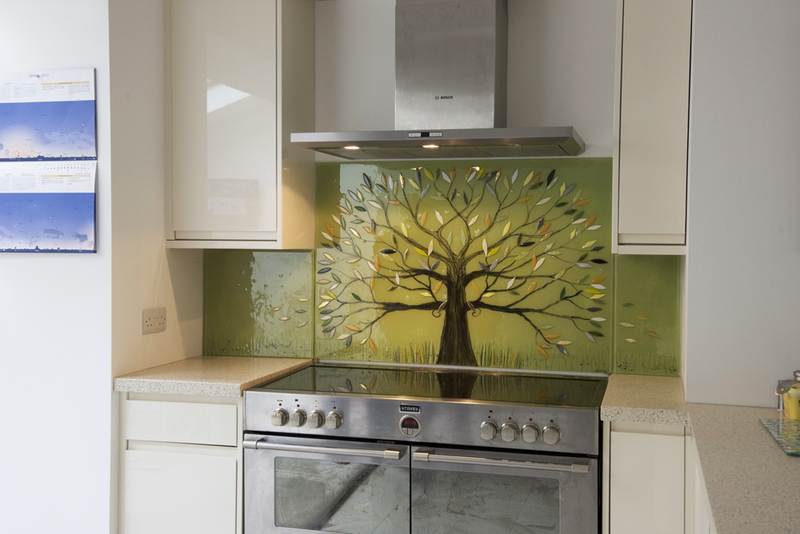 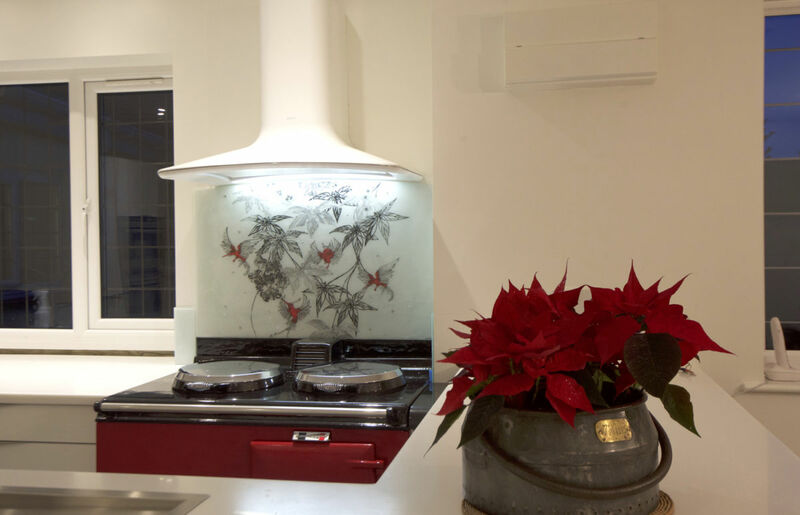 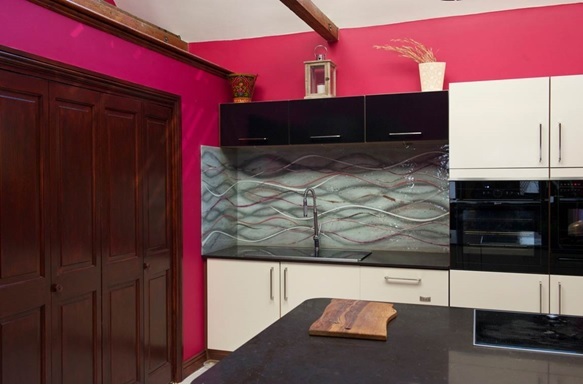 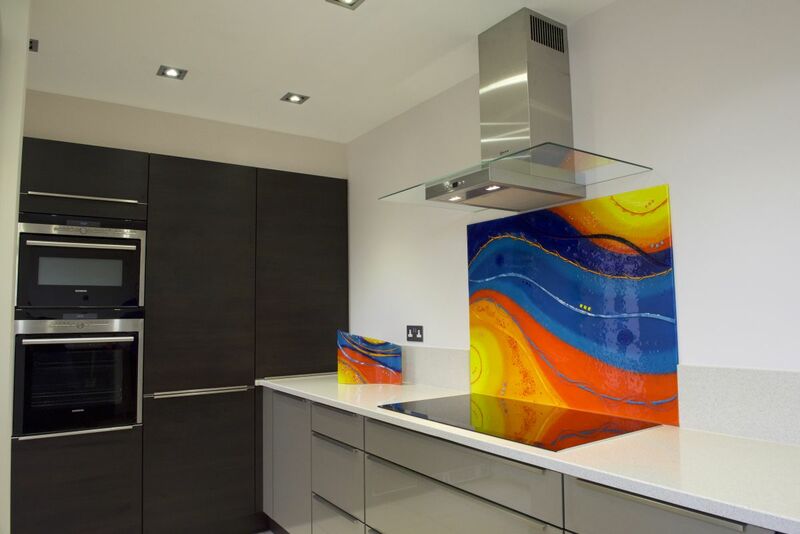 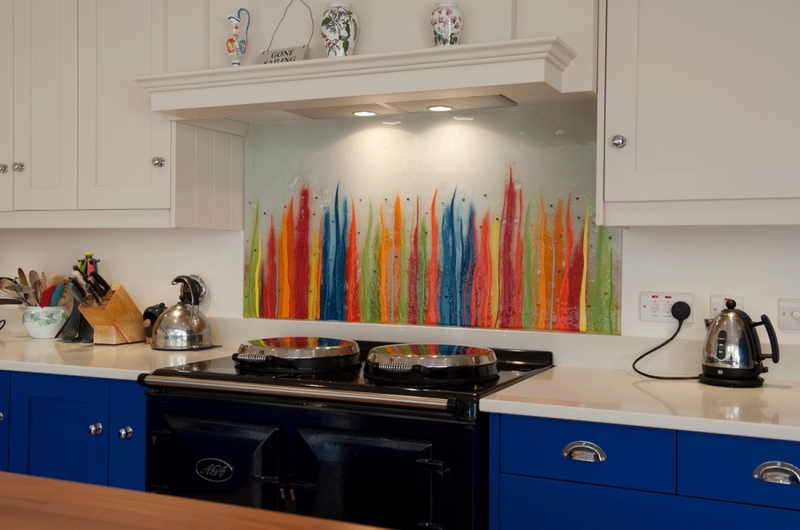 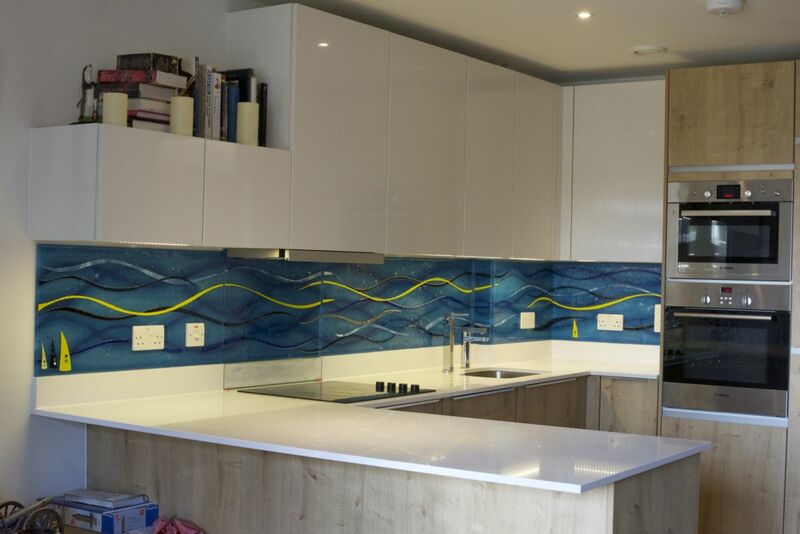 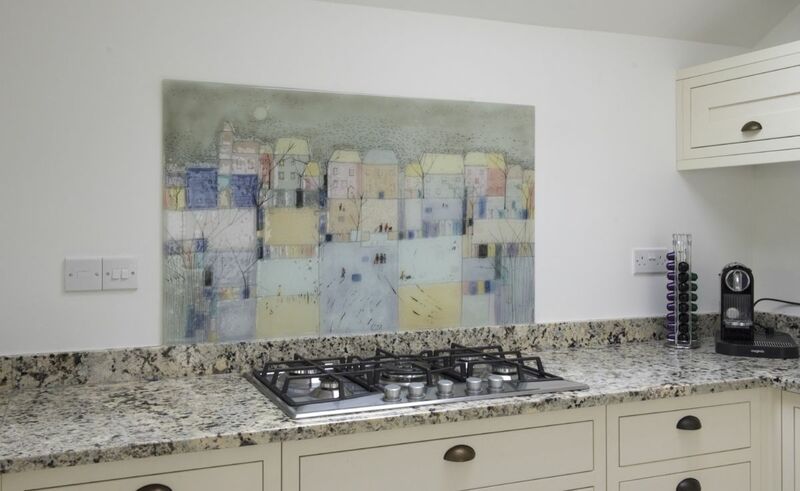 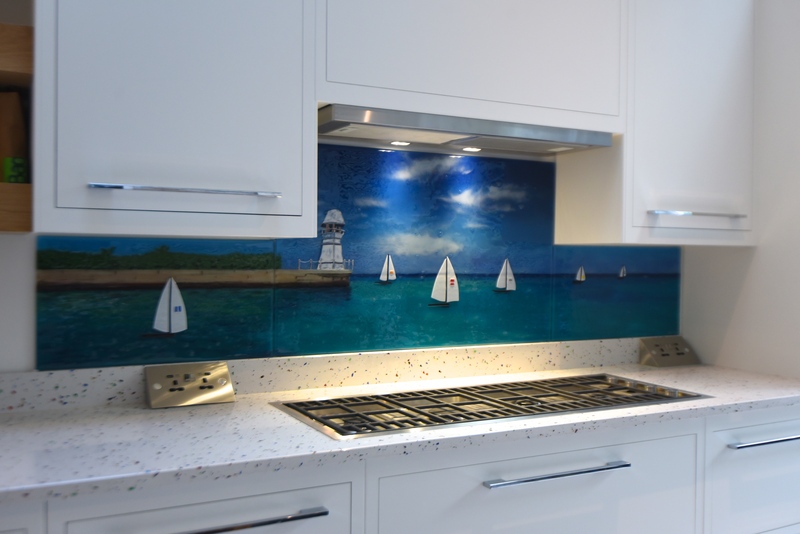 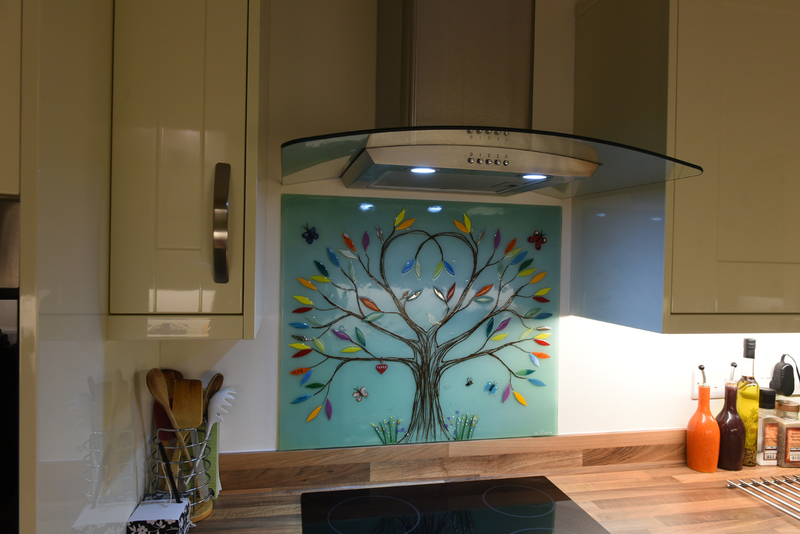 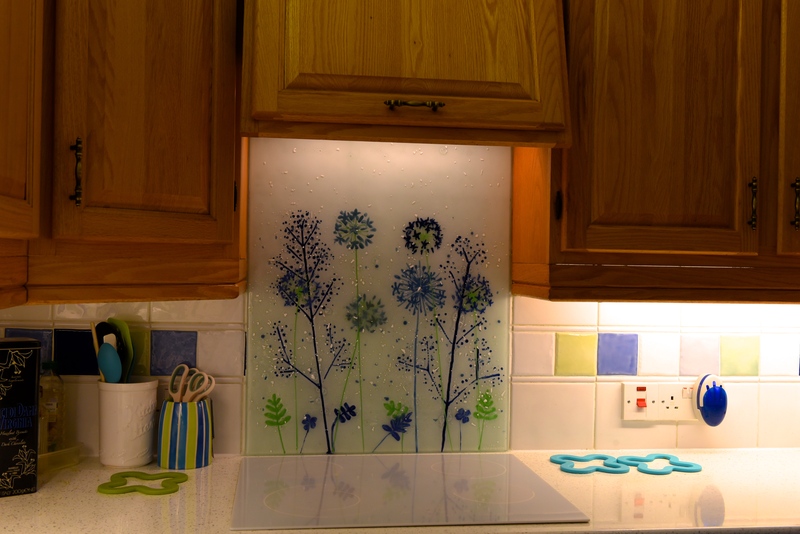 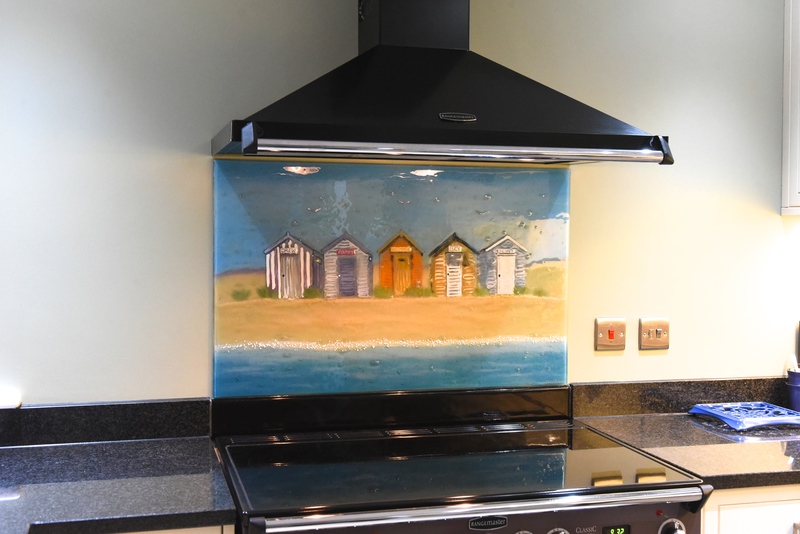 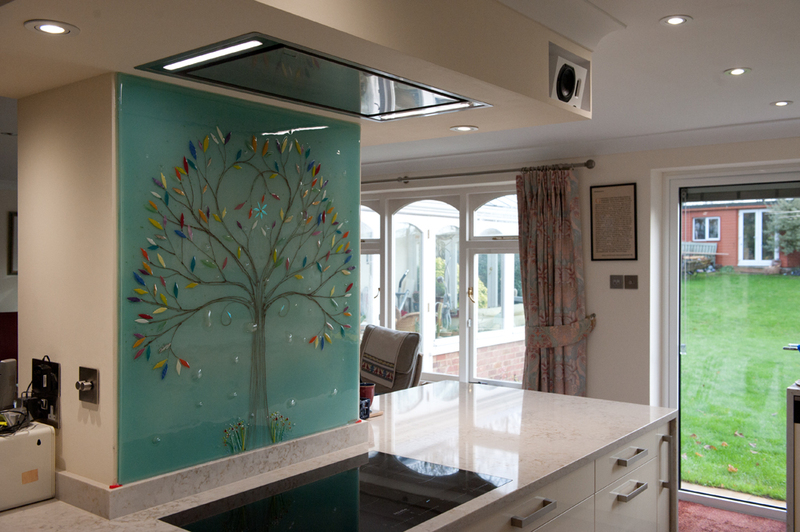 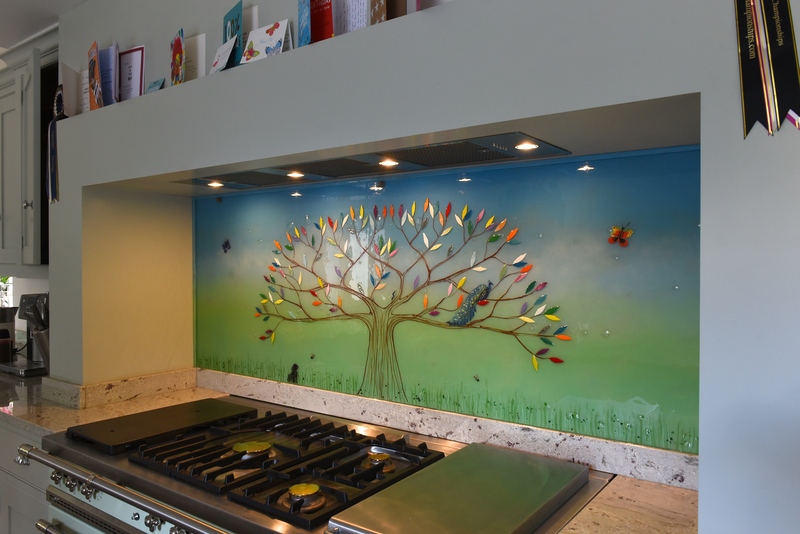 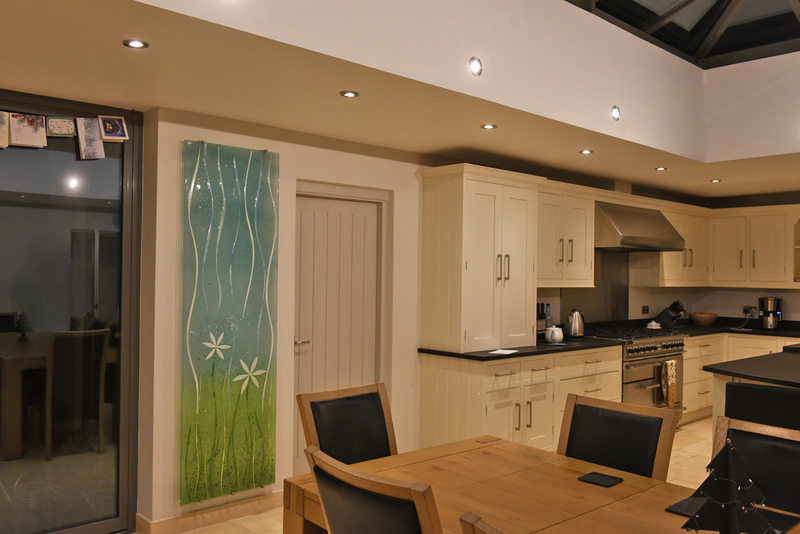 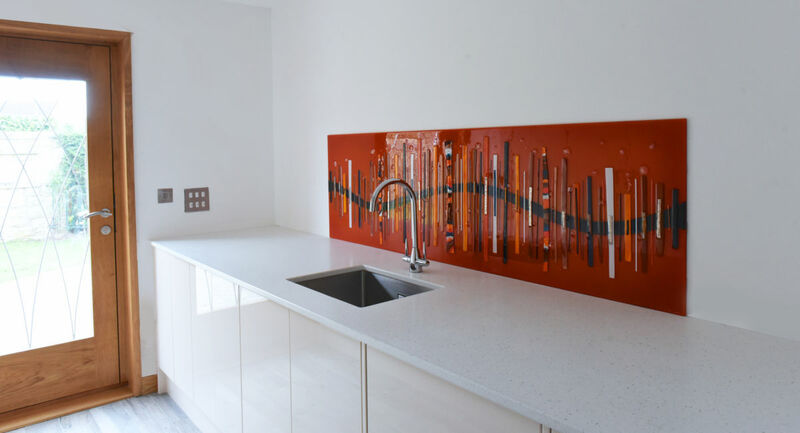 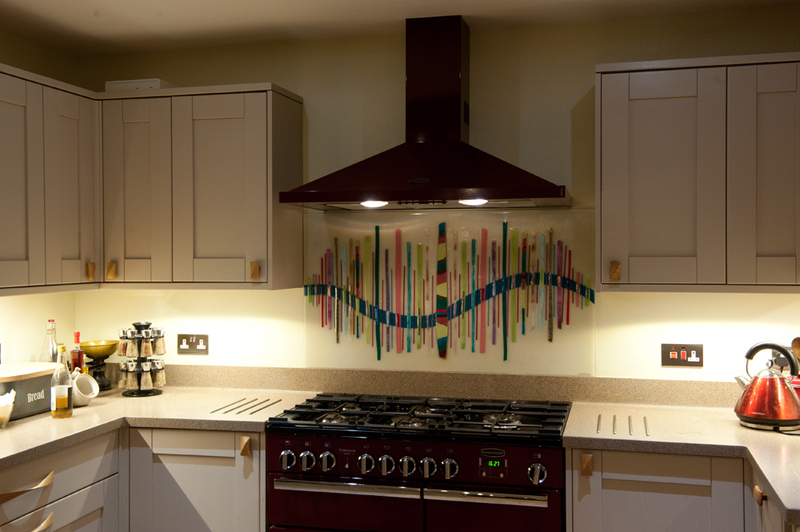 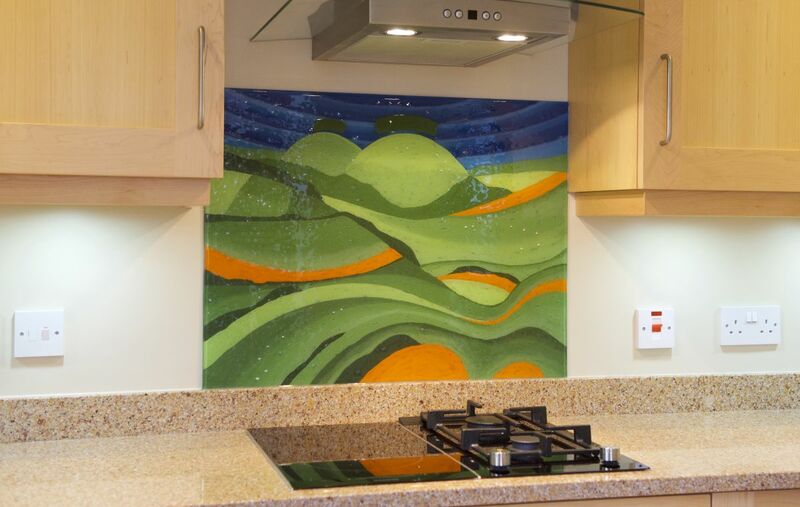 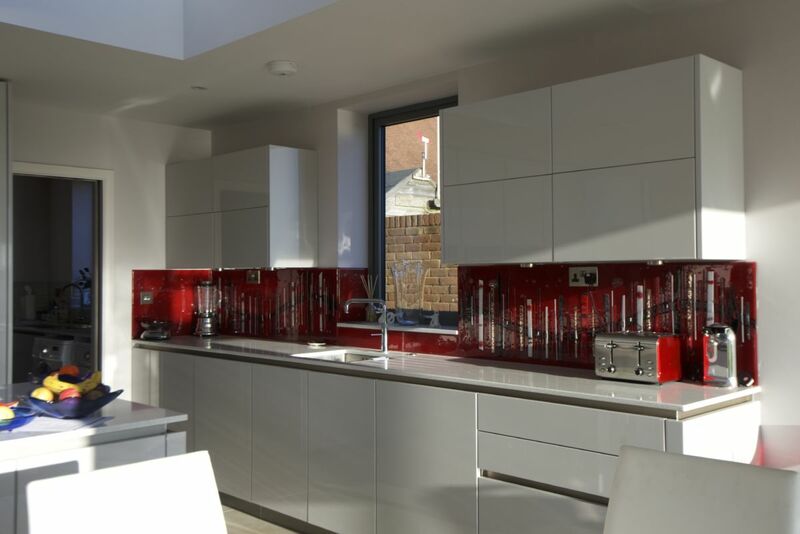 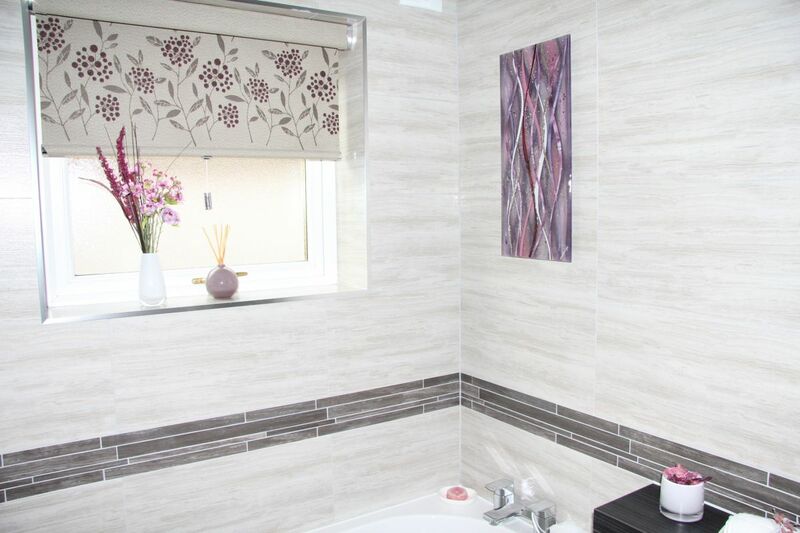 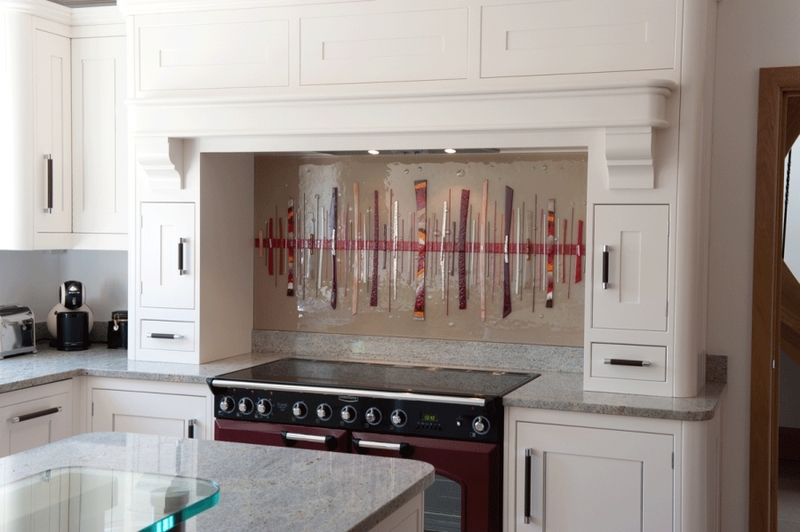 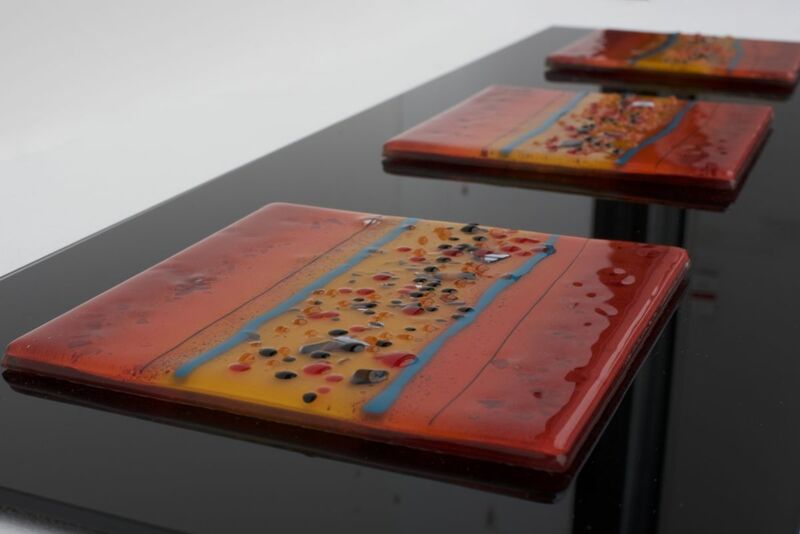 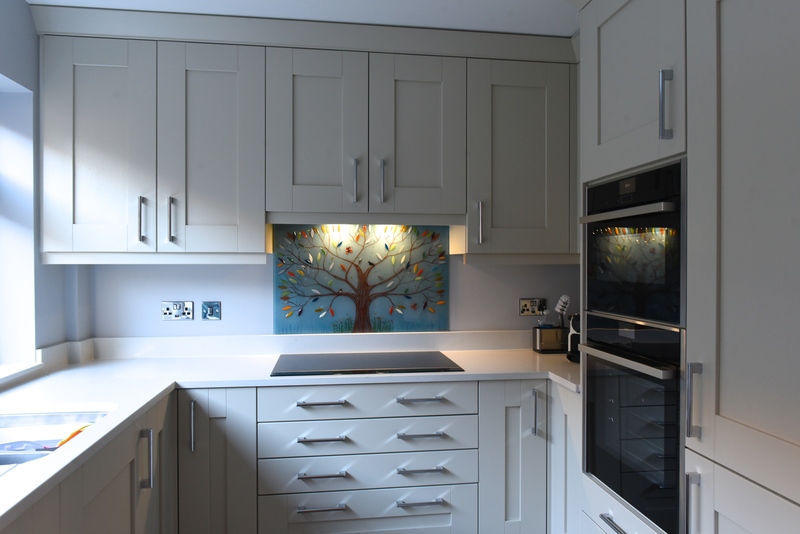 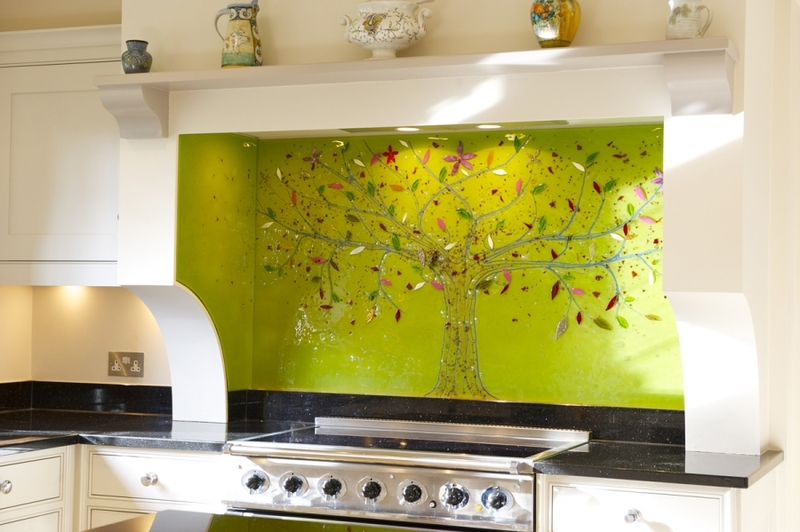 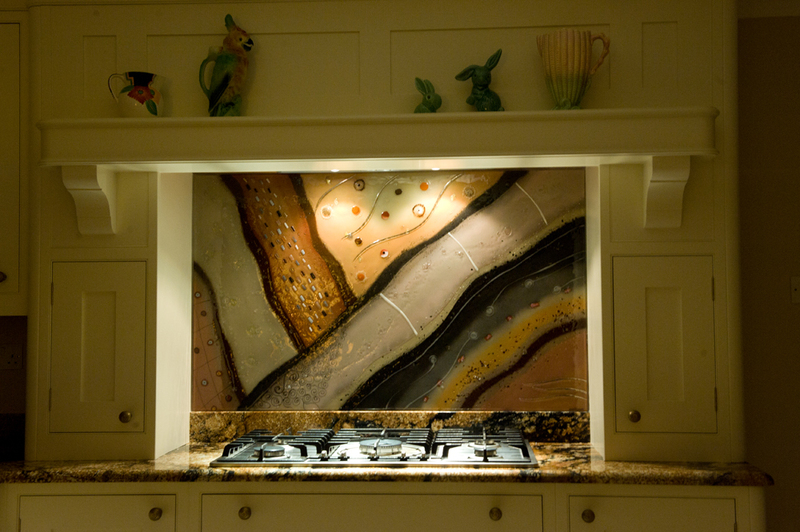 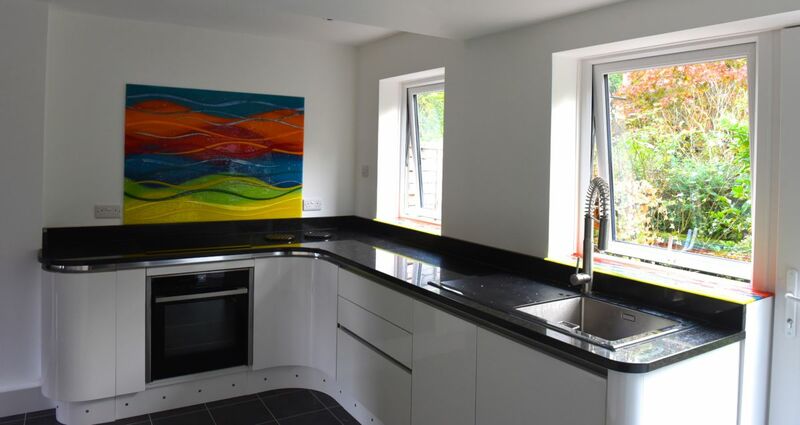 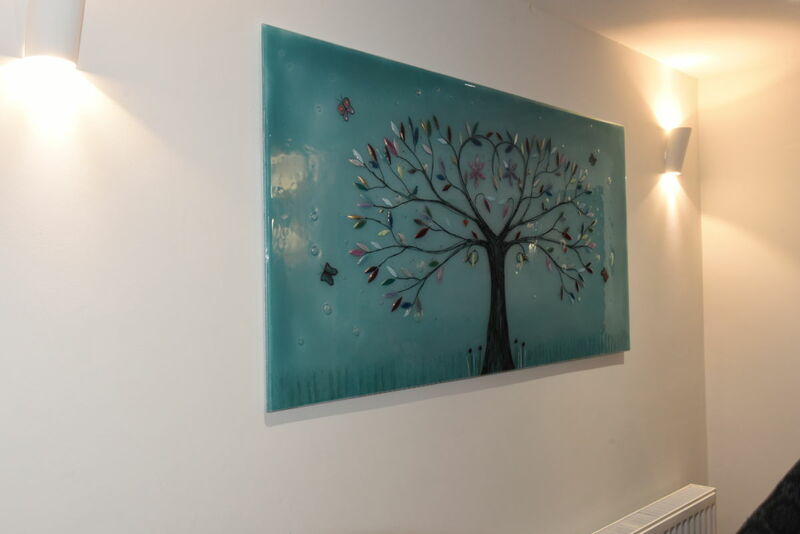 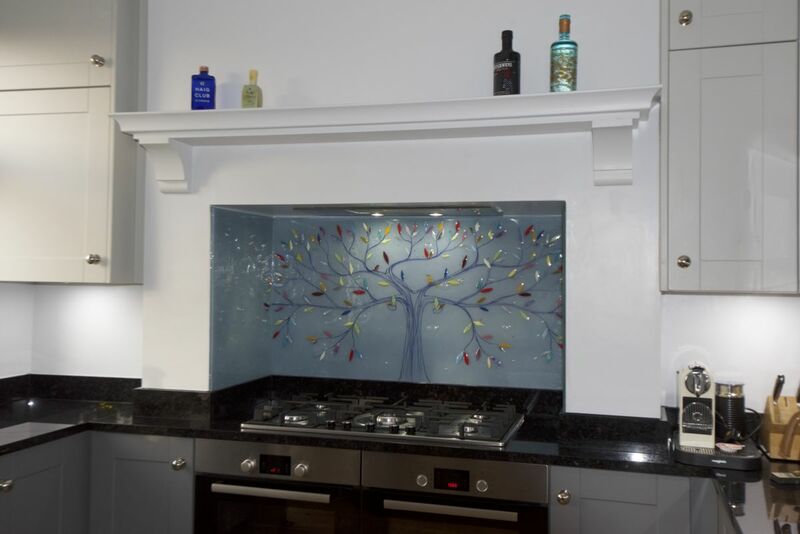 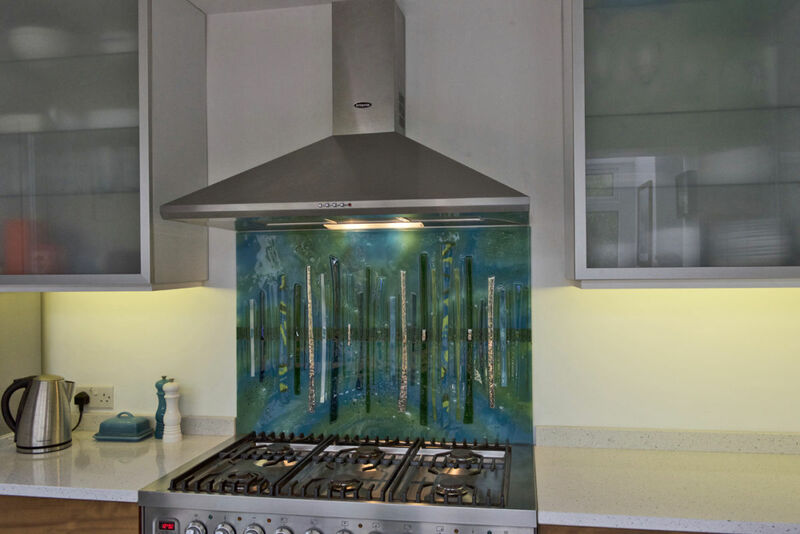 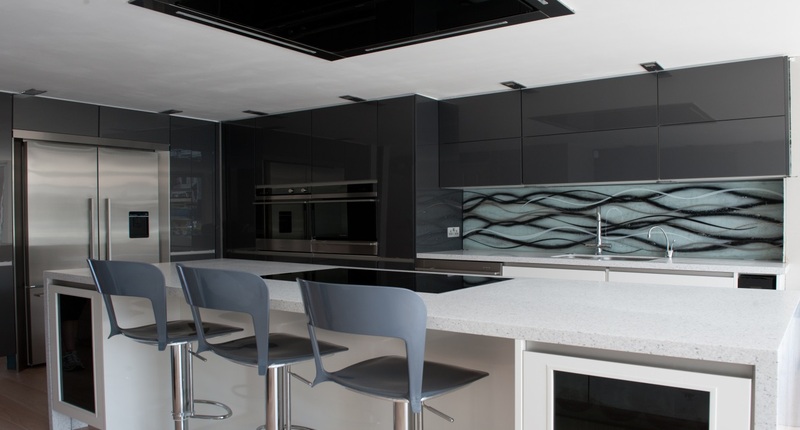 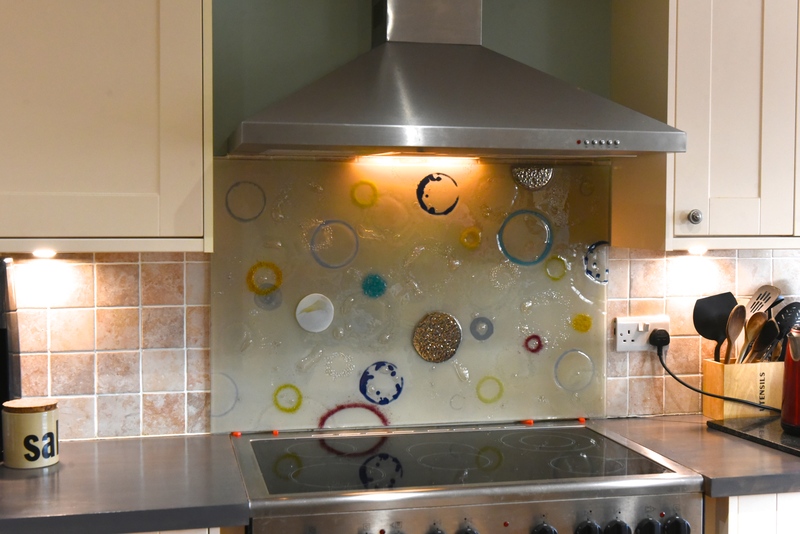 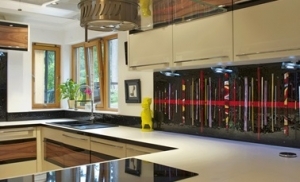 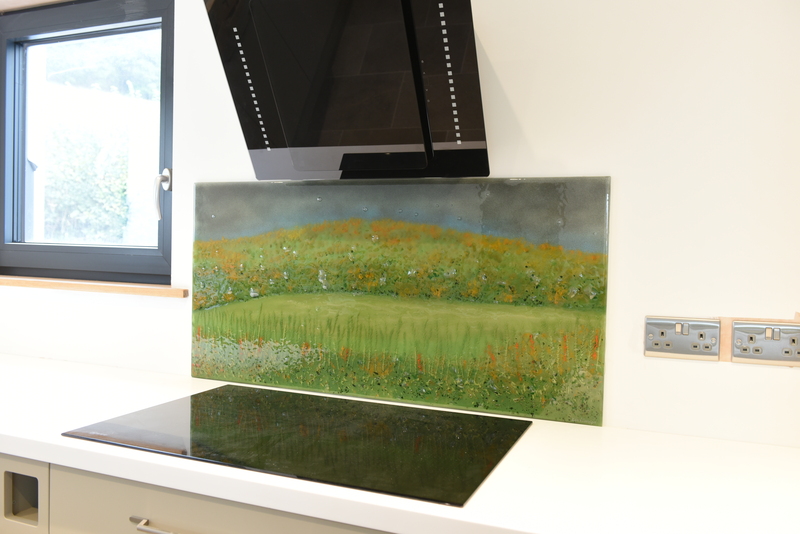 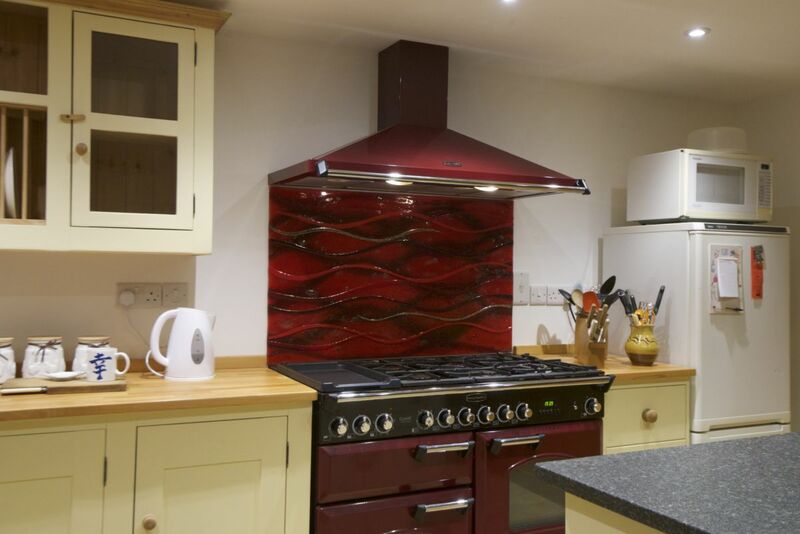 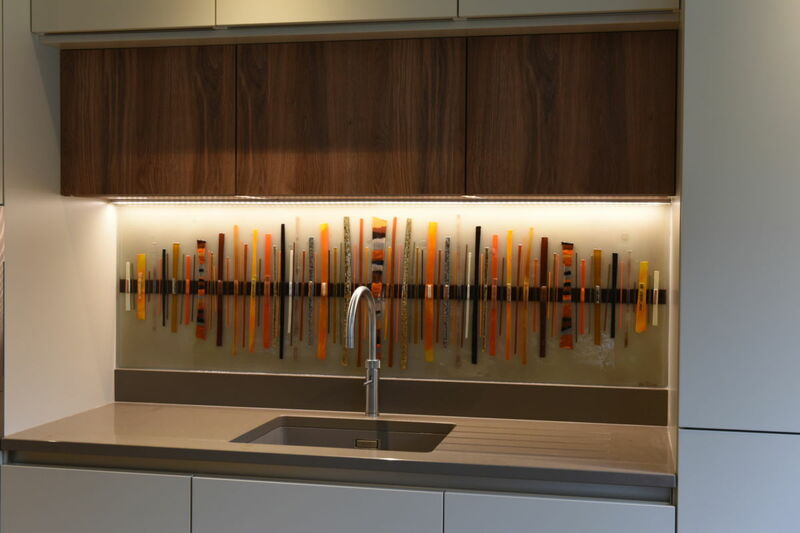 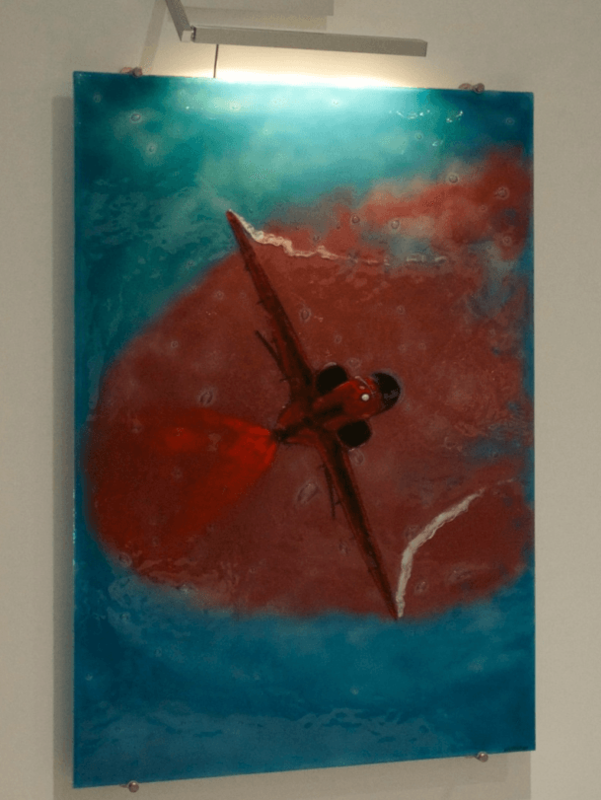 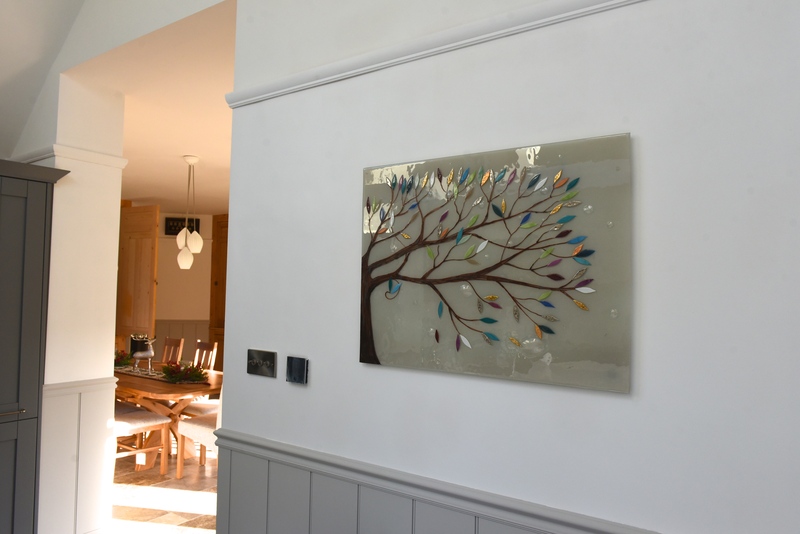 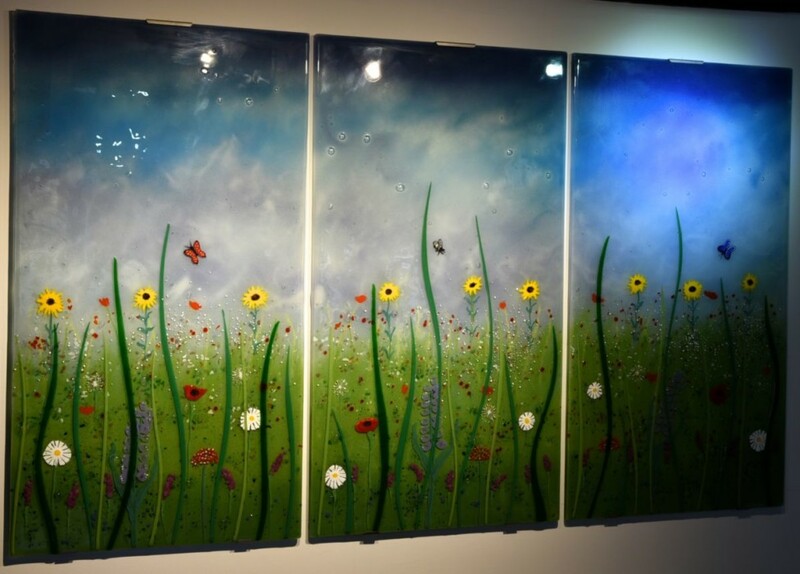 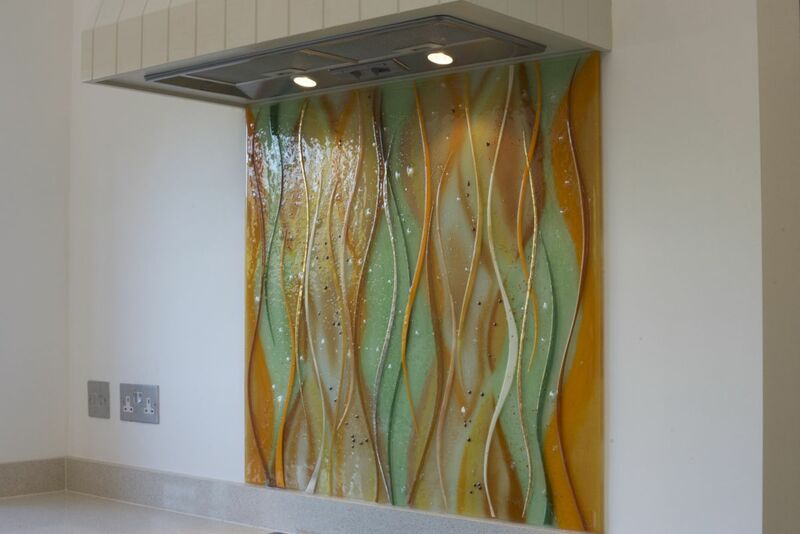 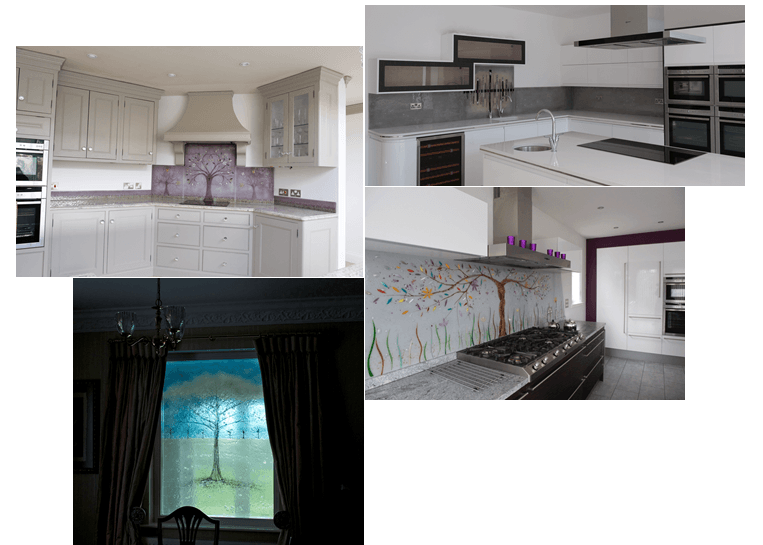 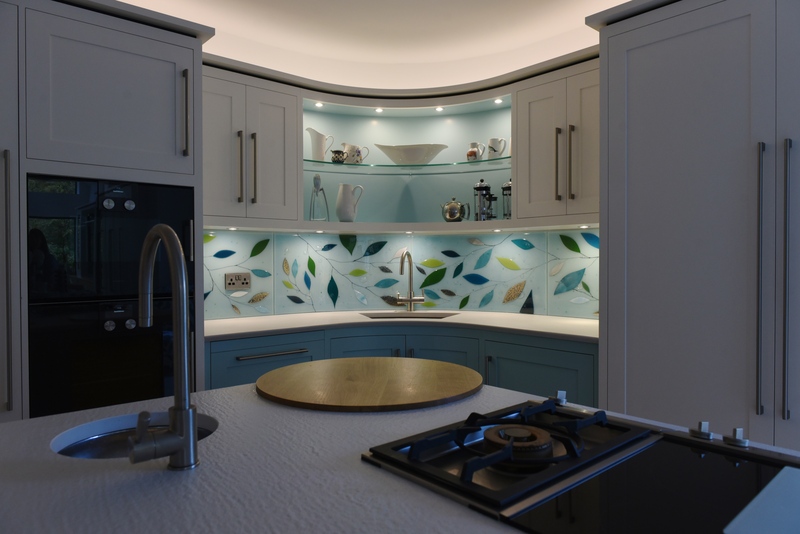 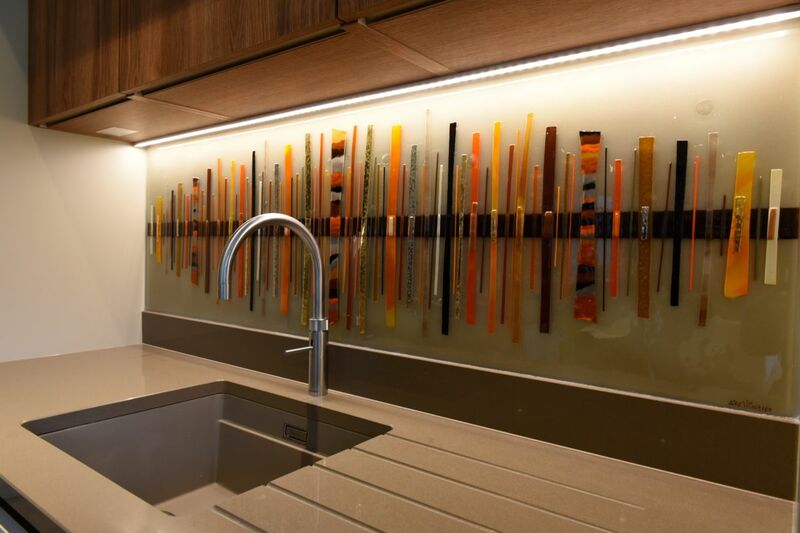 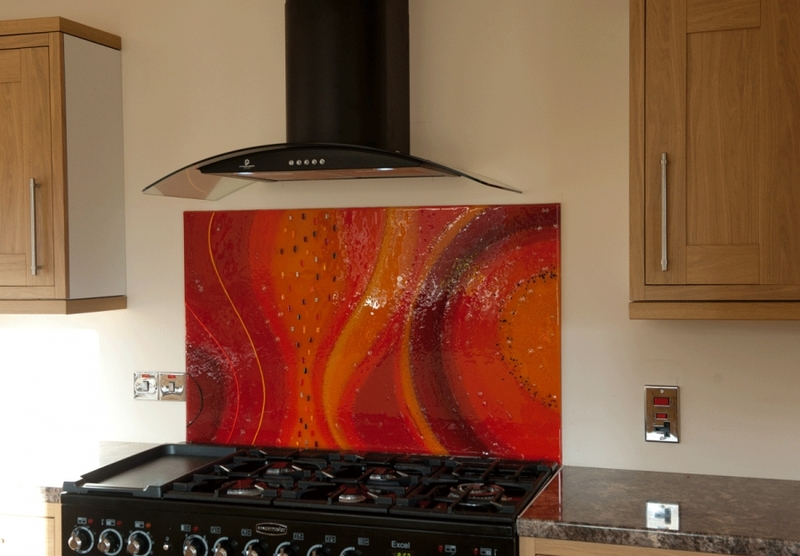 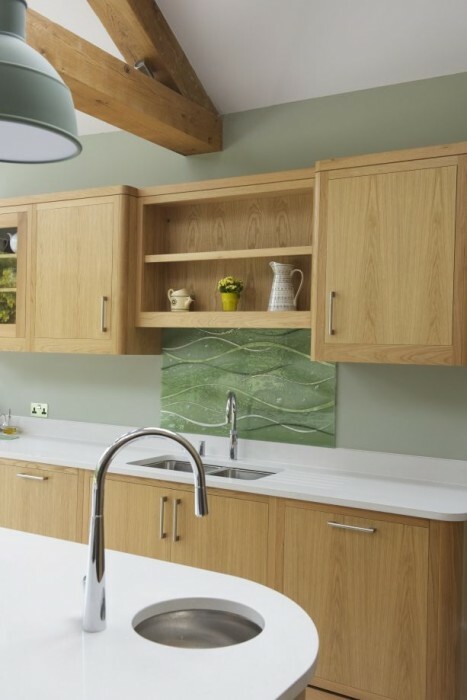 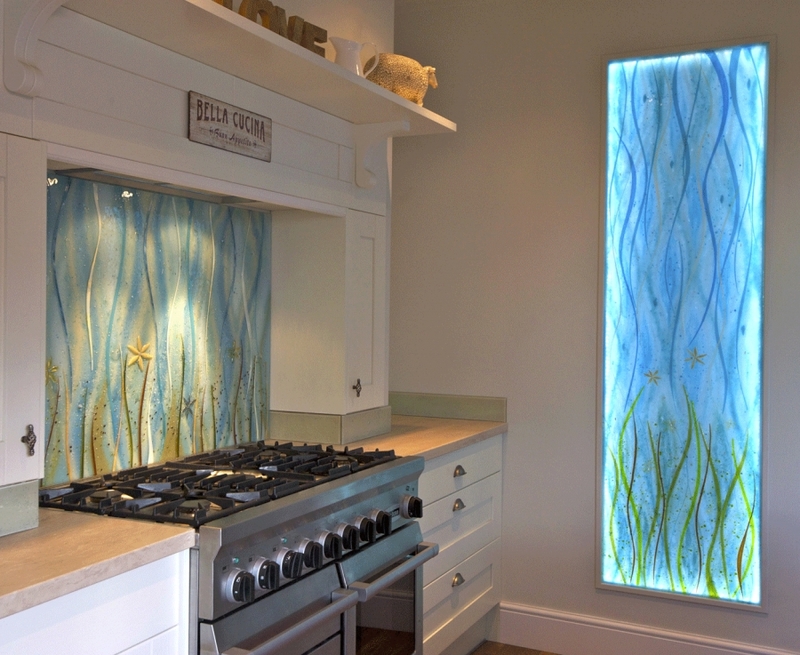 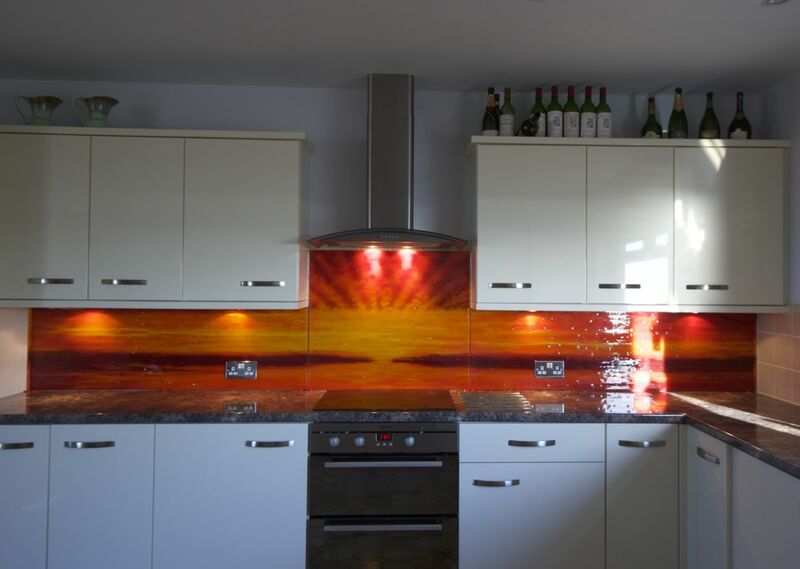 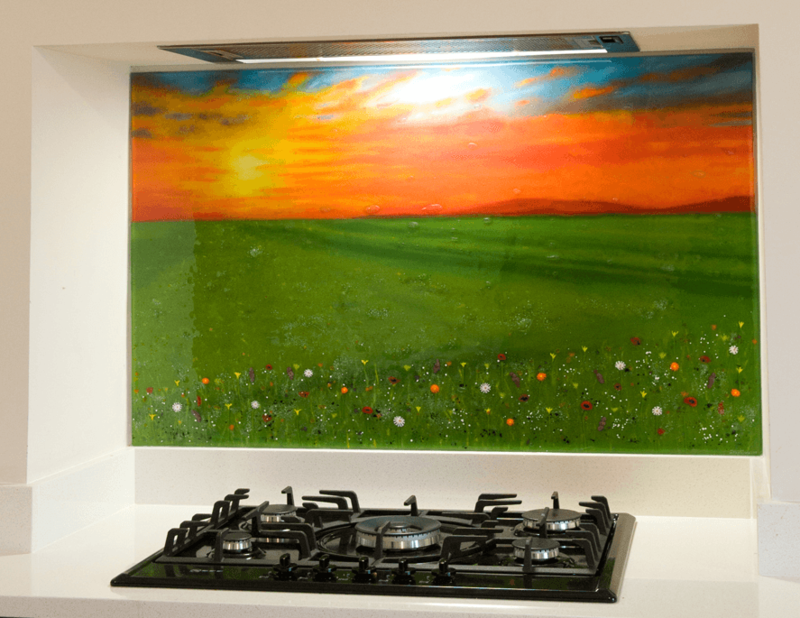 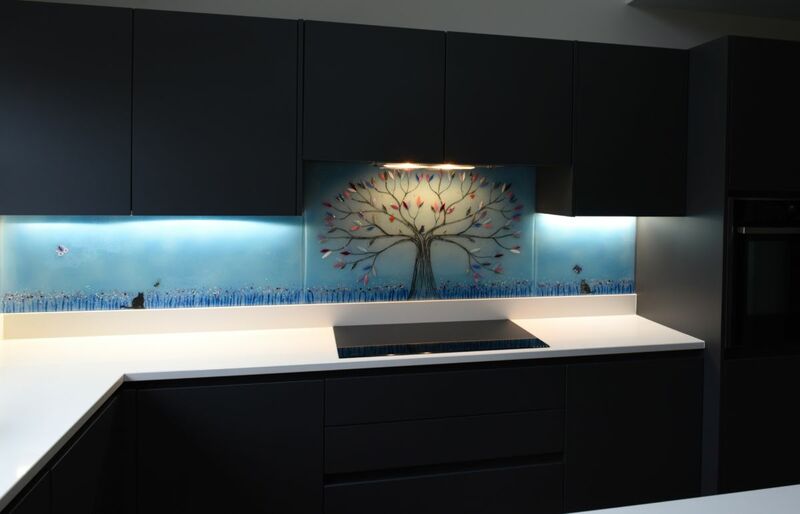 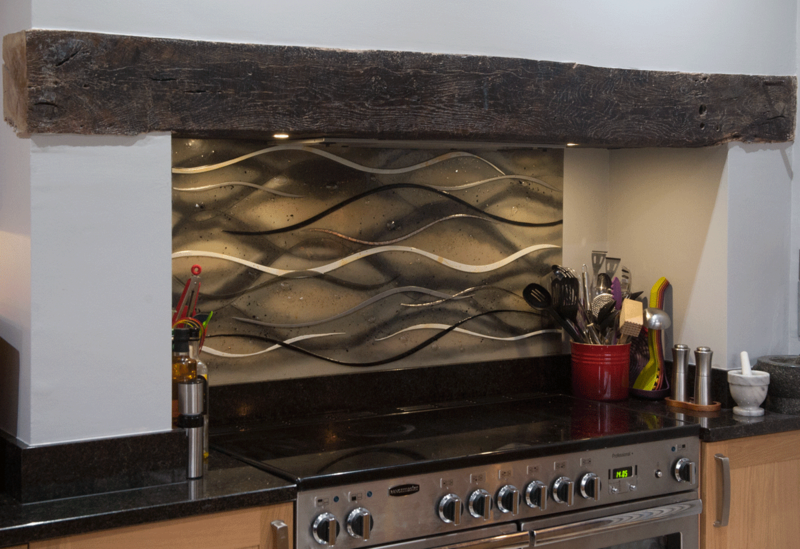 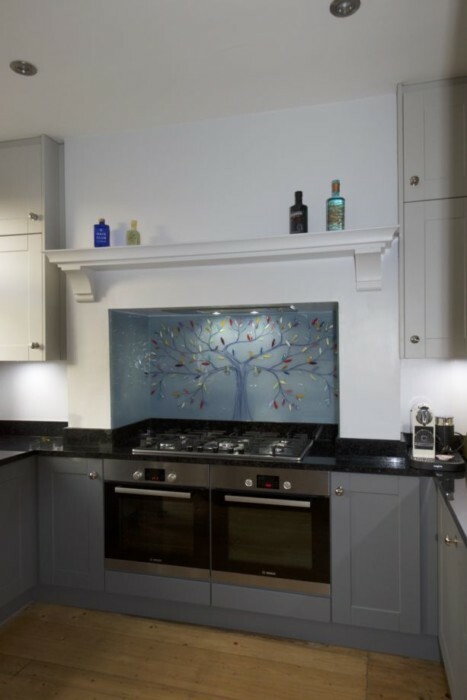 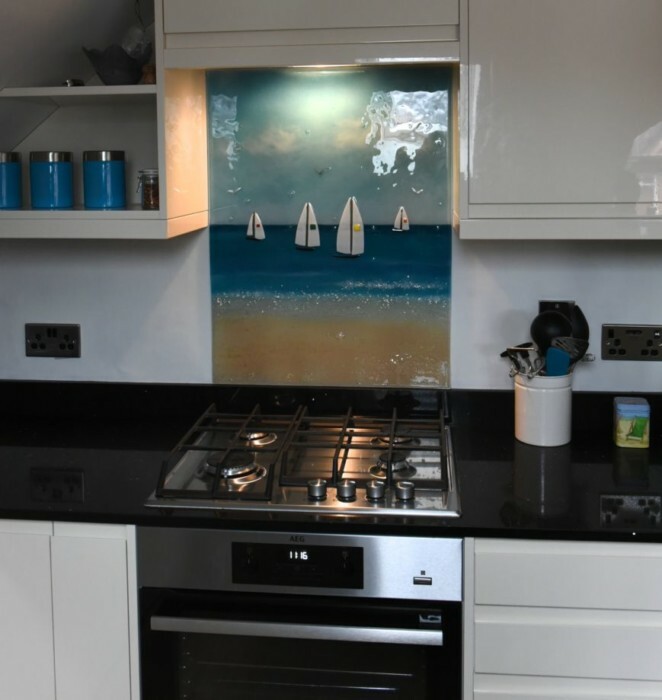 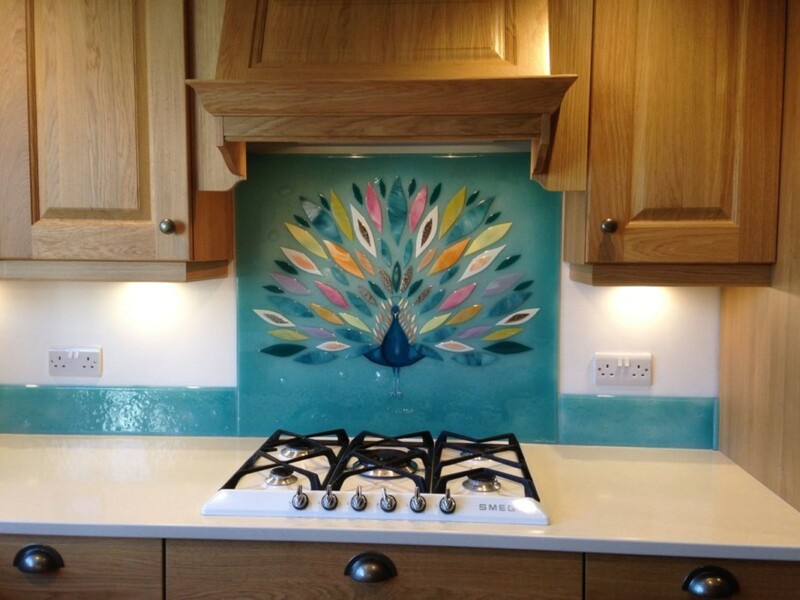 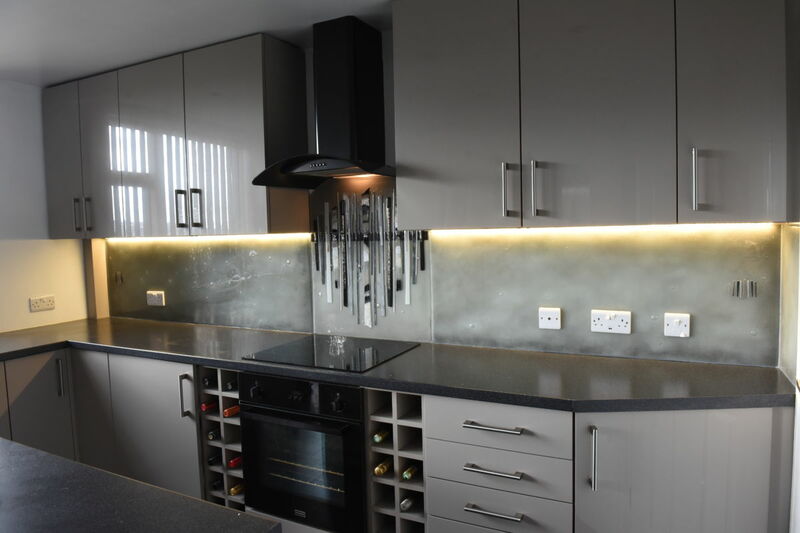 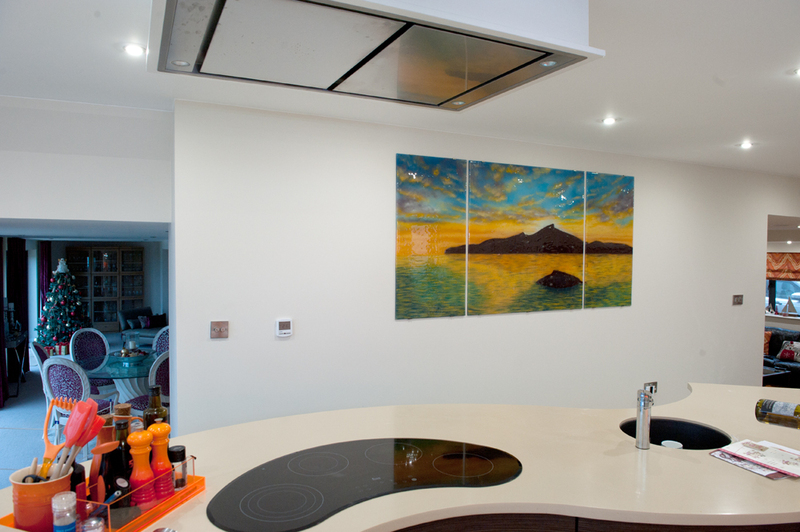 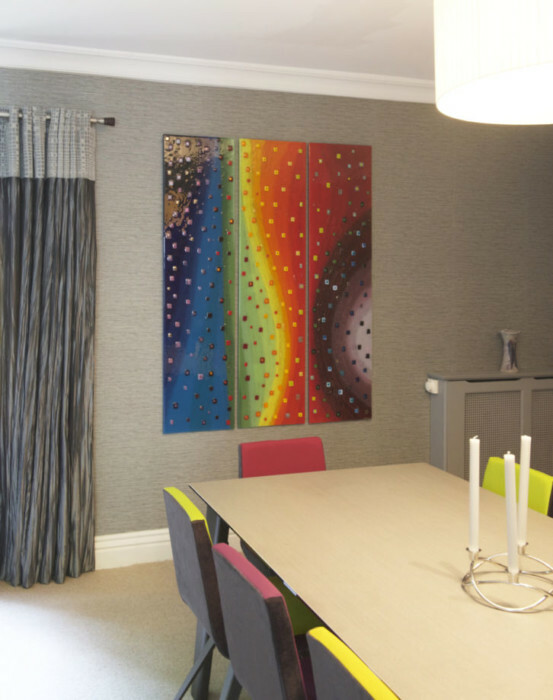 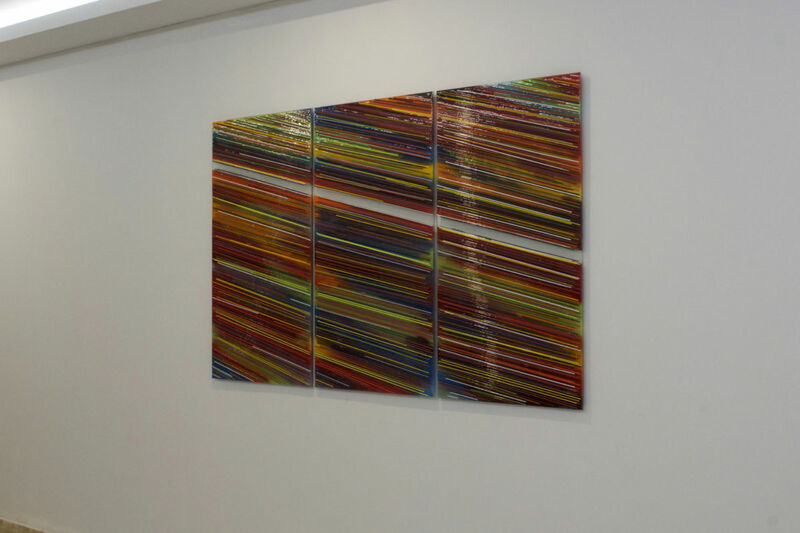 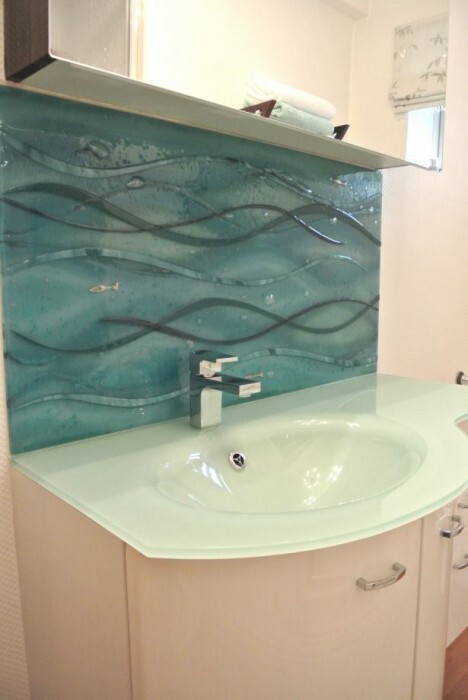 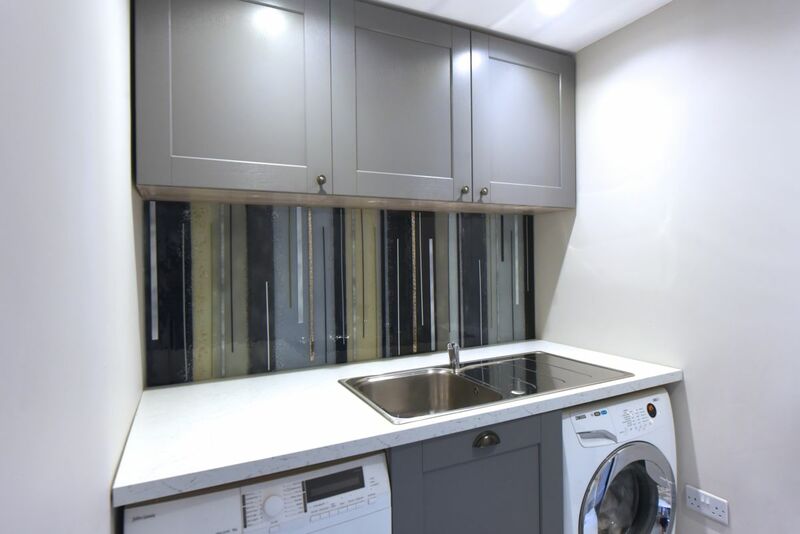 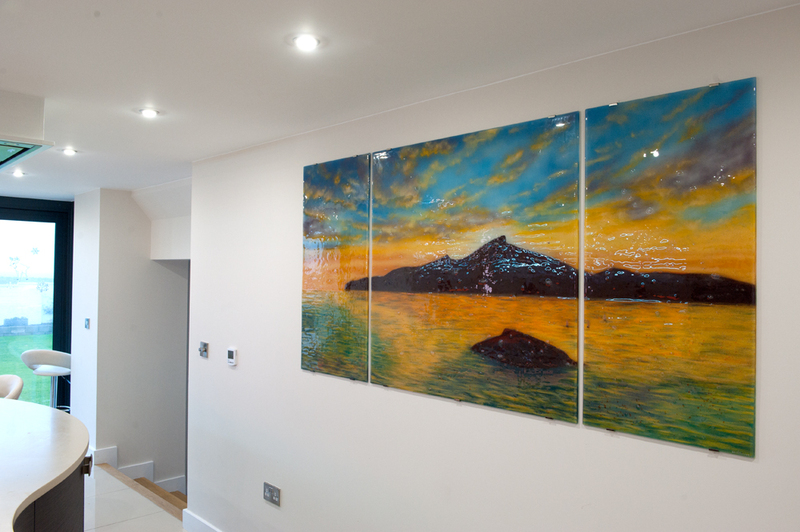 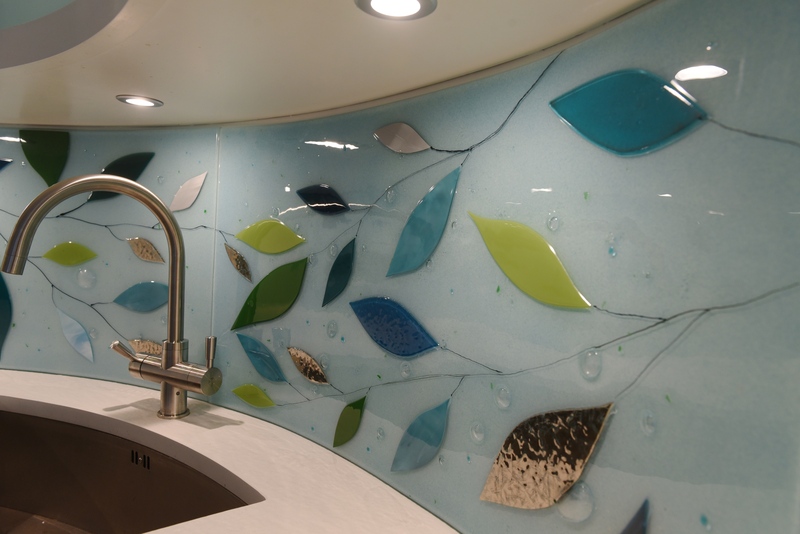 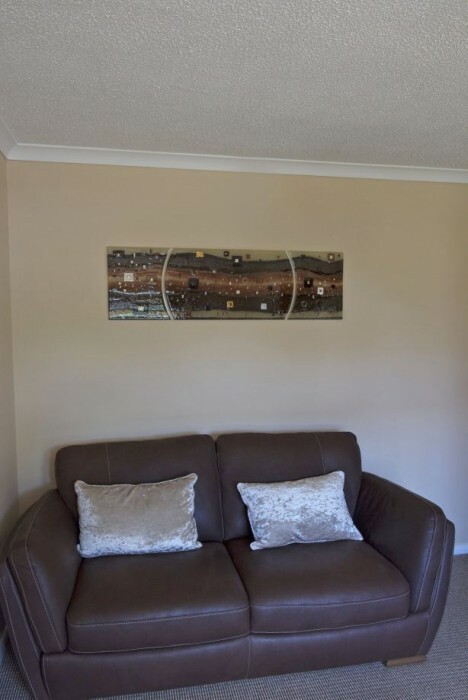 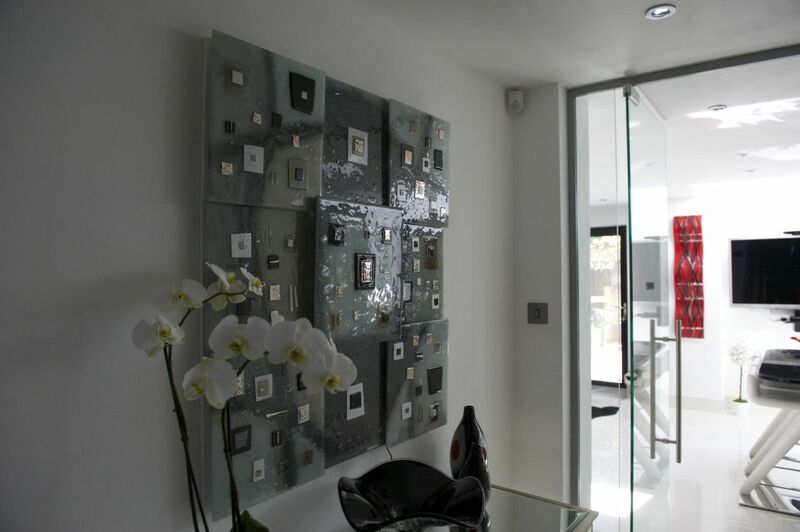 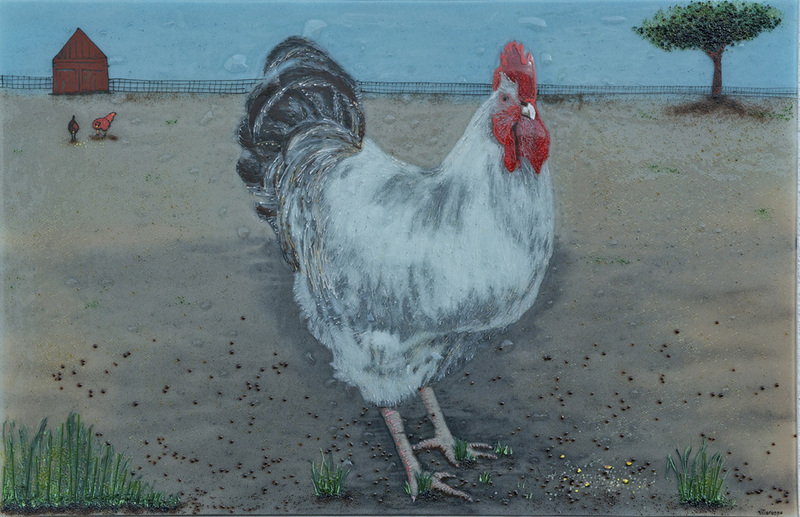 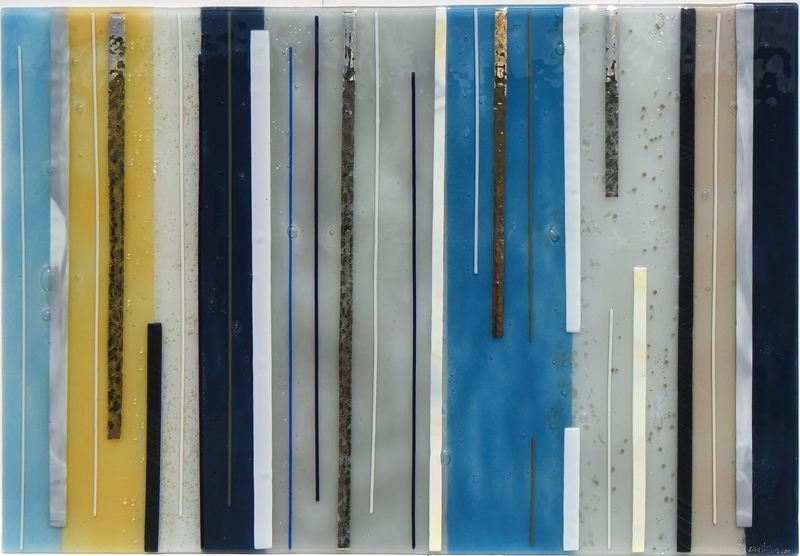 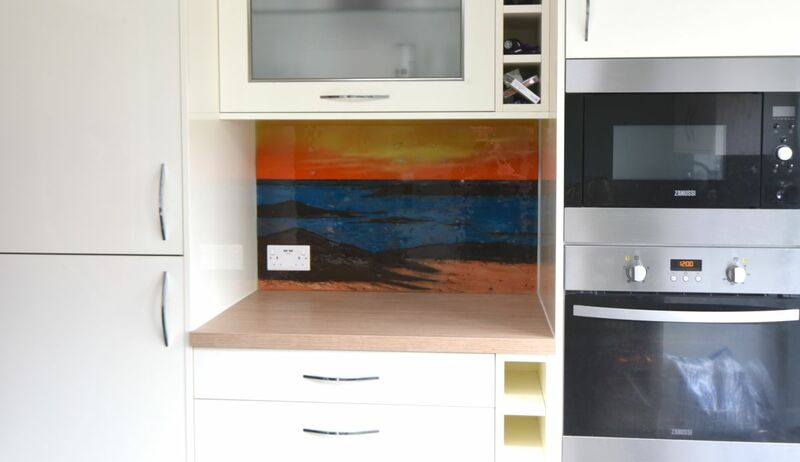 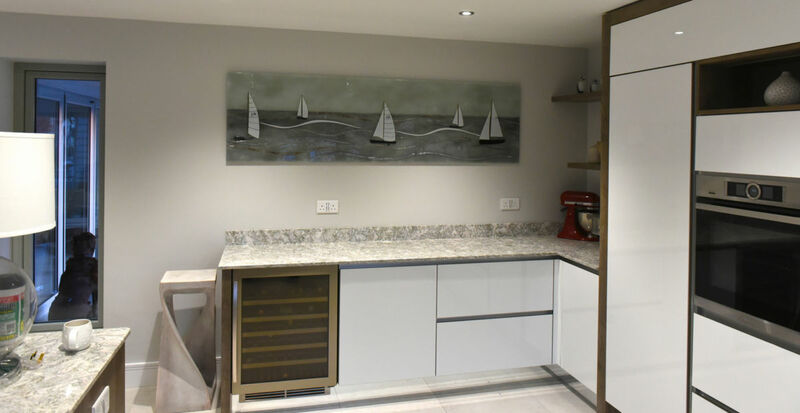 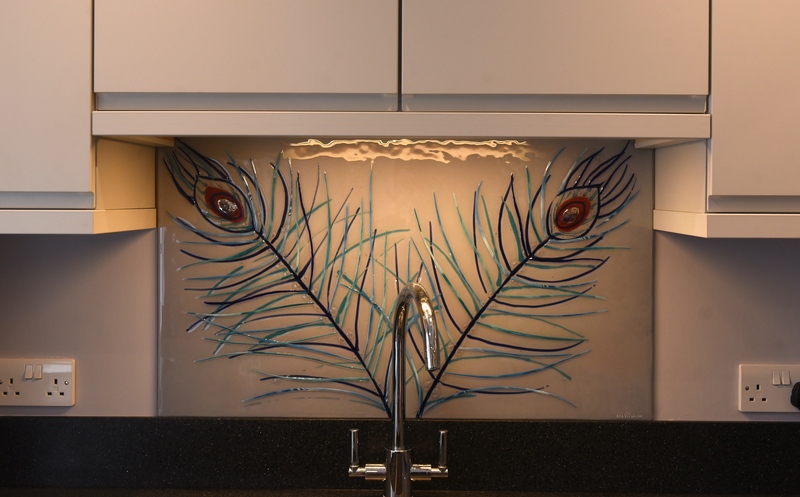 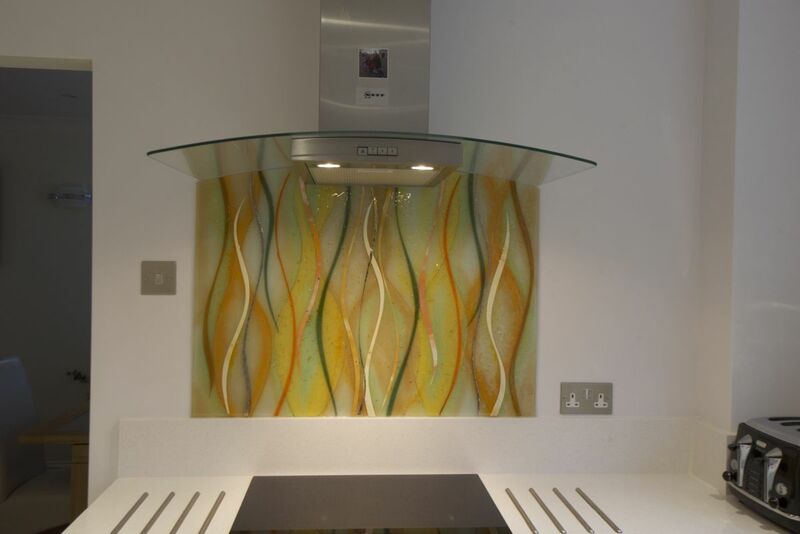 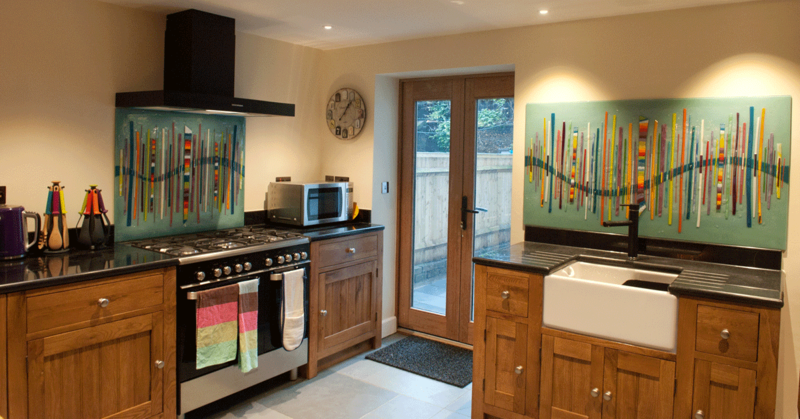 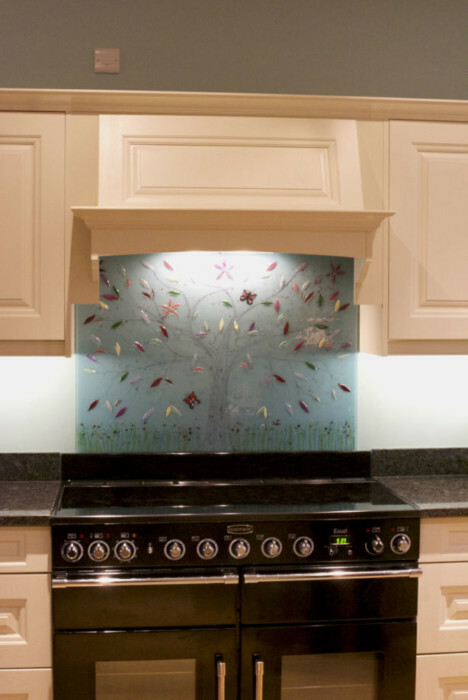 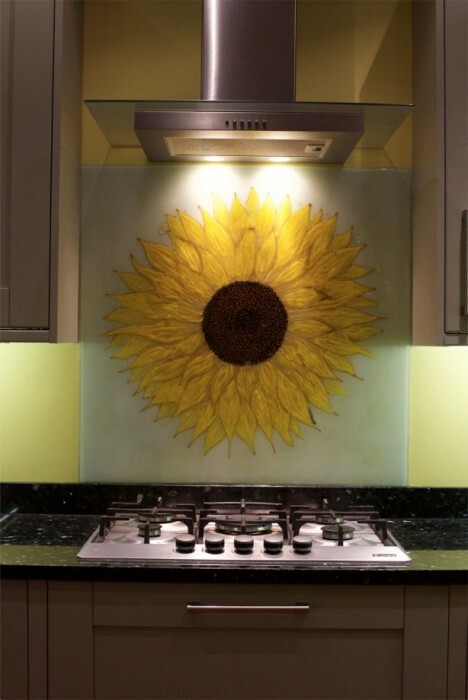 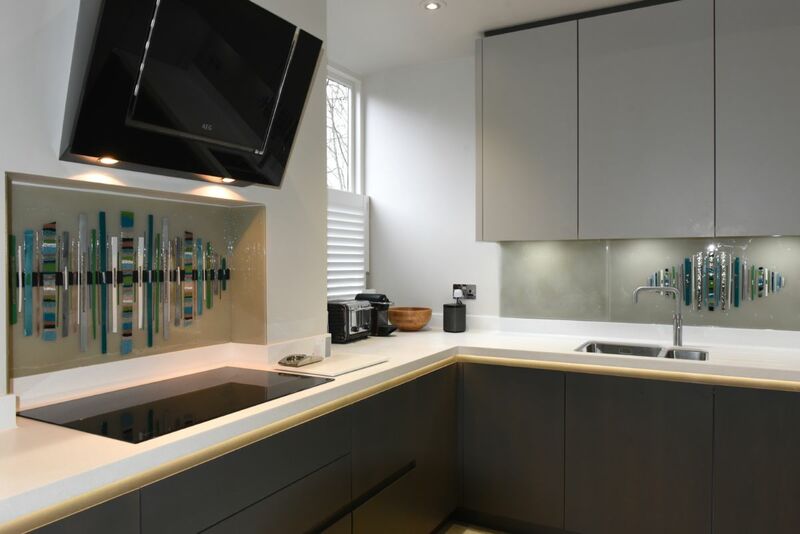 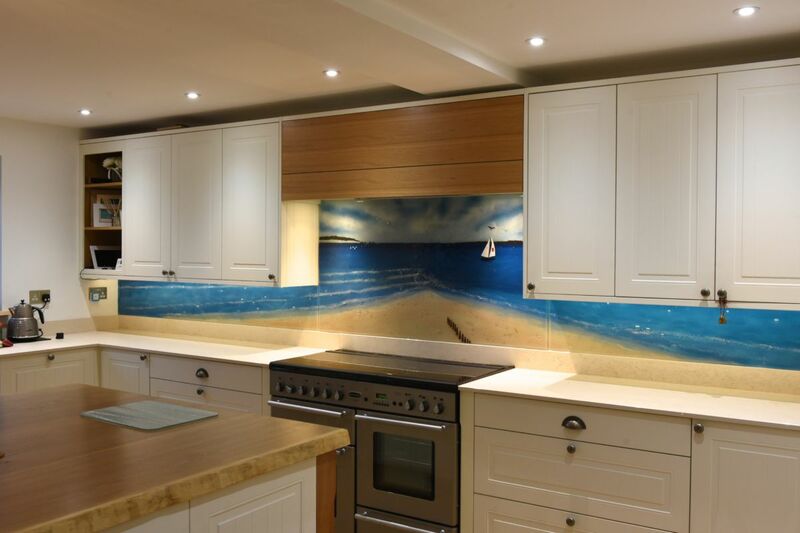 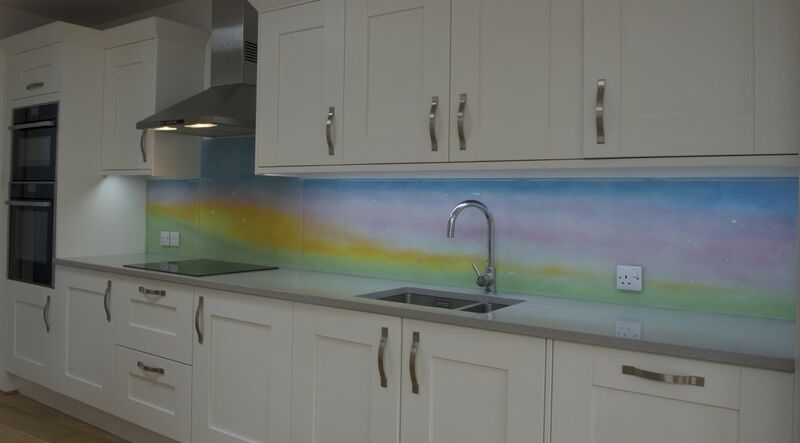 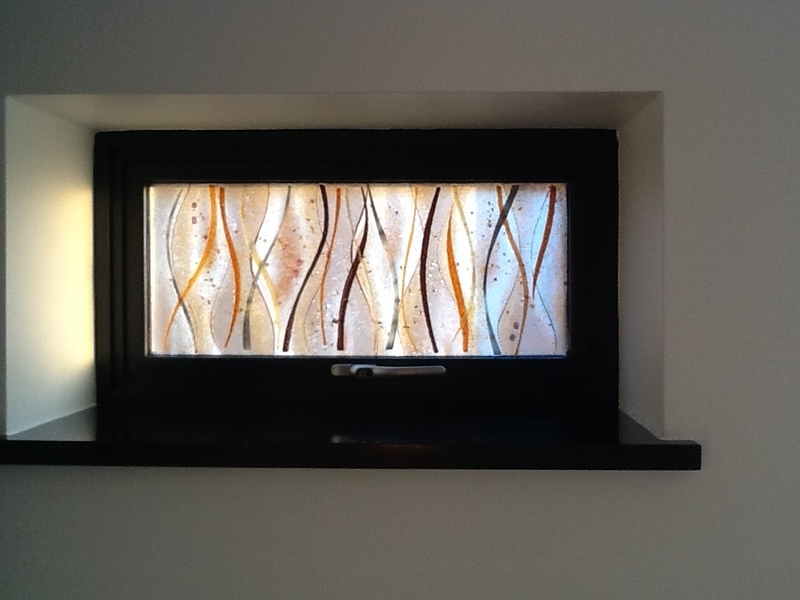 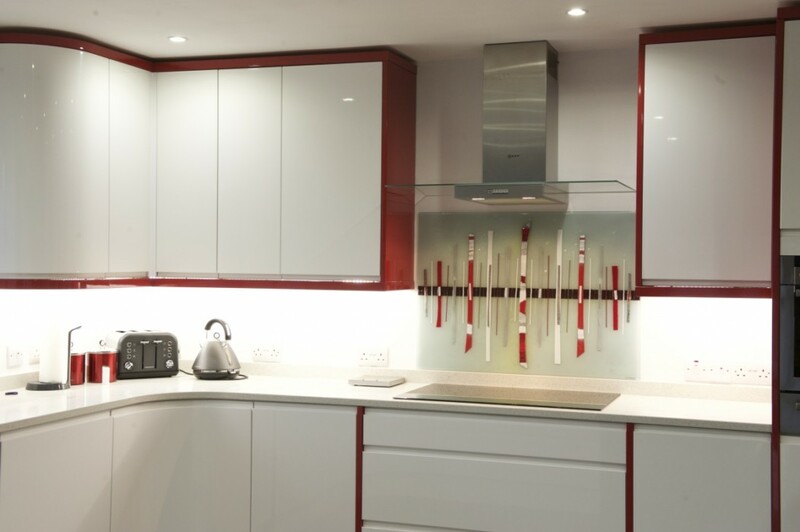 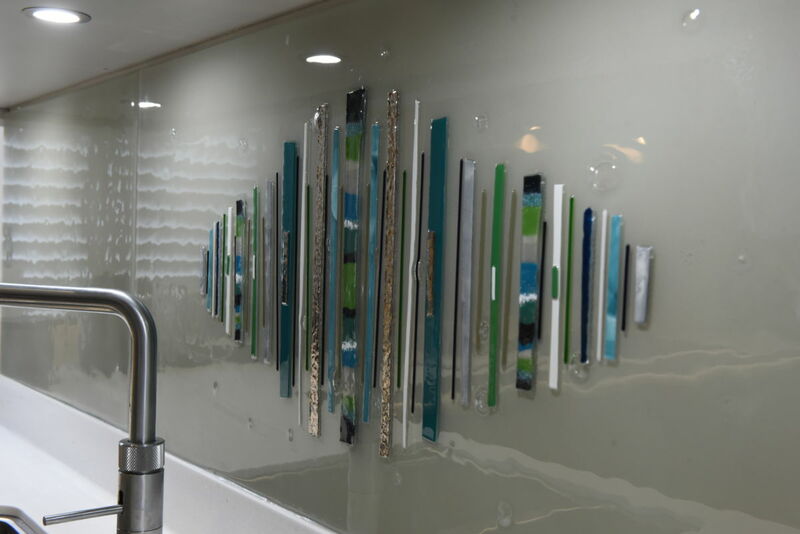 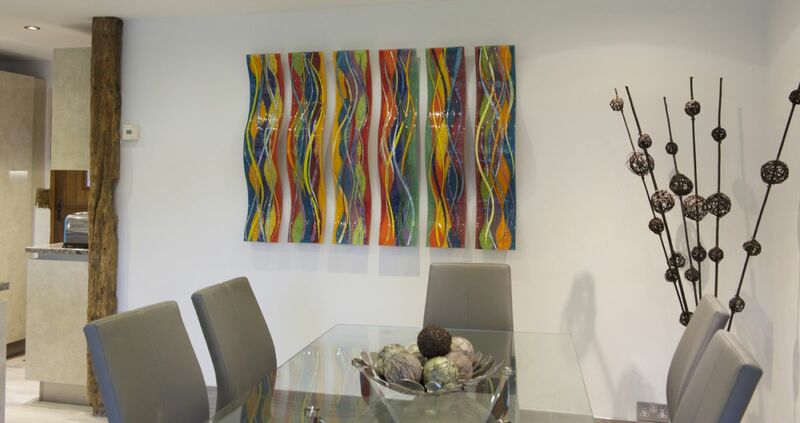 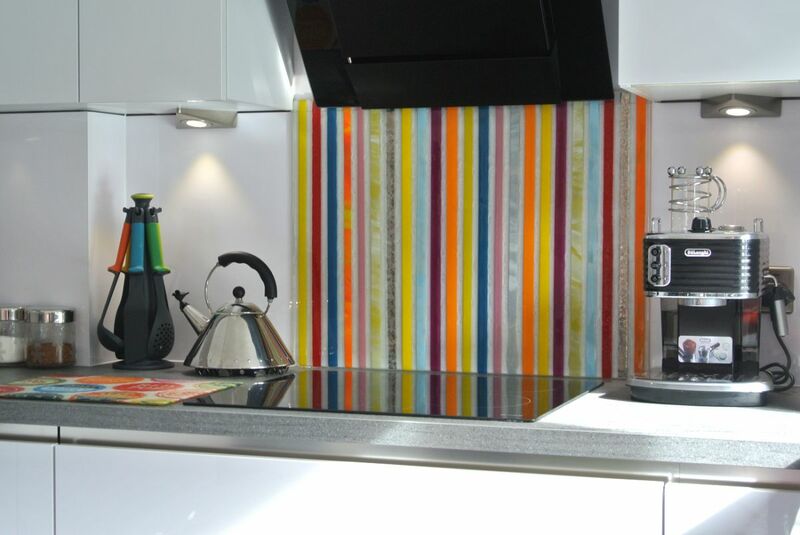 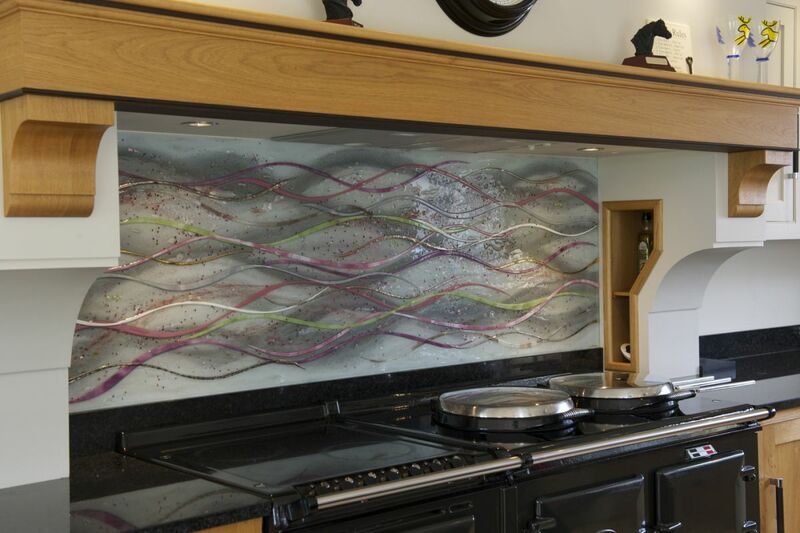 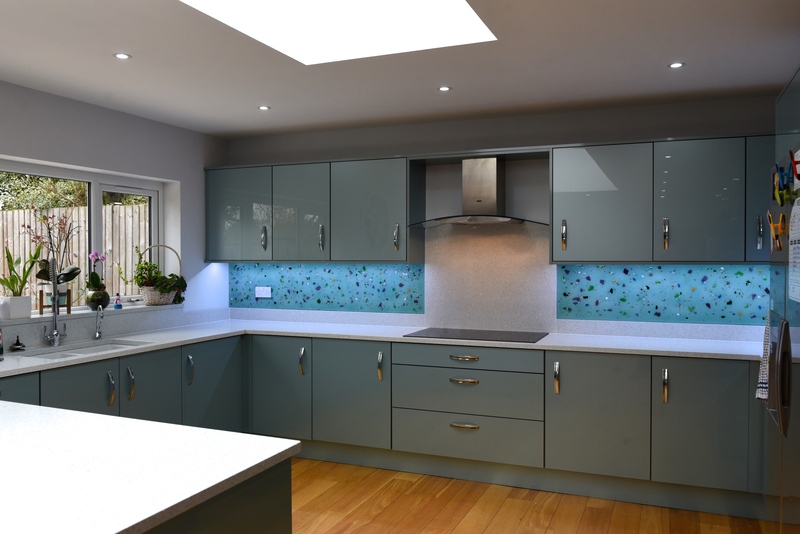 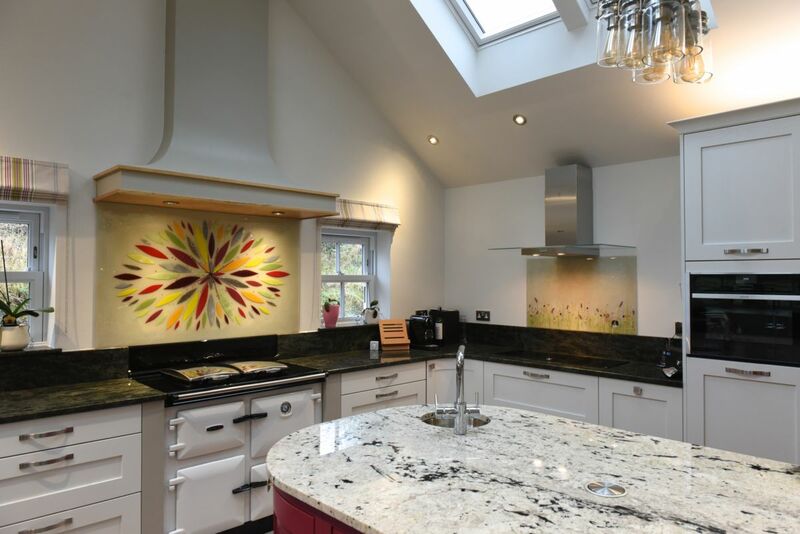 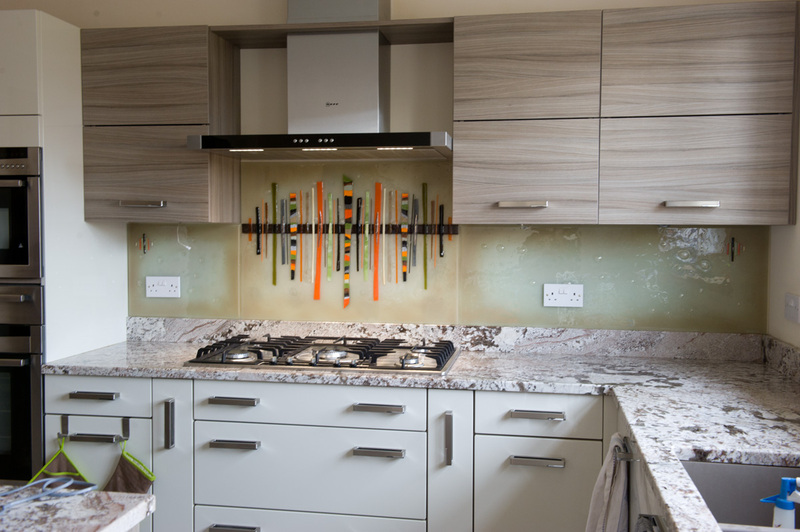 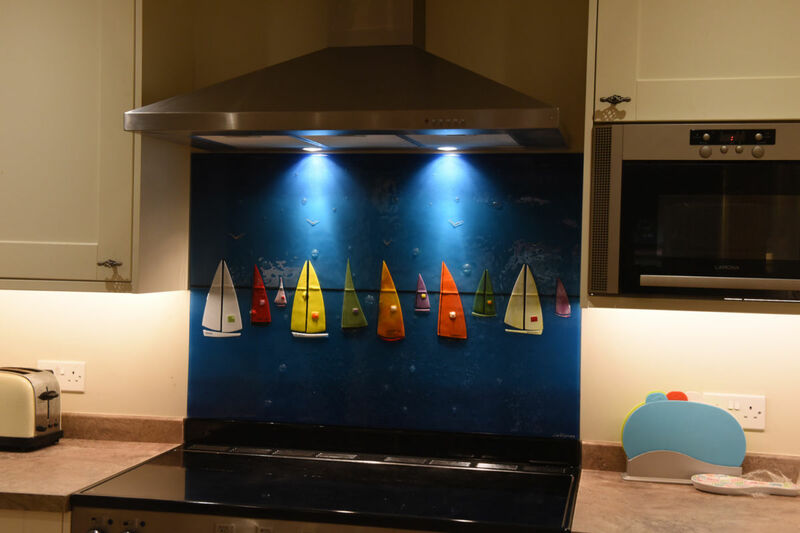 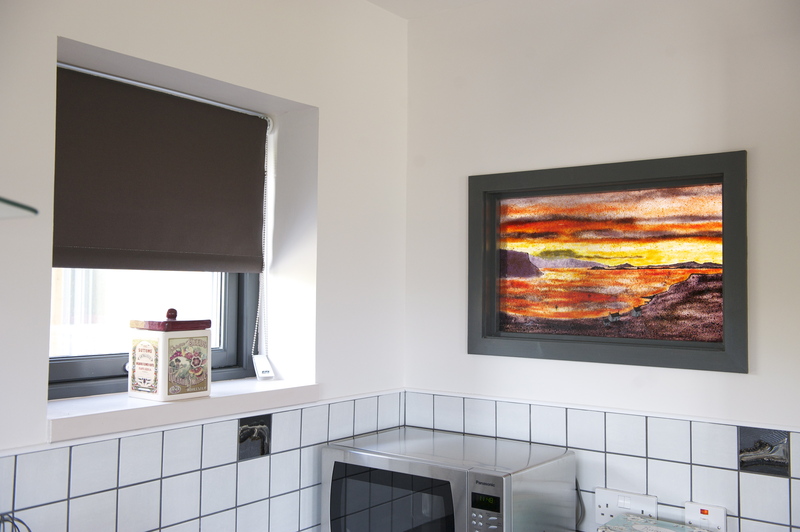 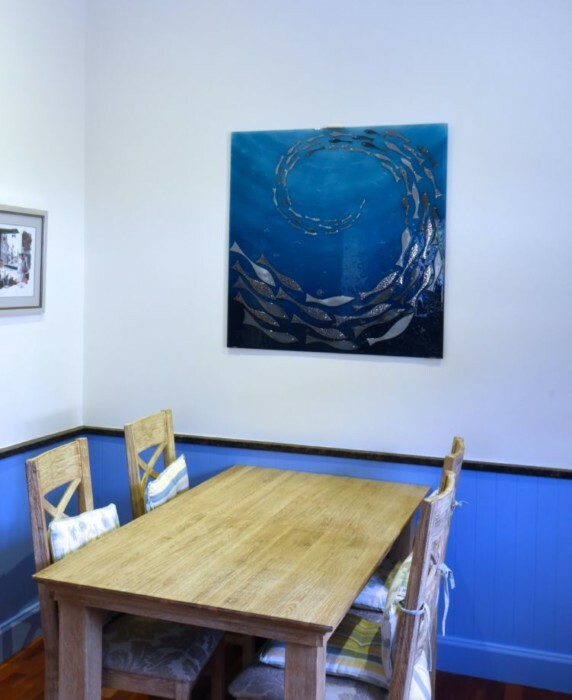 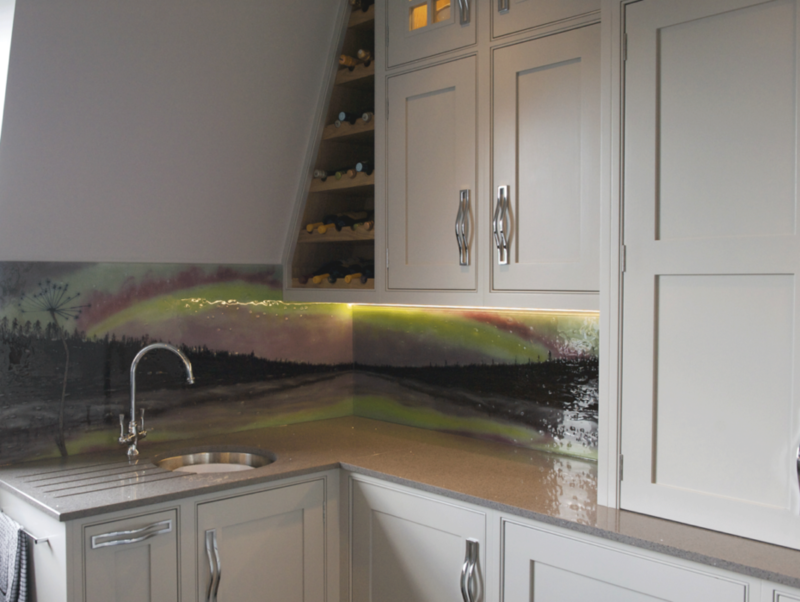 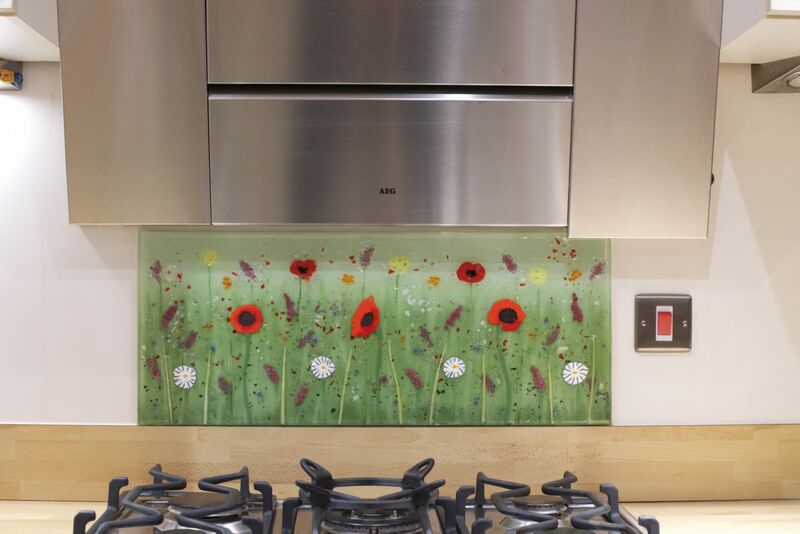 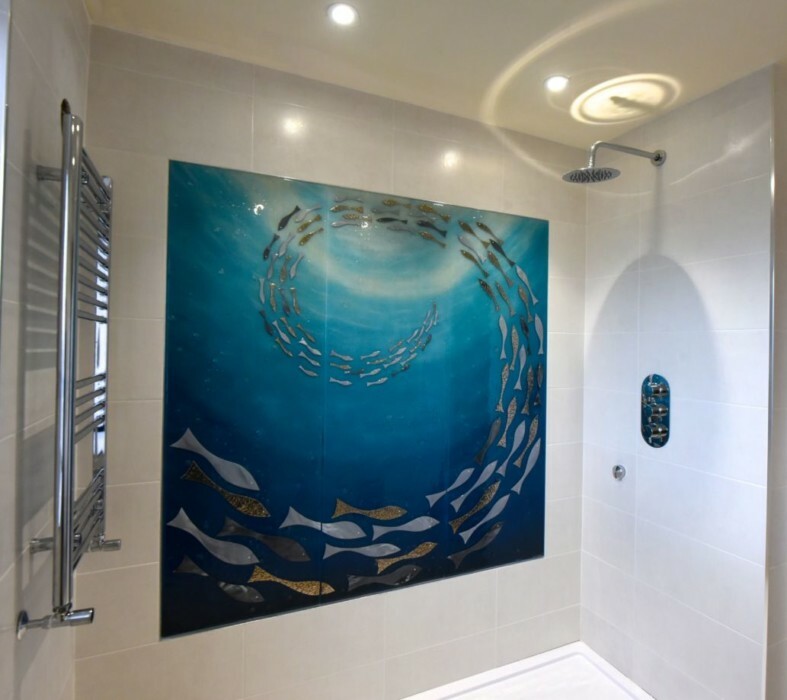 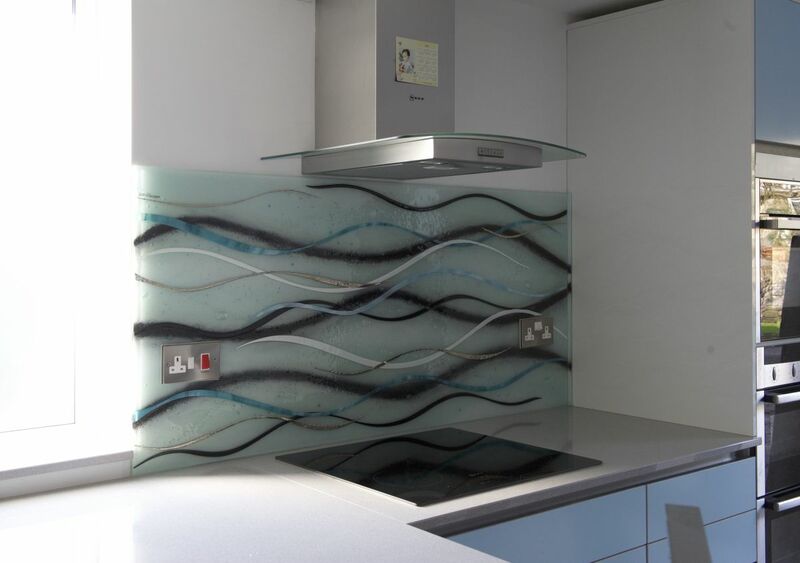 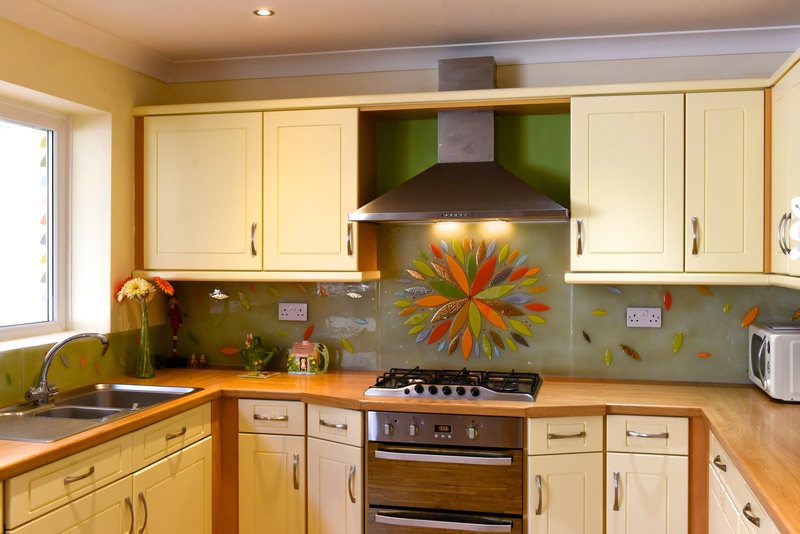 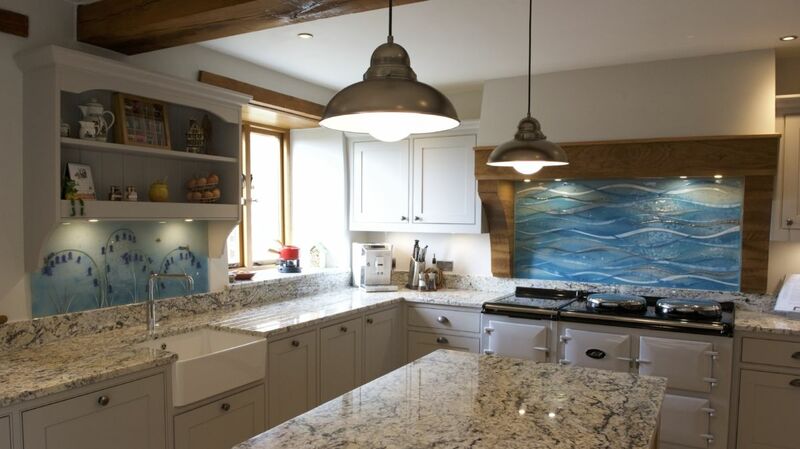 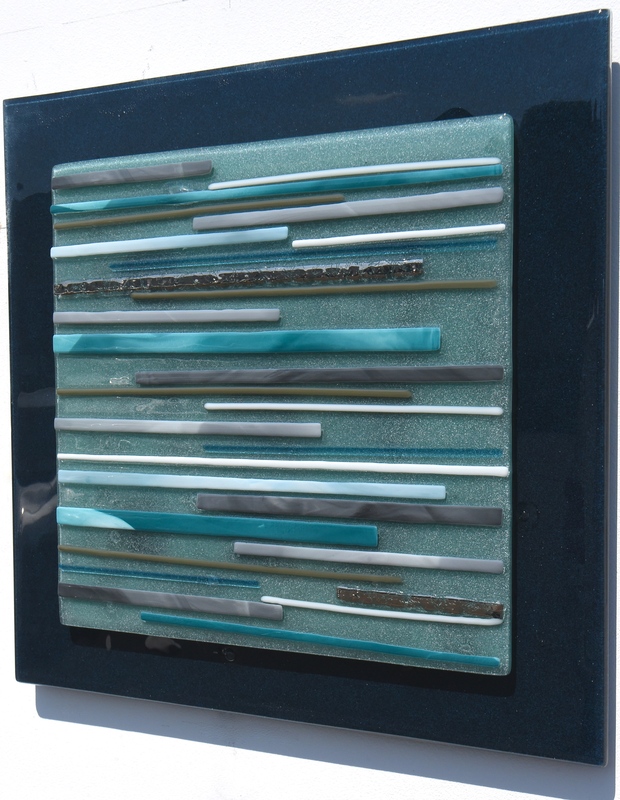 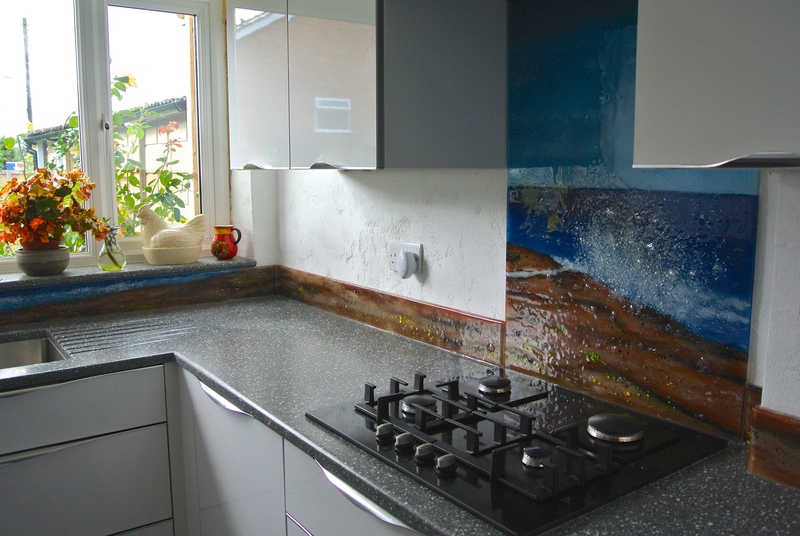 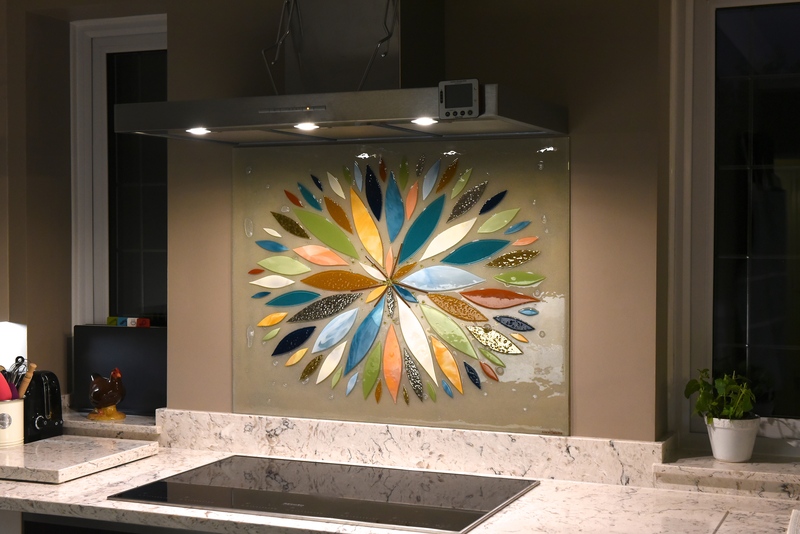 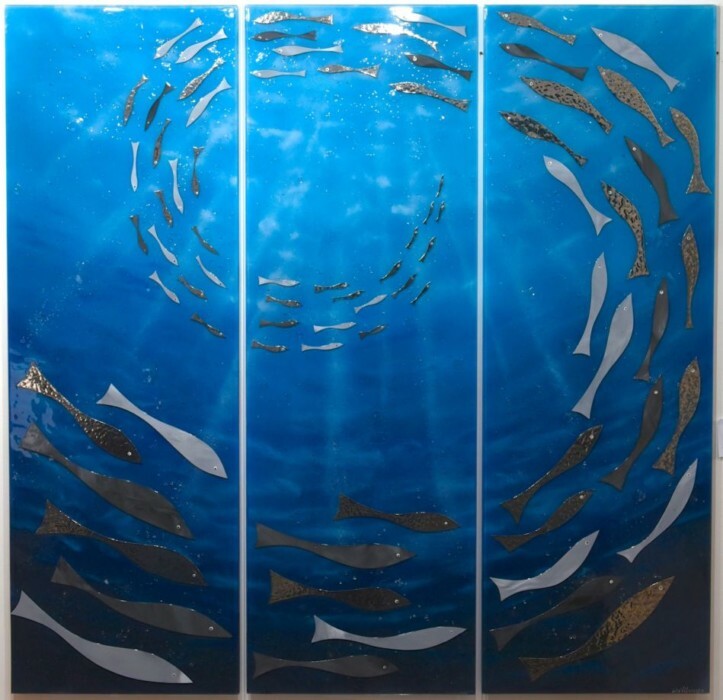 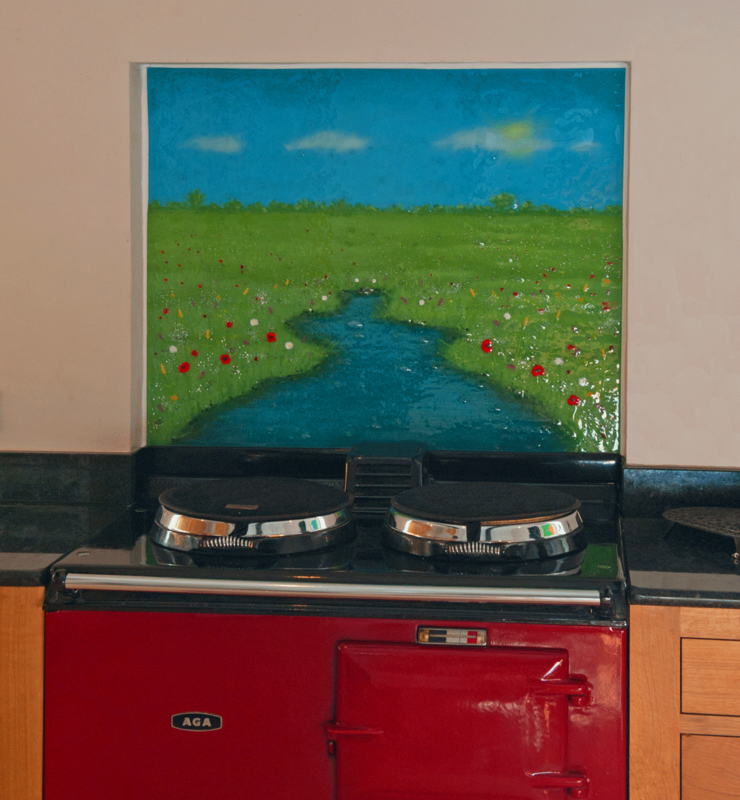 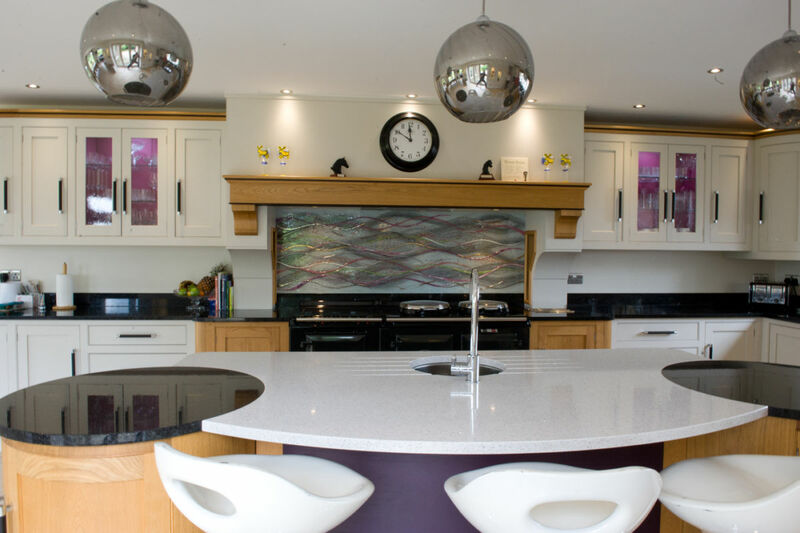 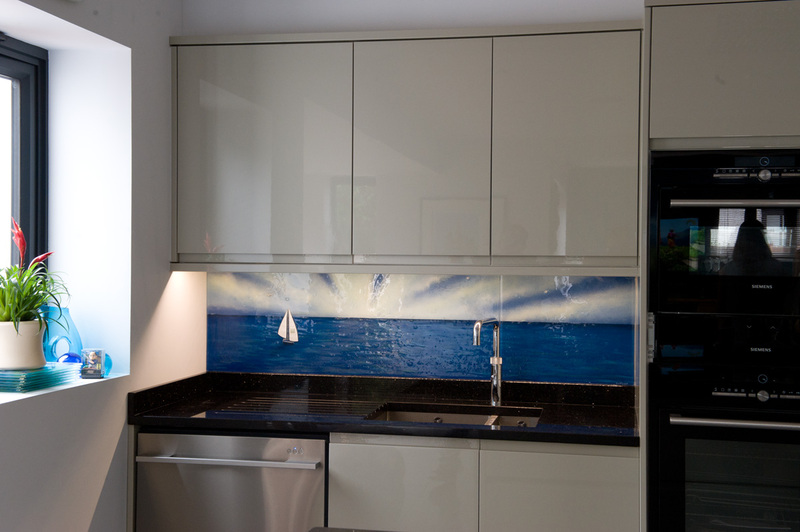 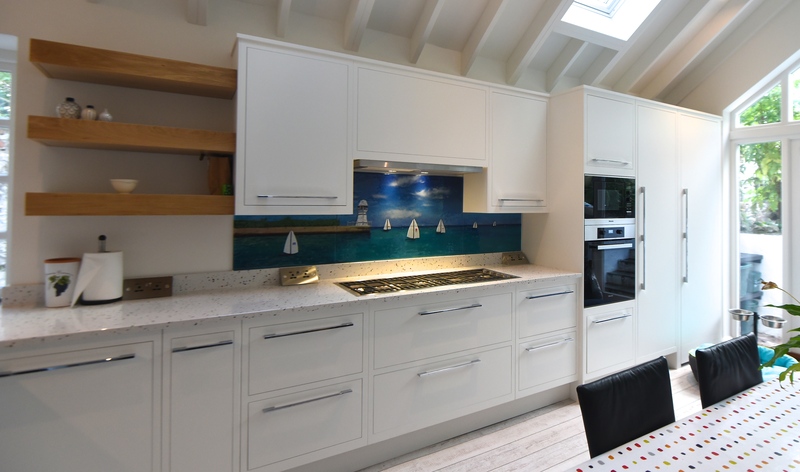 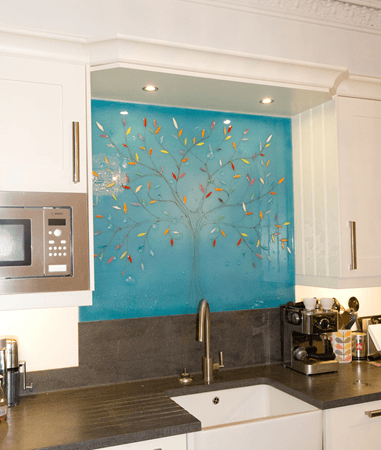 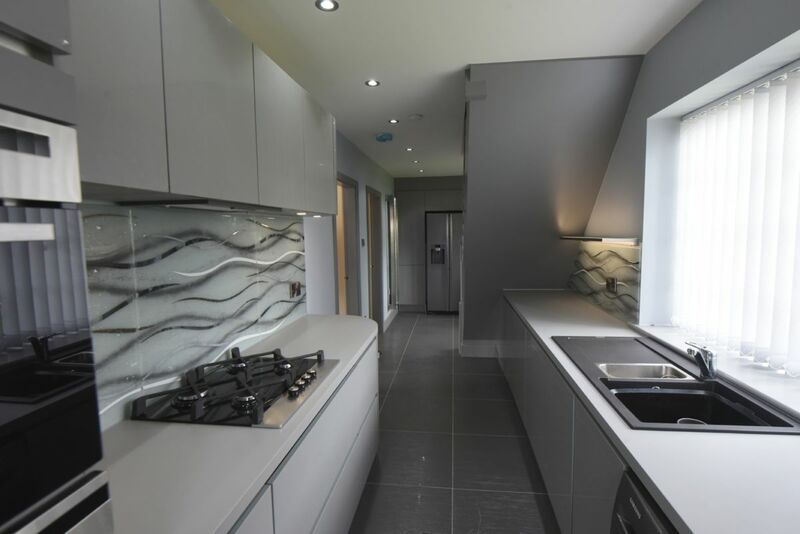 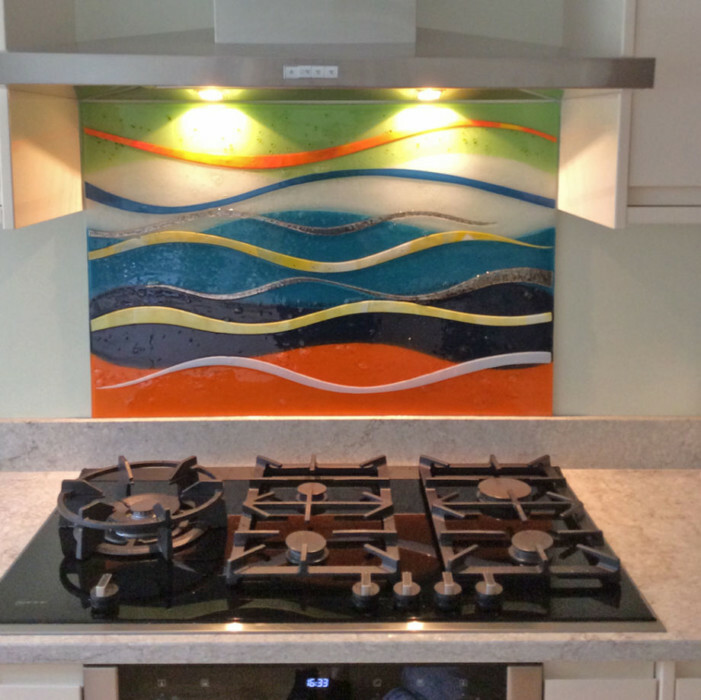 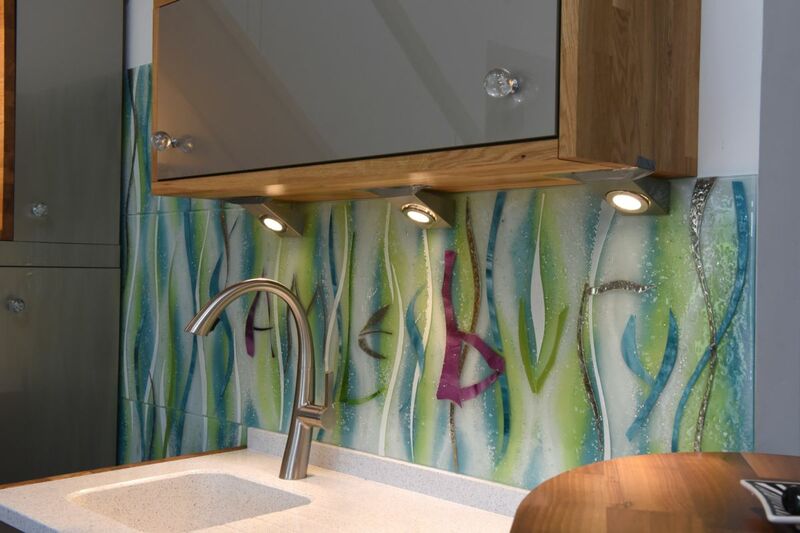 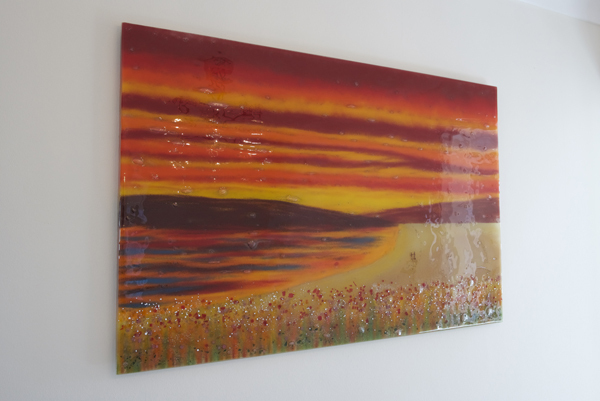 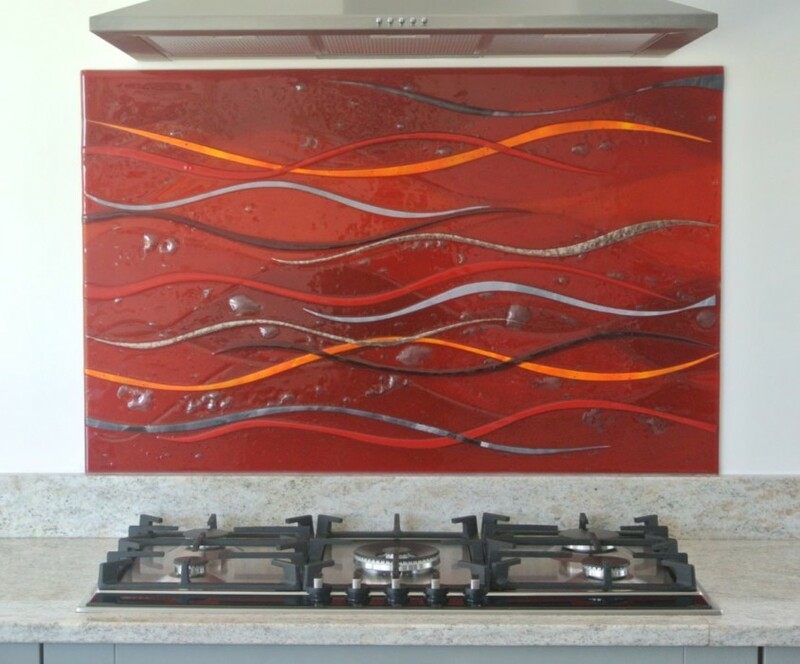 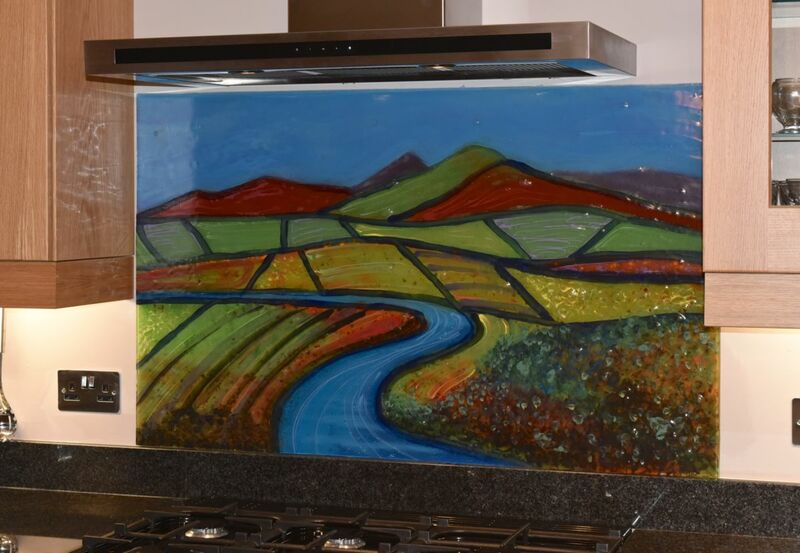 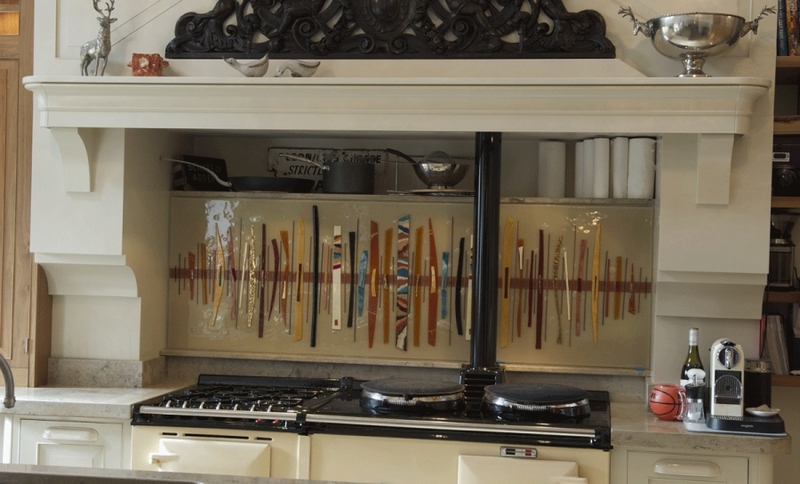 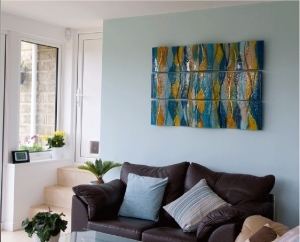 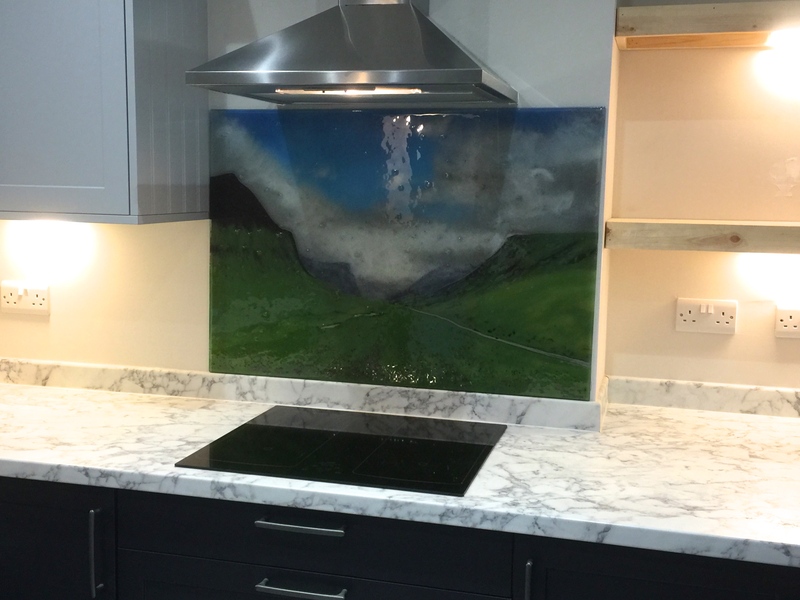 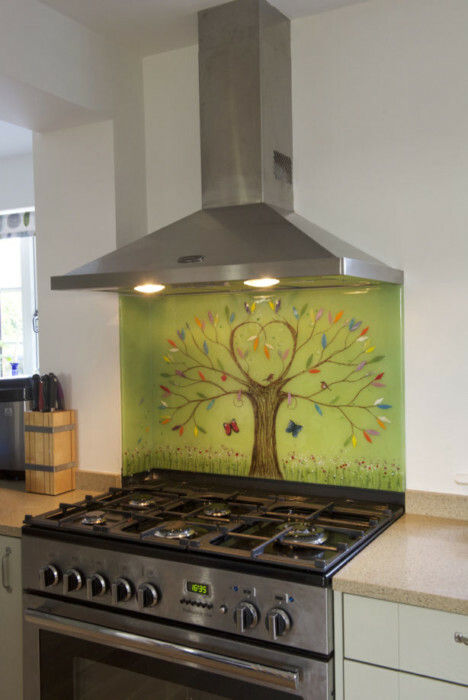 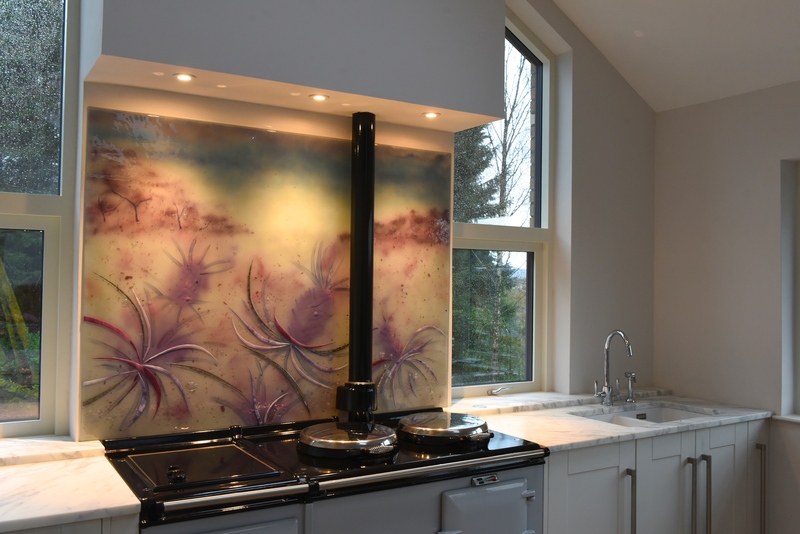 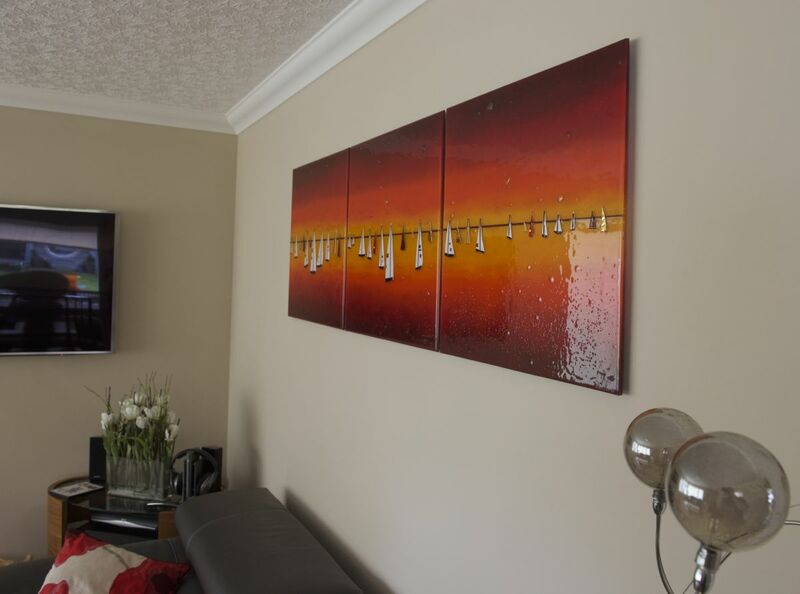 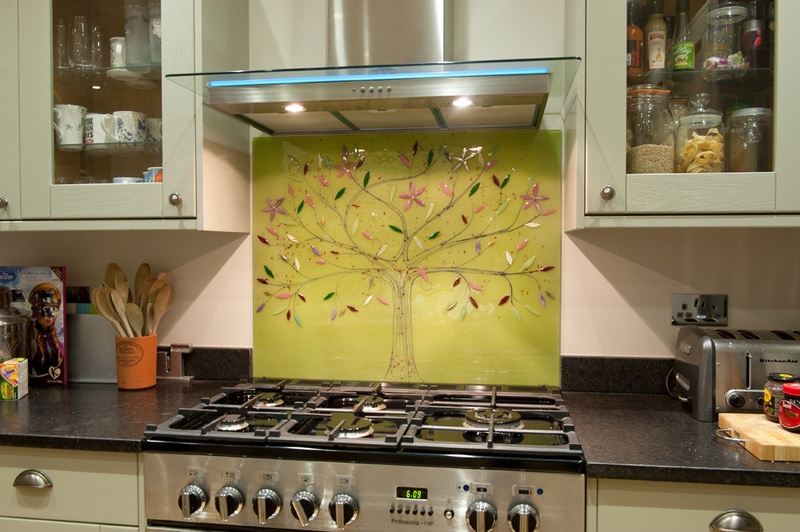 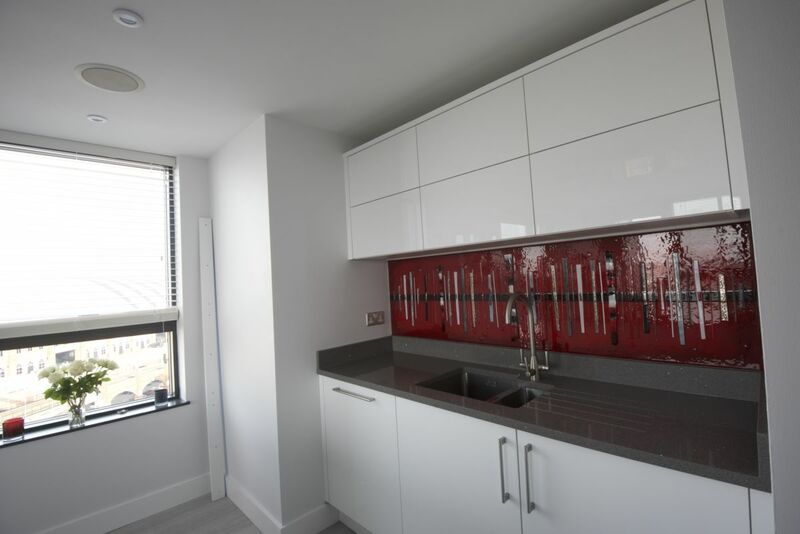 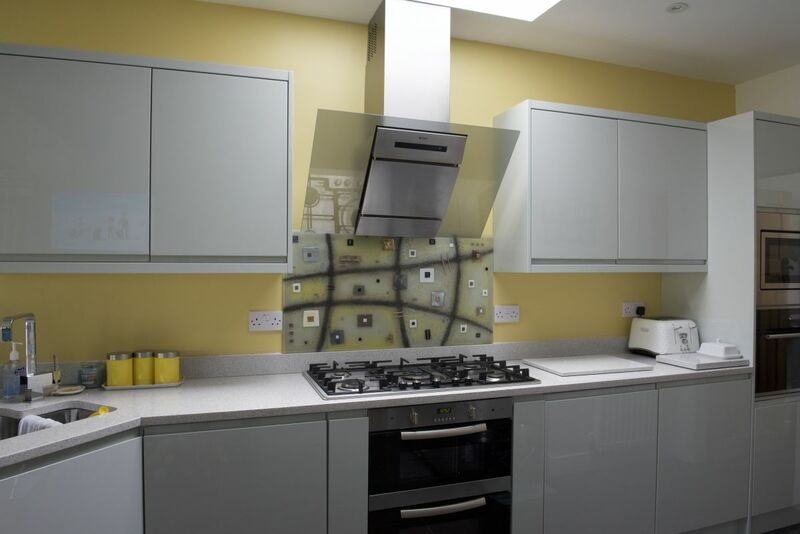 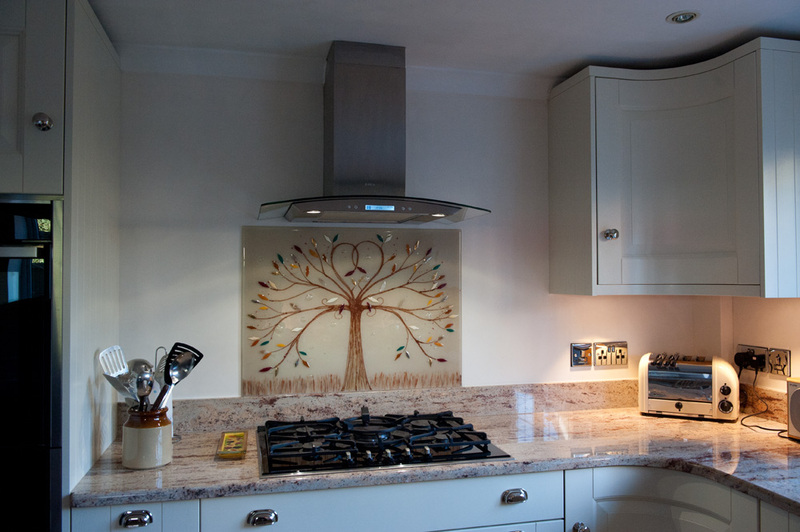 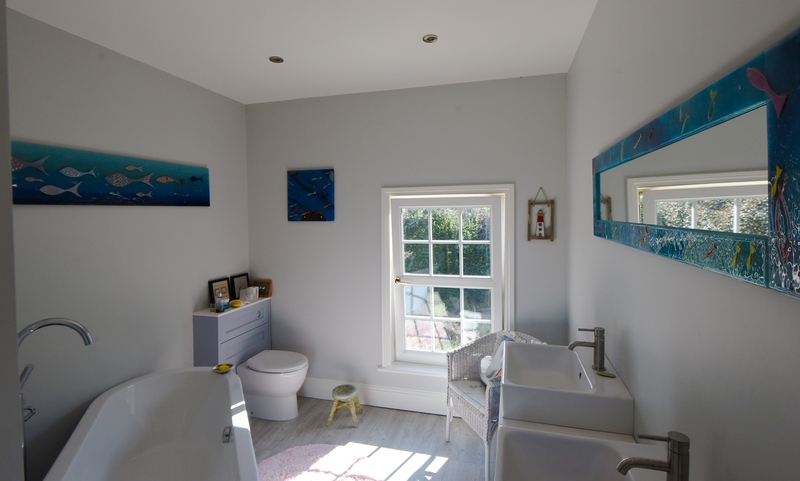 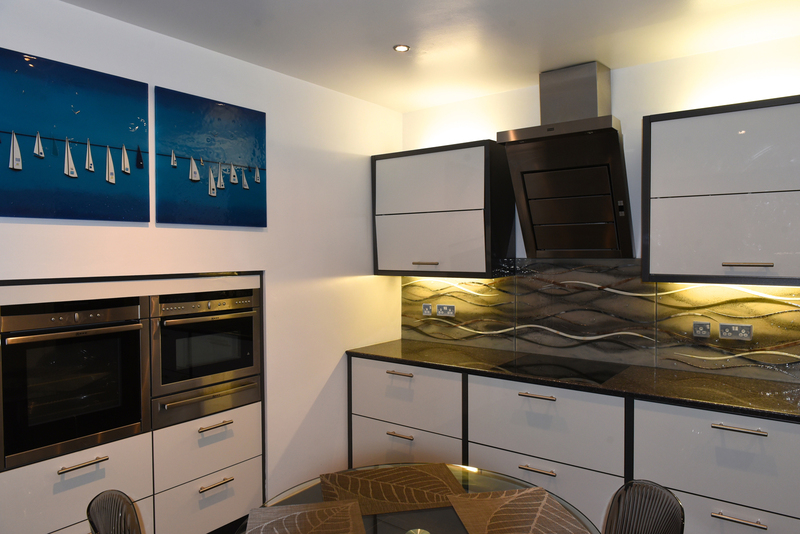 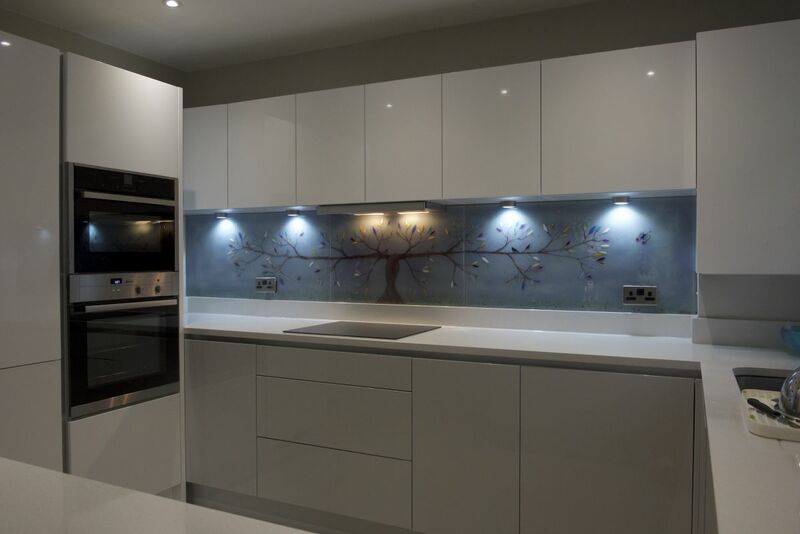 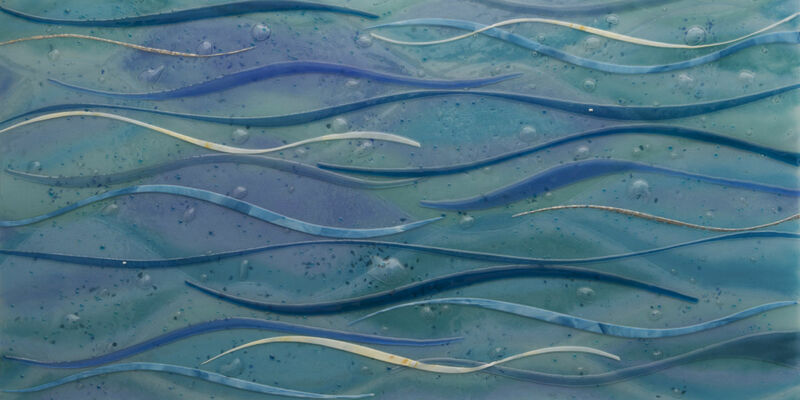 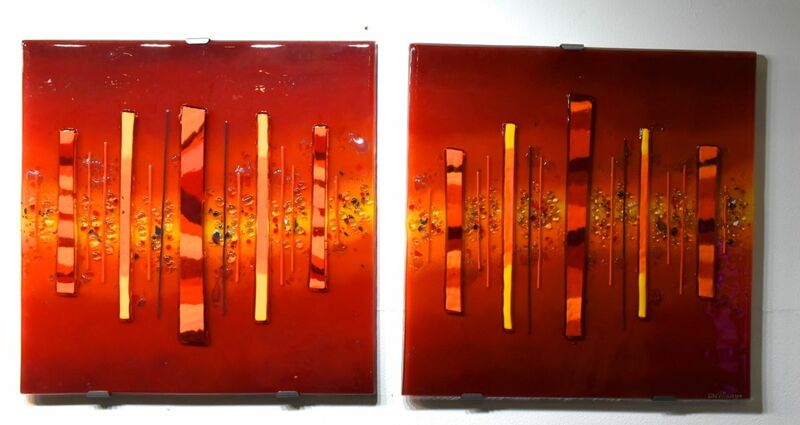 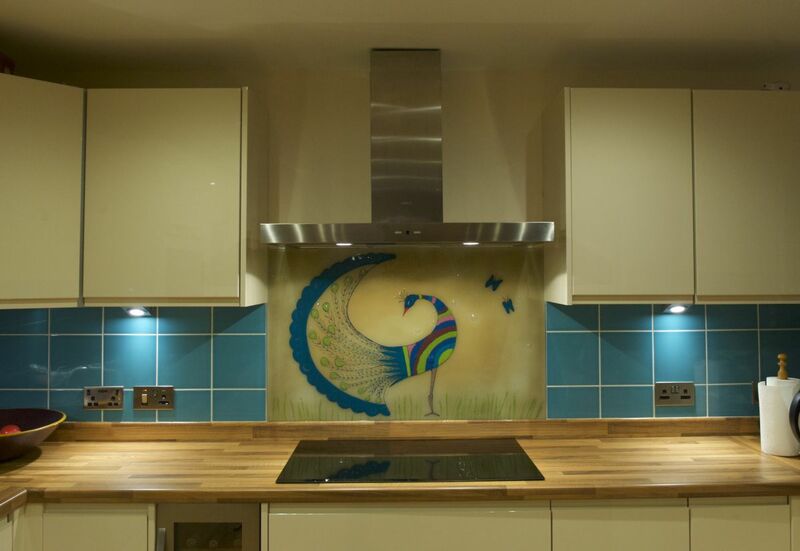 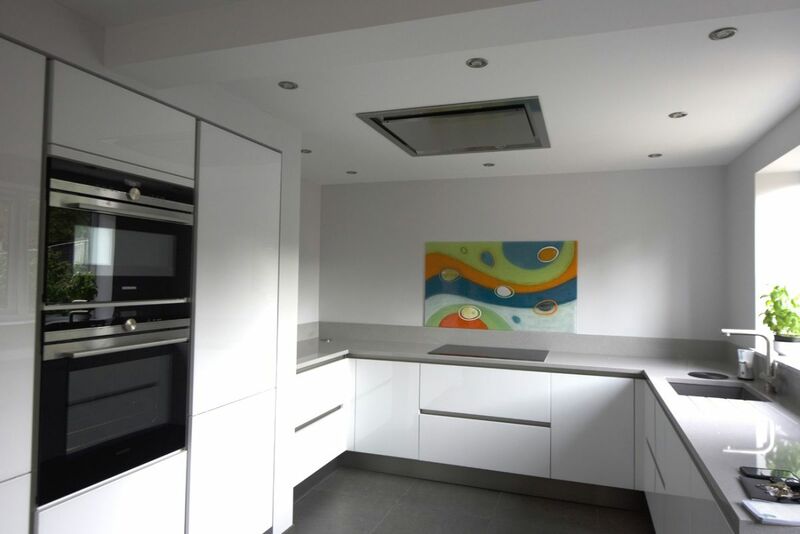 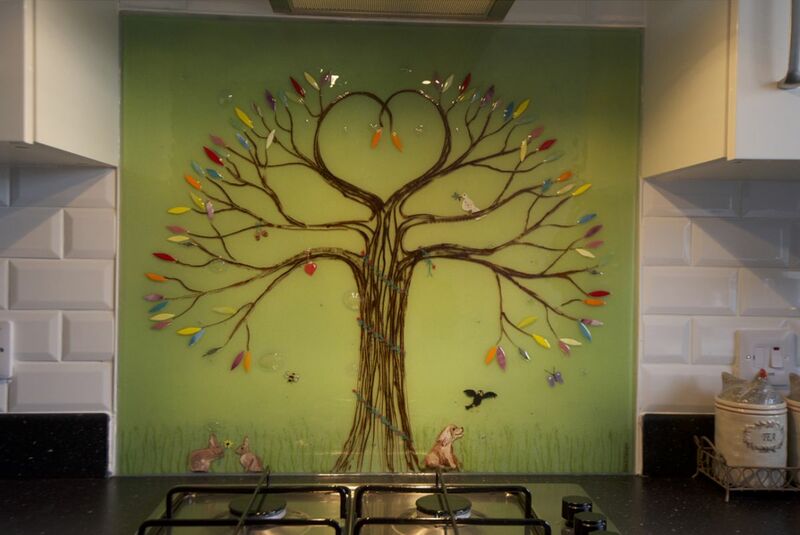 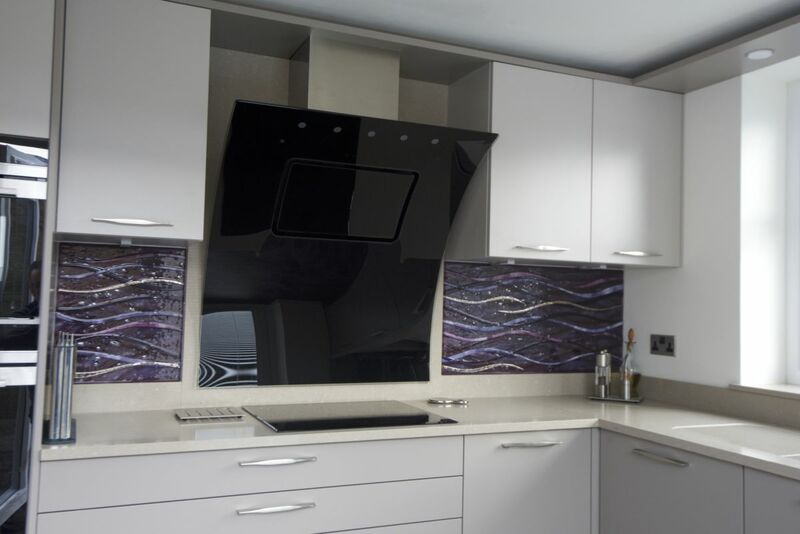 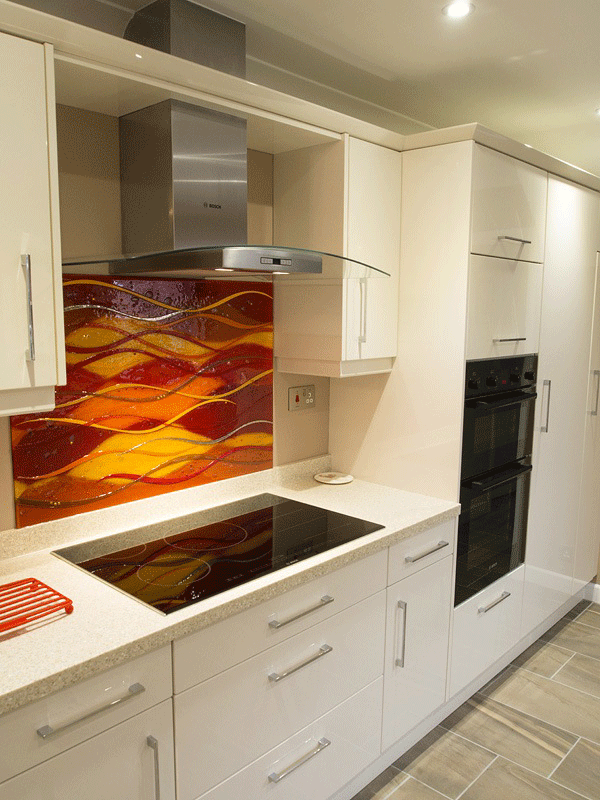 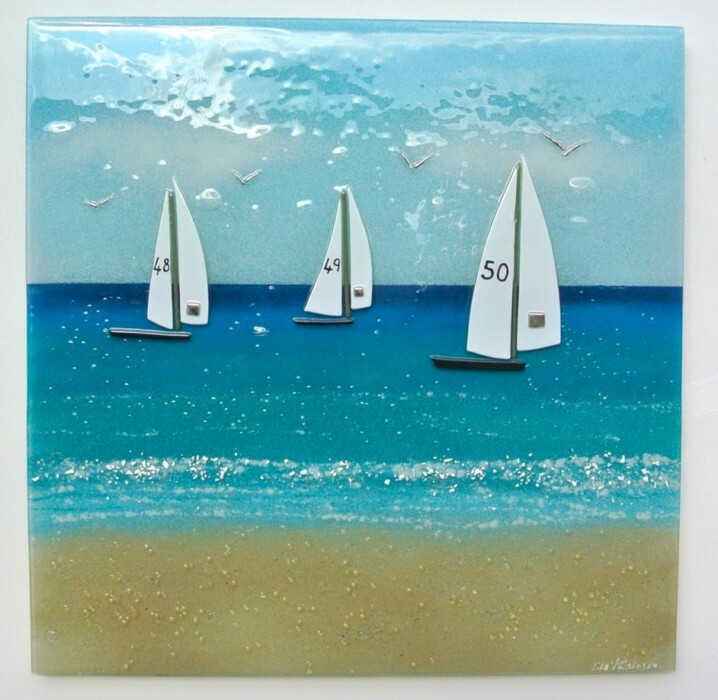 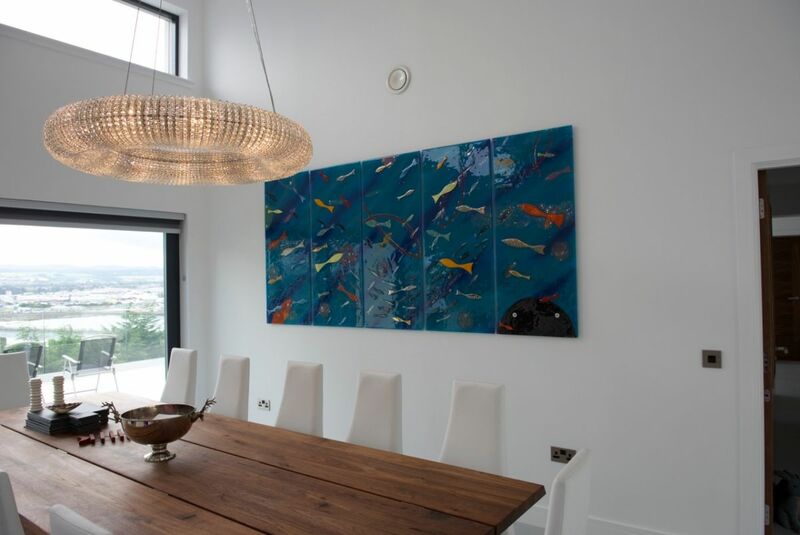 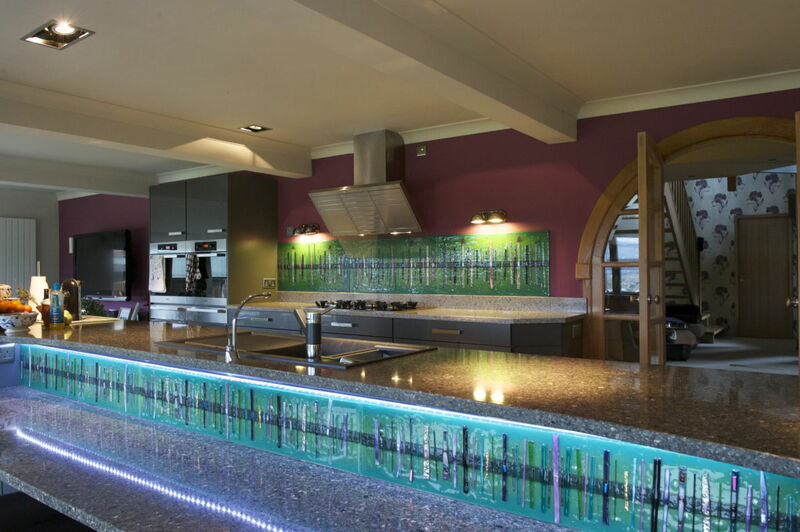 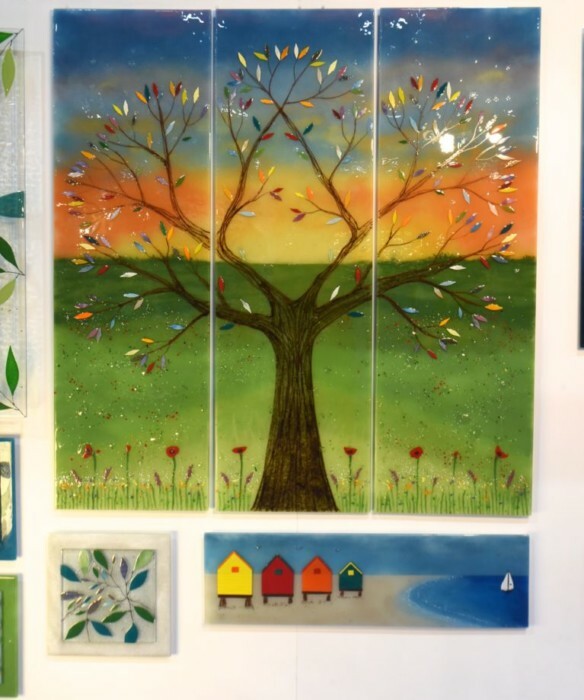 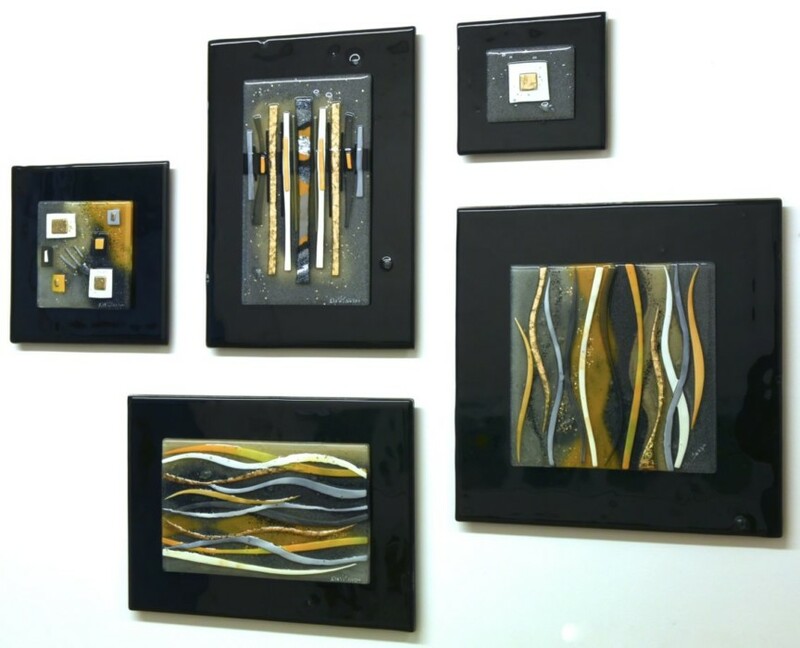 If you love the look of the piece pictured above, then our fused glass home splashbacks are sure to be just the thing for you. 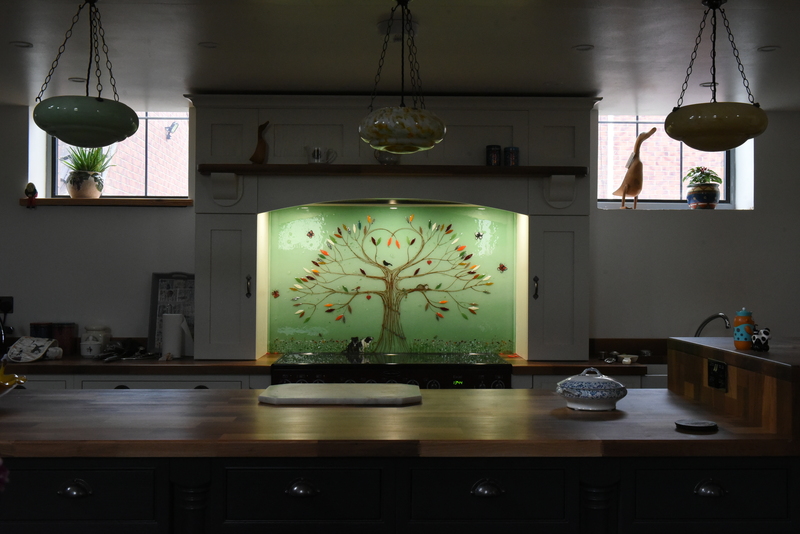 We here at The House of Ugly Fish are in full swing for 2019, and our kilns are fired up and ready to go. 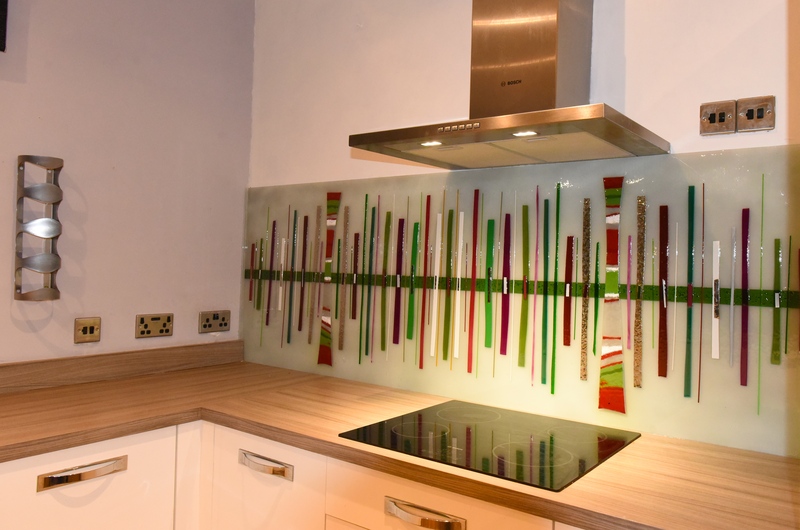 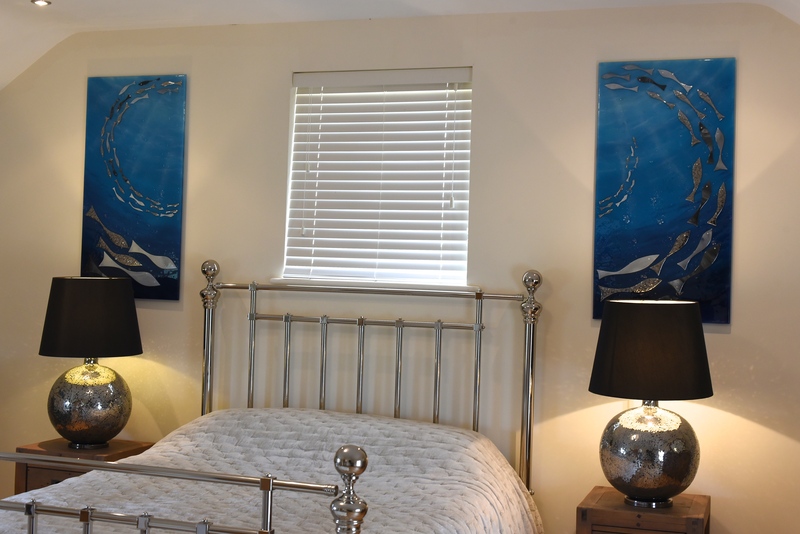 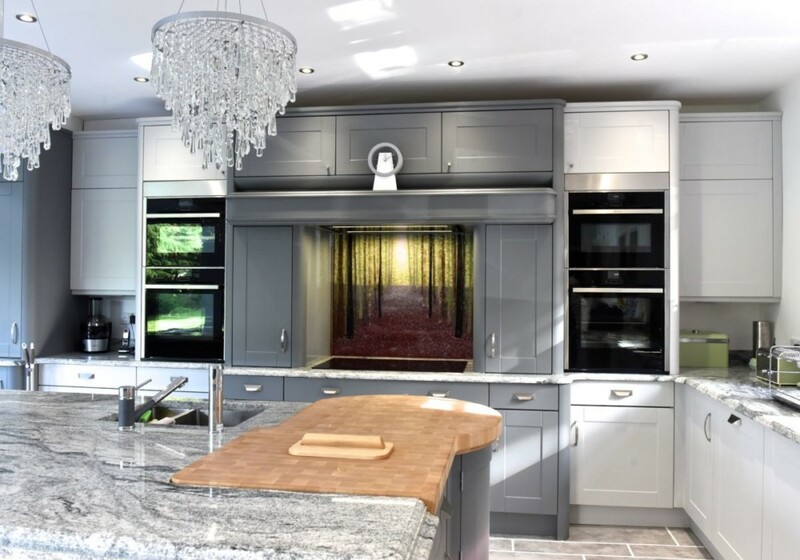 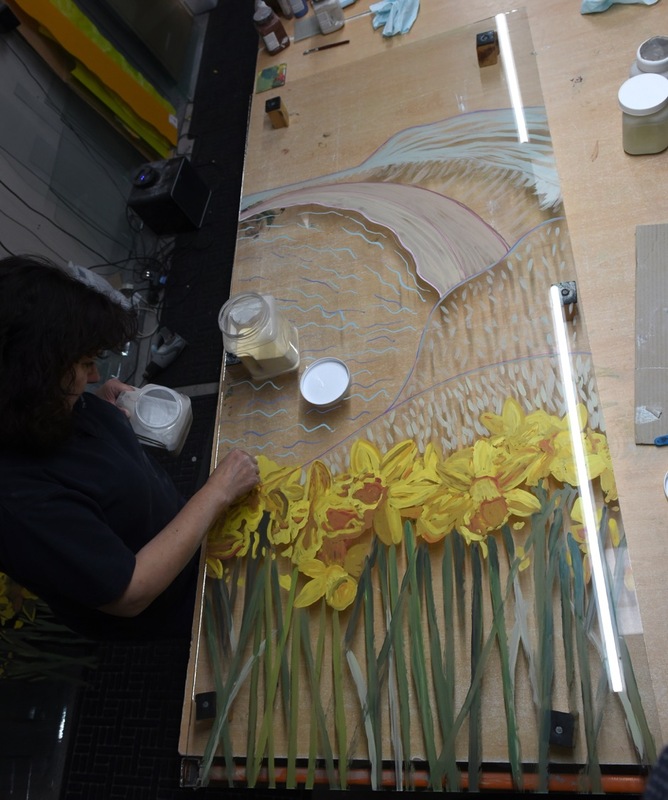 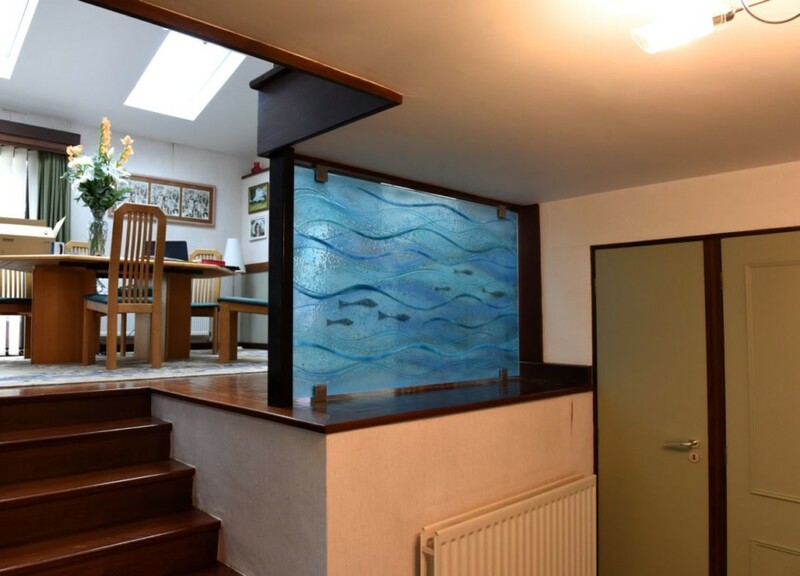 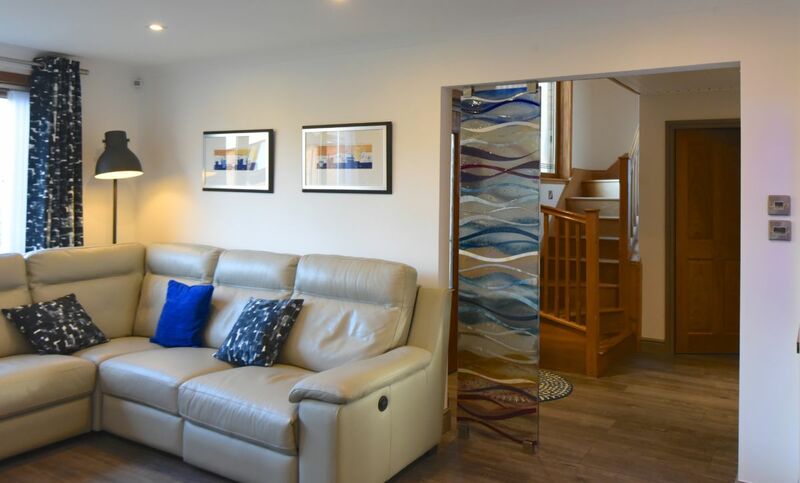 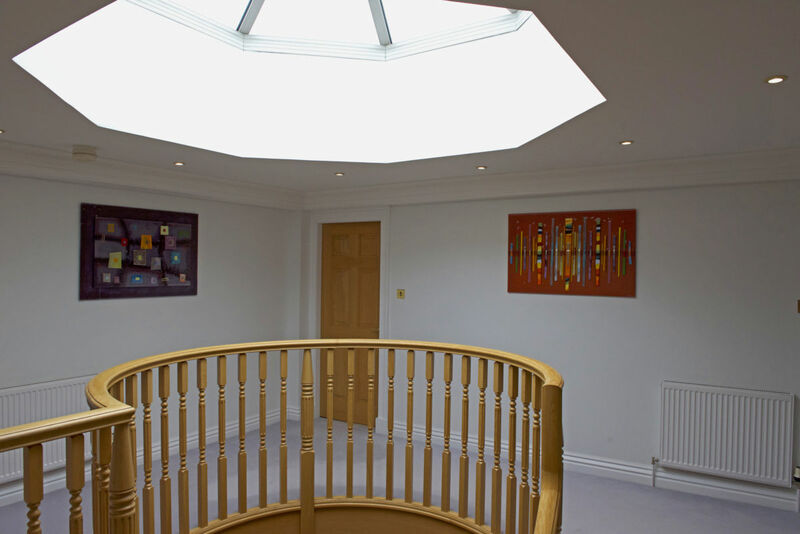 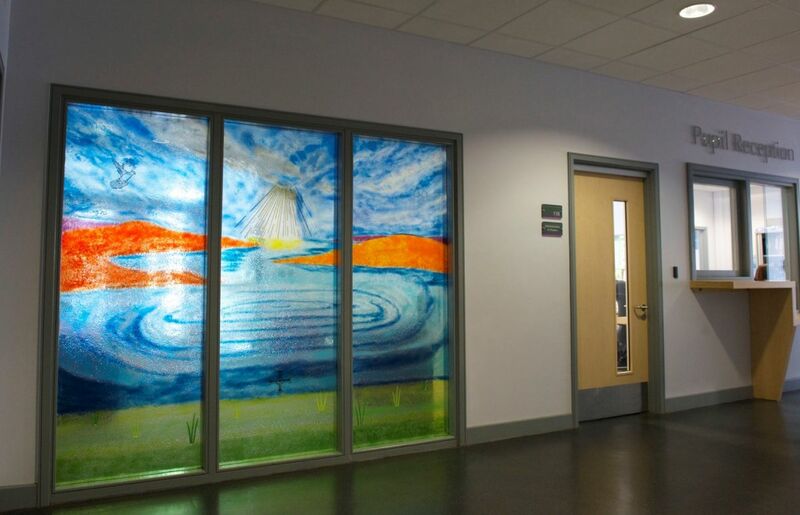 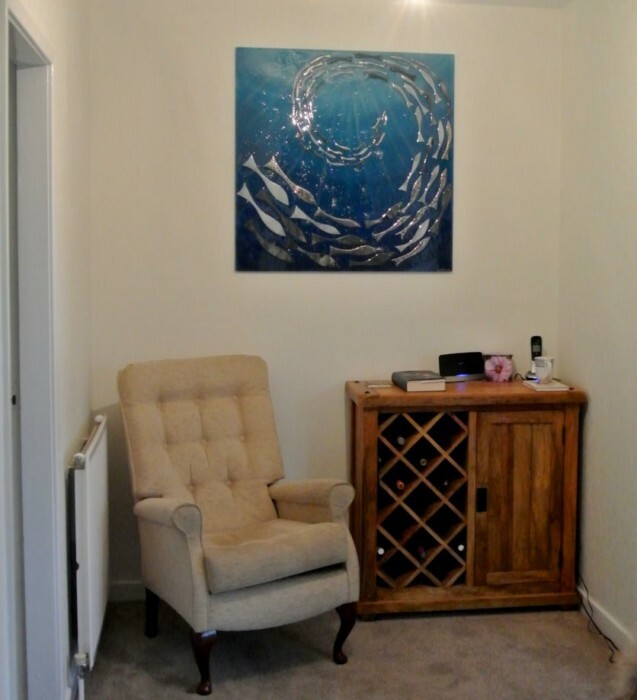 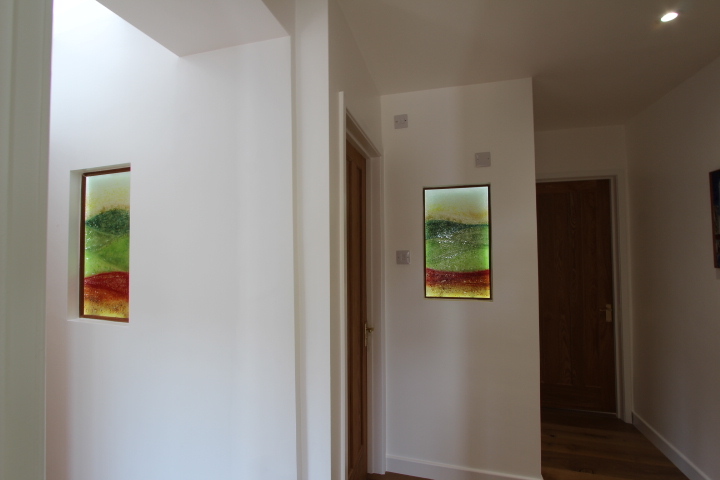 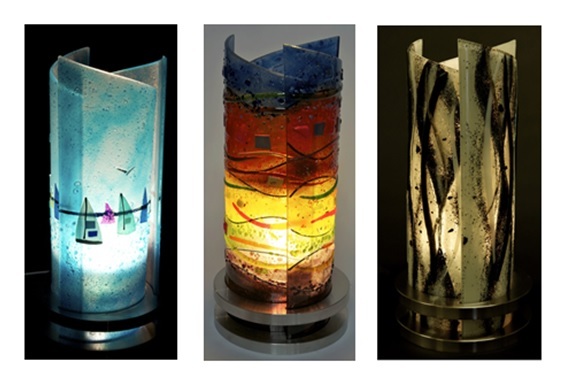 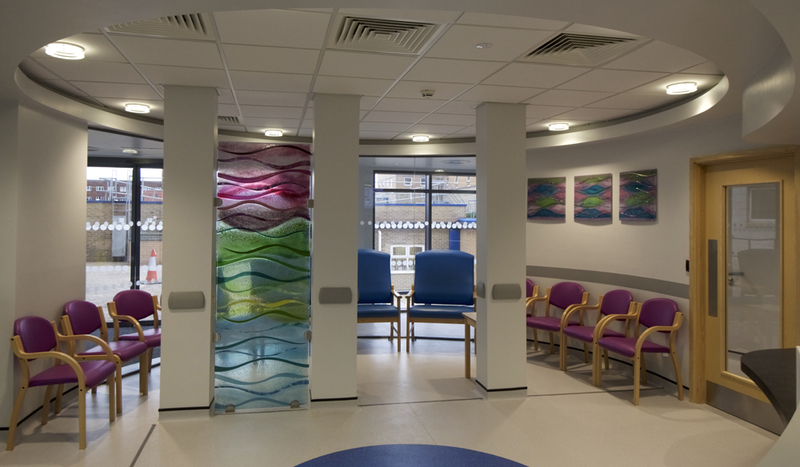 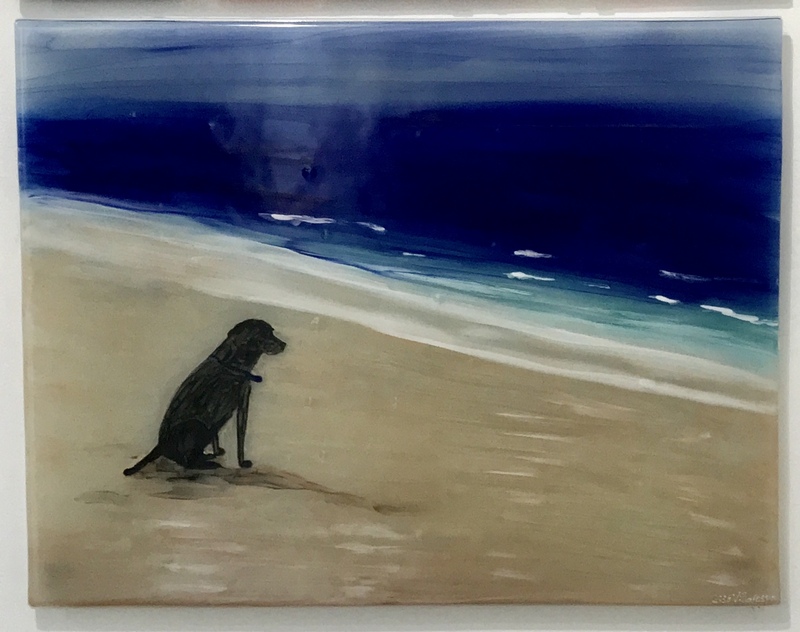 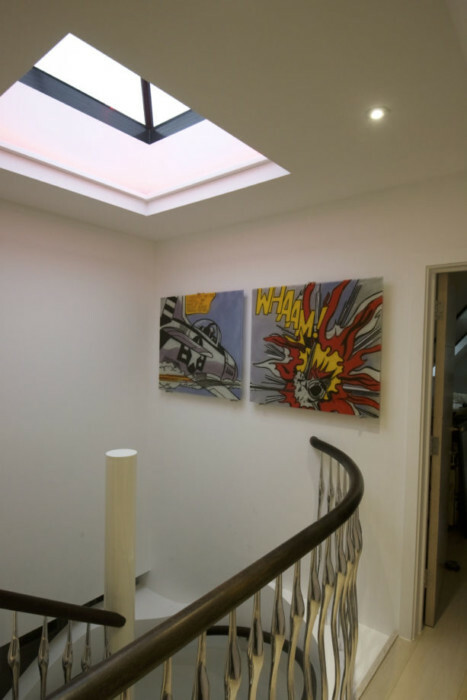 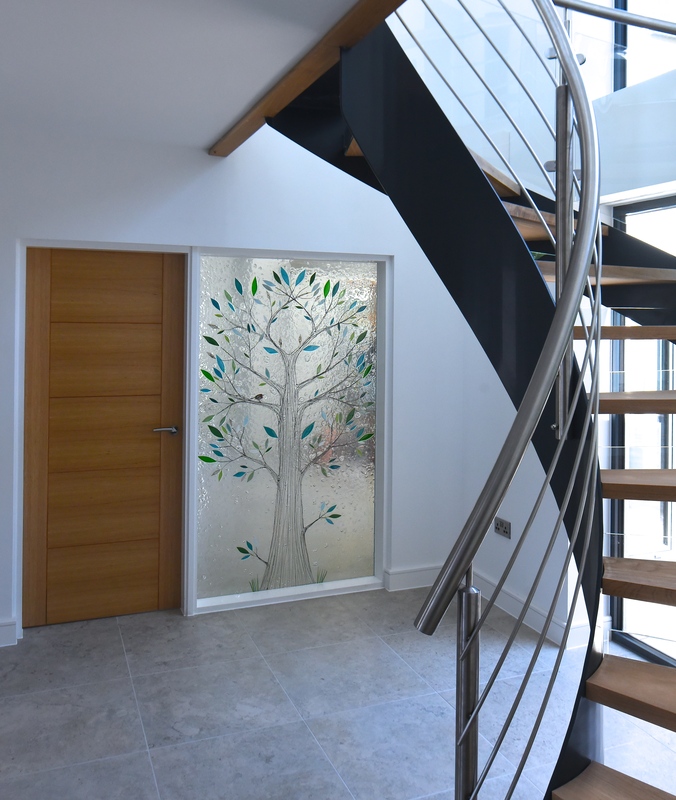 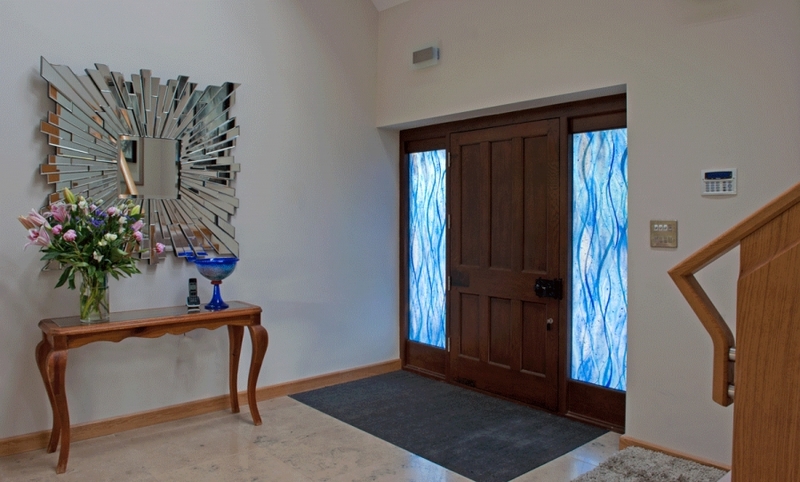 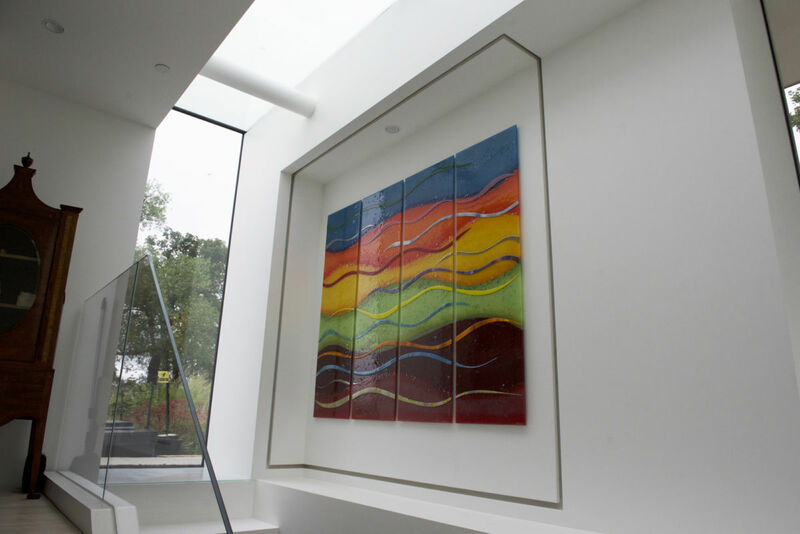 We’d love to bring your perfect glass design to life, so make sure you don’t hesitate to pick up the phone or drop us an email as soon as you can. 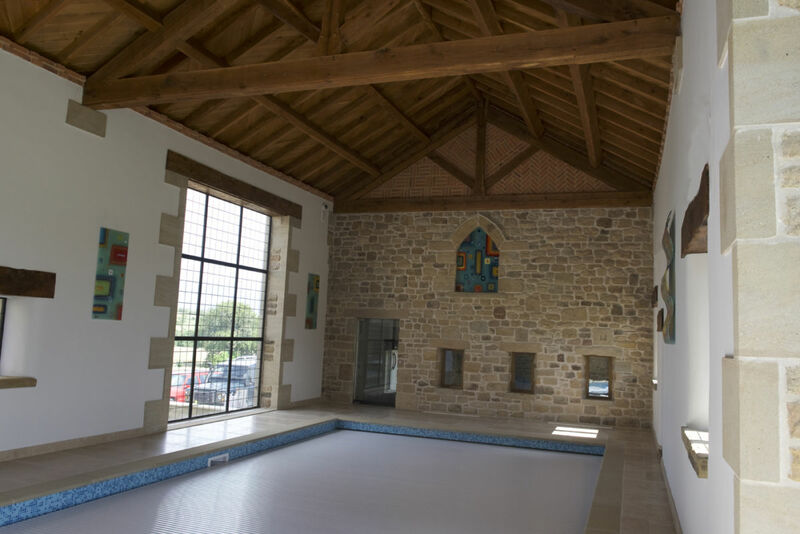 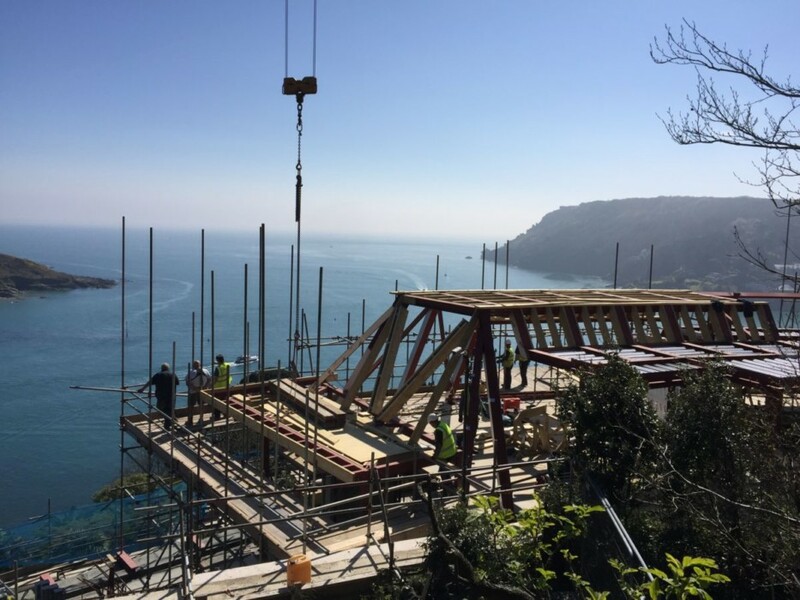 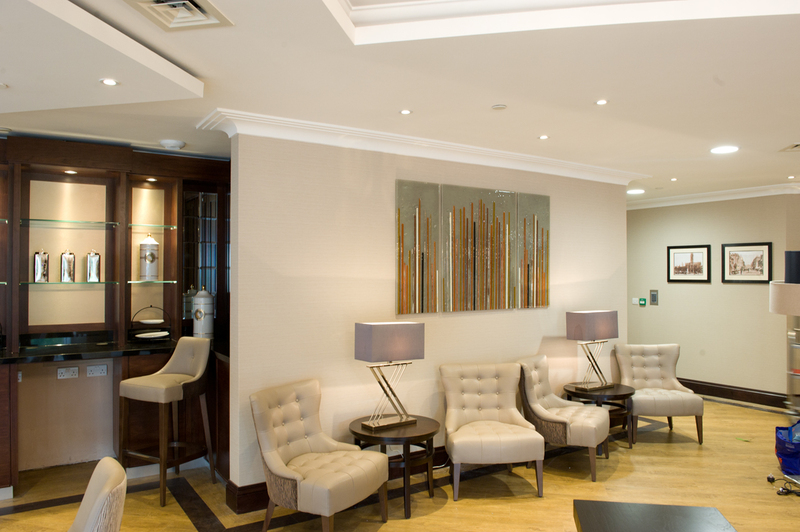 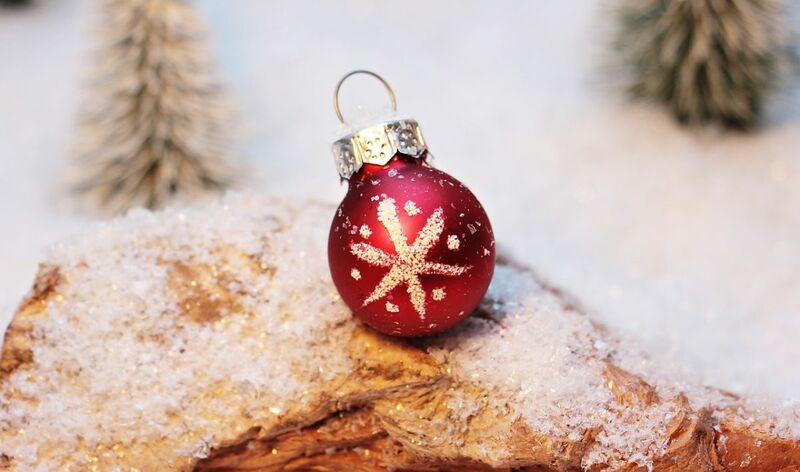 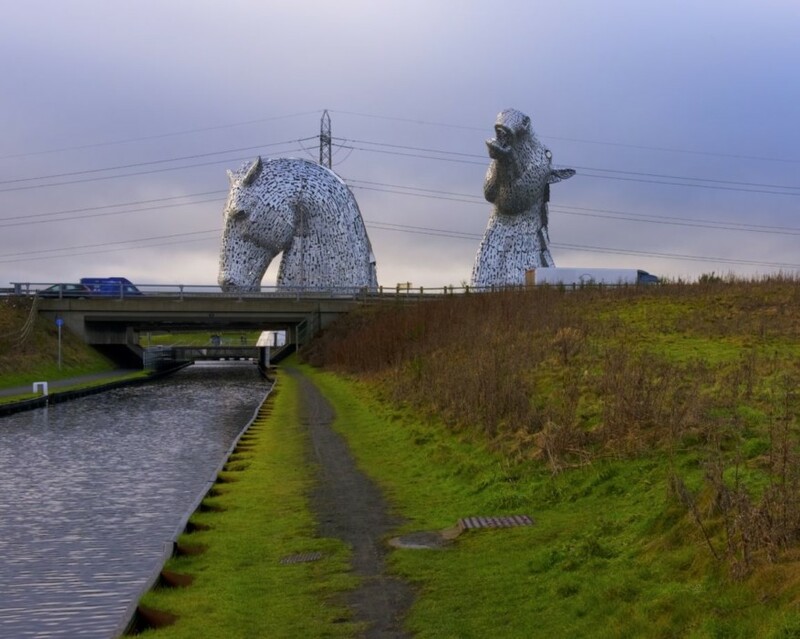 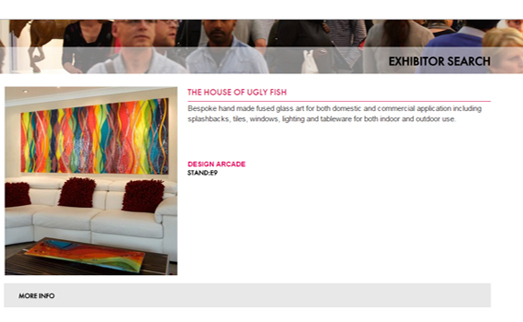 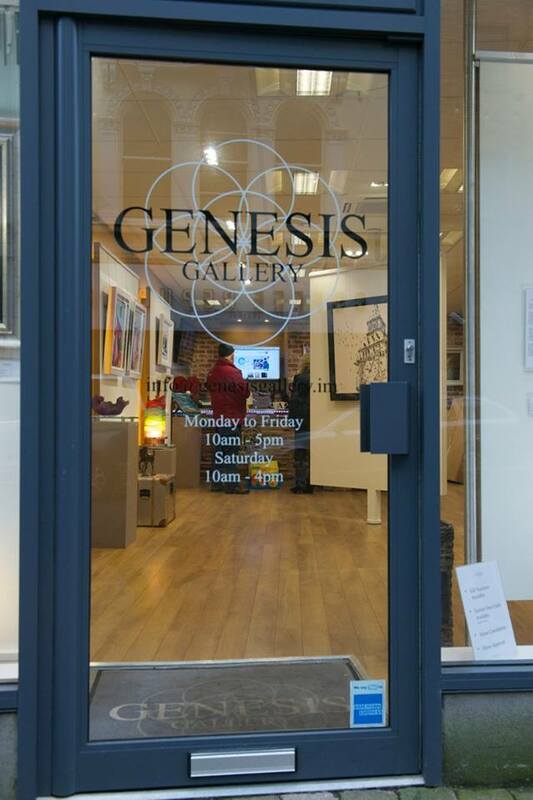 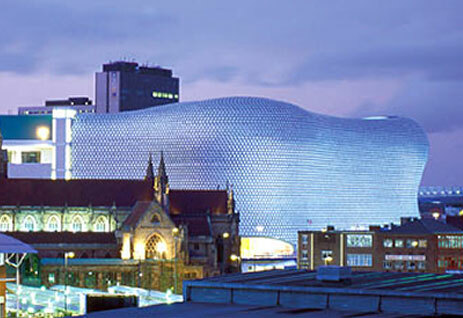 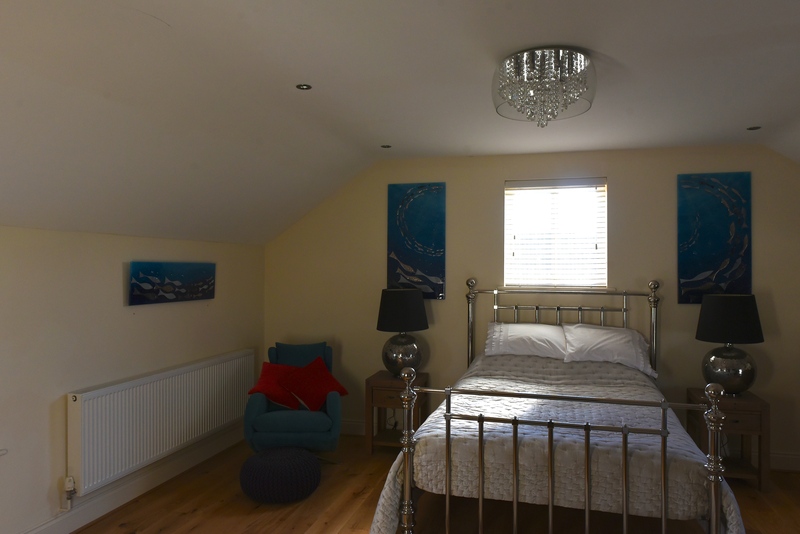 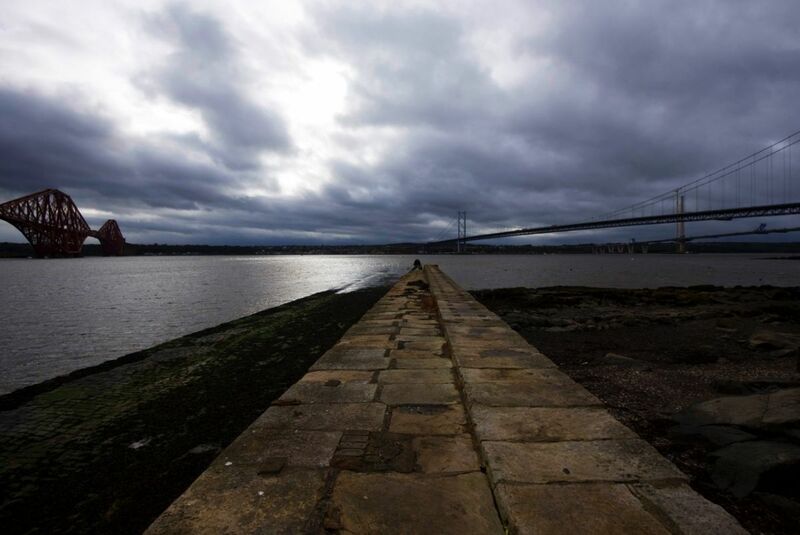 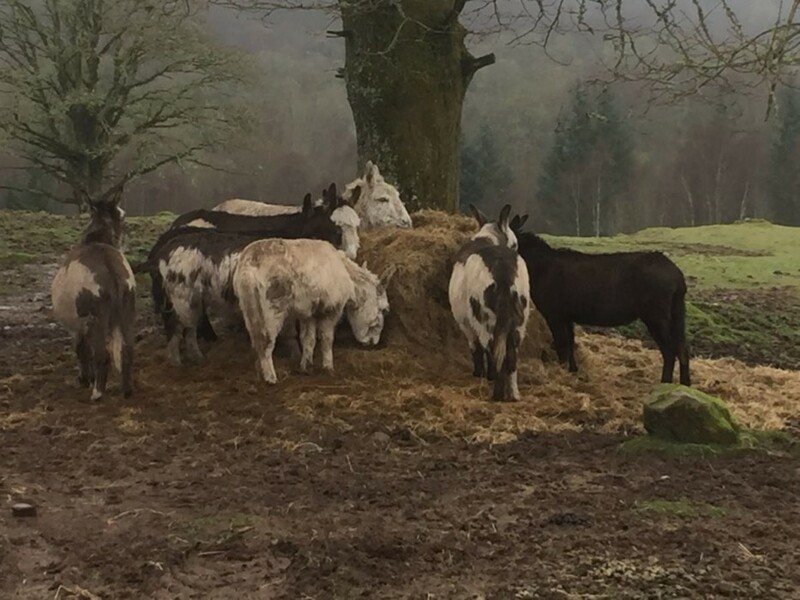 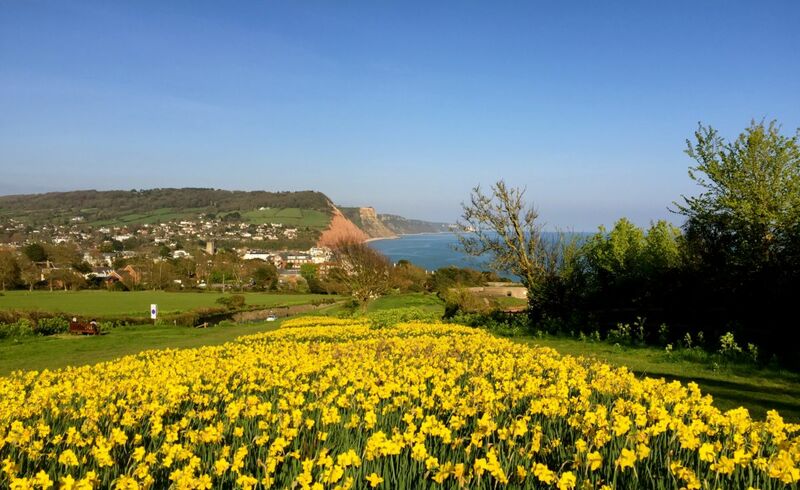 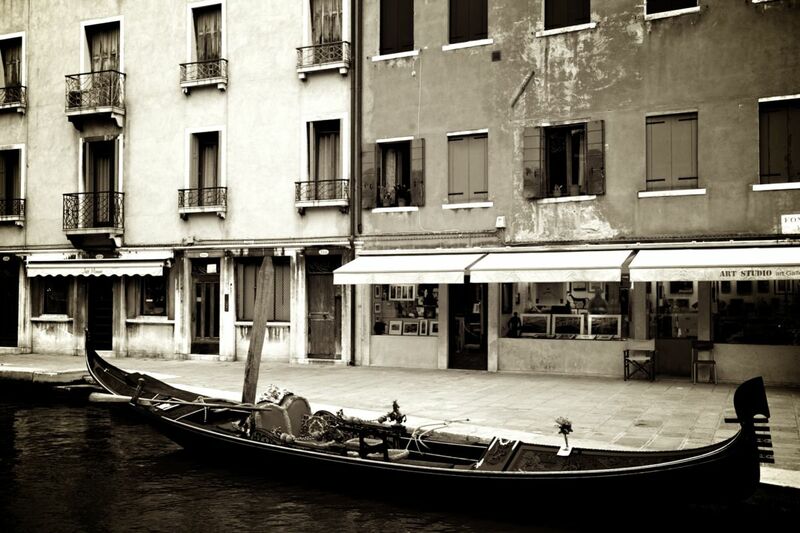 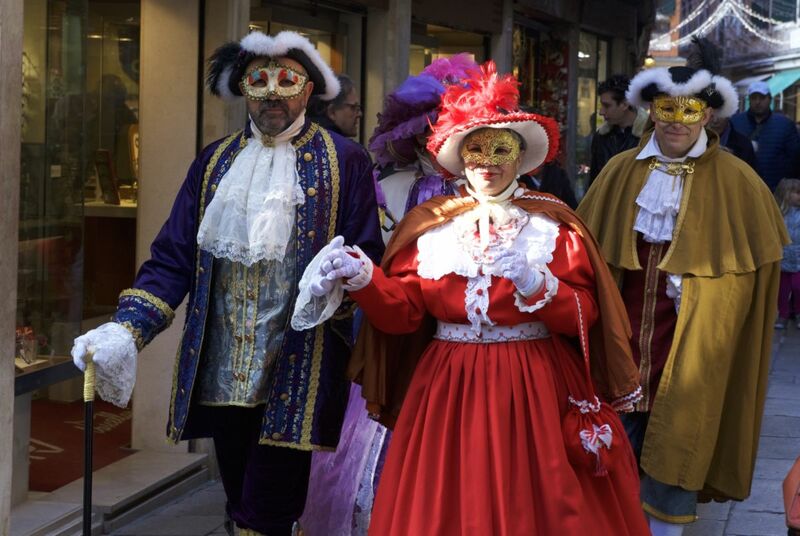 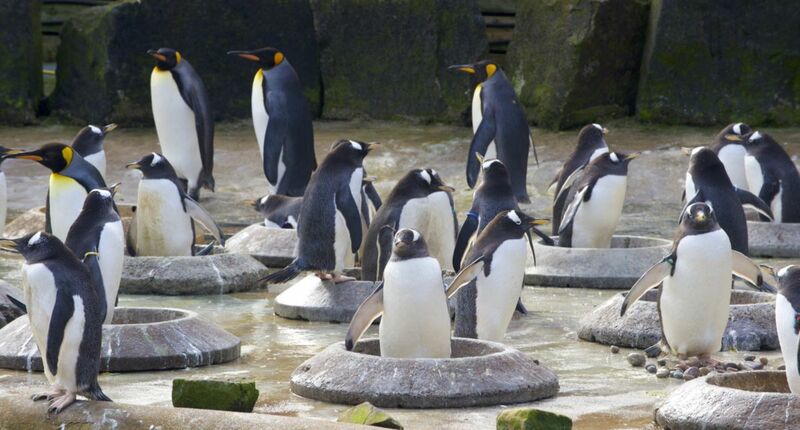 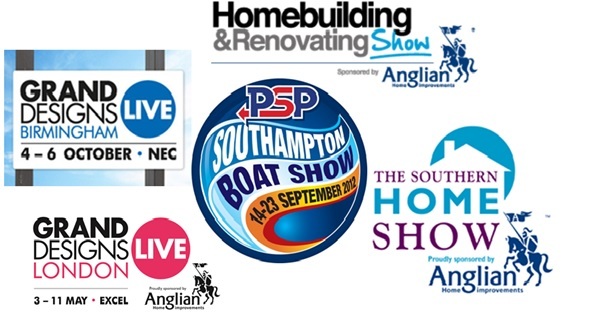 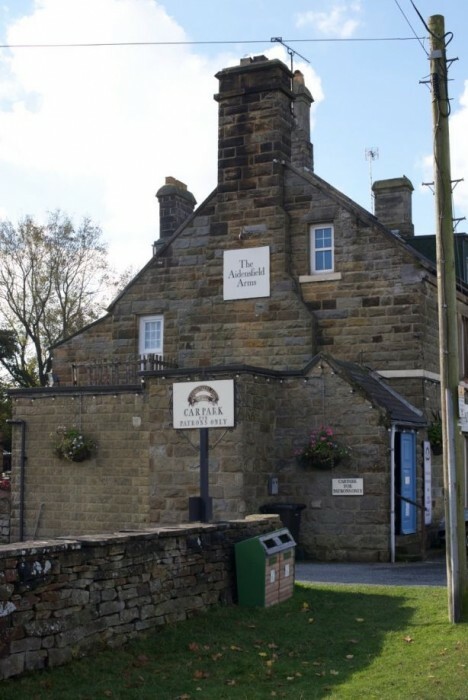 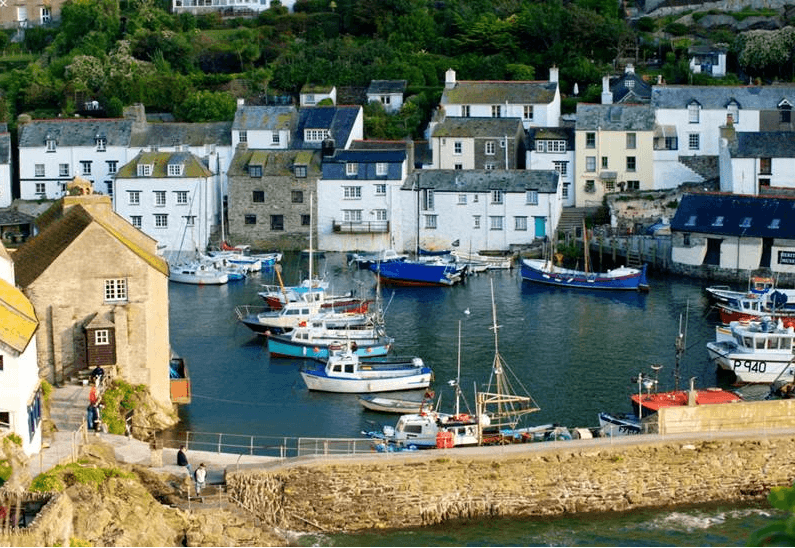 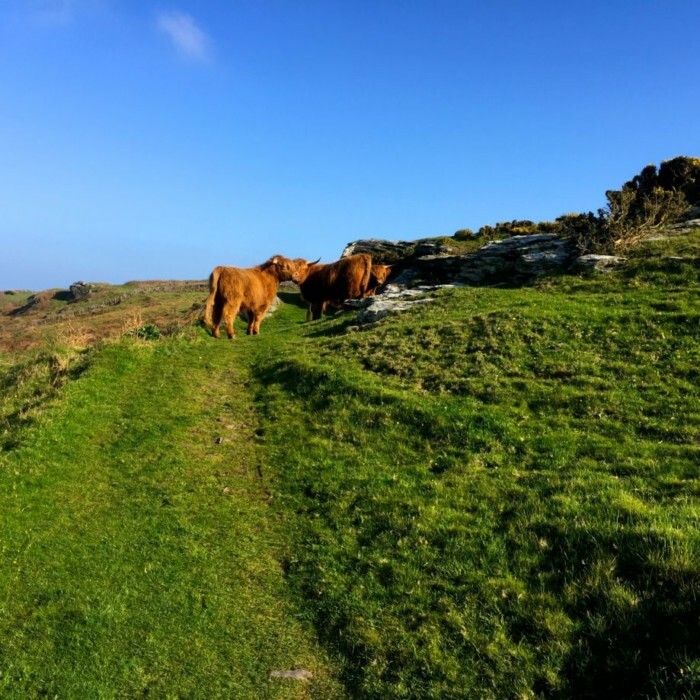 Our full details and where to find us can be found here on our website.